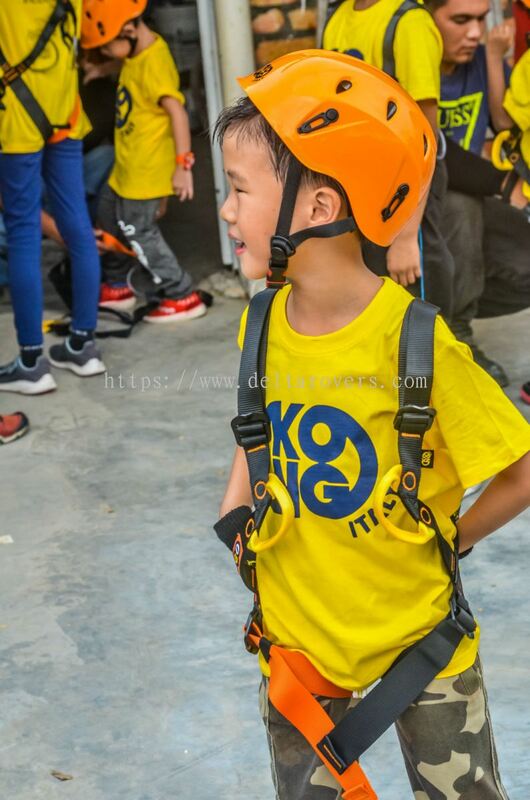 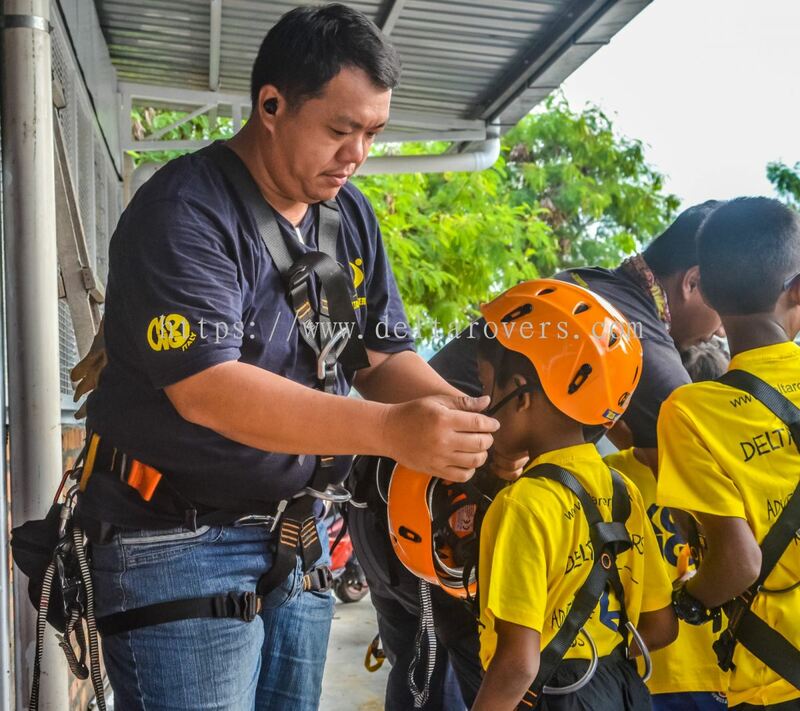 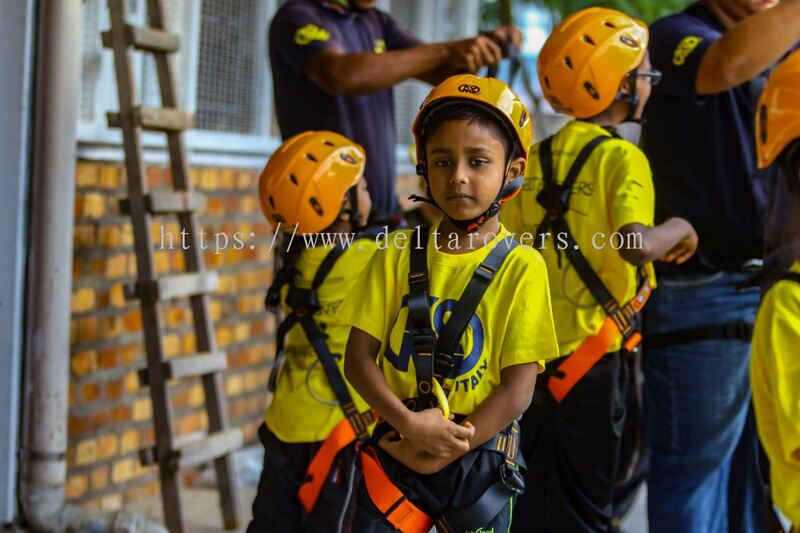 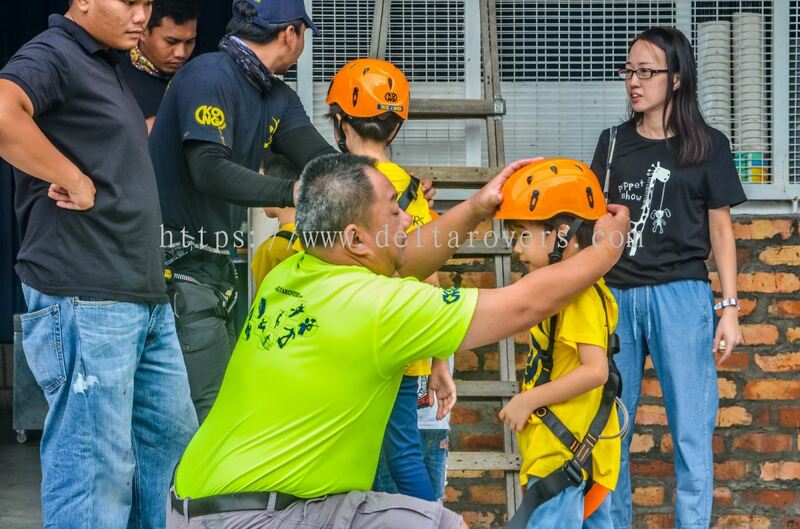 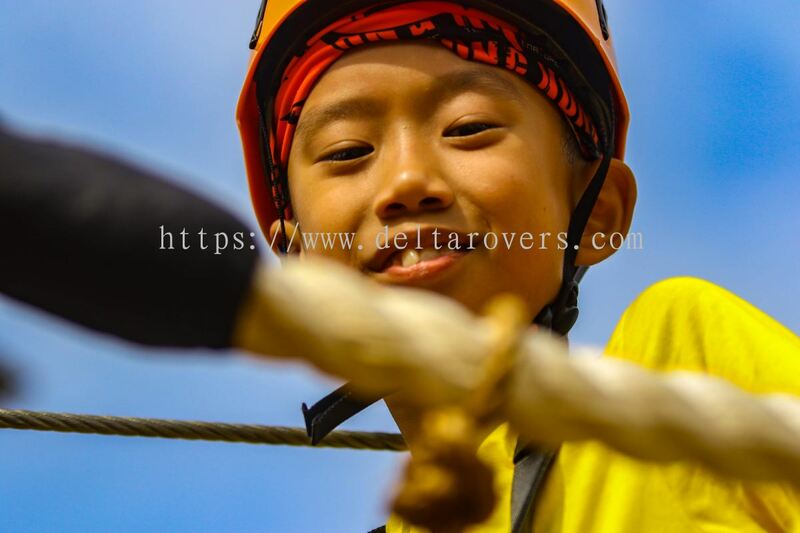 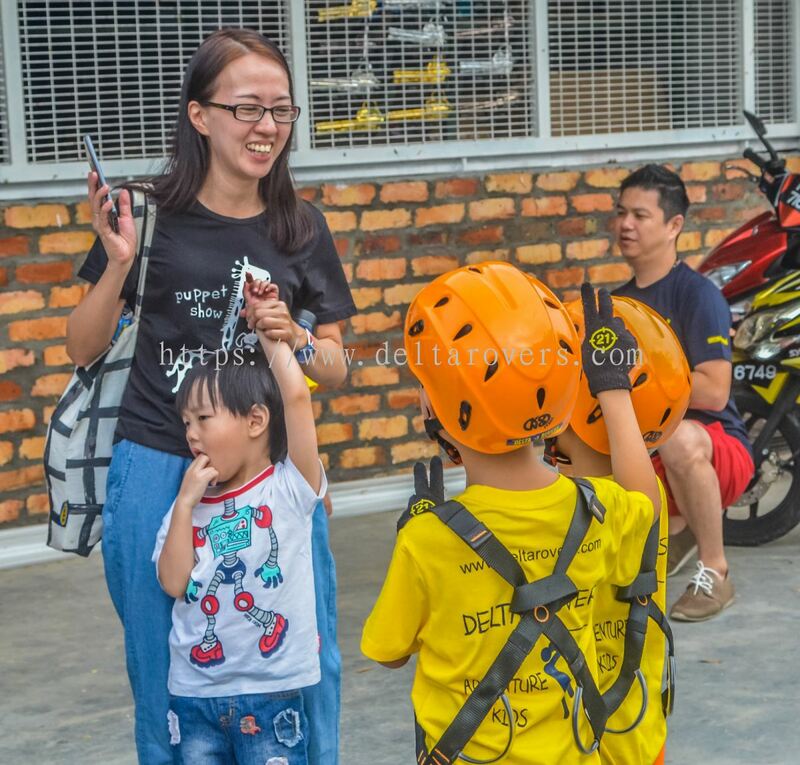 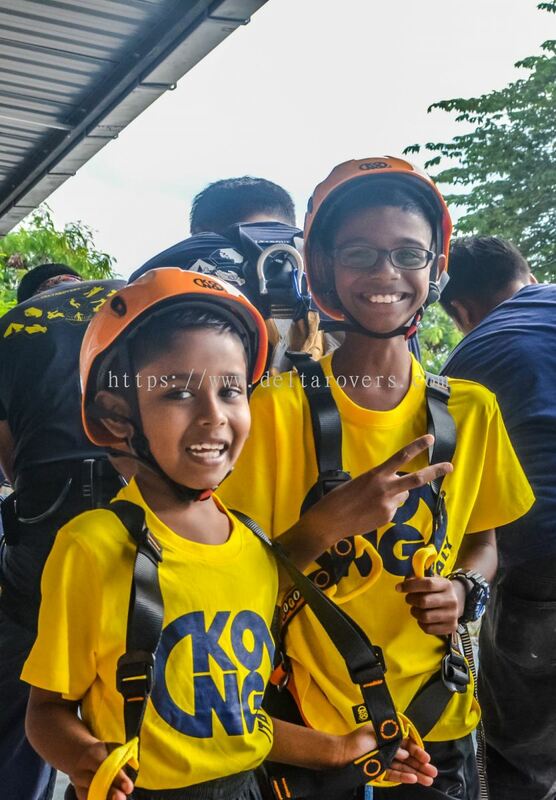 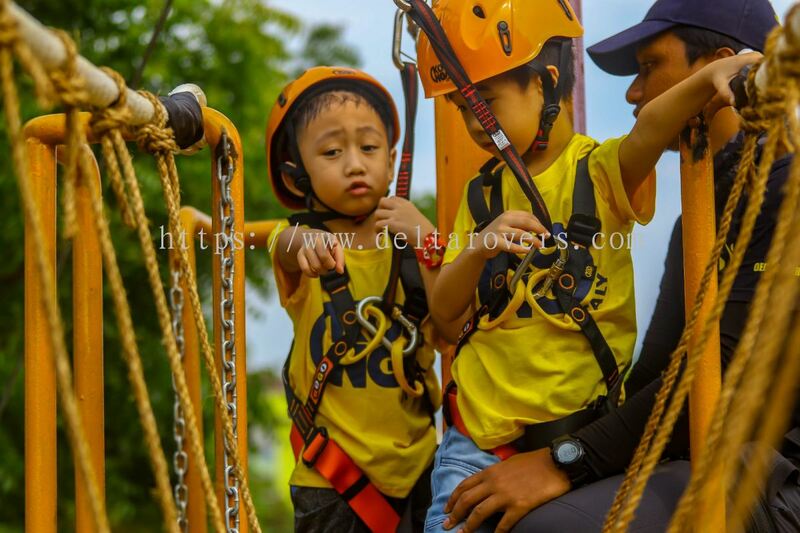 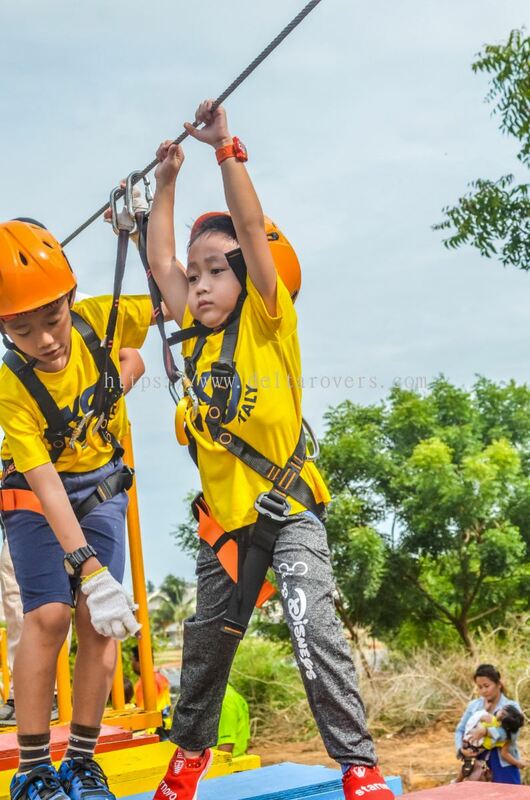 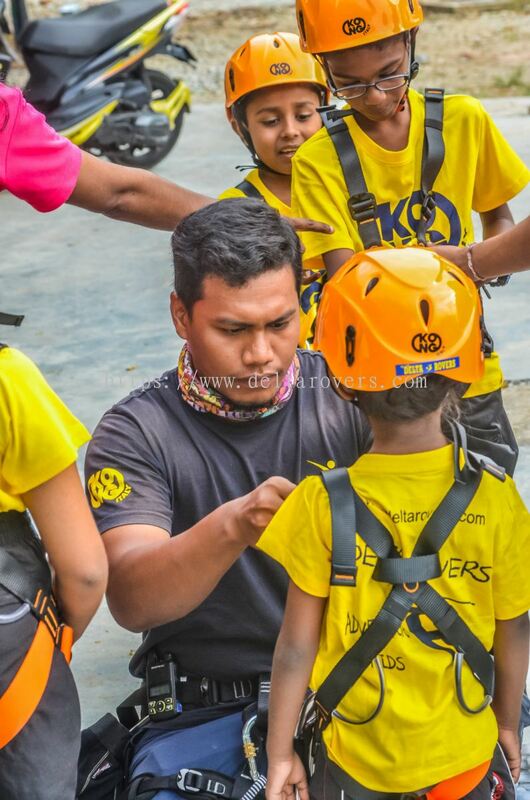 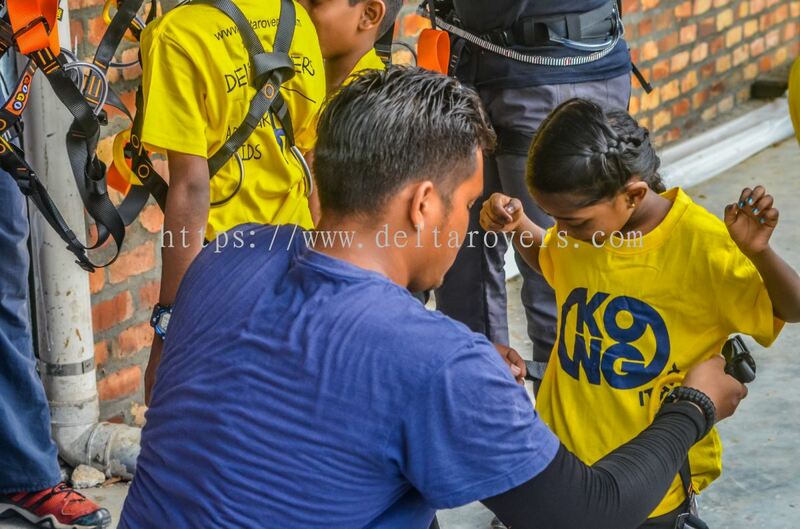 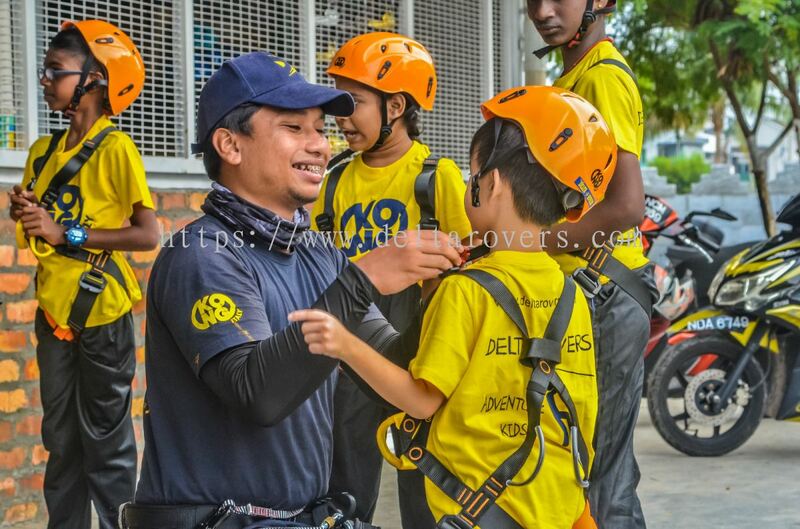 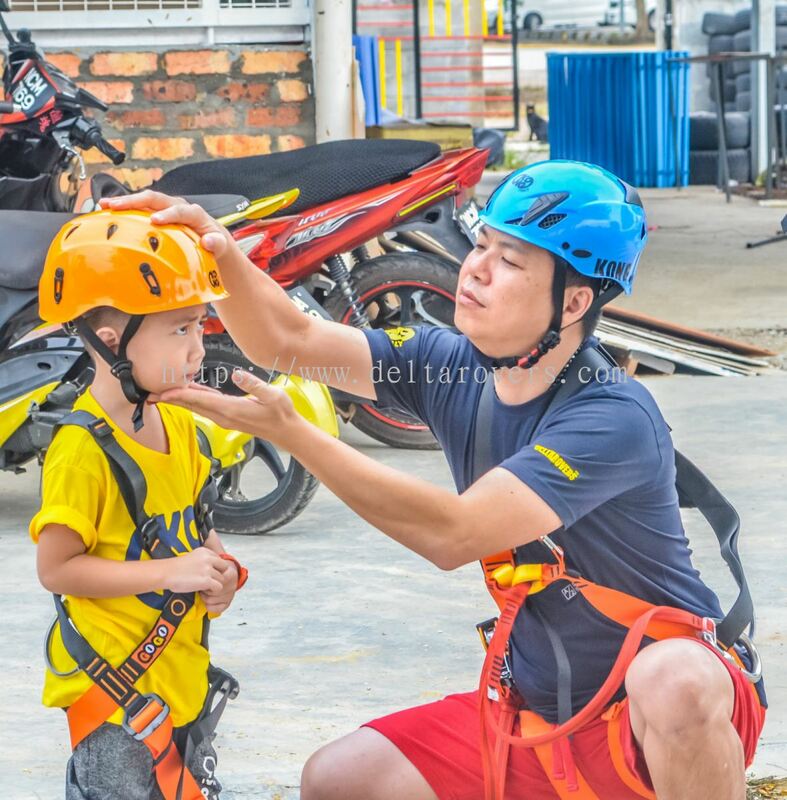 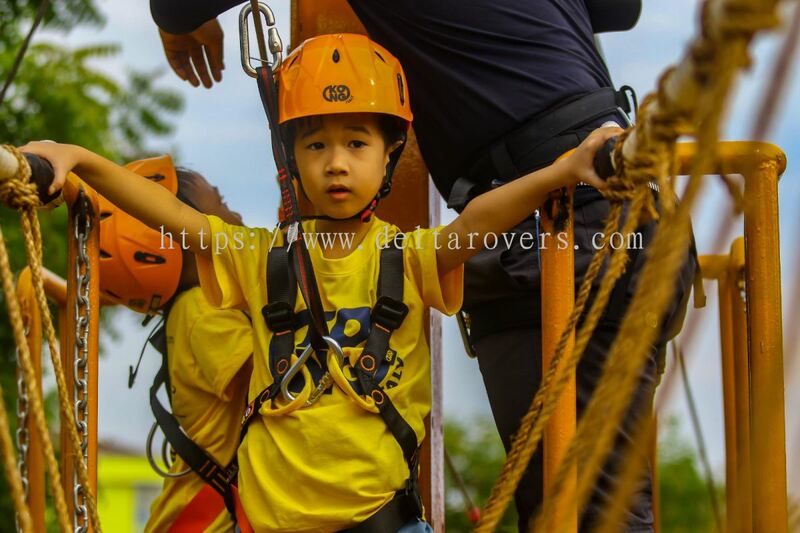 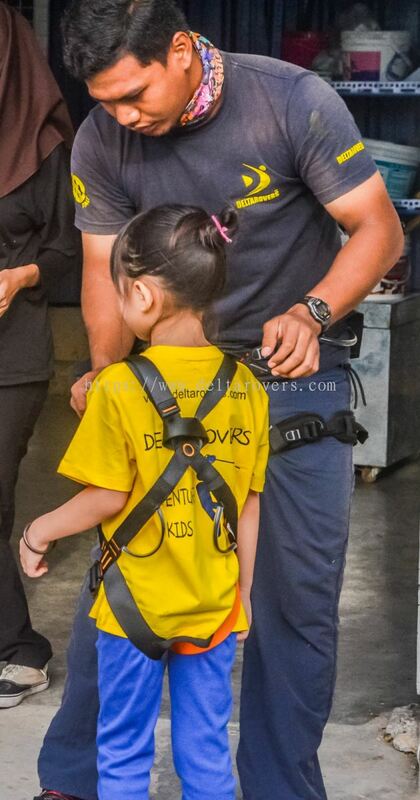 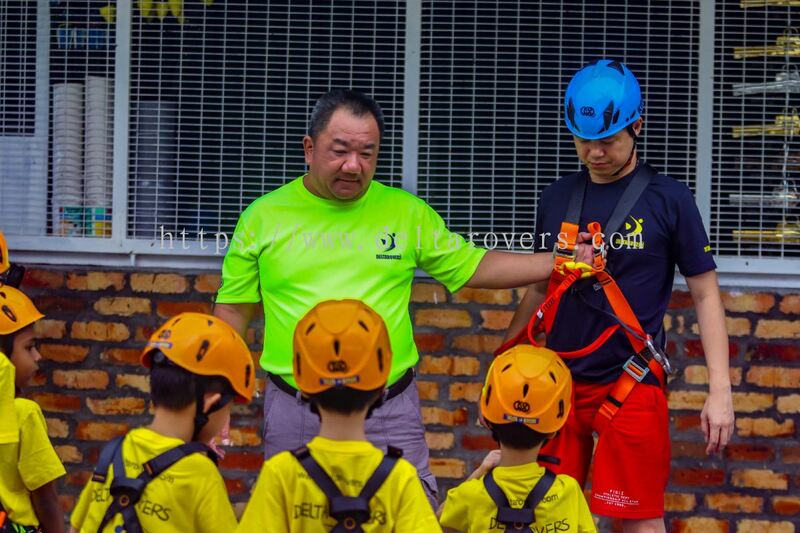 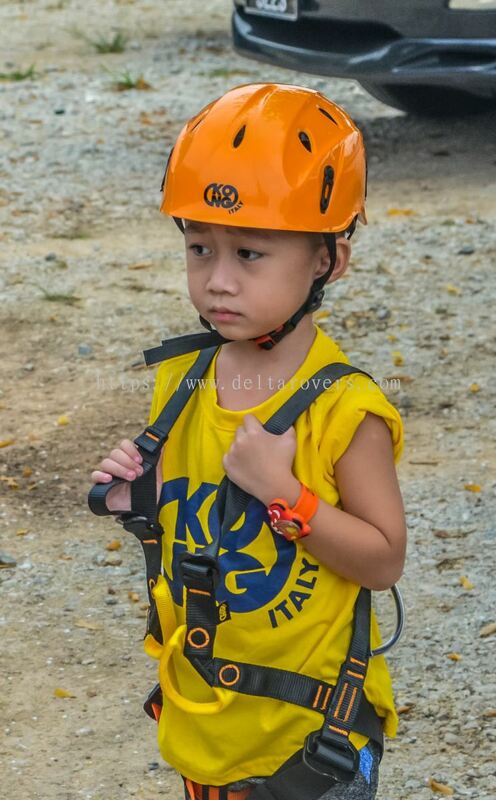 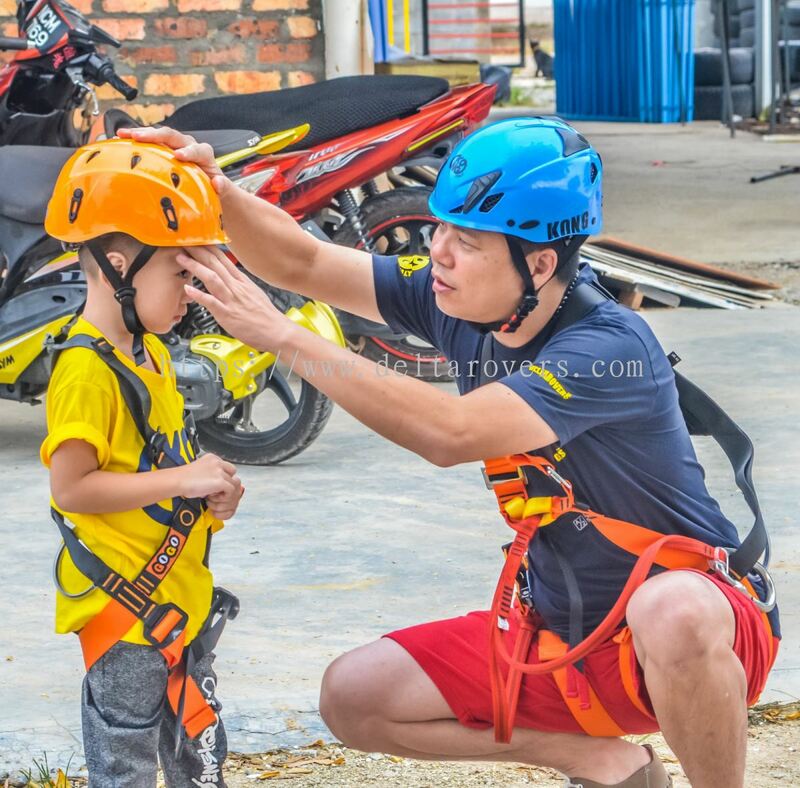 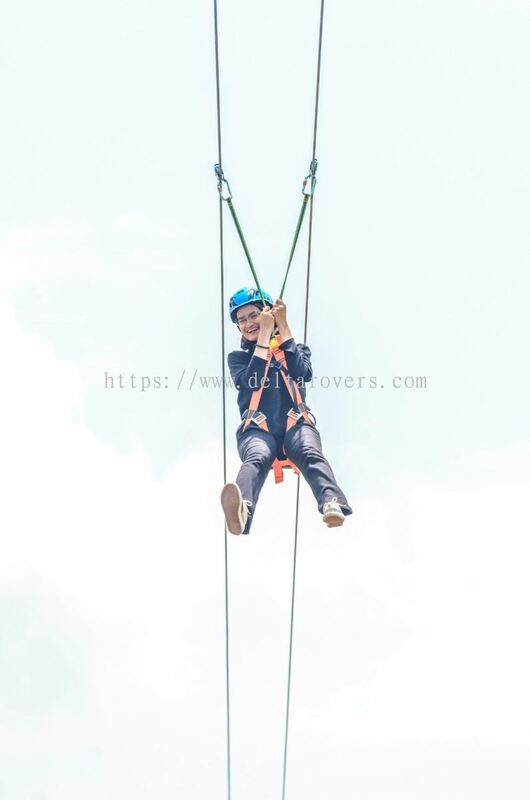 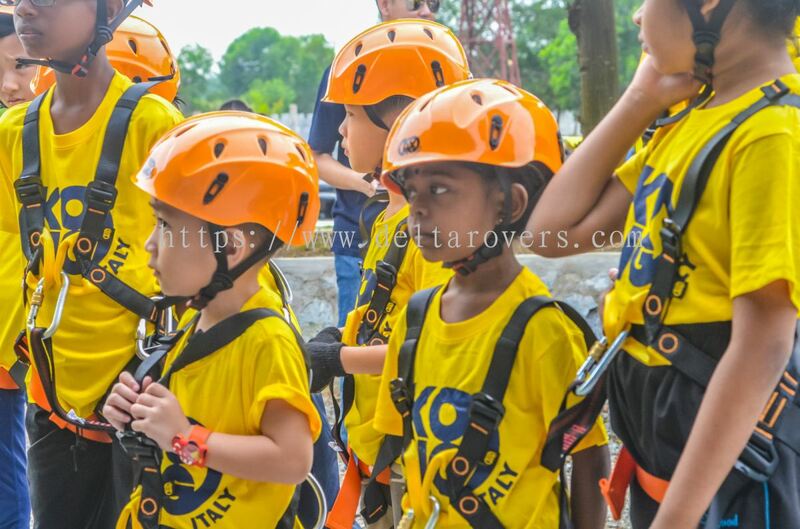 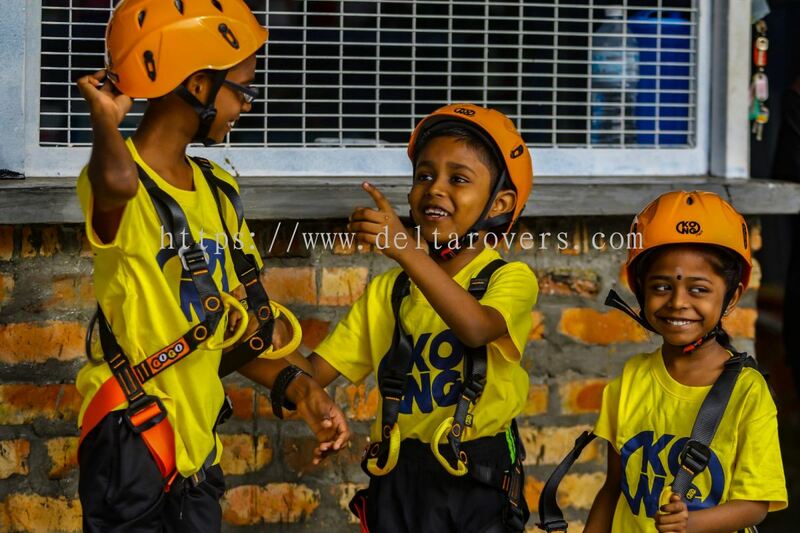 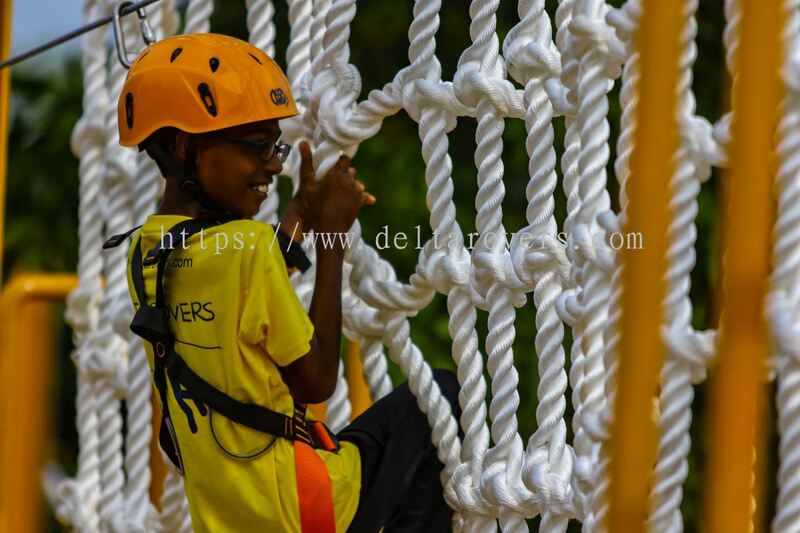 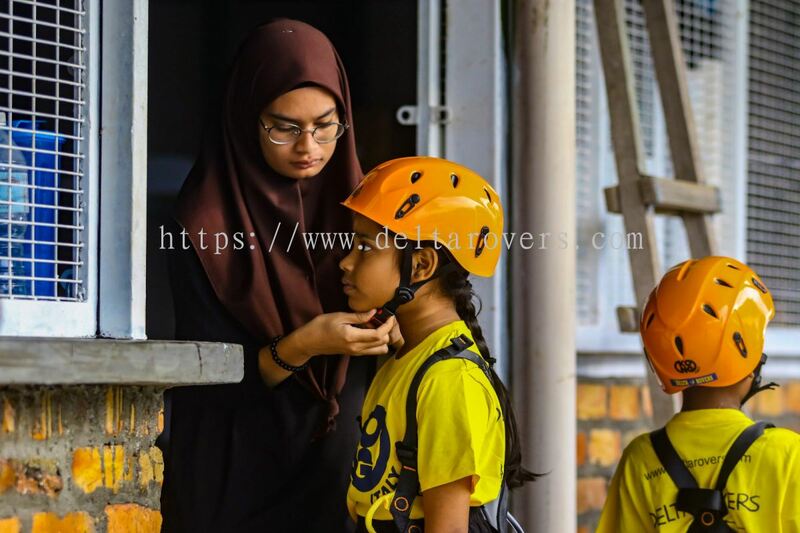 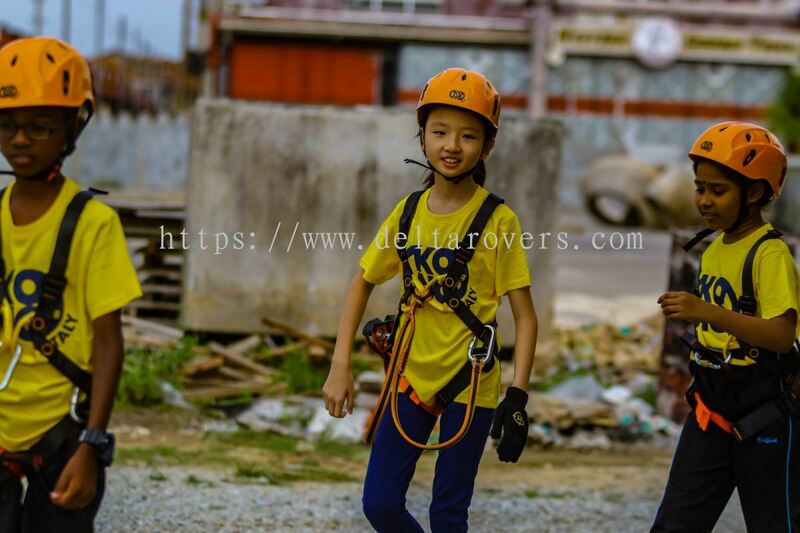 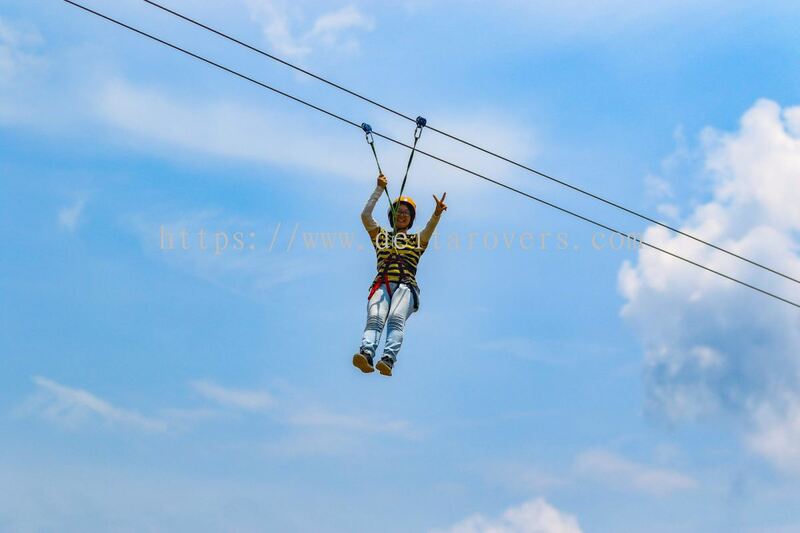 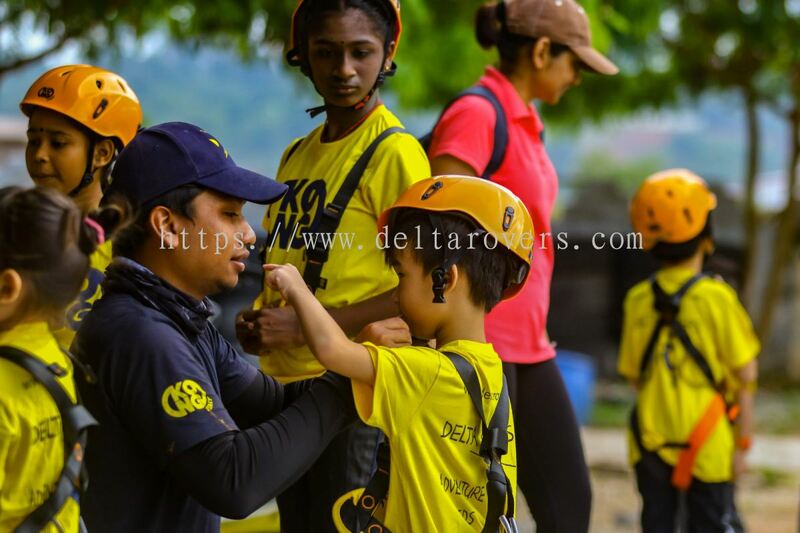 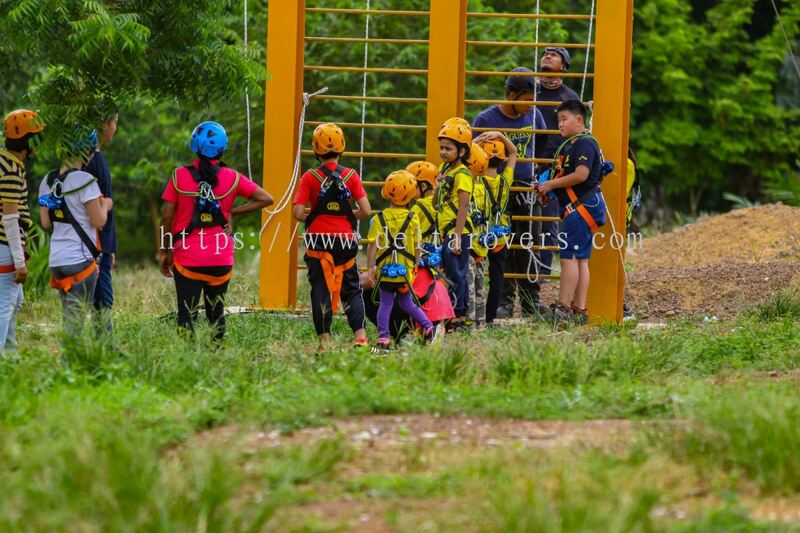 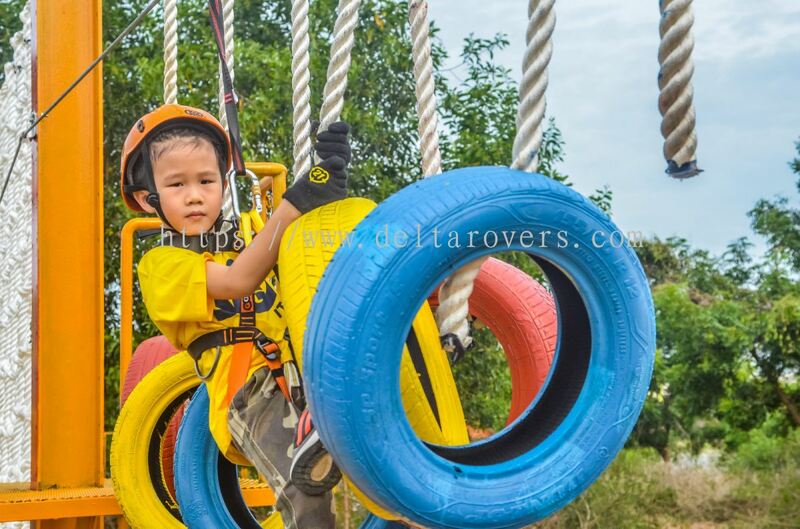 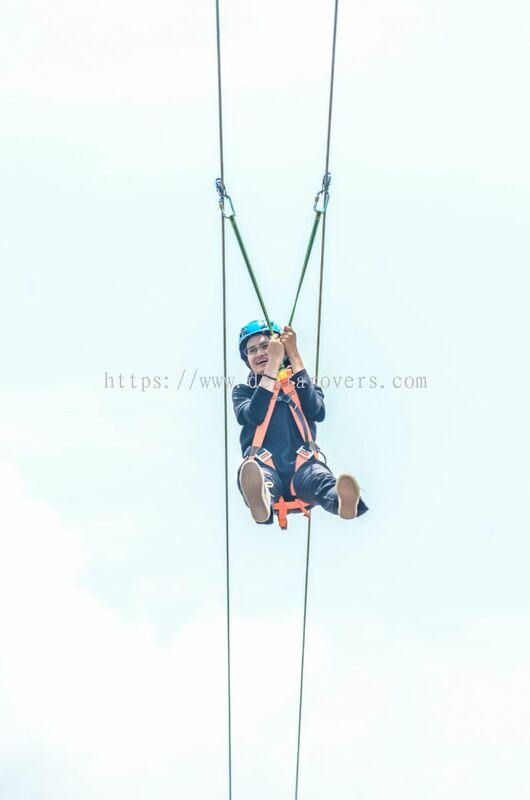 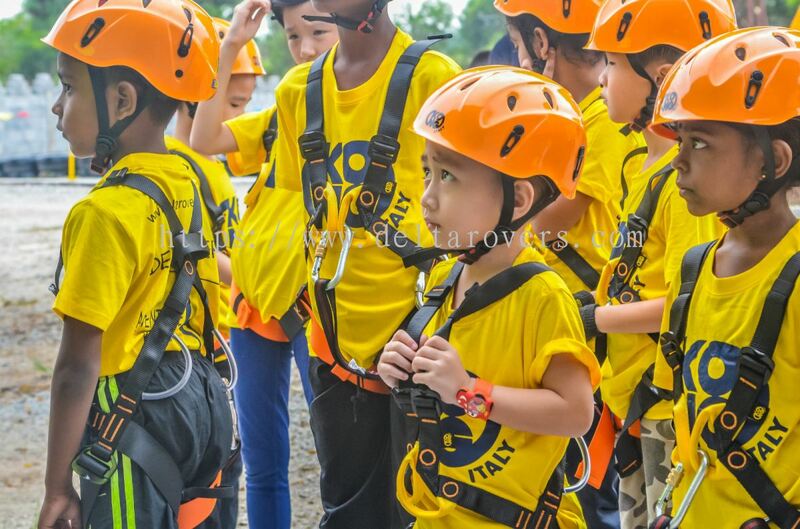 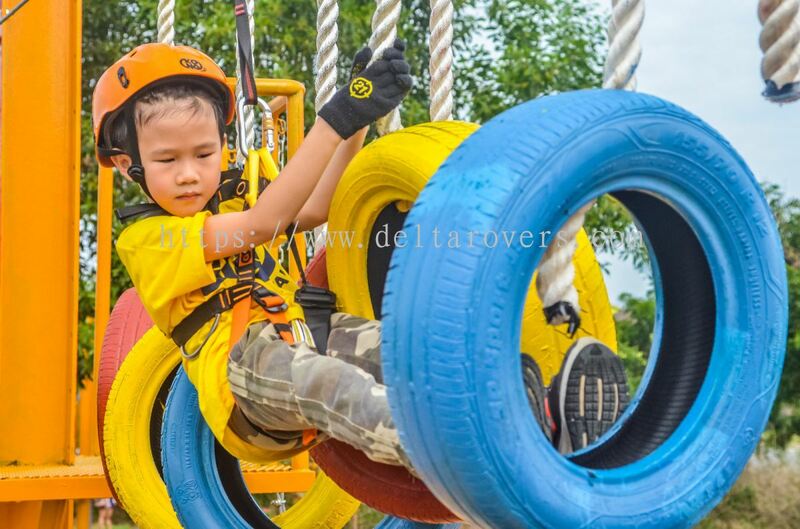 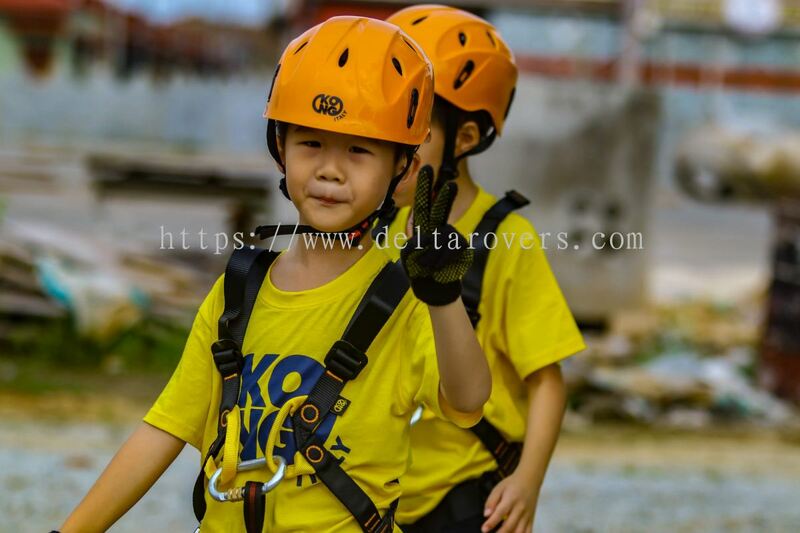 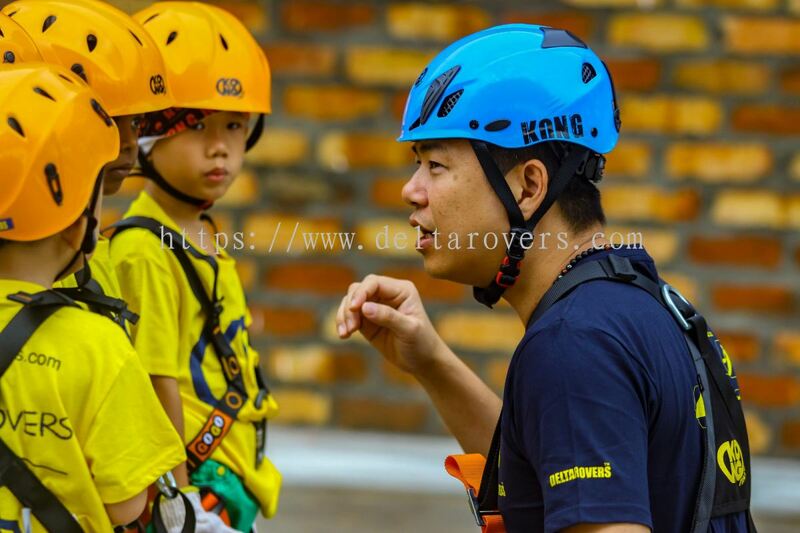 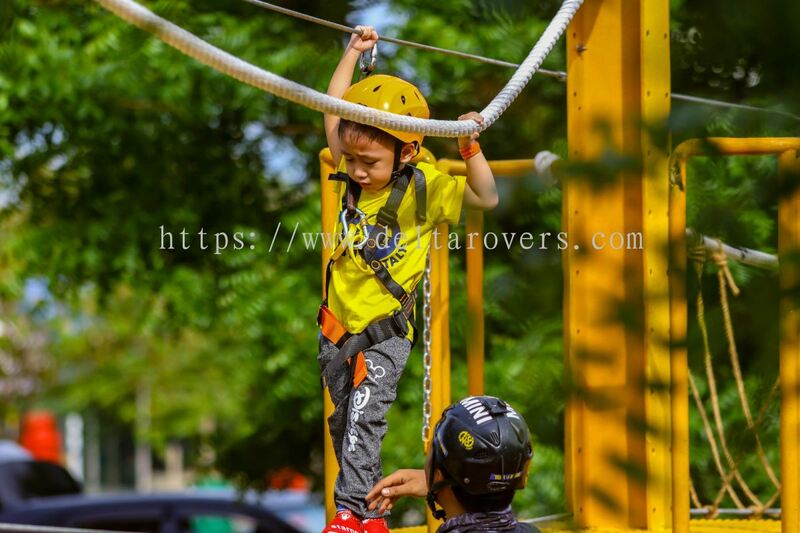 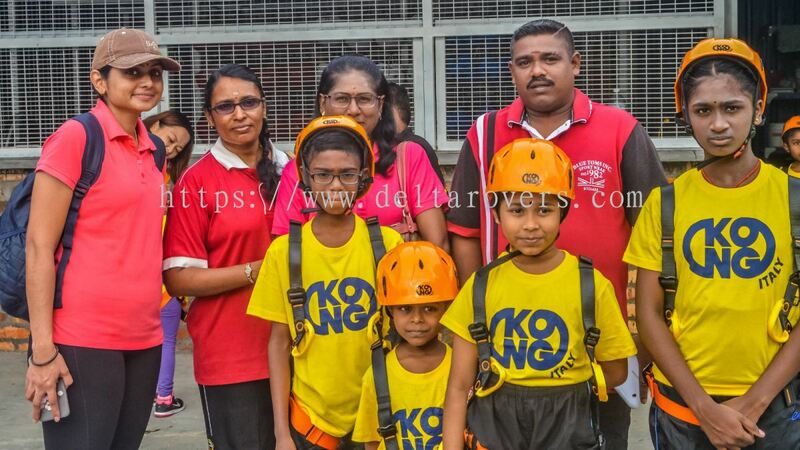 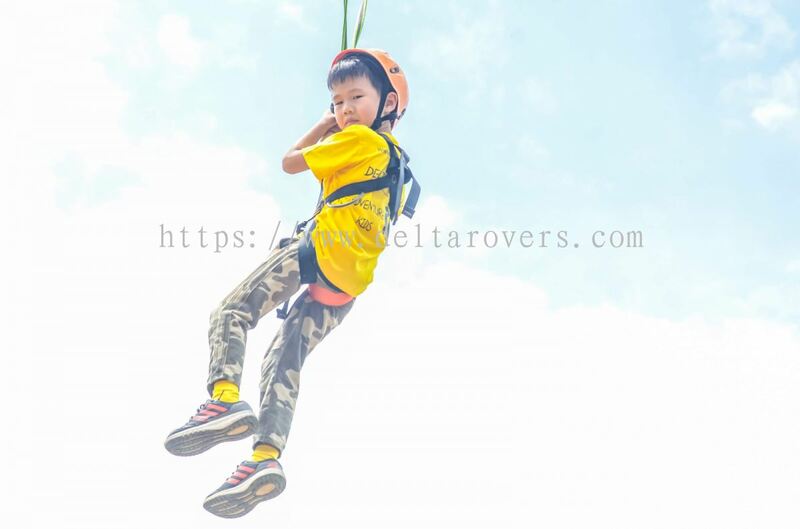 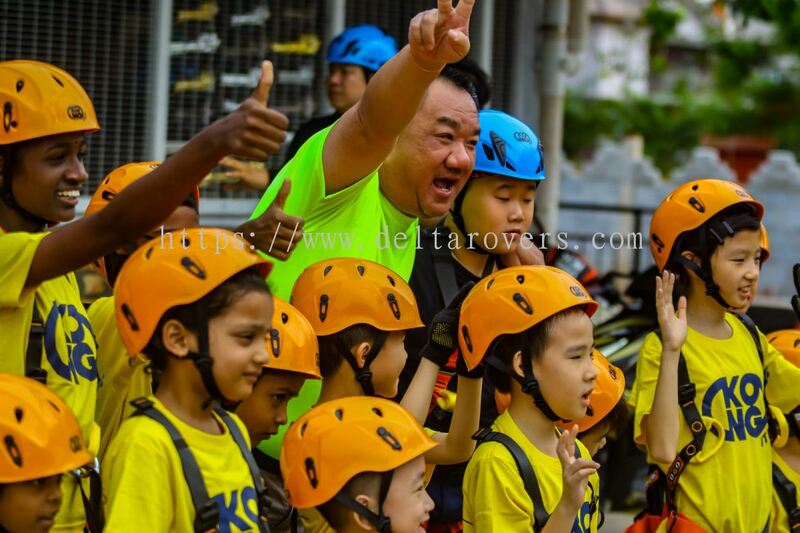 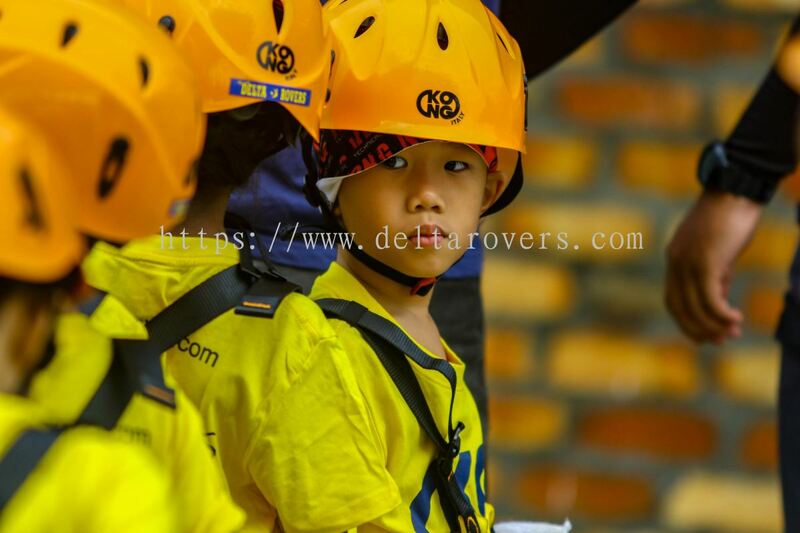 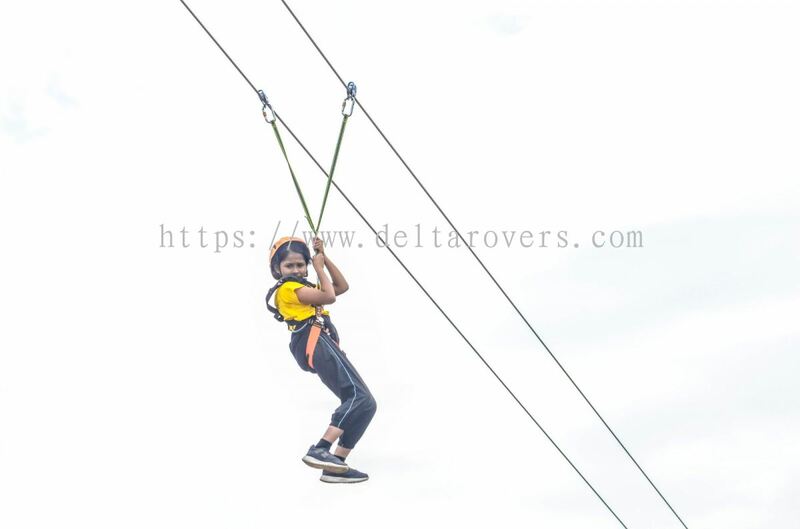 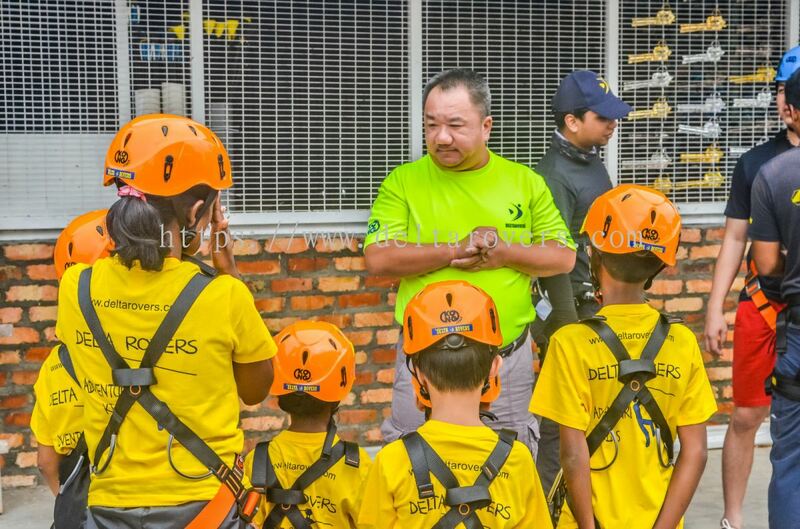 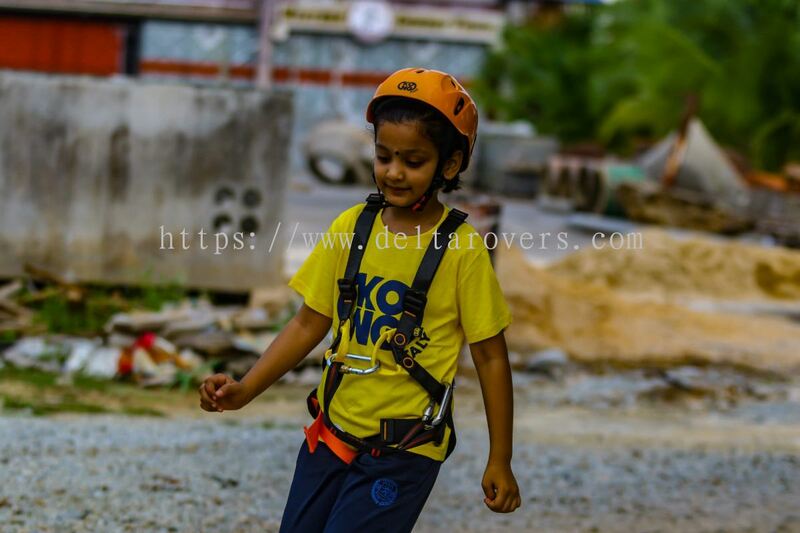 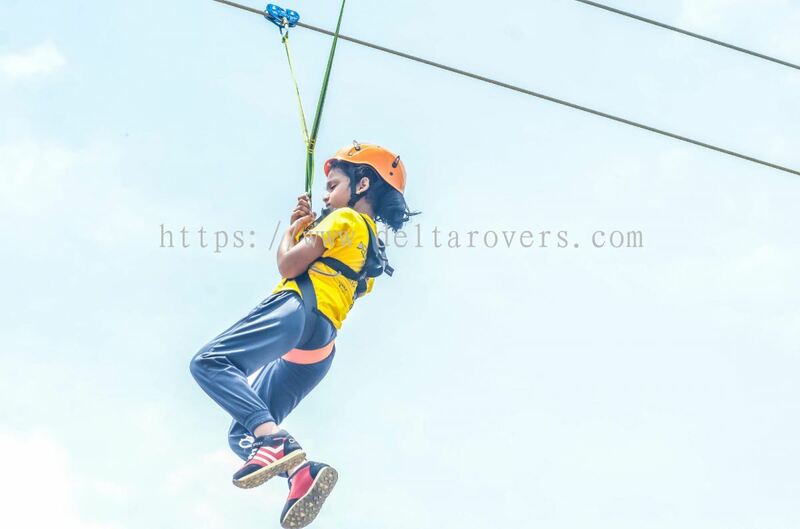 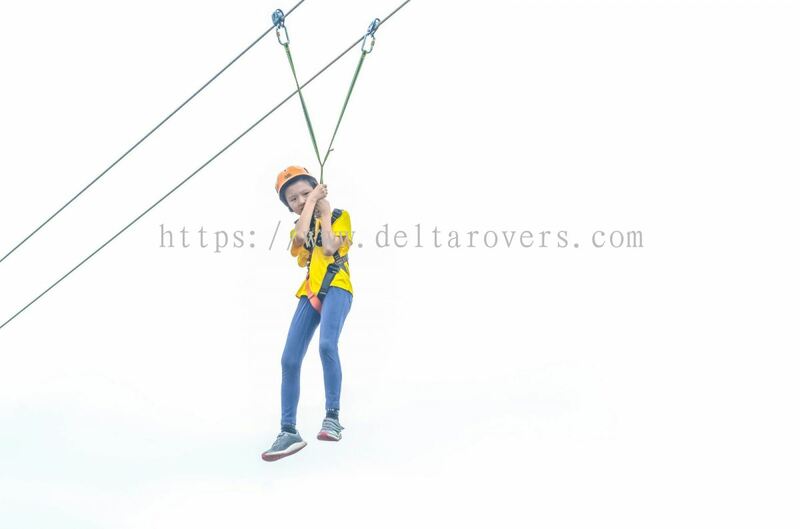 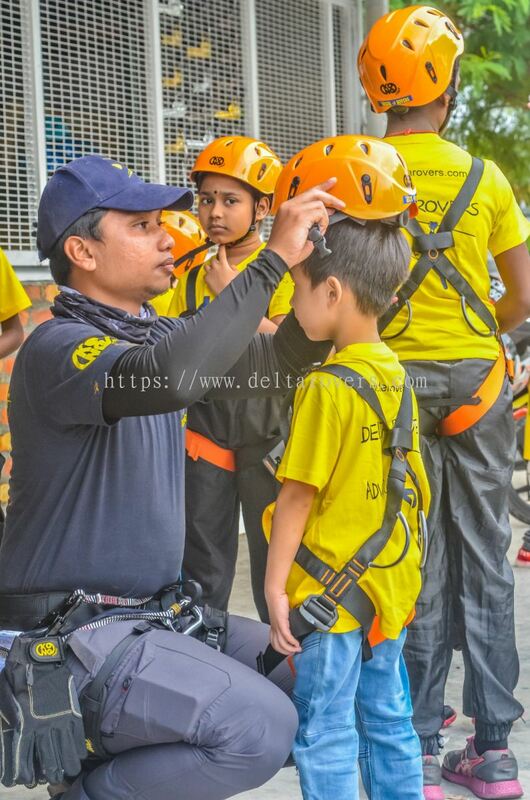 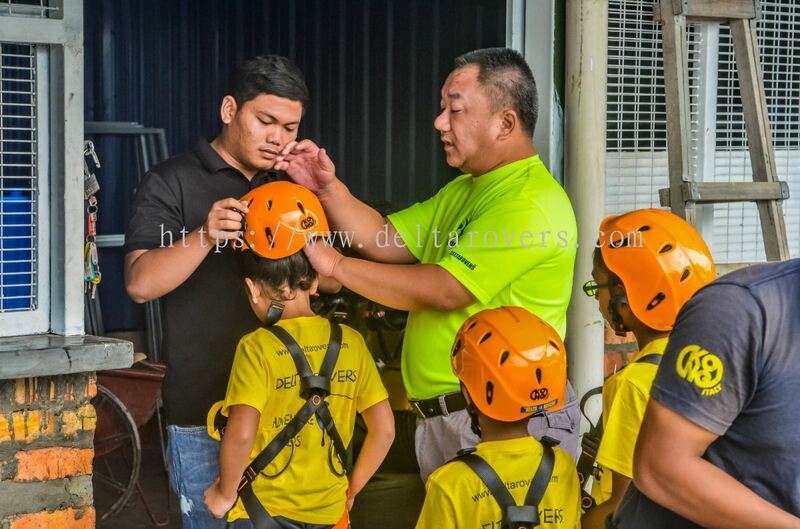 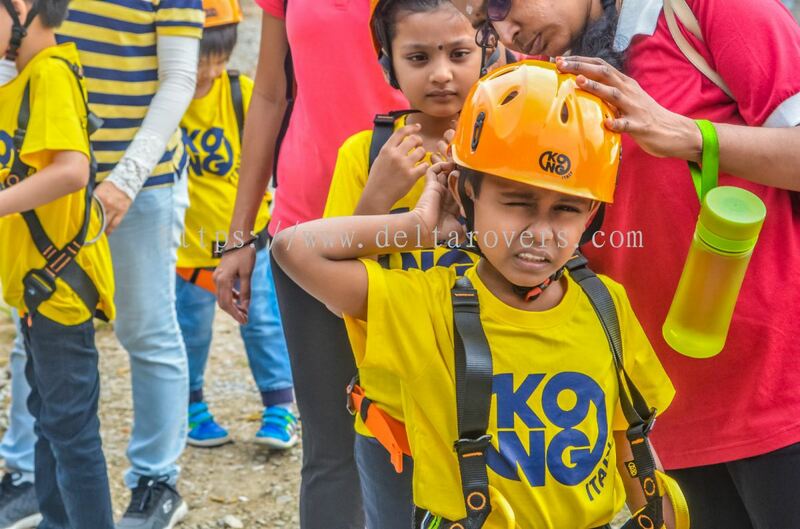 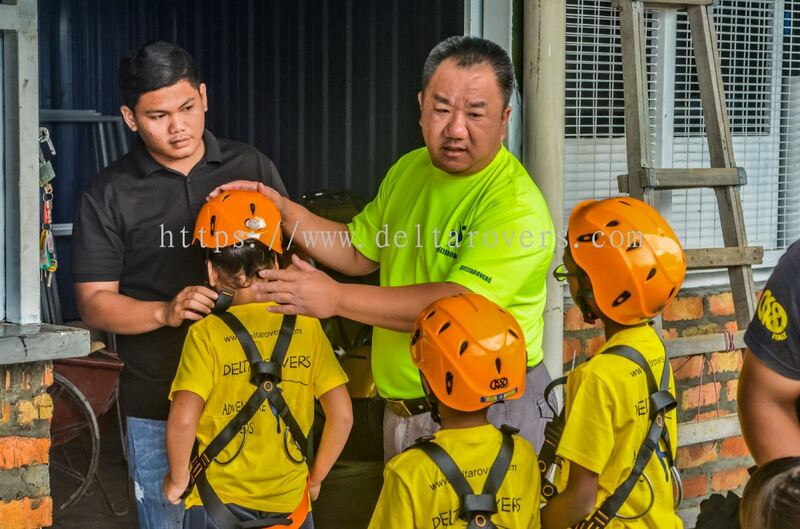 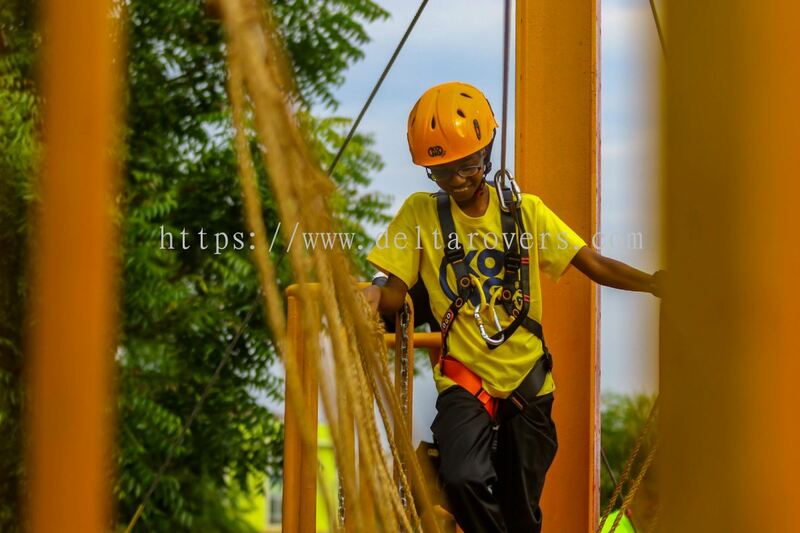 Team Delta Rovers Malaysia Sdn Bhd - We are the leading adventure sports & training facilities service provider in Kuala Lumpur (KL), Malaysia. 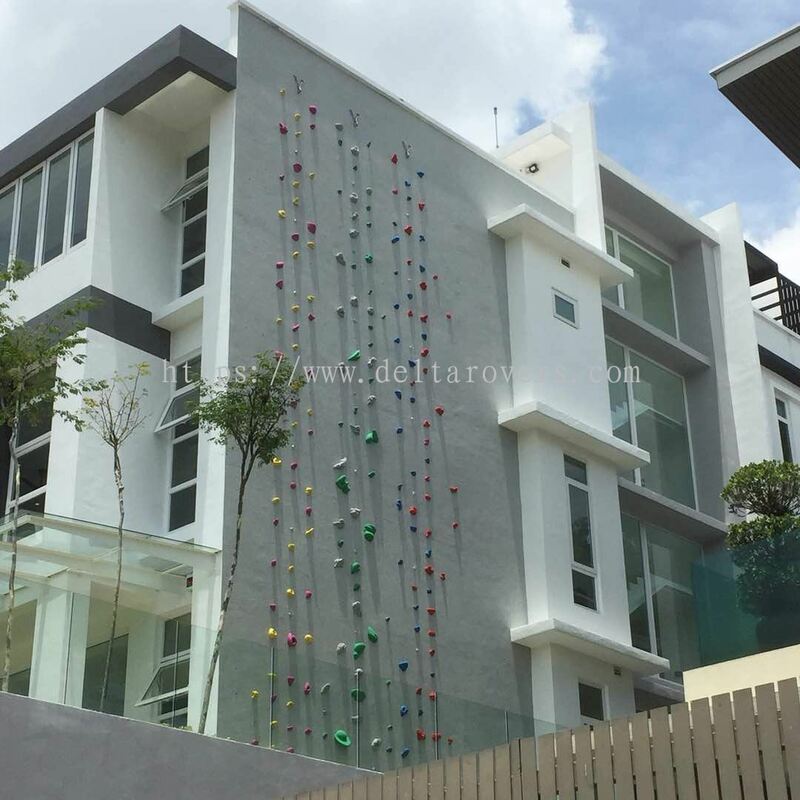 25, Jalan Damar SD 15/1, Bandar Sri Damansara, 52200 Kuala Lumpur, Malaysia. 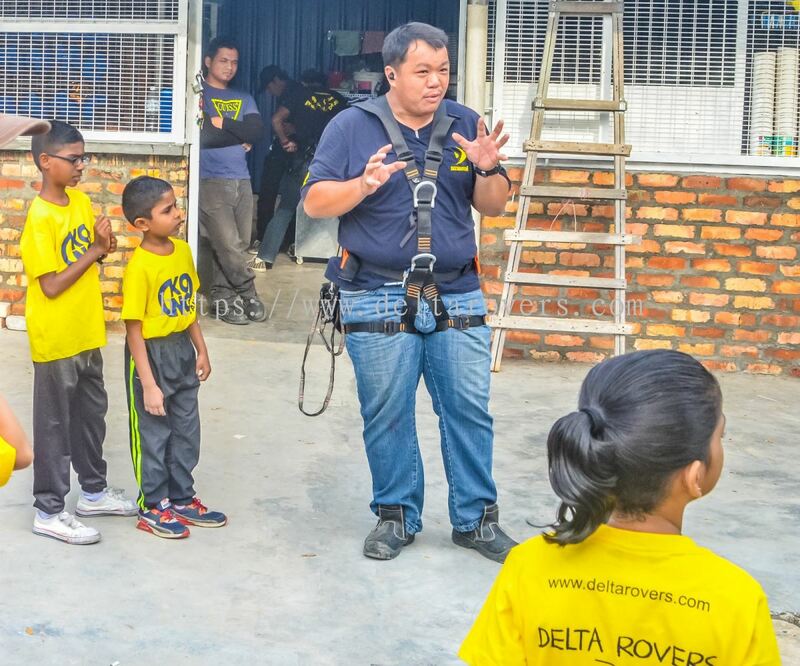 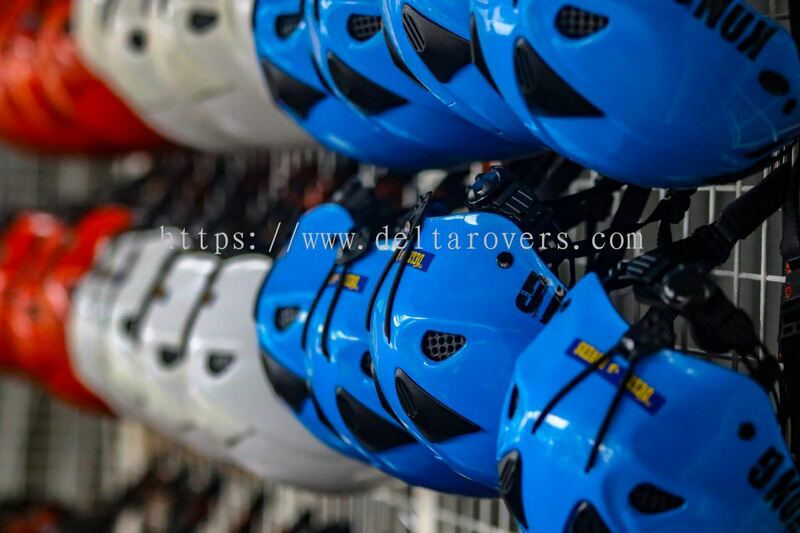 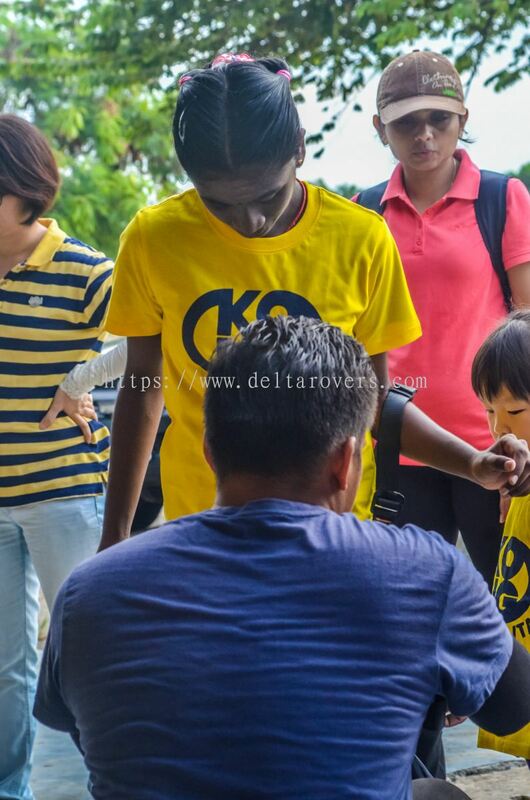 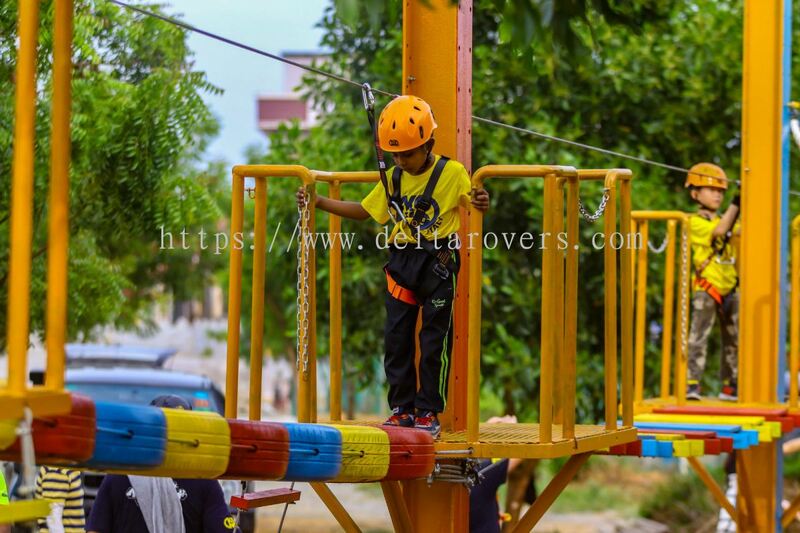 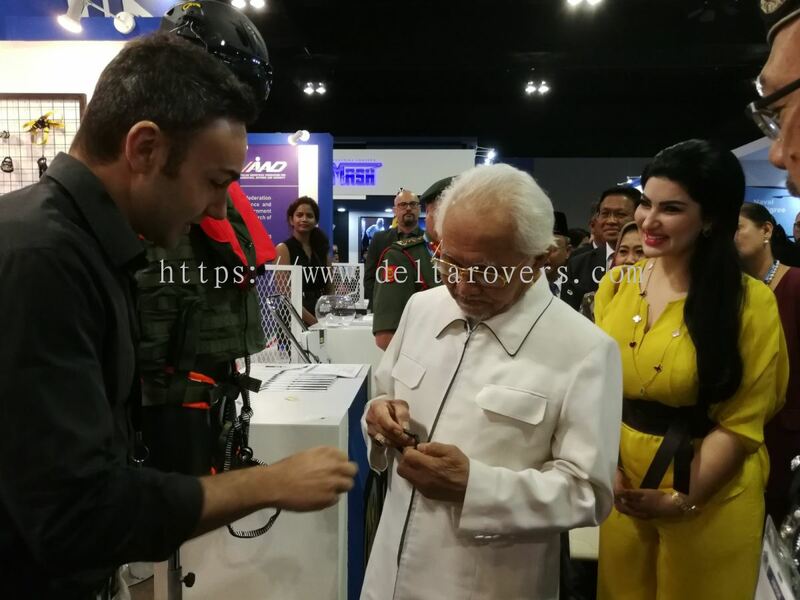 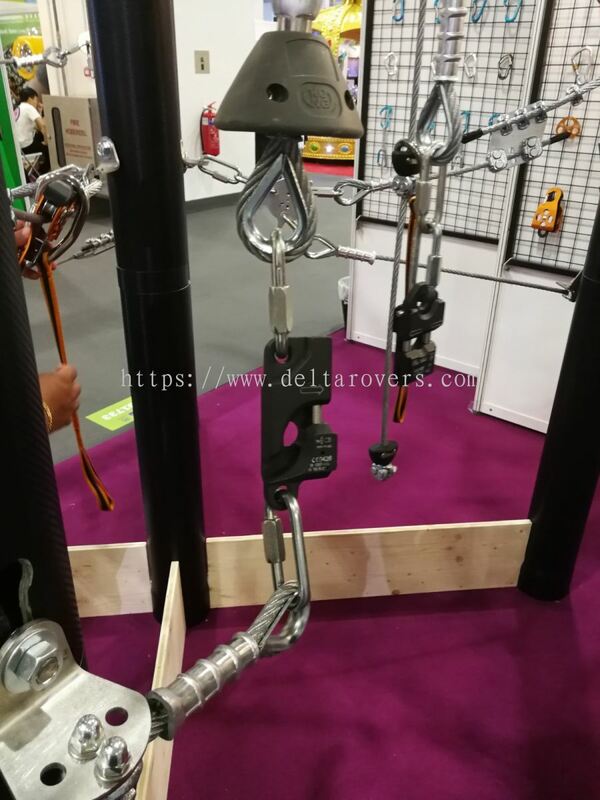 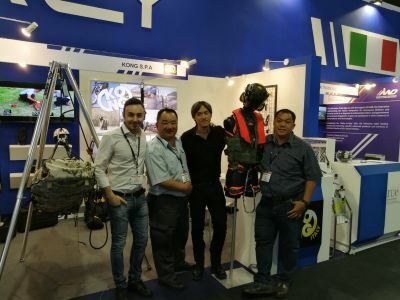 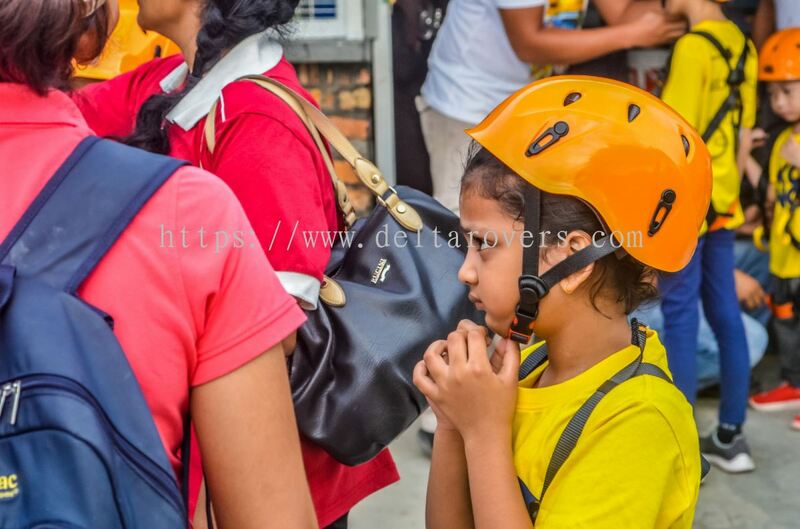 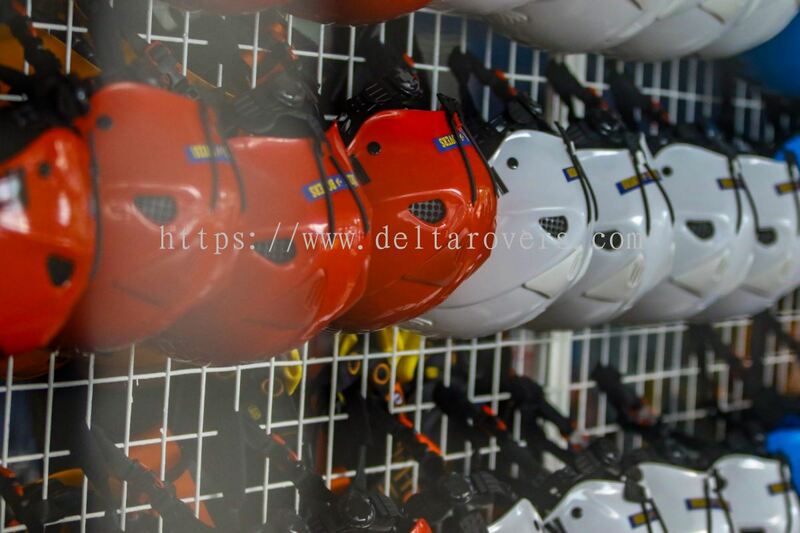 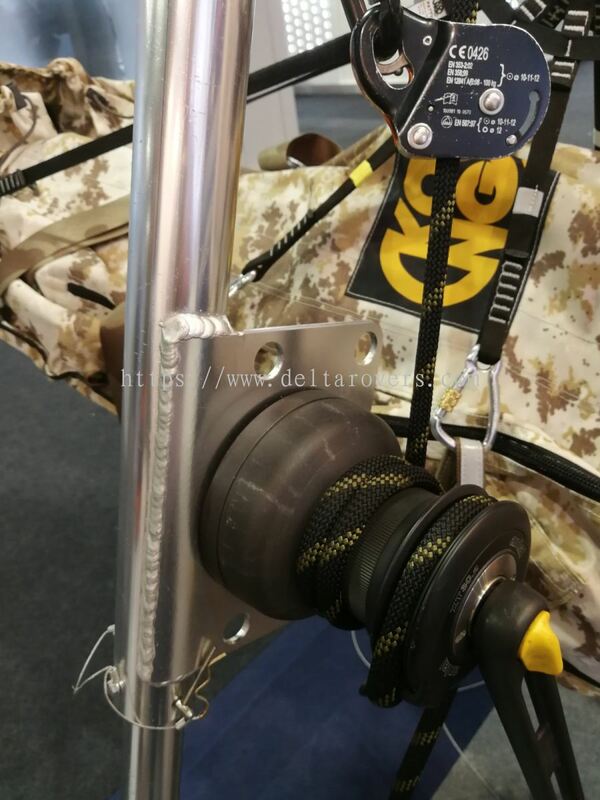 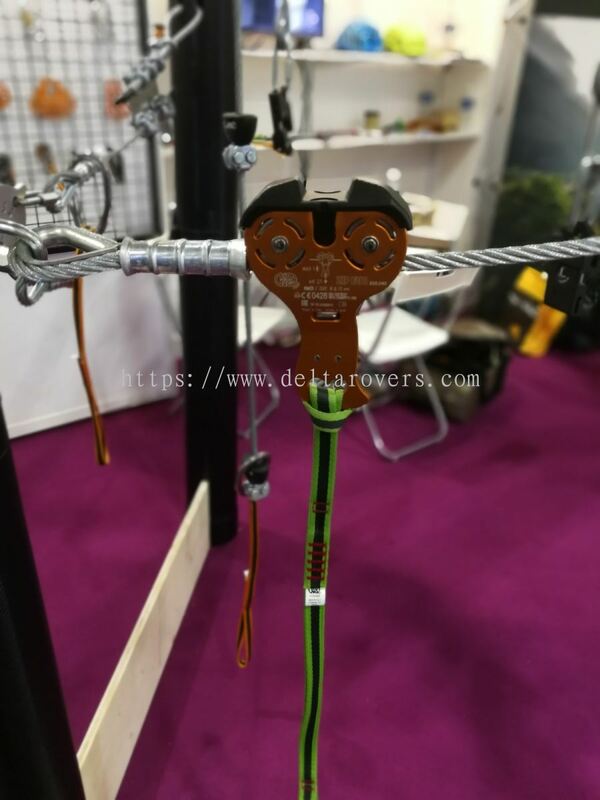 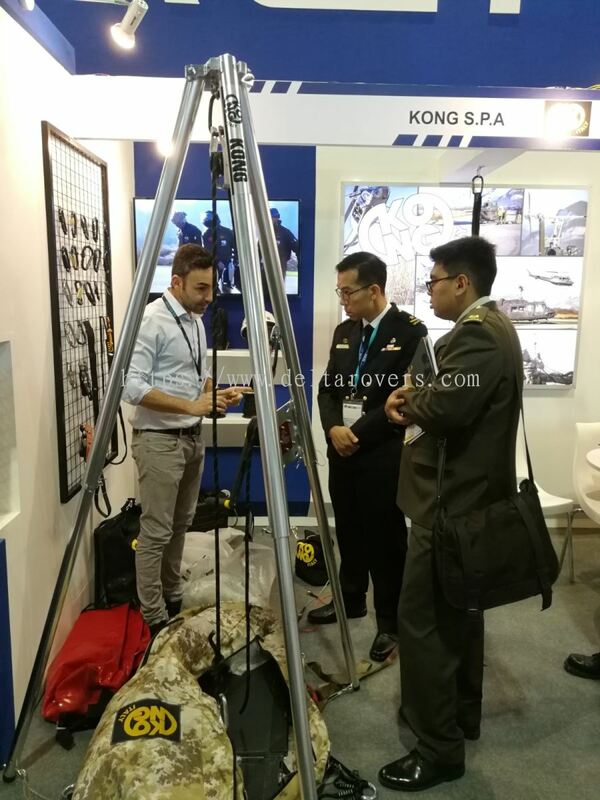 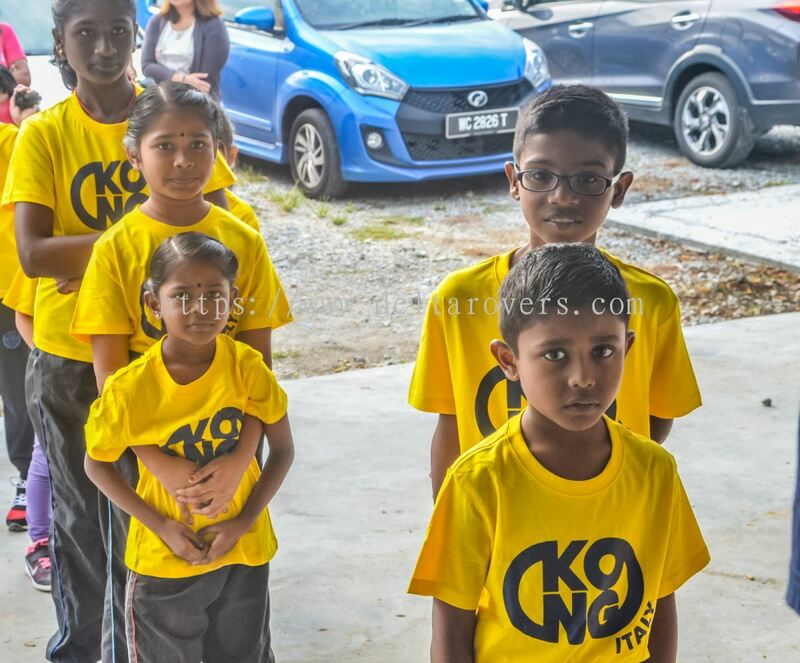 Team Delta Rovers Malaysia Sdn Bhd began operations in the early 1995 as D’ Rover Trading (DRT) a company based in Kuala Terengganu, Terengganu. 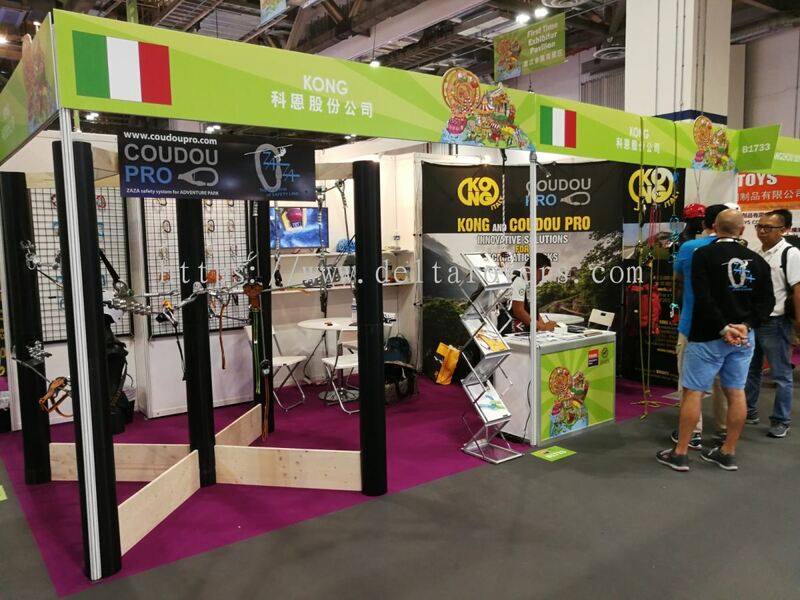 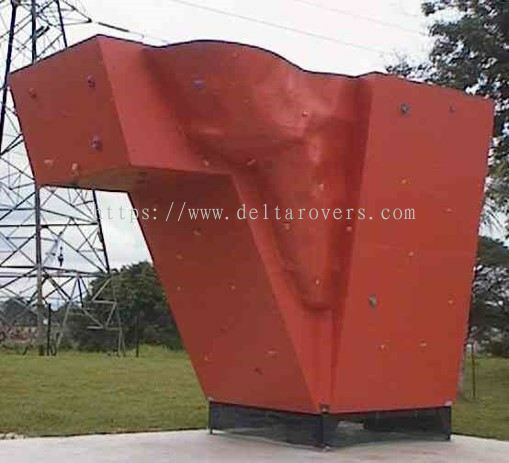 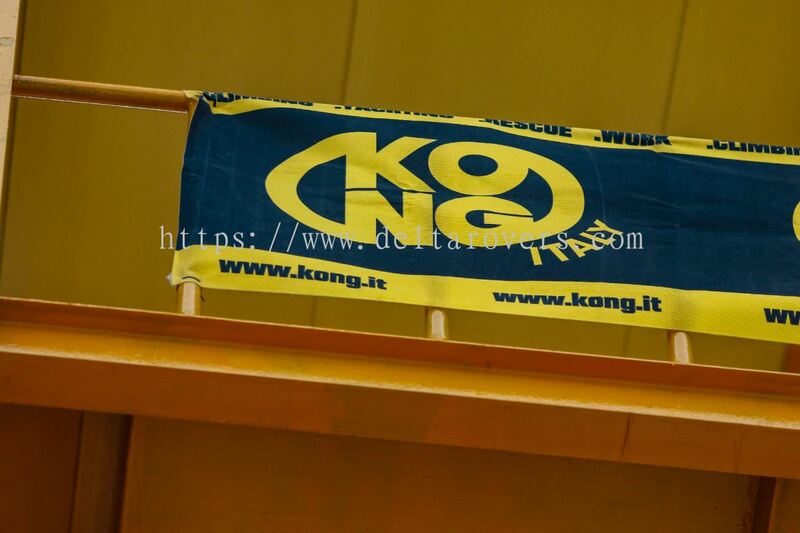 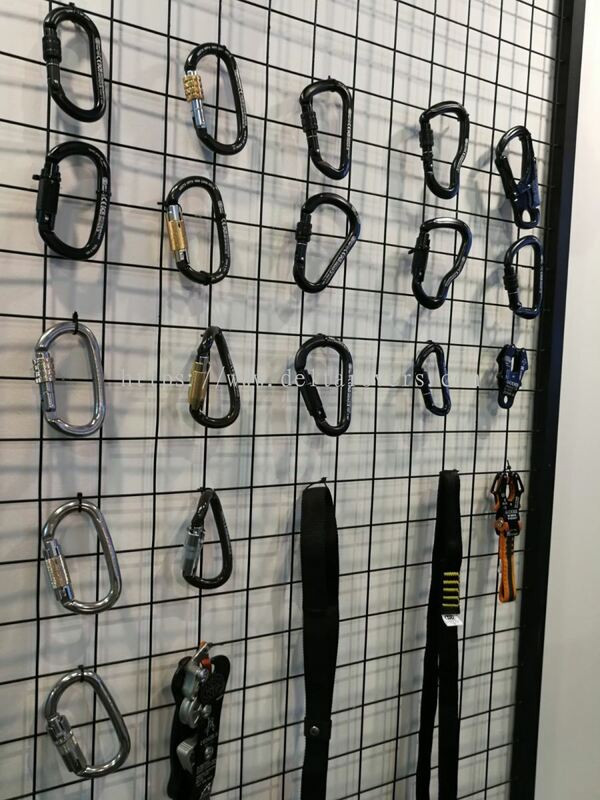 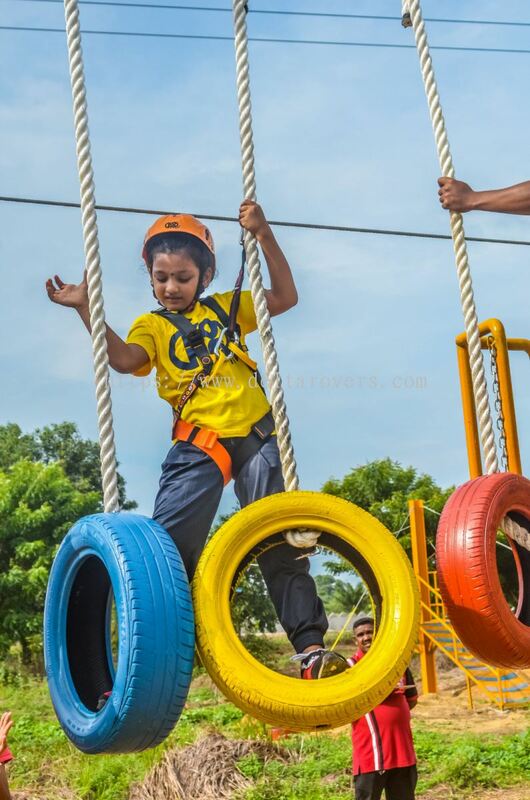 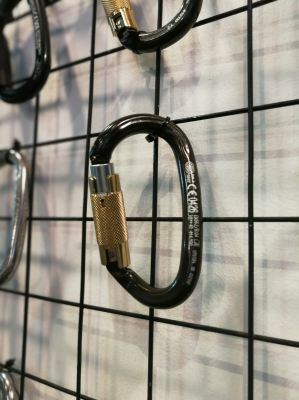 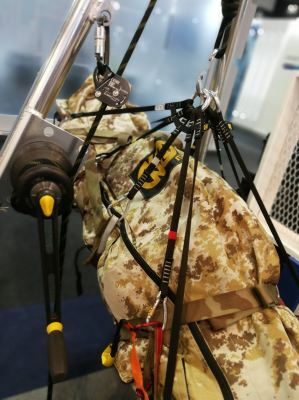 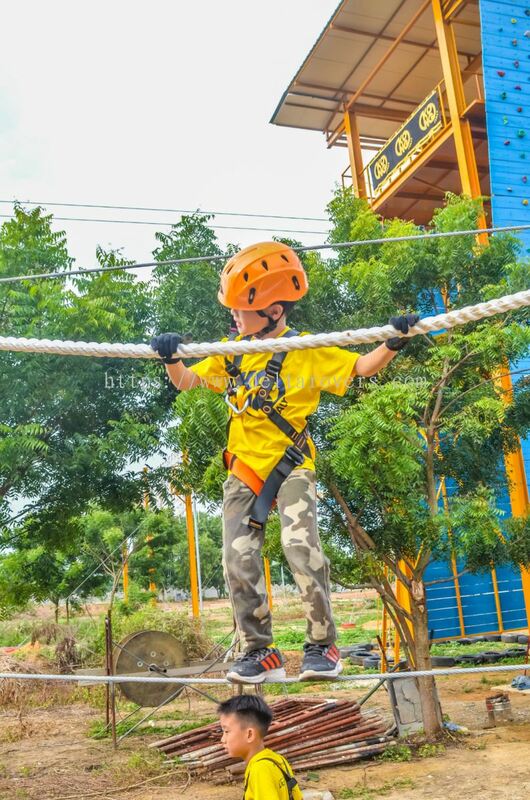 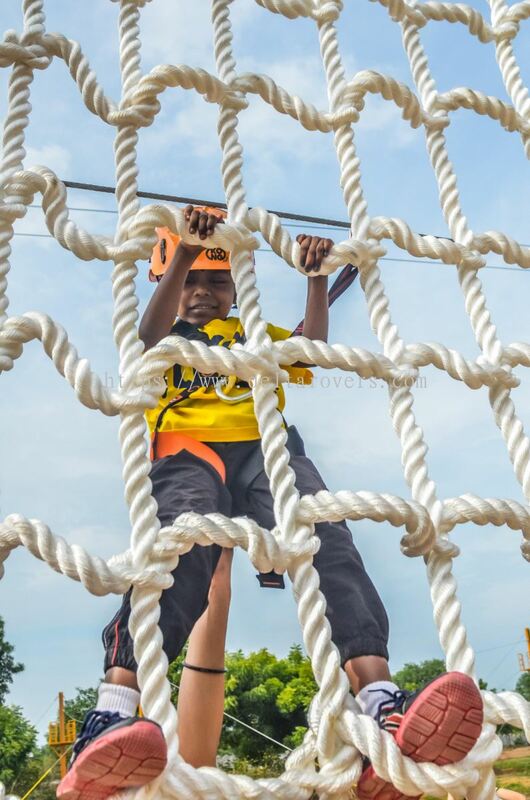 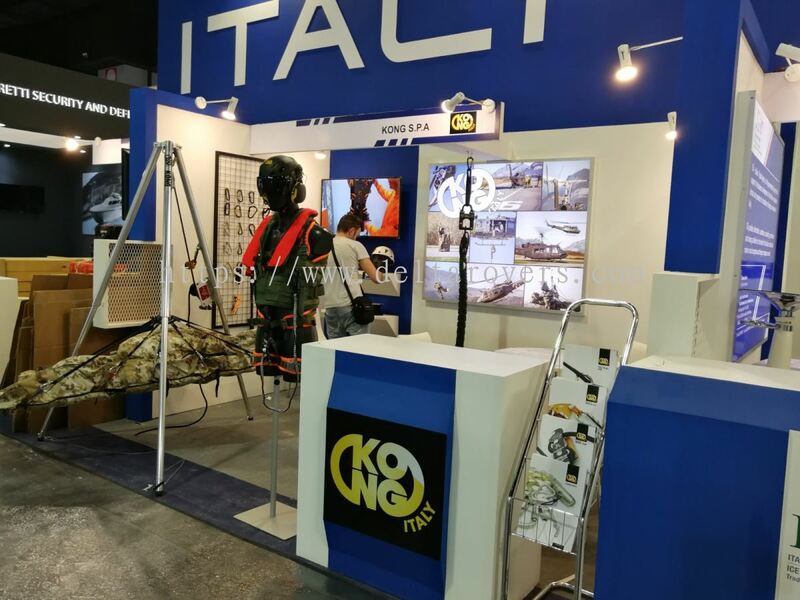 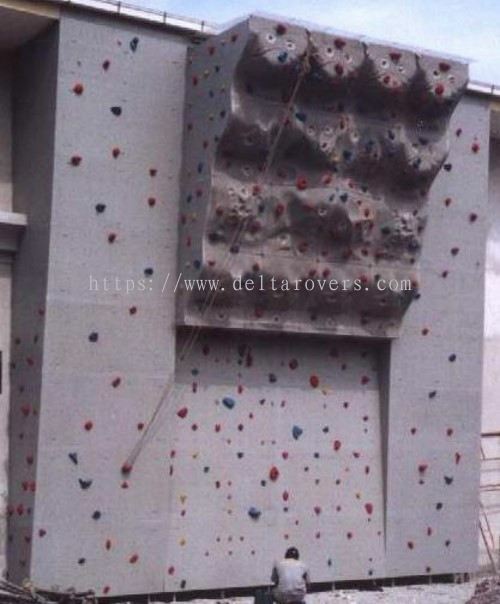 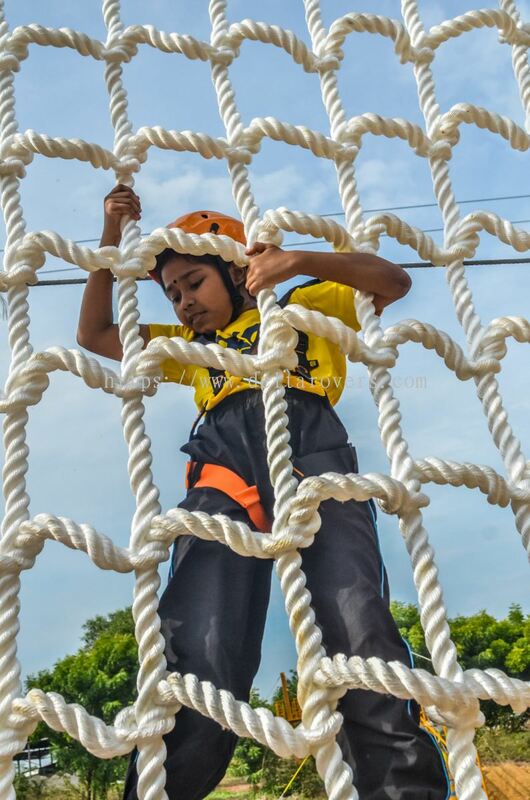 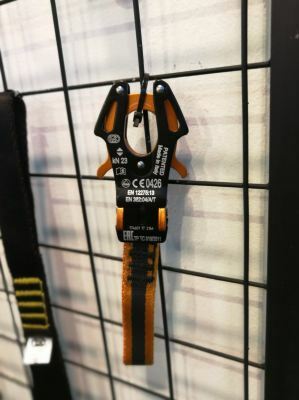 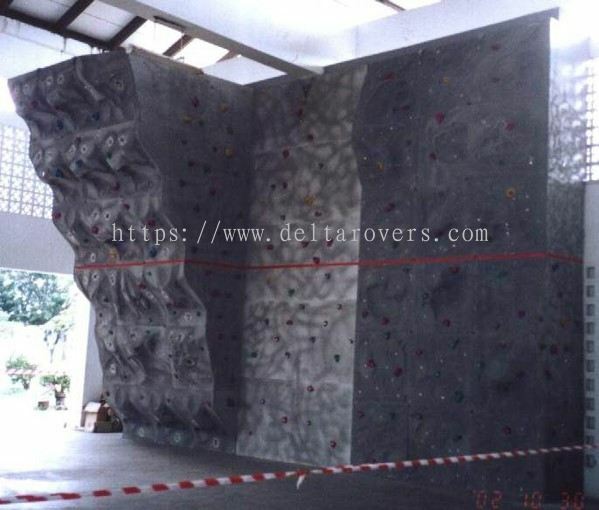 During our early years of operations, we were in the business of designing and building specialty sport structures such as Climbing Walls, Obstacle Courses, Flying Fox and etc. 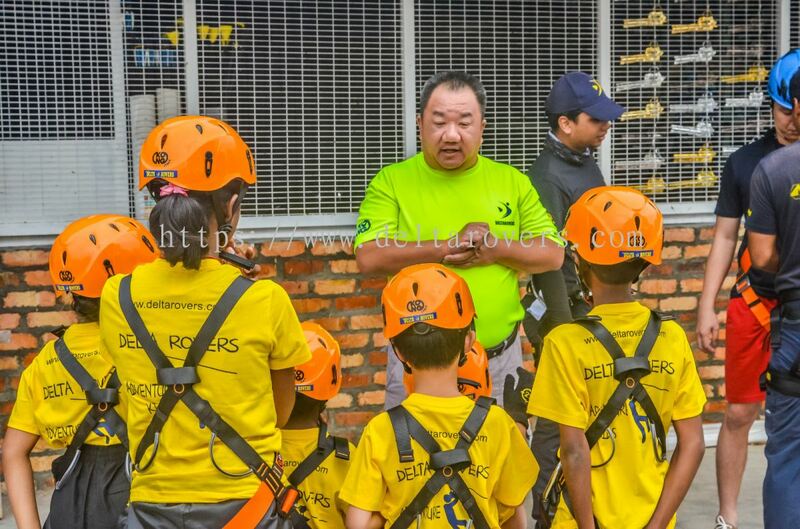 One of our other major activities besides designing & building specialty sport structures was organizing adventure trips & training programs then. 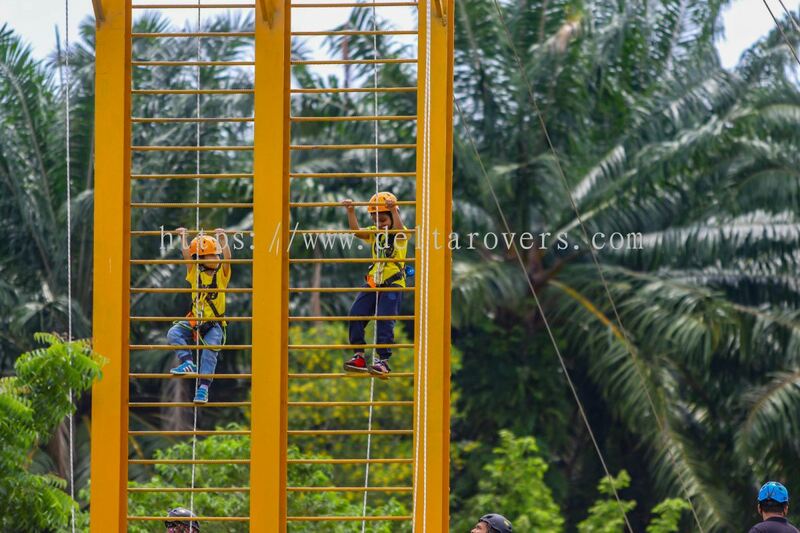 At the year end of 1996, our team members, being a member of the Scout Movement, we played a crucial role in the designing, planning & the organization all the activities for the 18th Asia Pacific Regional Scout Jamboree, which was held on the 1st of Dec 1997 in Besut, Terengganu, the APR Scout Jamboree was a big success with a total participation of 15,000 boys & girls with the support of 2,500 on-site service staff. 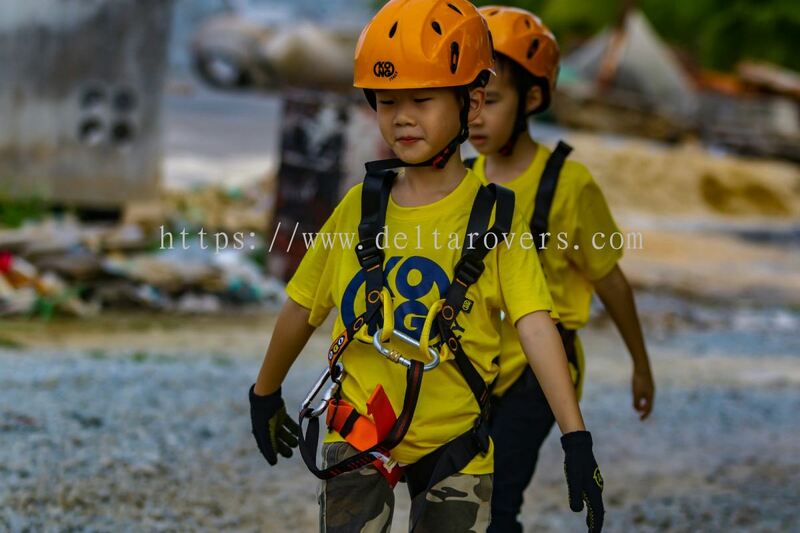 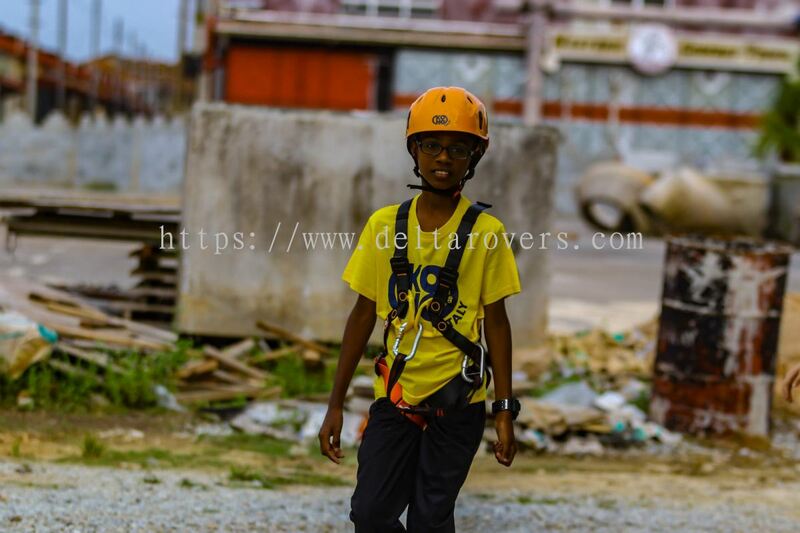 In 1998, we moved to change our company name to D’ Rover Adventure Sports & Recreation (DRASR). 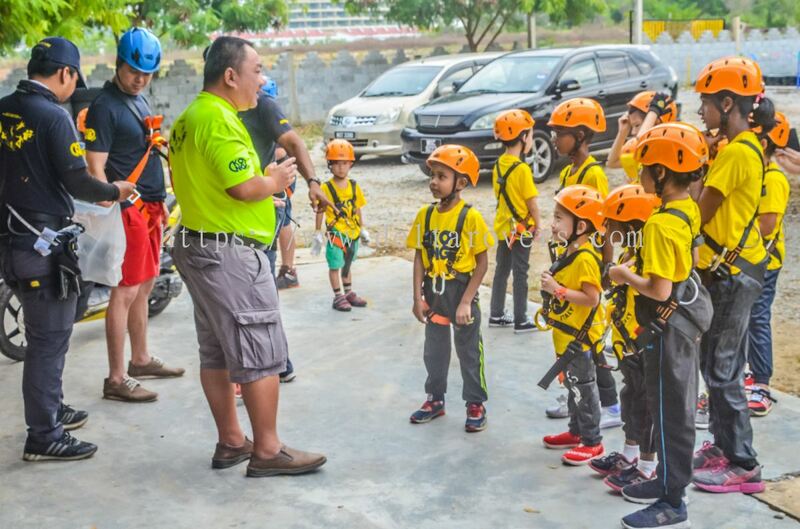 This is in reflection of our on-going growth in work and our passion for adventure sports; and our continuous belief and influence in the Adventure Sports & Recreation industry in Malaysia. 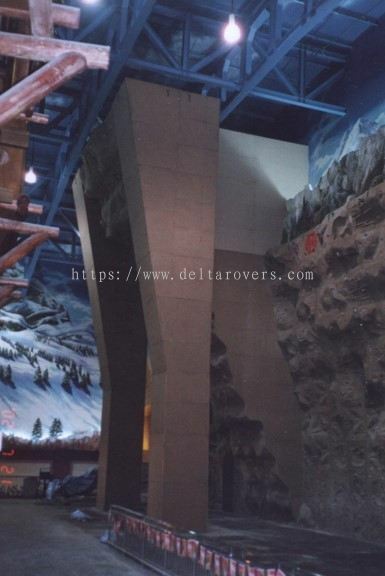 At the beginning early 2000, in order to solidify and strengthen our position in this industry we moved to Kuala Lumpur to form Team Delta Rovers Malaysia Sdn Bhd (TDRM) as an immediate confirmation of our status & and move to improve our Corporate Identity for a more professional appearance. 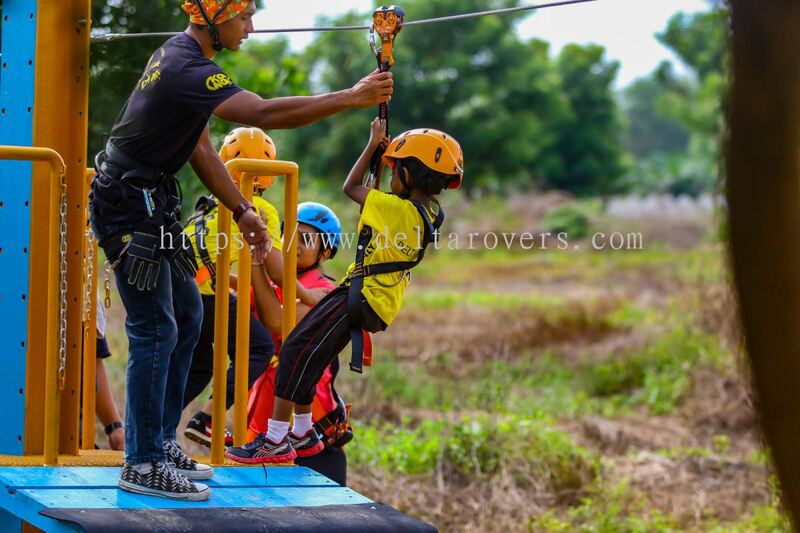 TDRM was registered and in doing so we embark on our journey in the Adventure Sports industry. 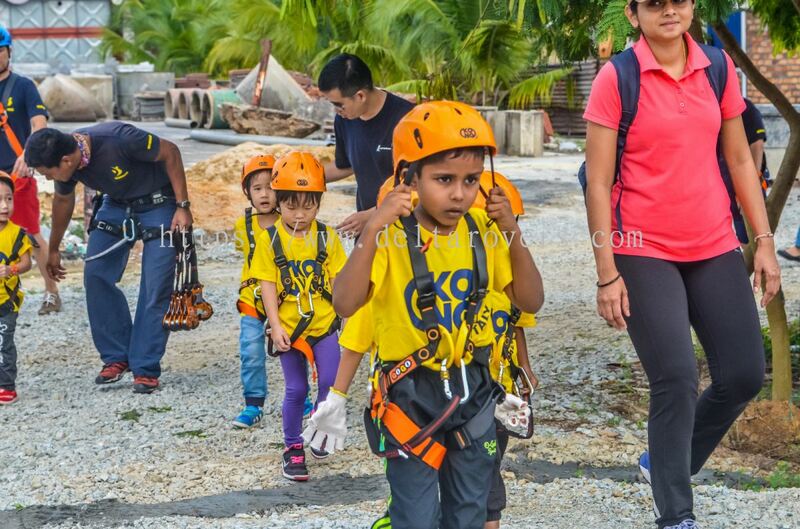 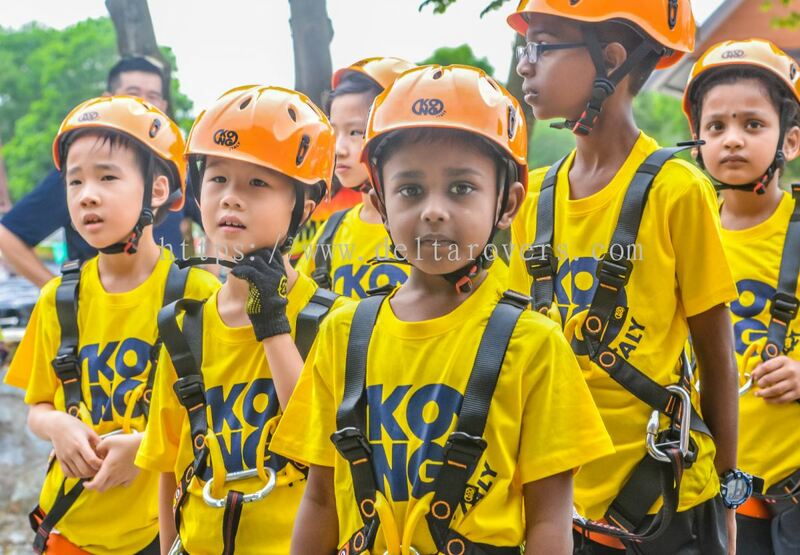 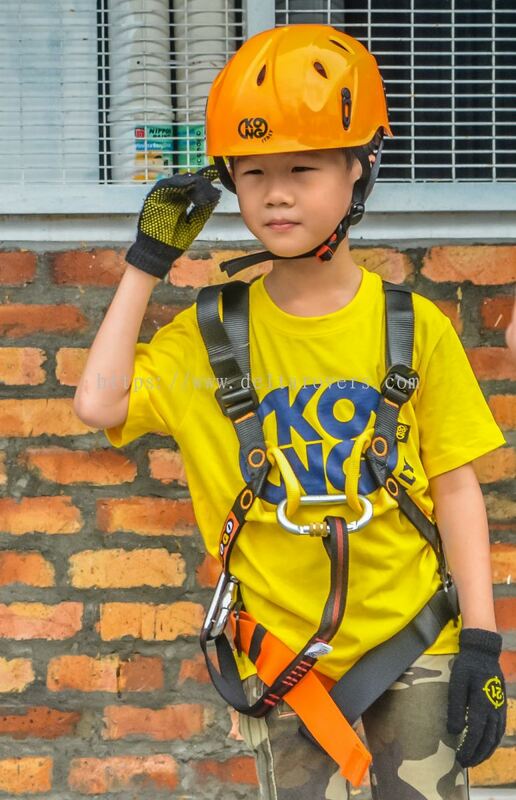 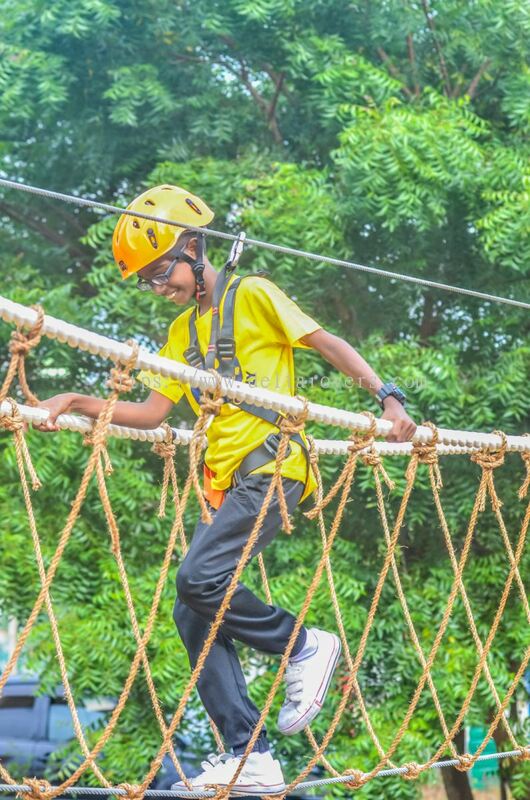 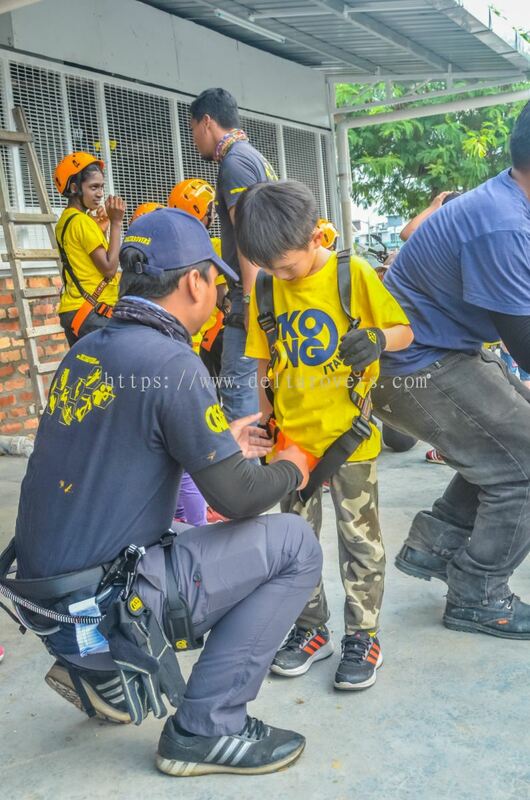 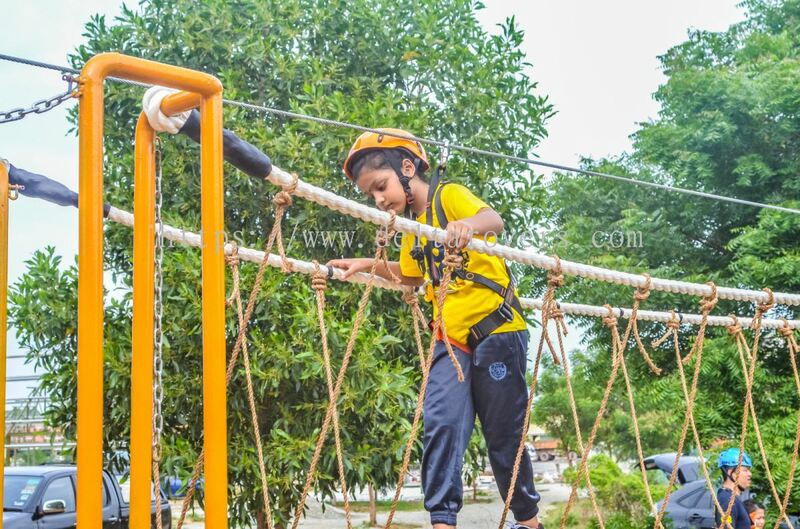 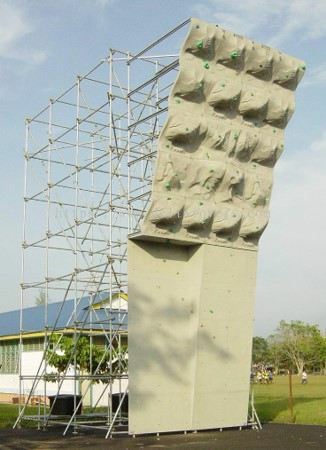 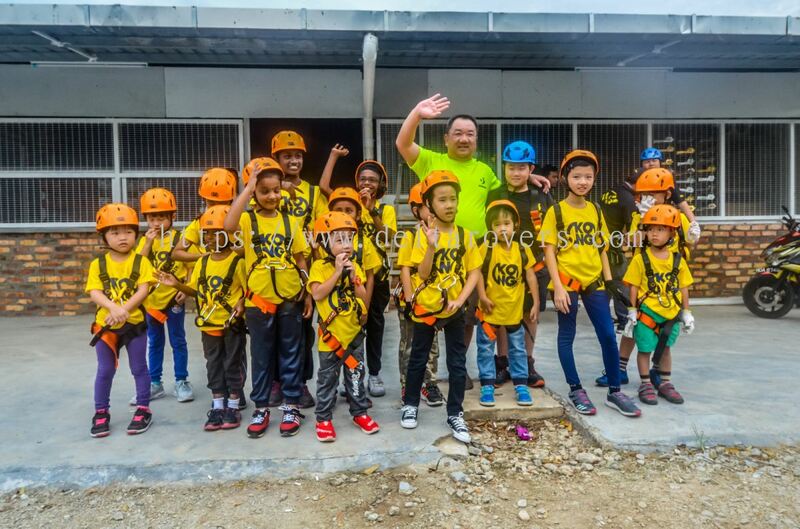 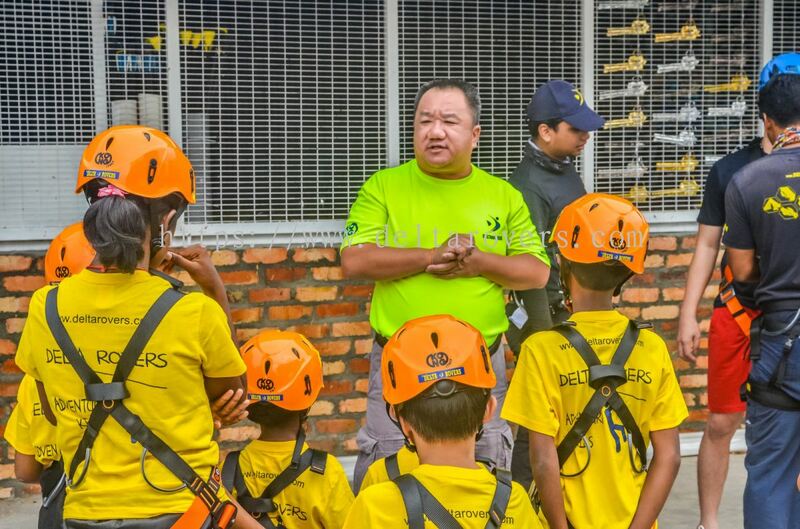 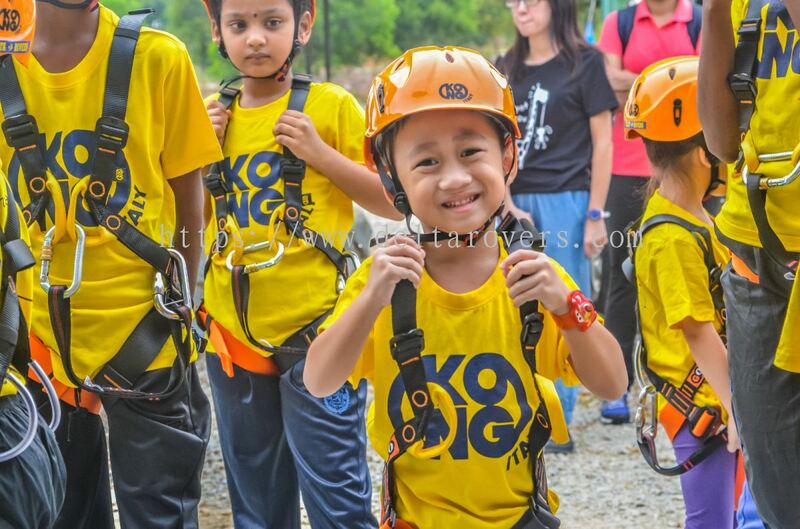 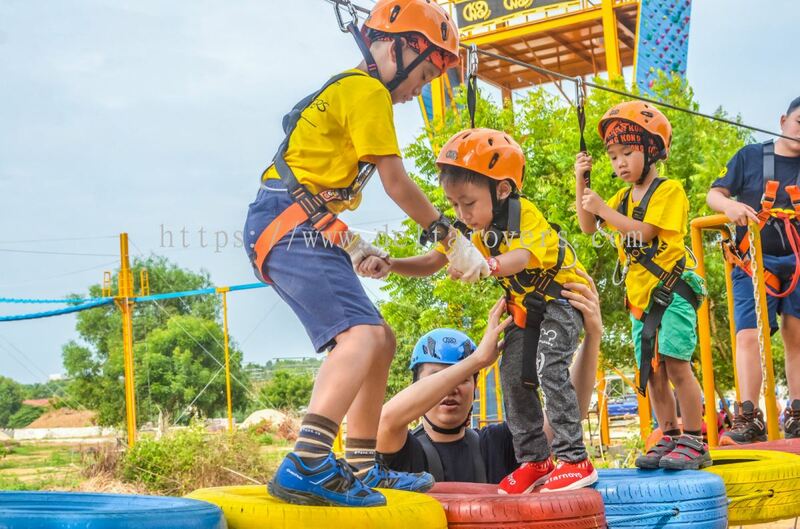 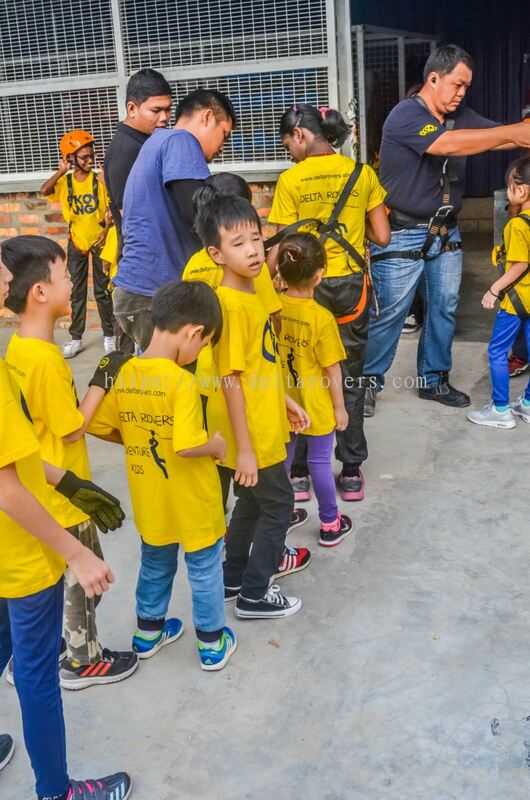 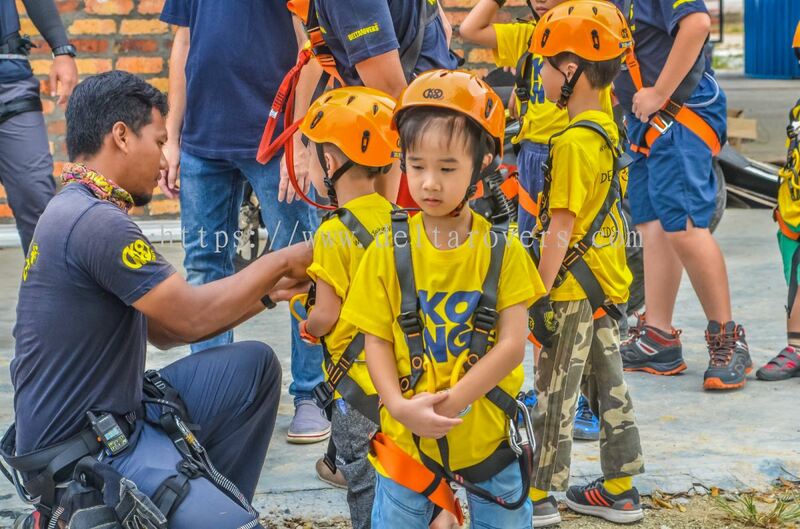 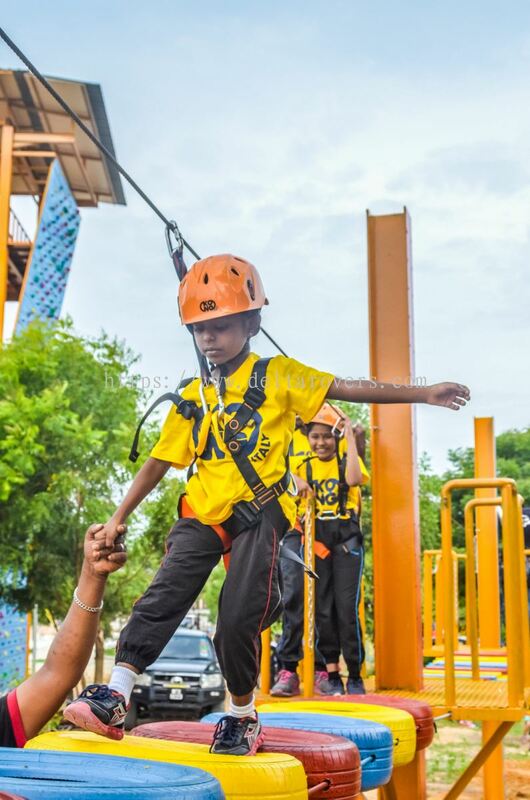 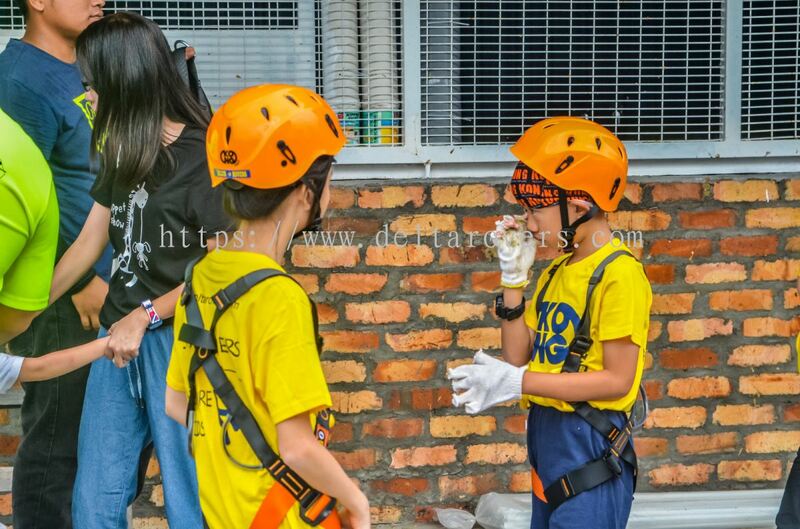 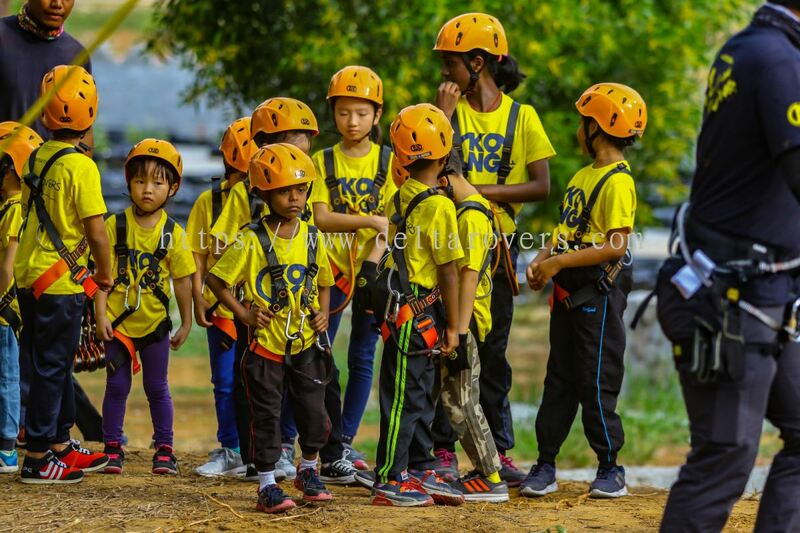 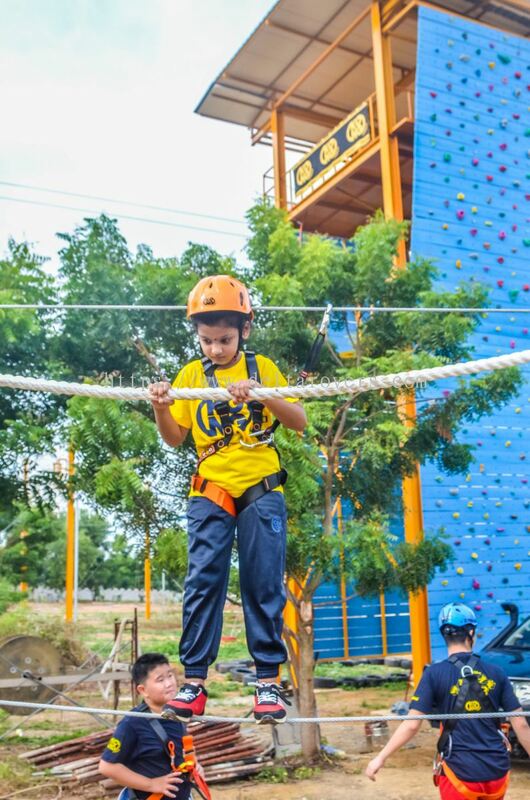 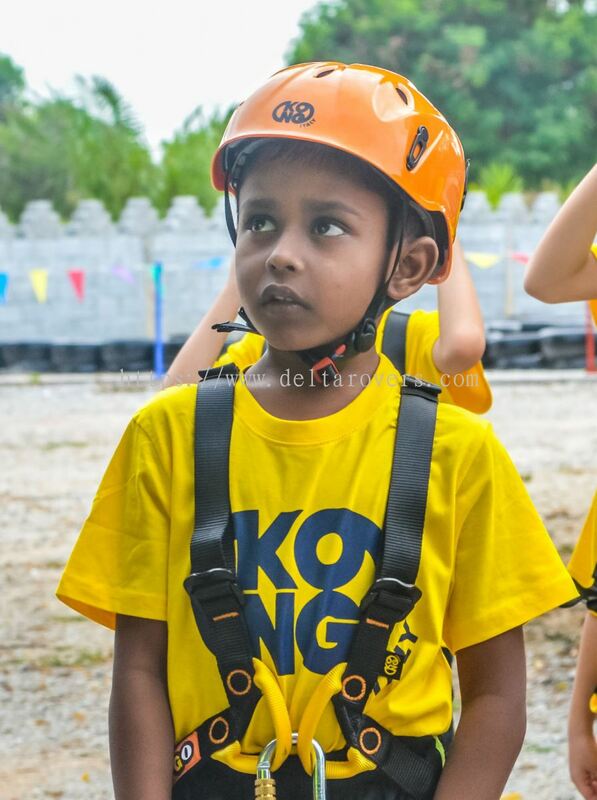 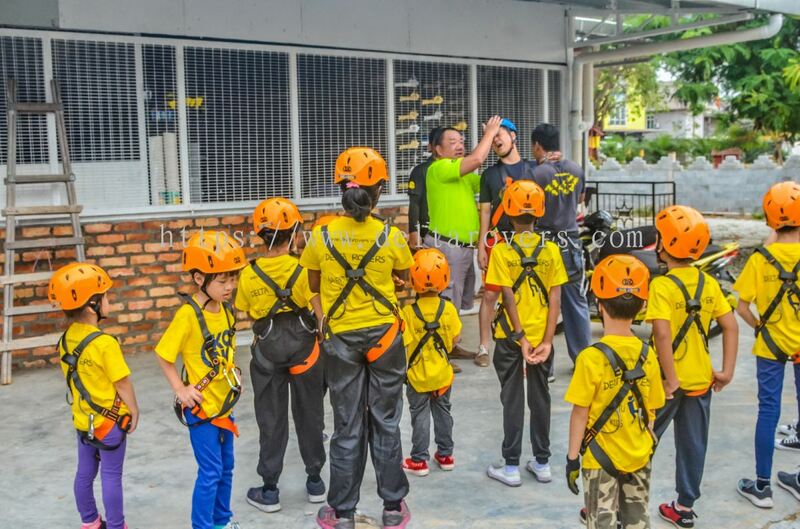 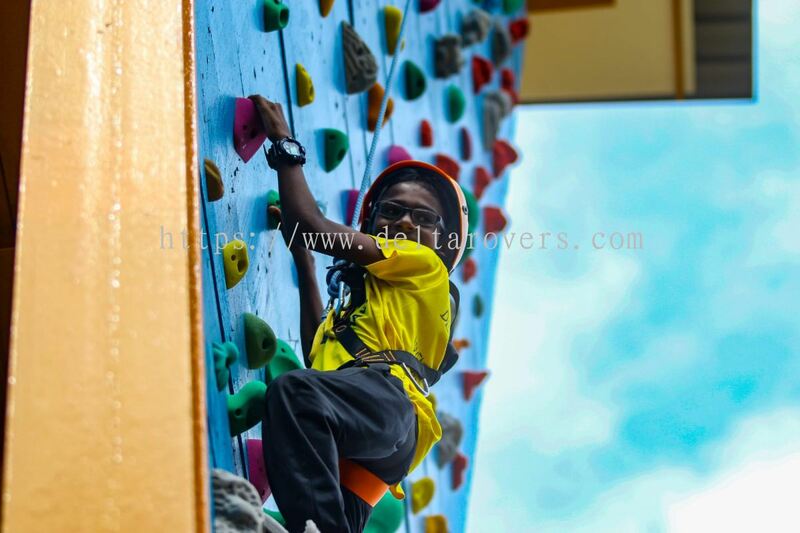 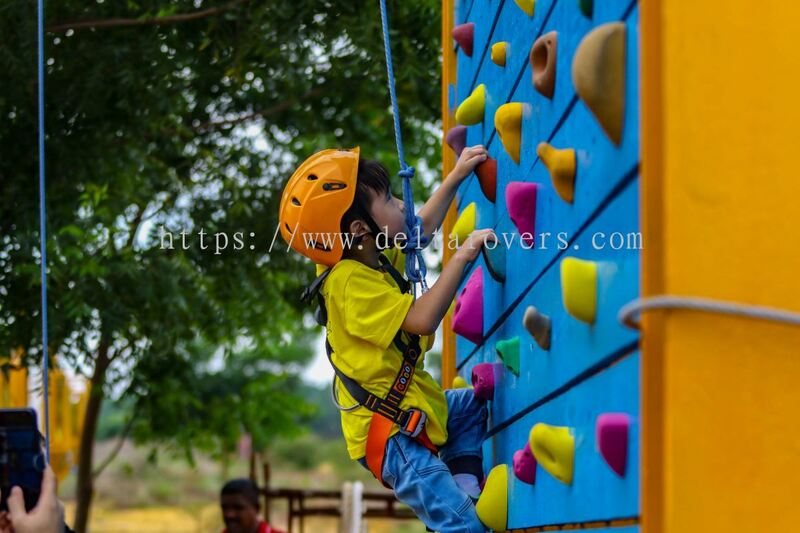 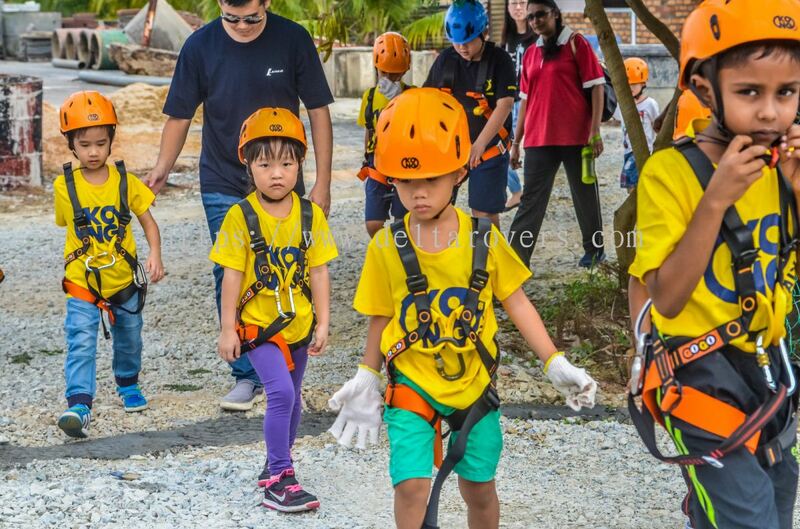 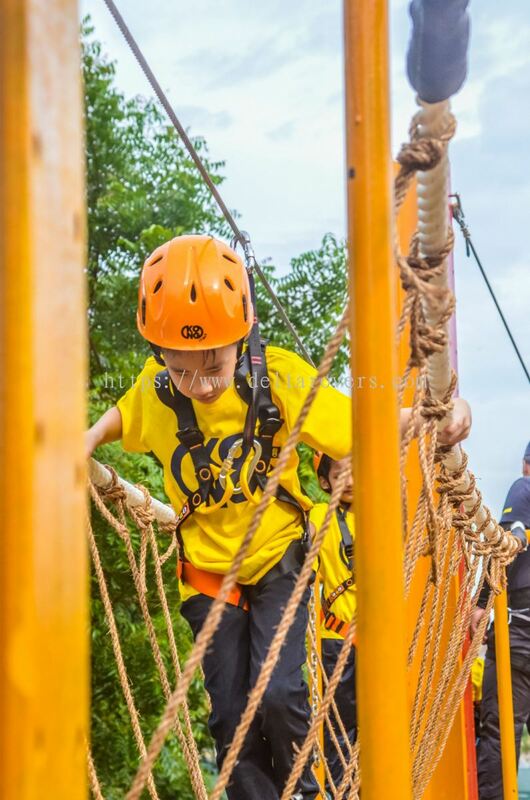 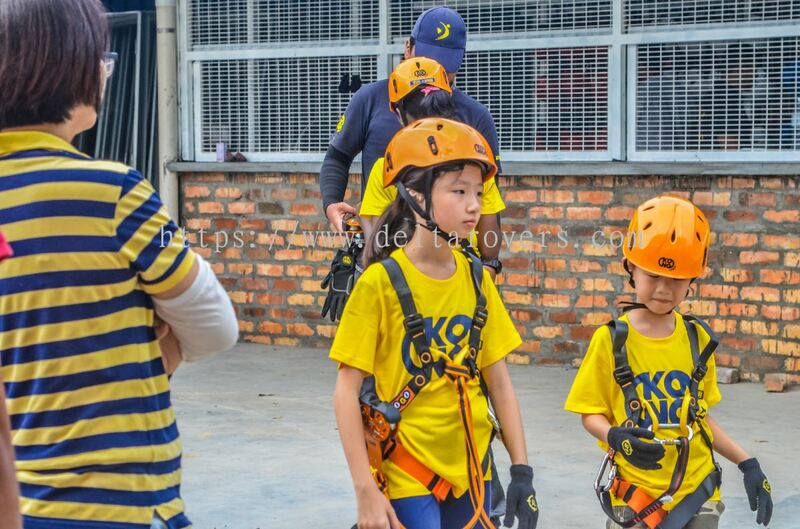 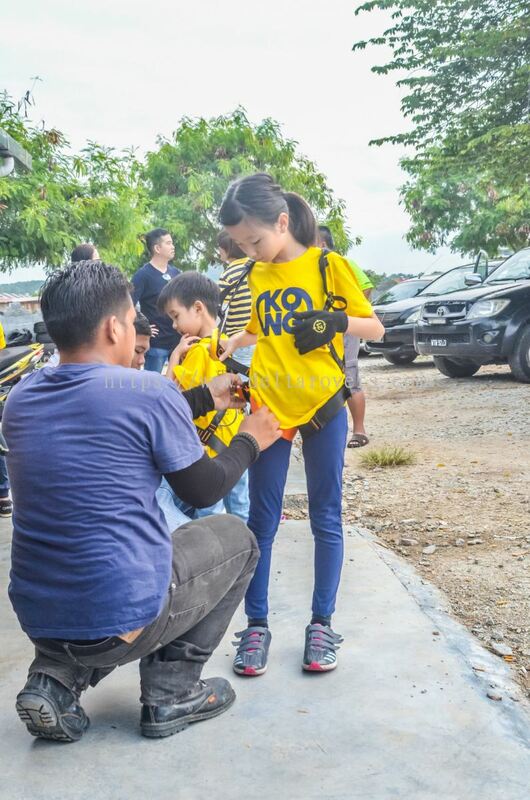 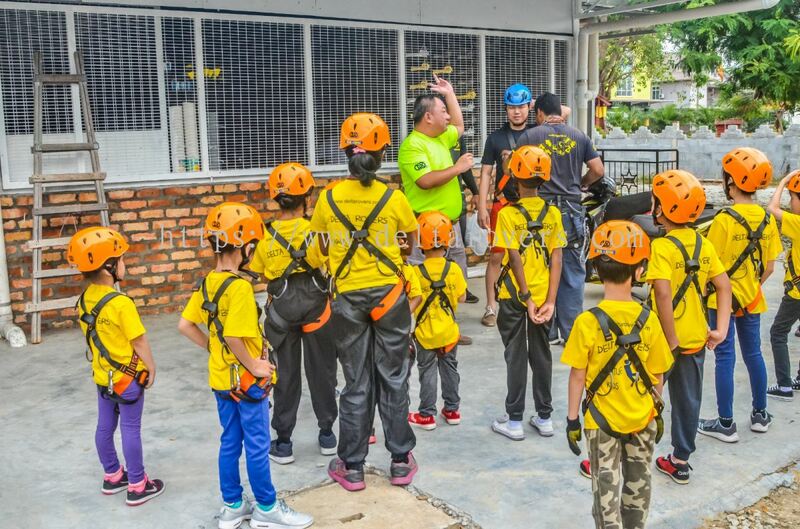 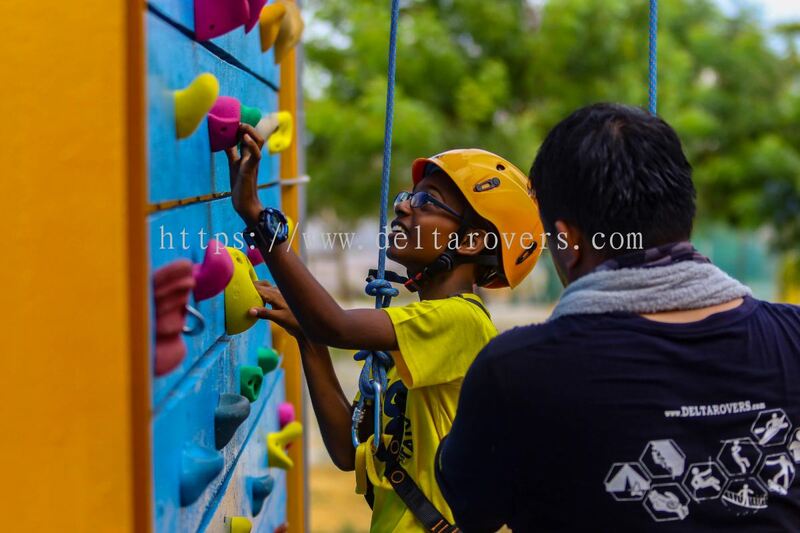 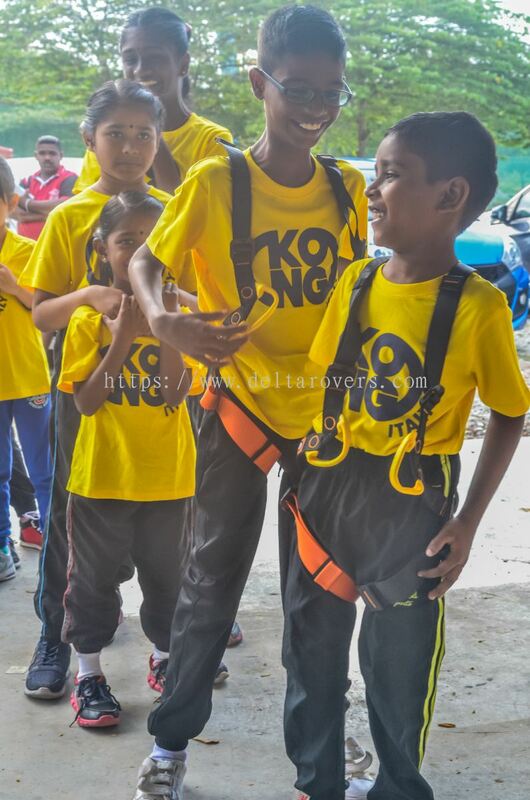 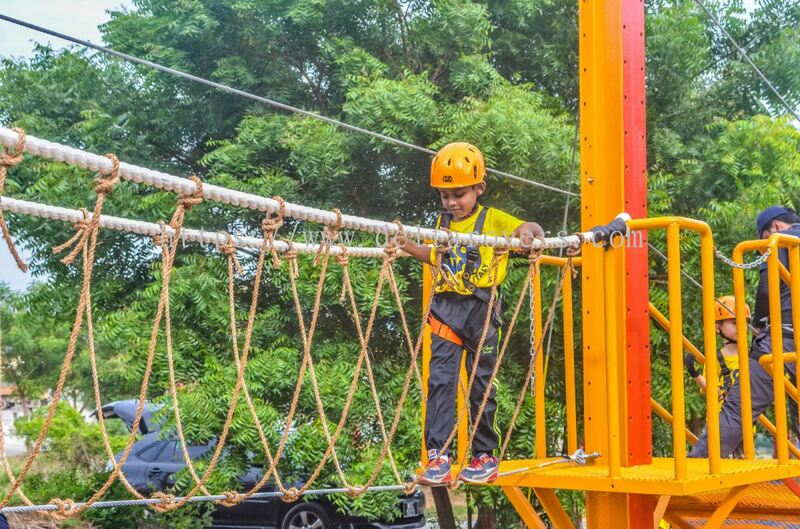 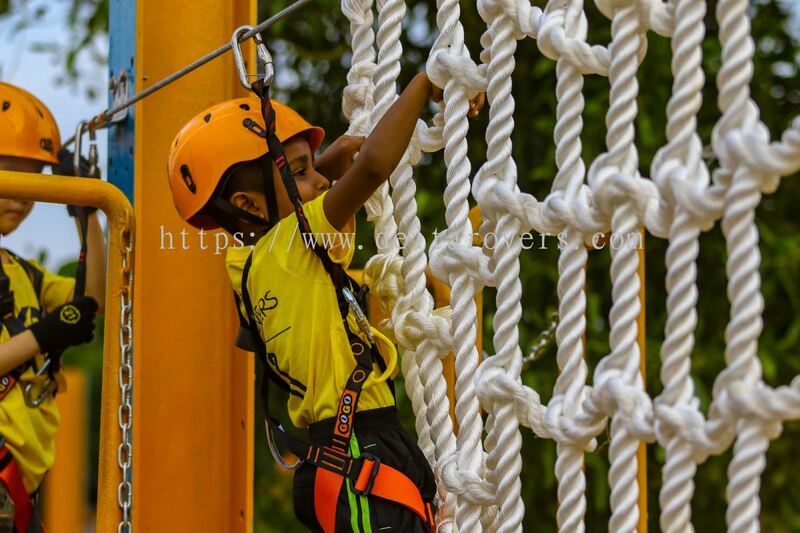 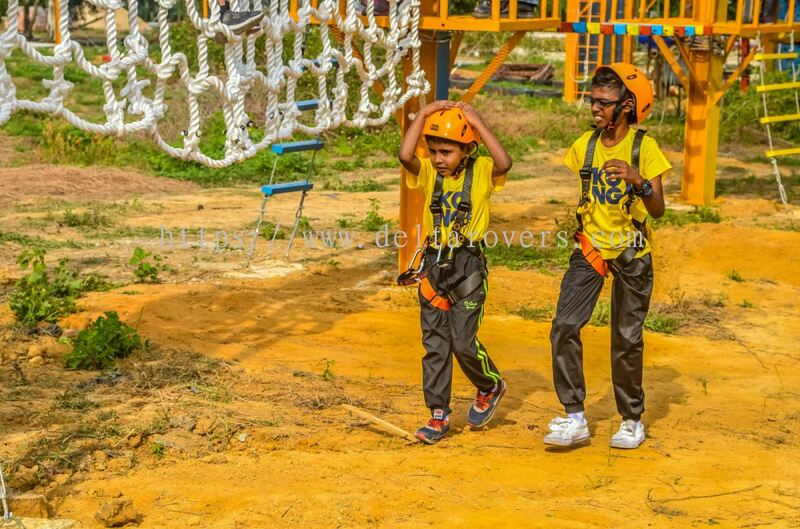 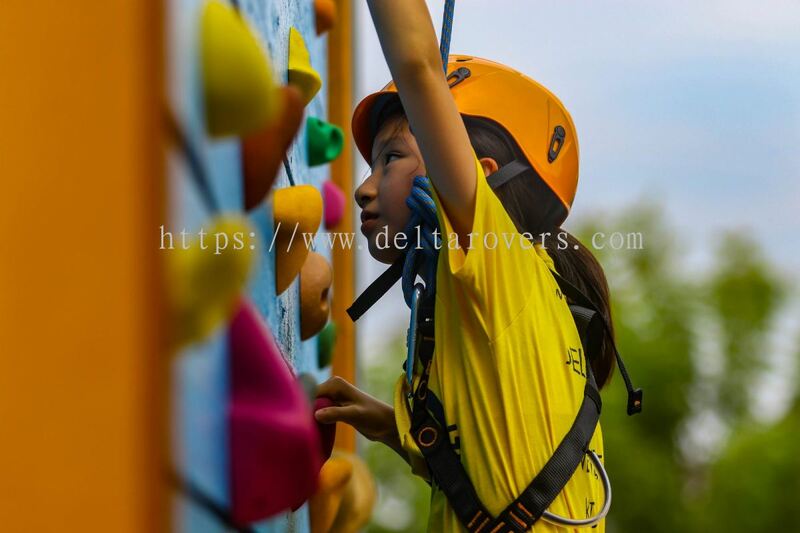 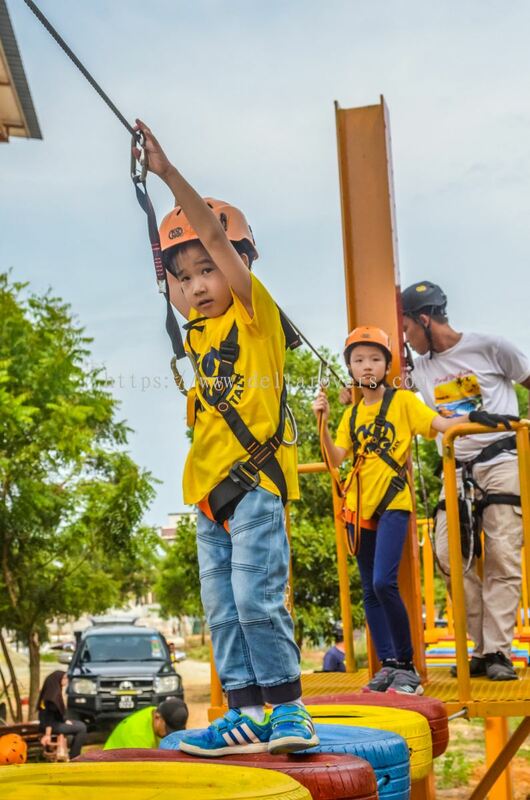 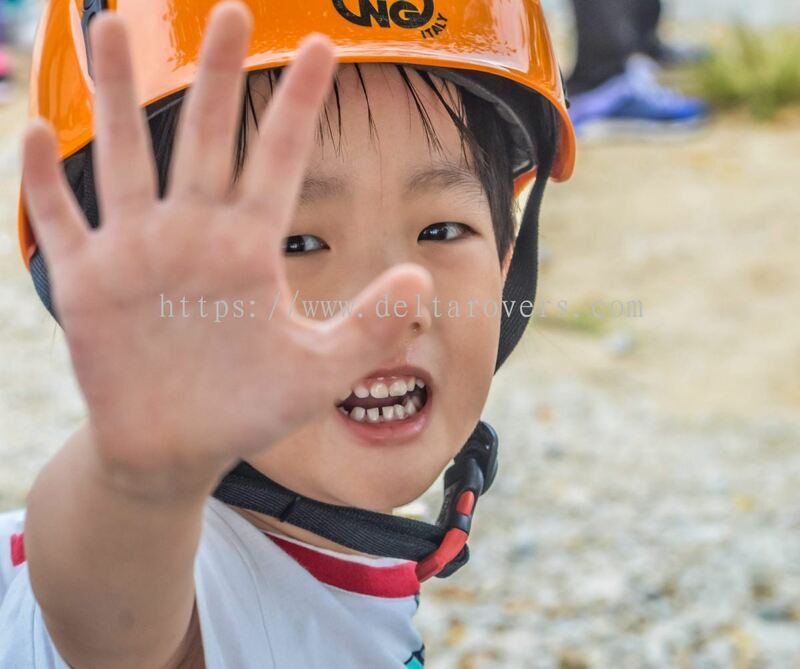 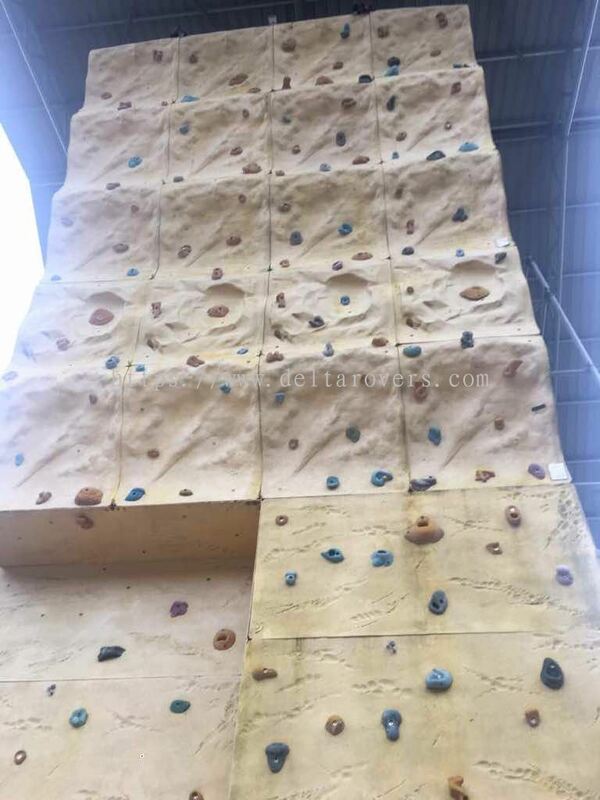 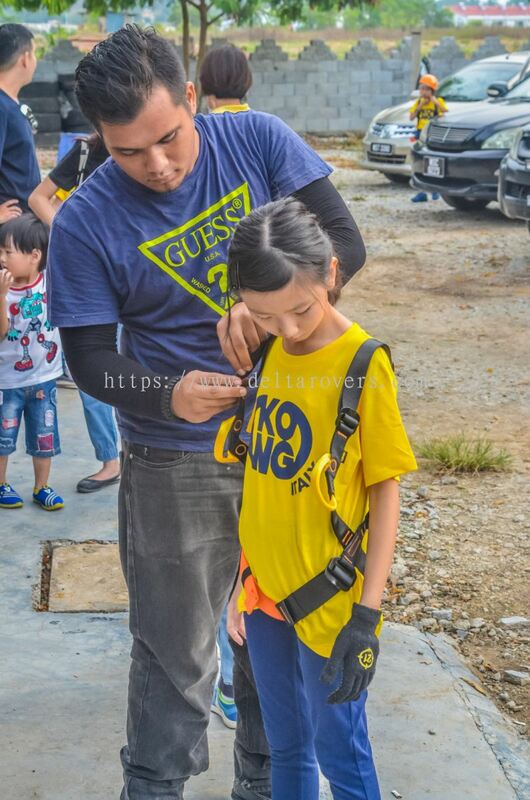 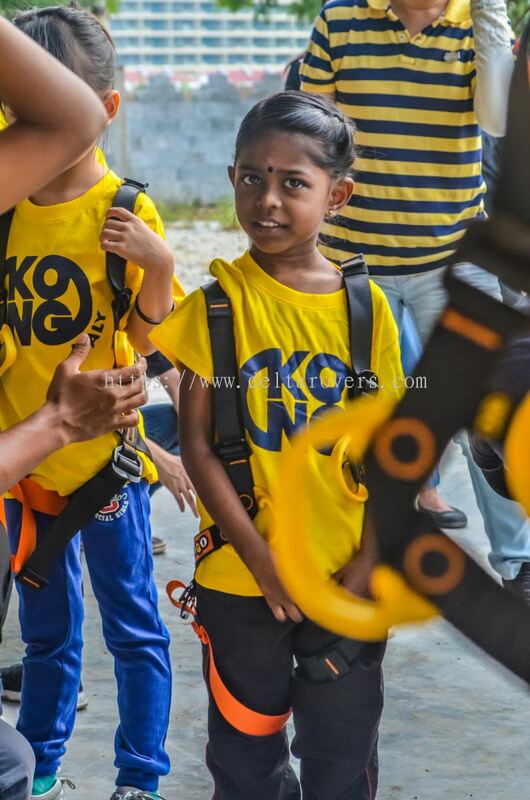 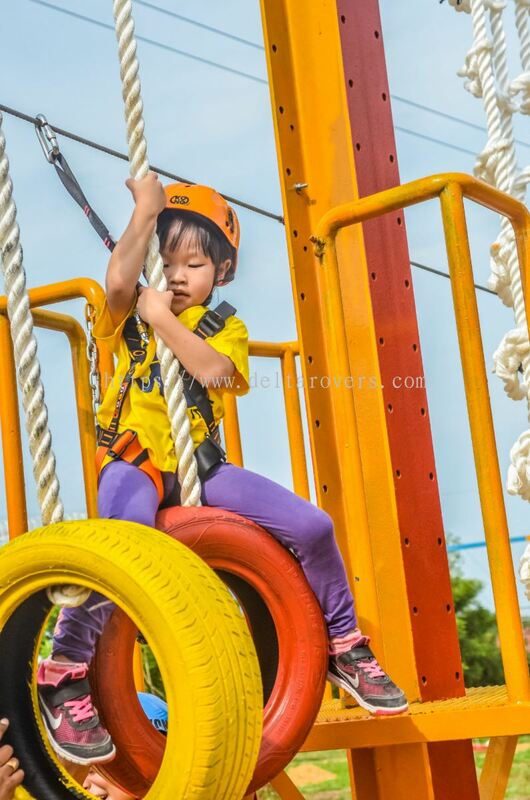 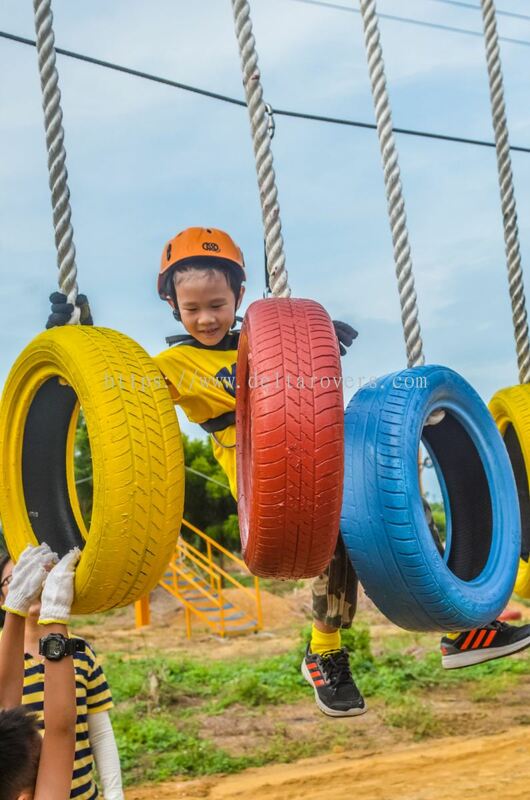 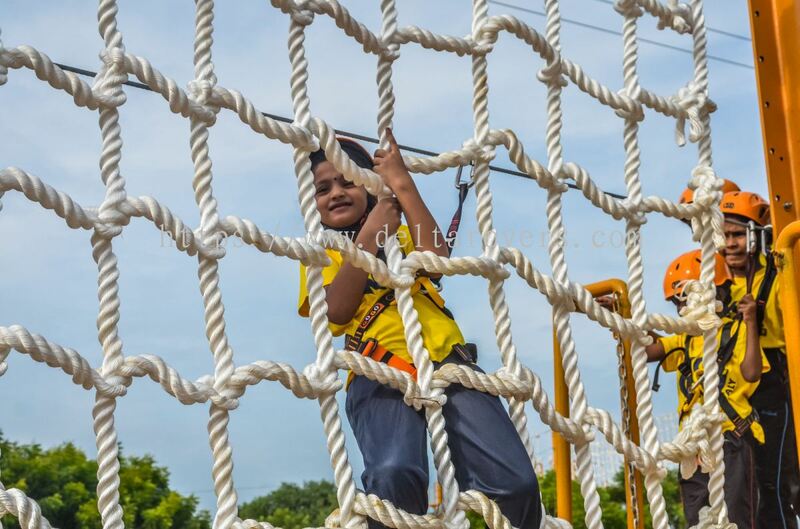 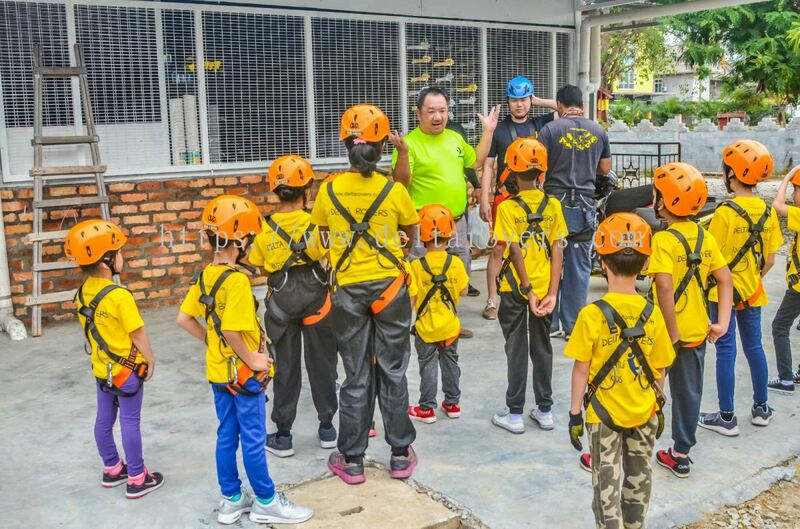 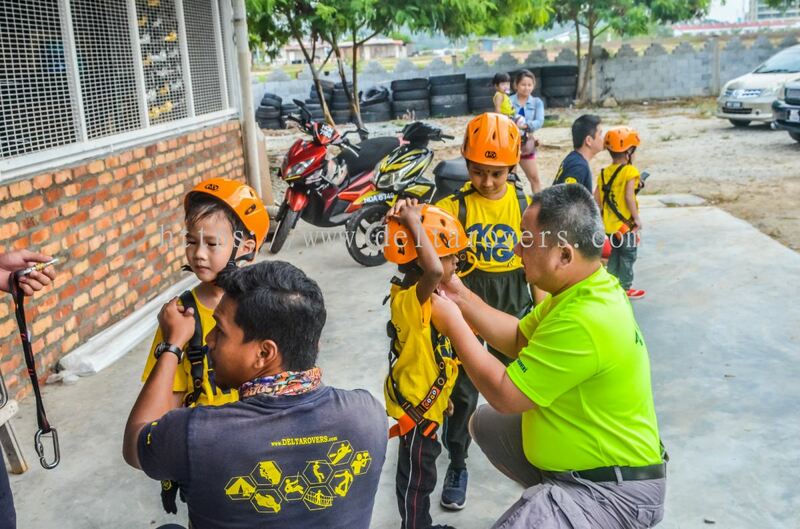 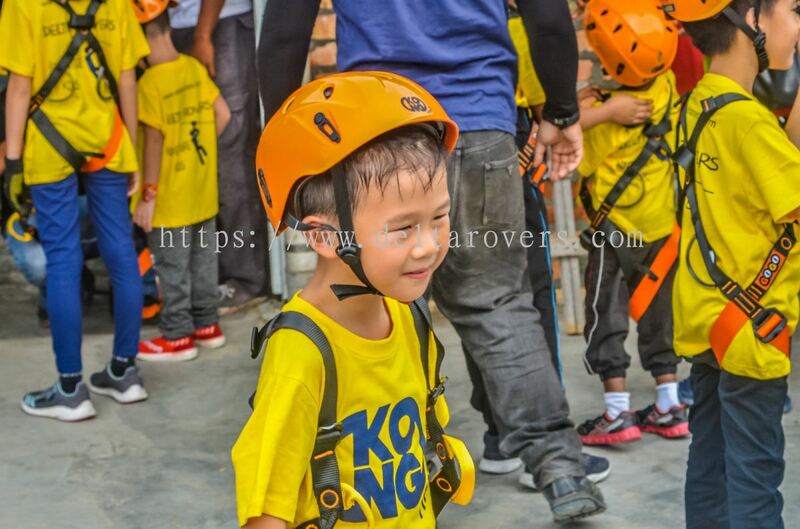 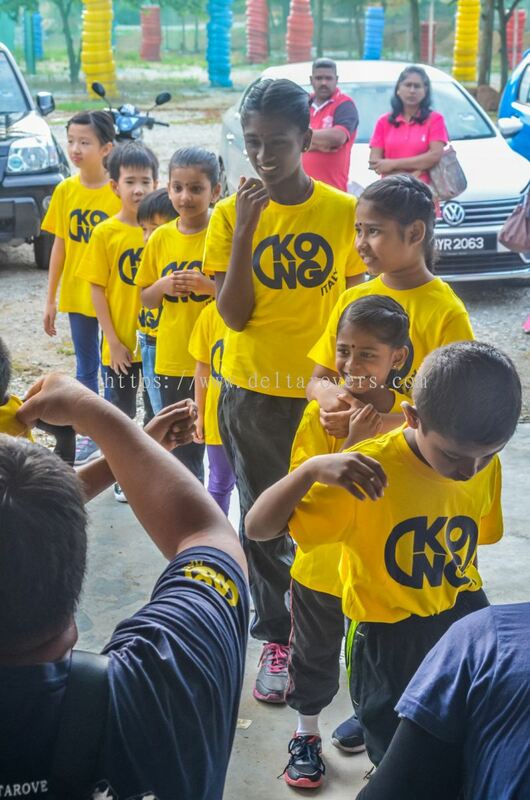 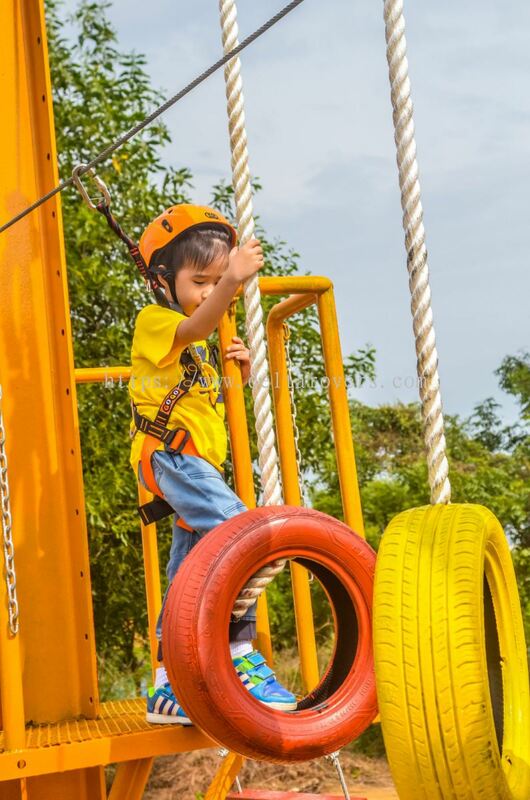 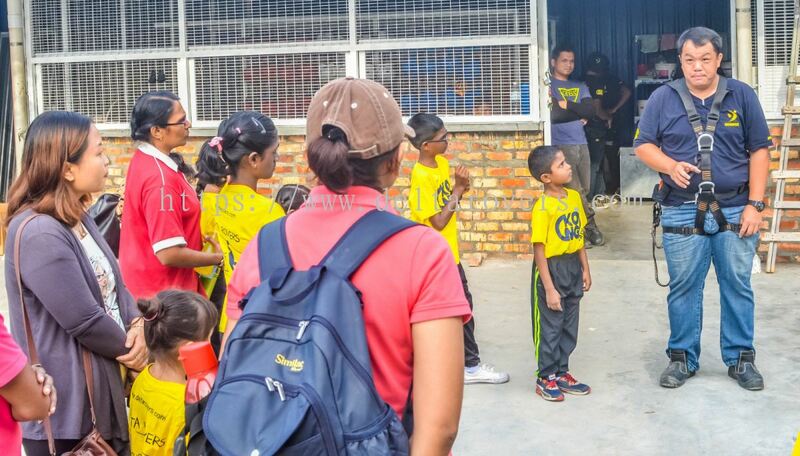 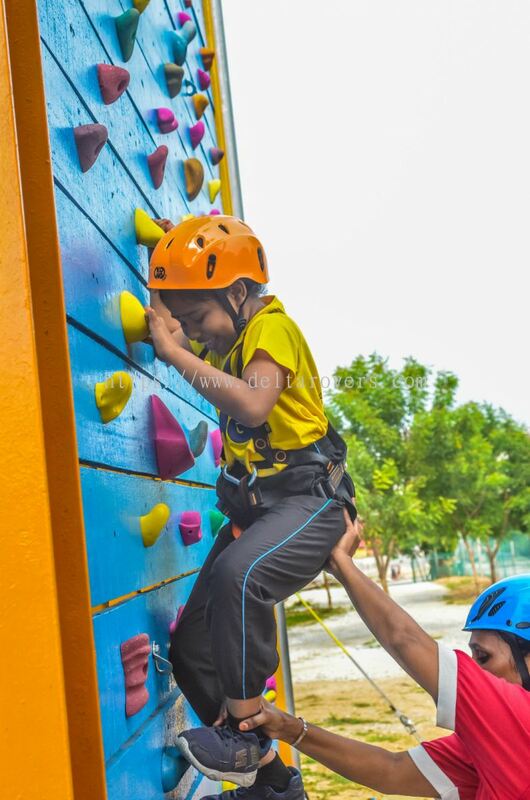 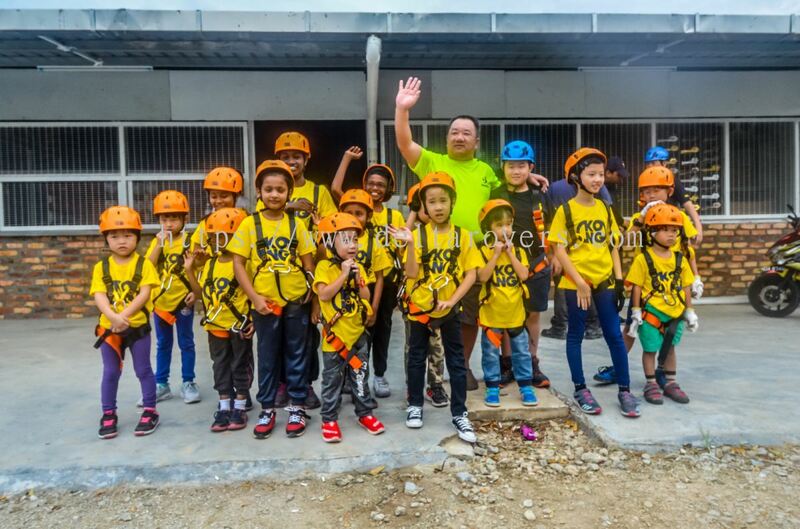 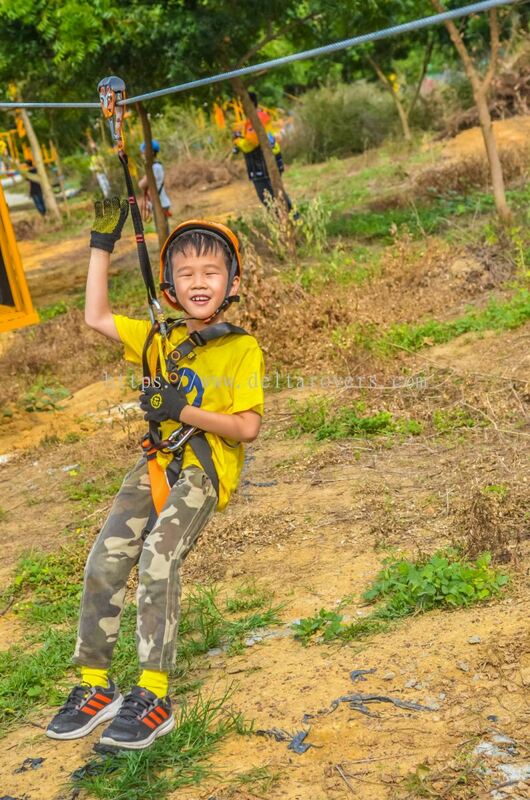 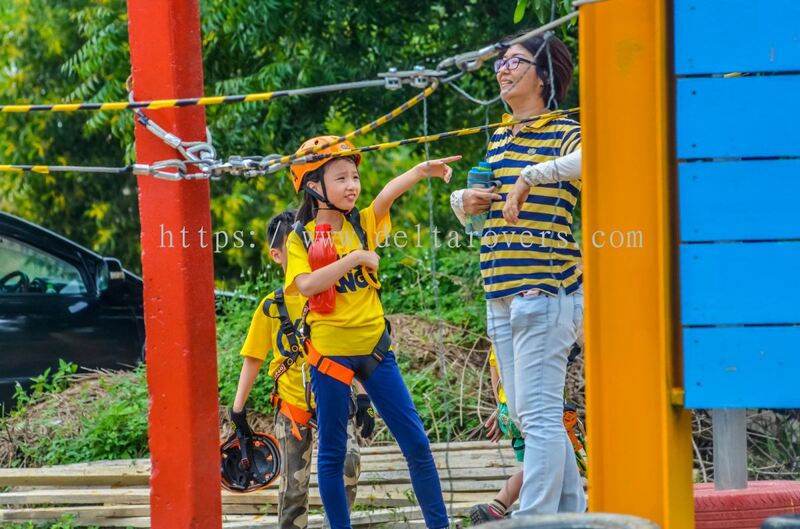 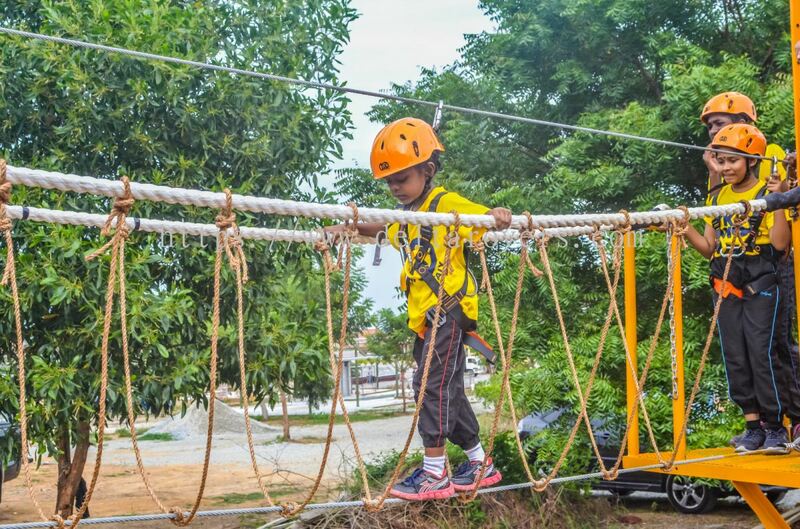 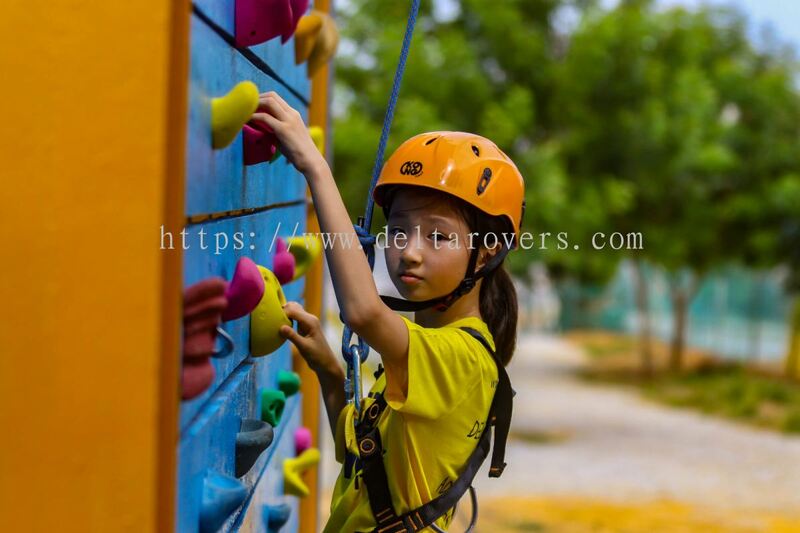 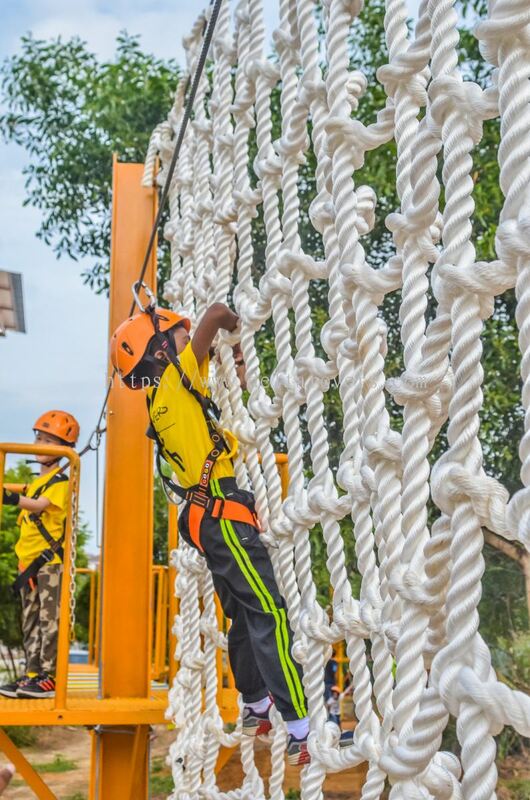 From 2000 – 2009, we have designed & built (inclusive of upgrading work) over 80% of the Climbing Walls in Malaysia, which in fact the highest number of Climbing Walls built by a single Team in Malaysia. 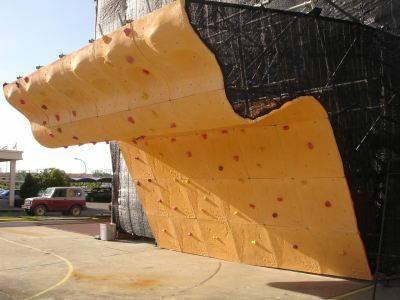 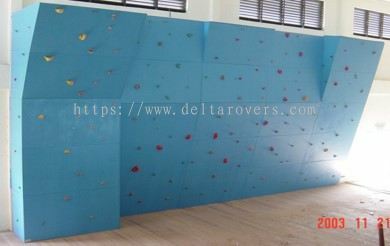 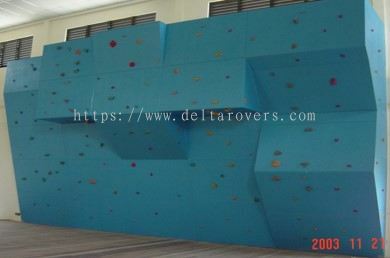 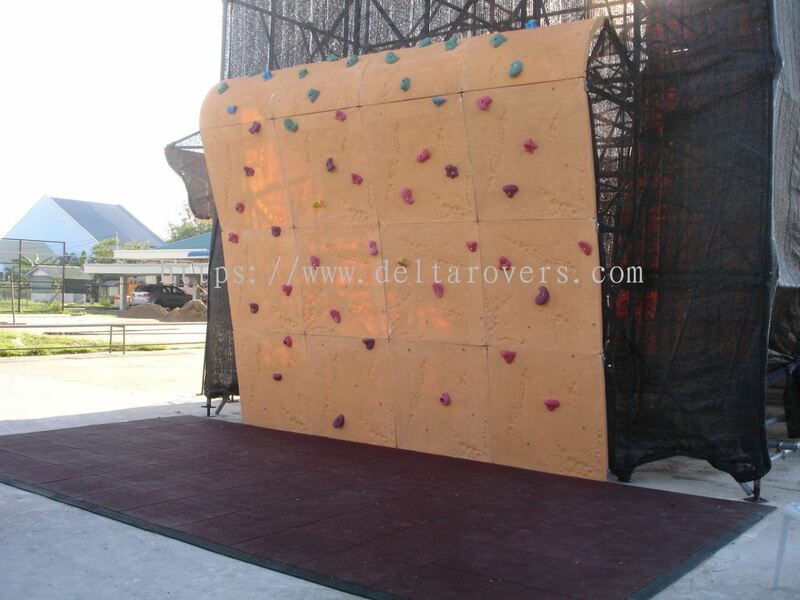 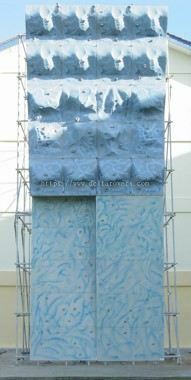 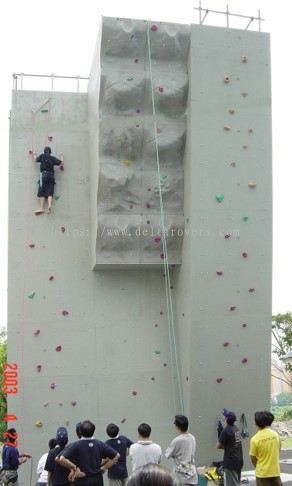 We have designed and built more than 50 Climbing Walls during this period of time. 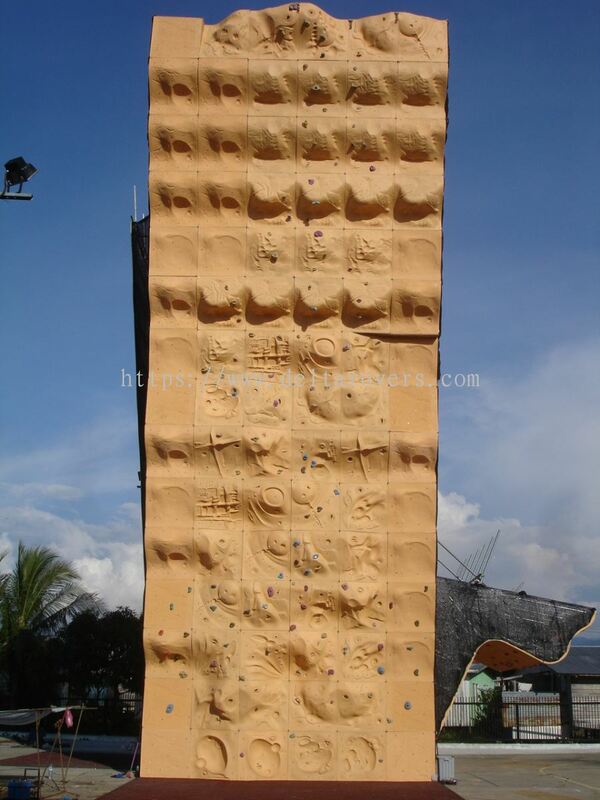 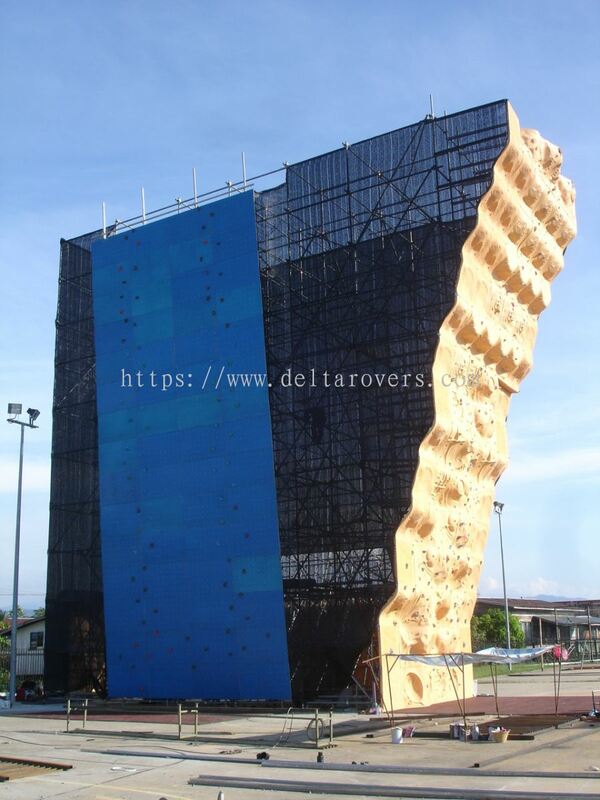 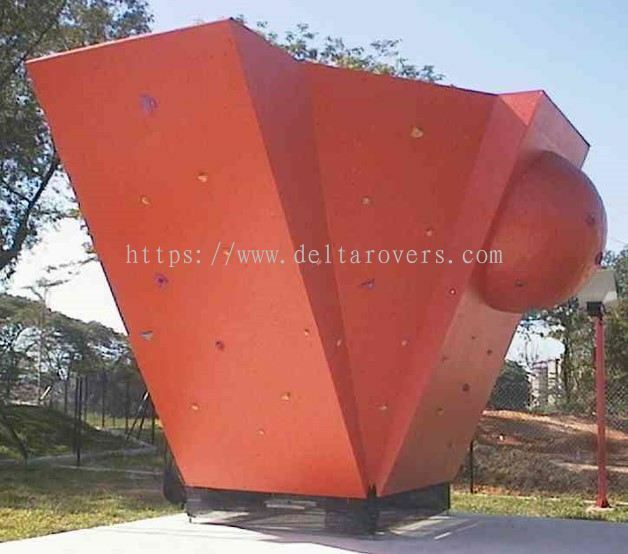 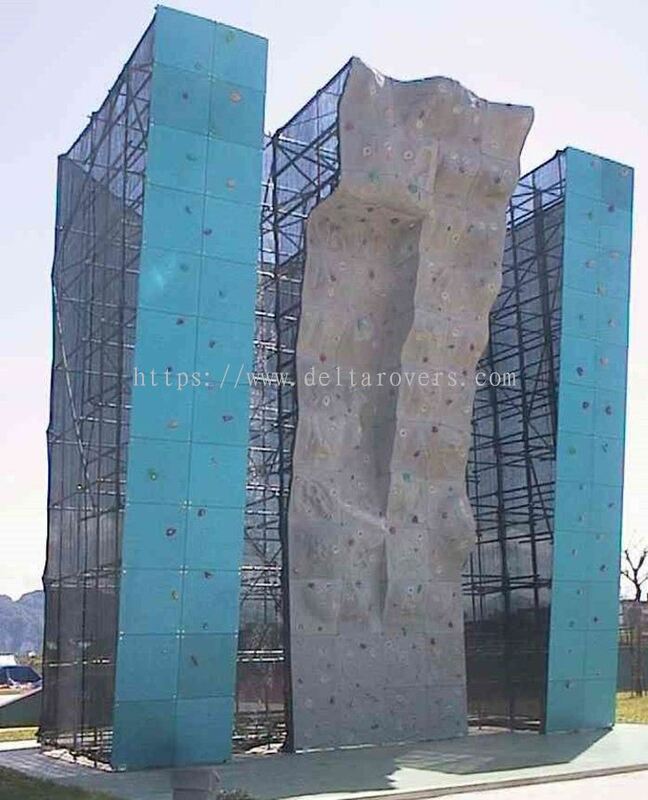 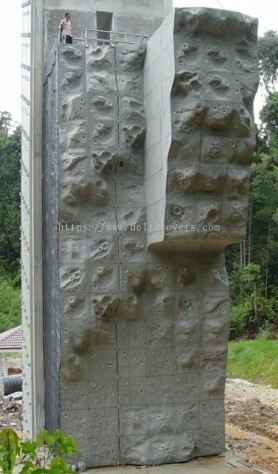 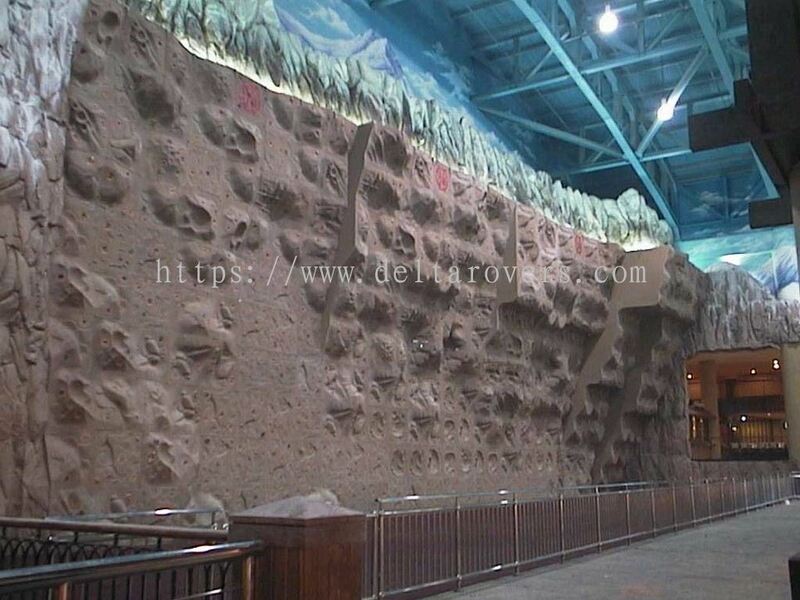 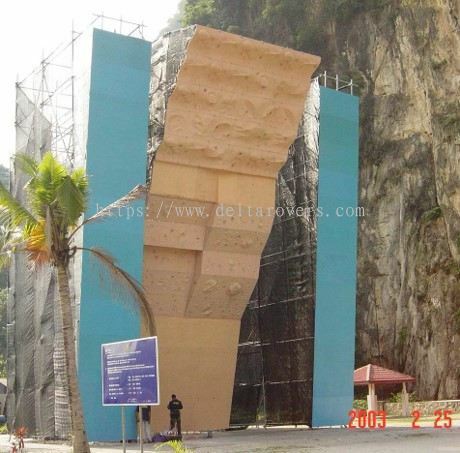 One of the climbing walls that we have designed & built is the Genting Theme Park Climbing Wall, with the total of 700 m. sq. of climbing area this is the largest Climbing Wall designed & built by us to date, and is the biggest panel Climbing Wall in Asia to date. 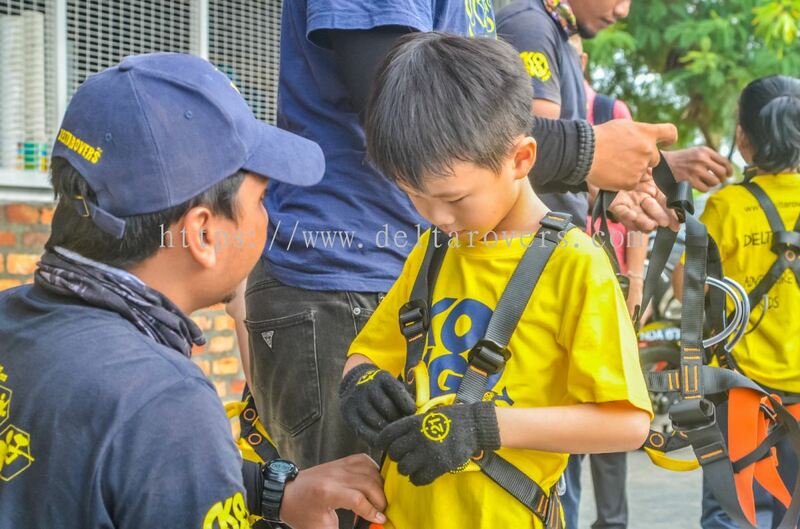 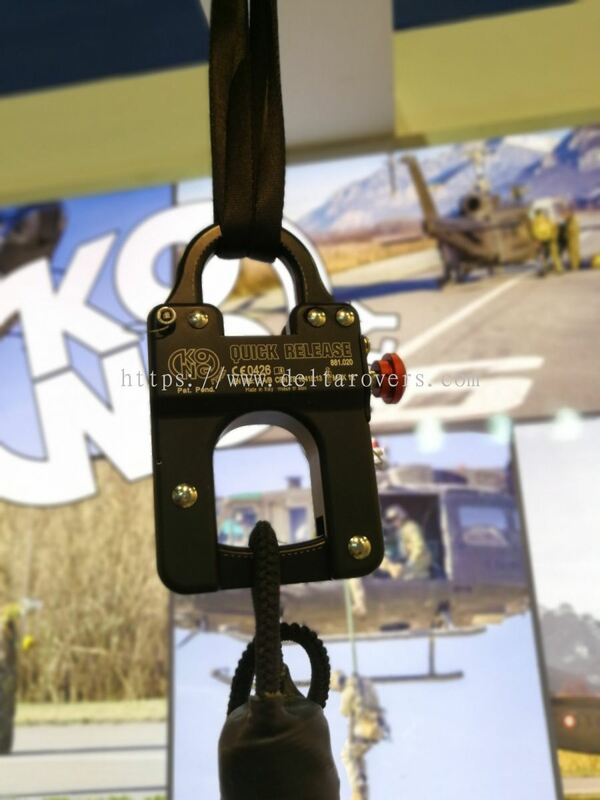 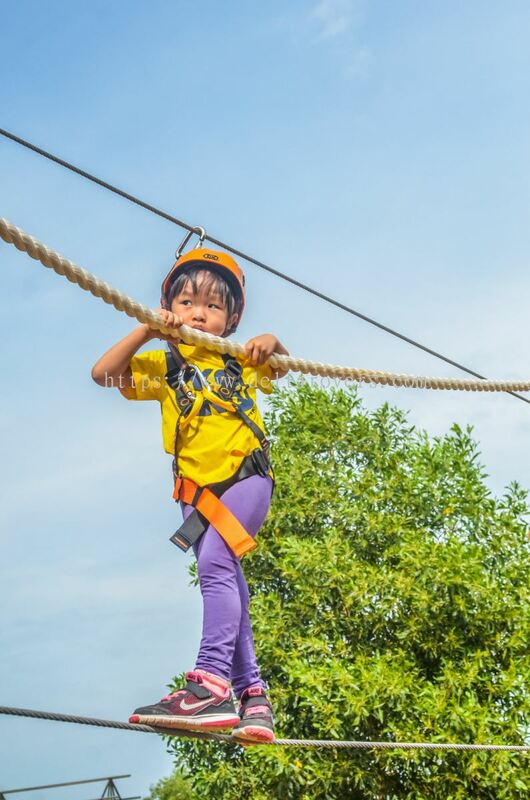 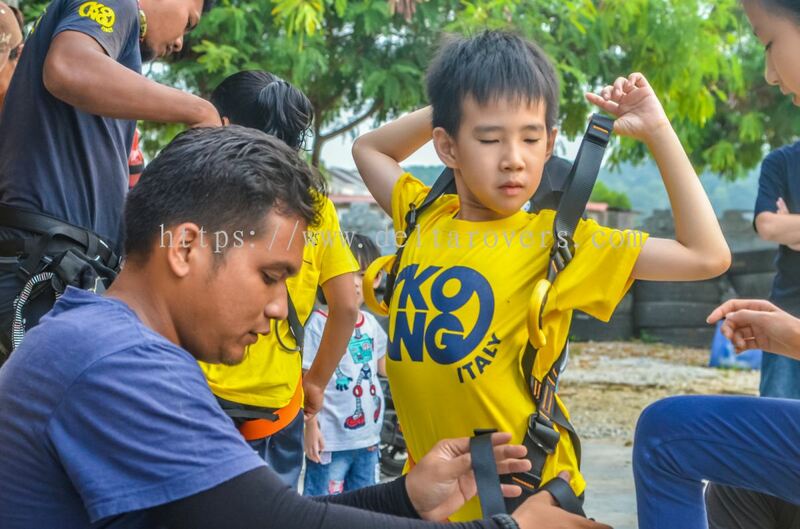 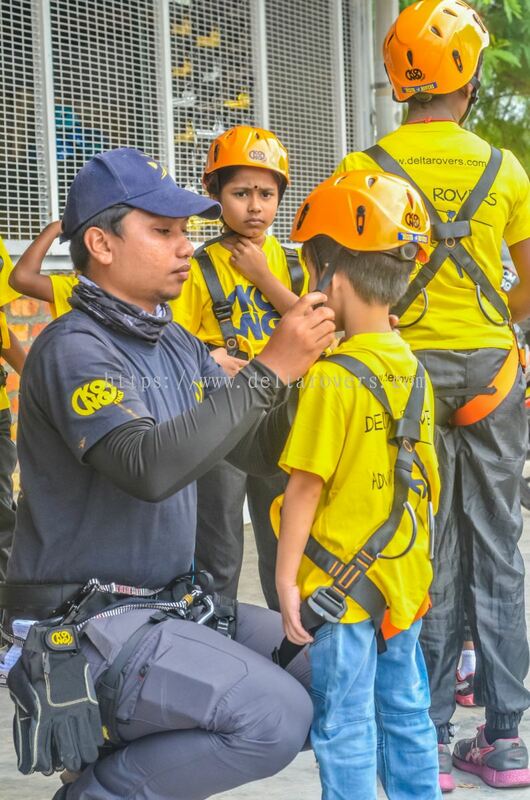 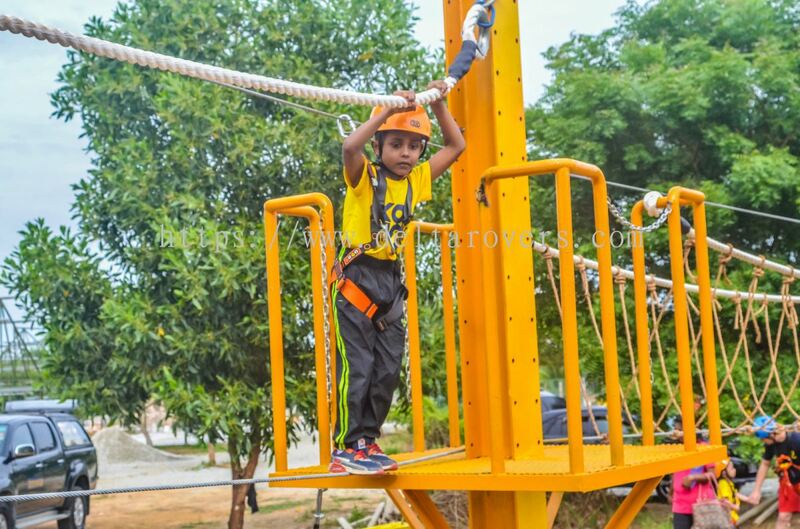 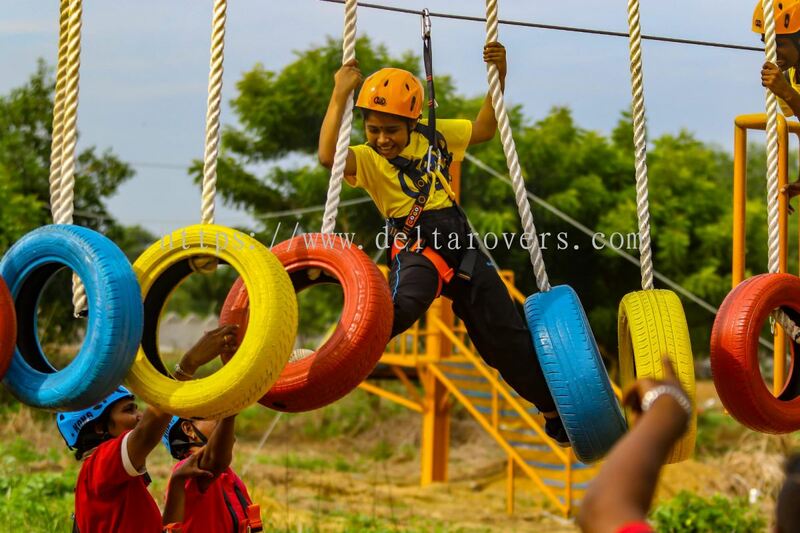 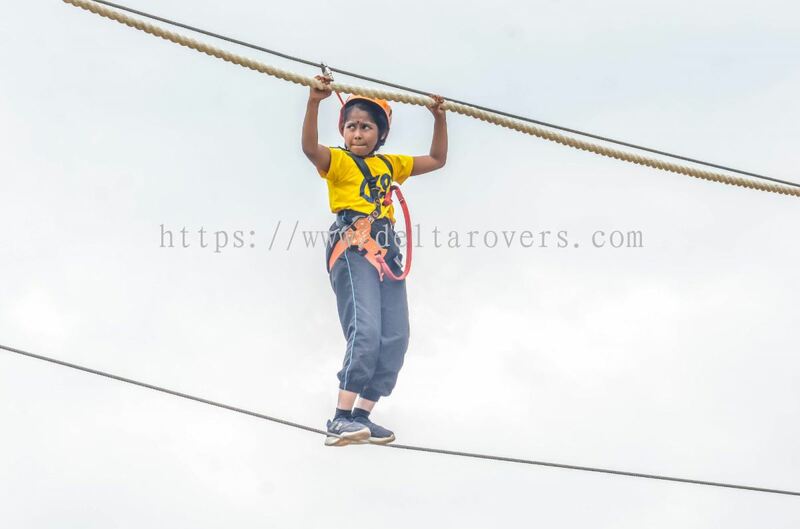 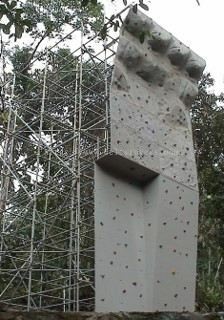 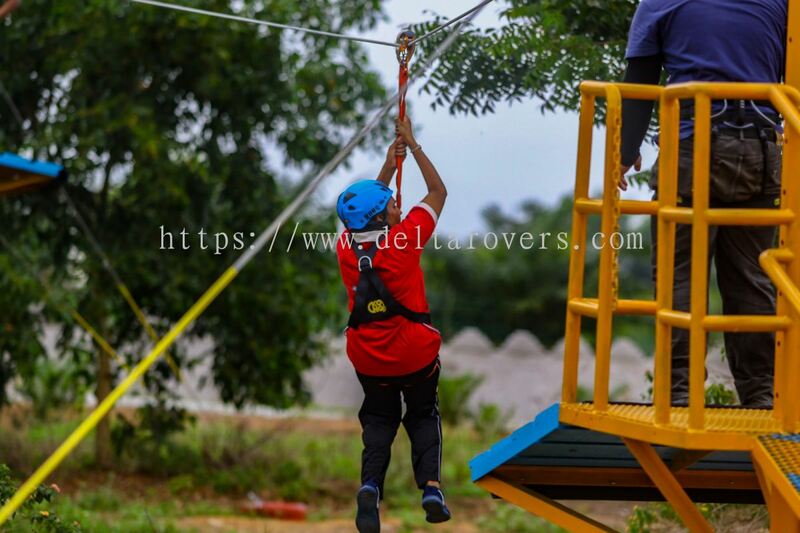 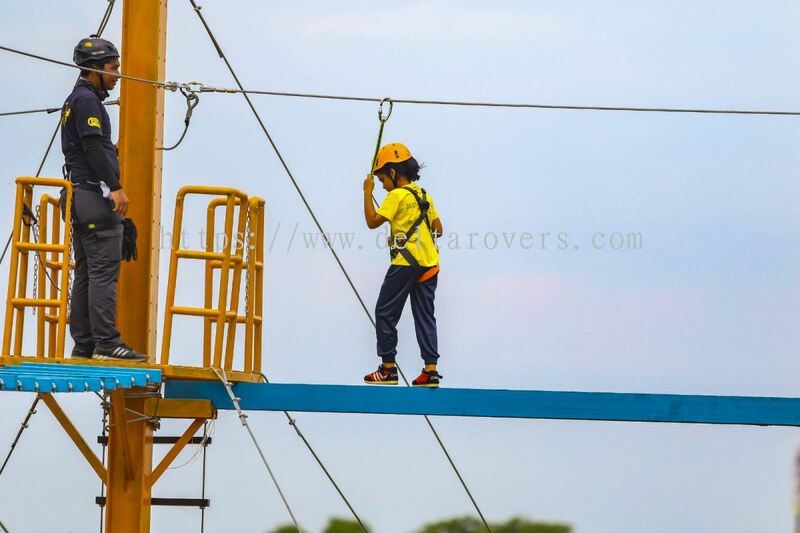 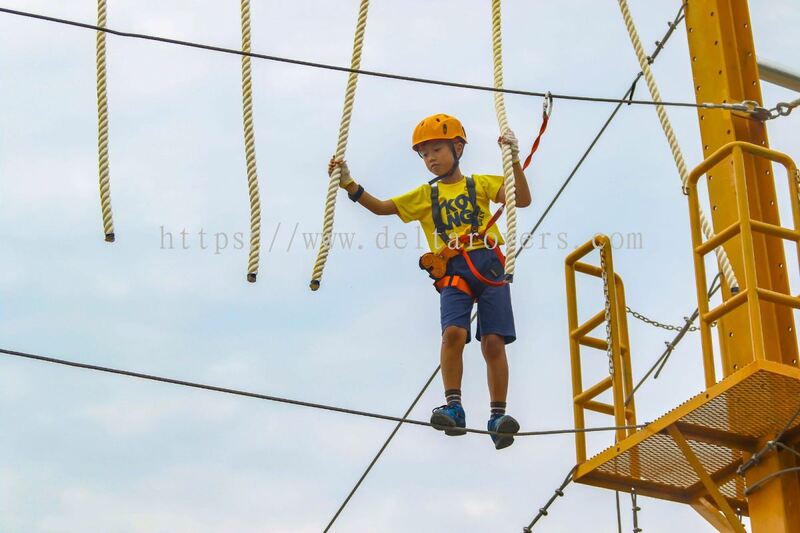 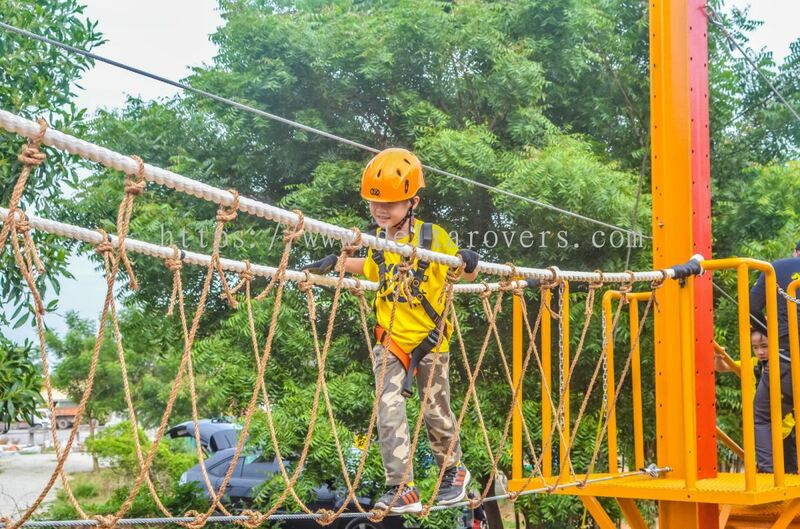 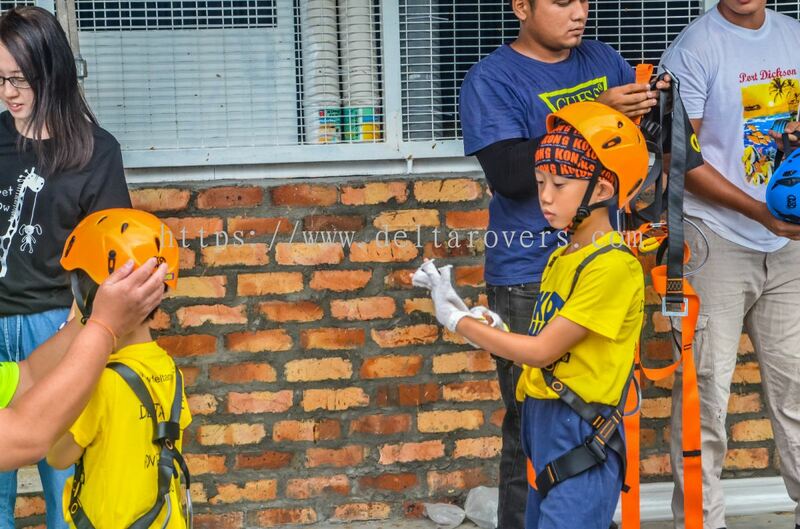 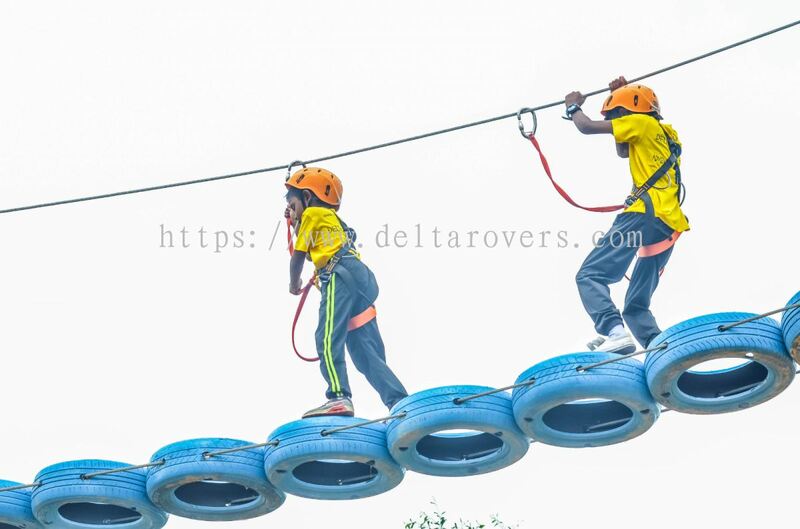 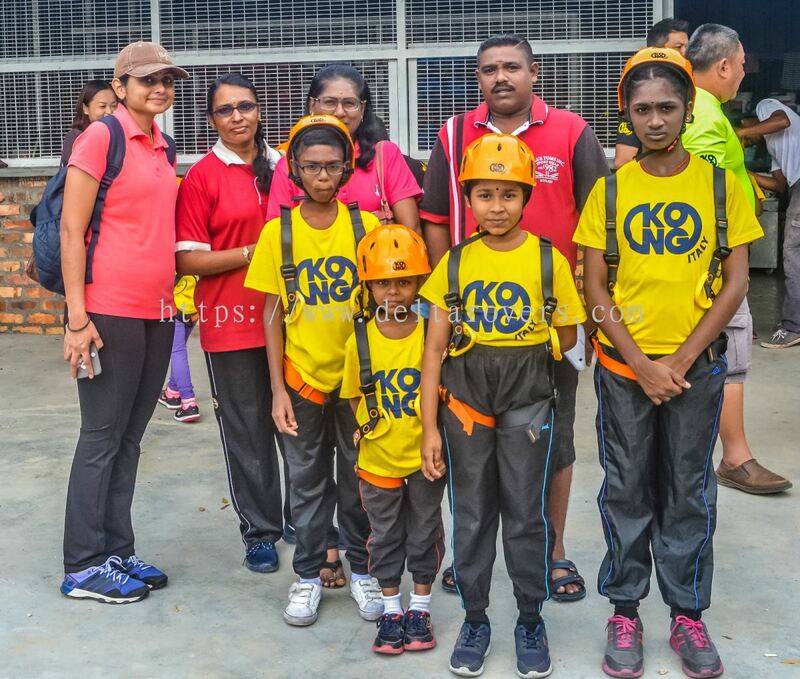 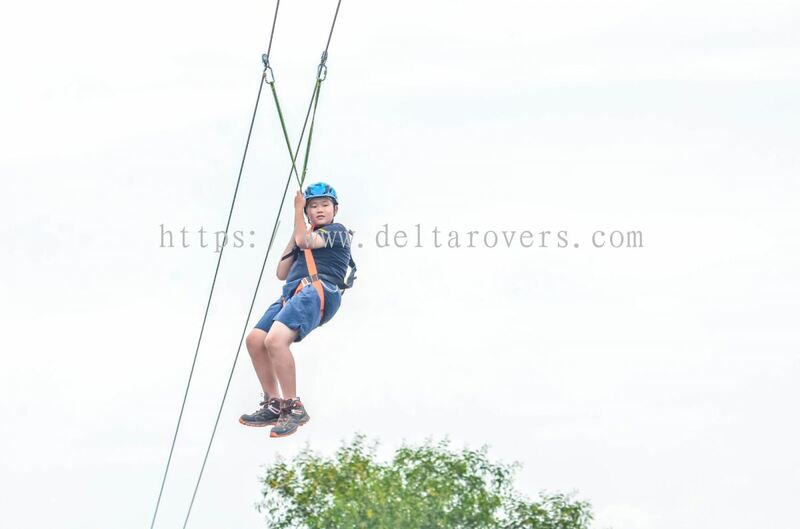 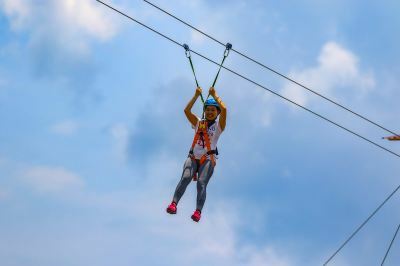 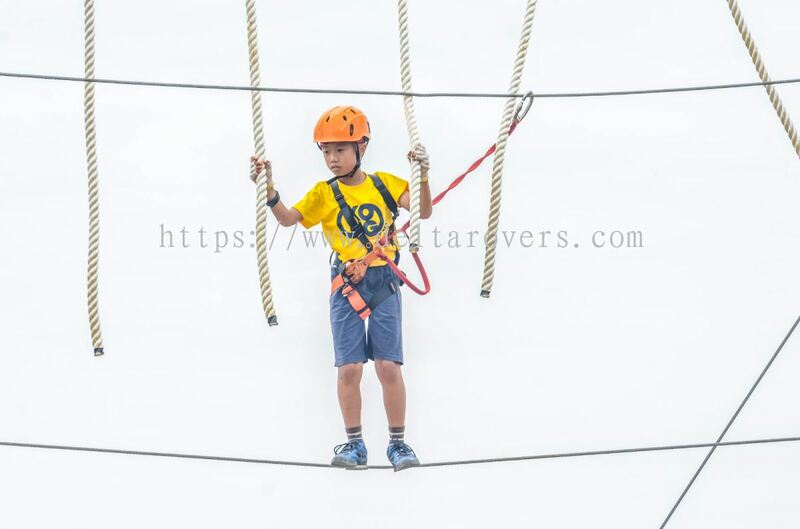 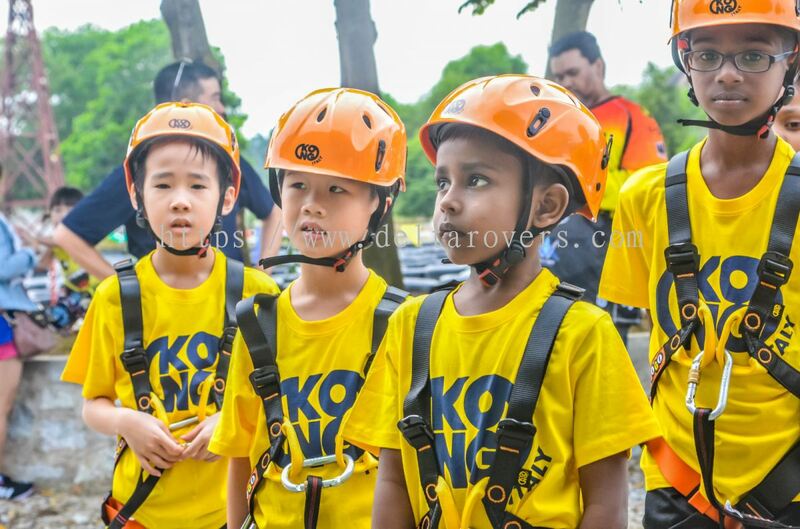 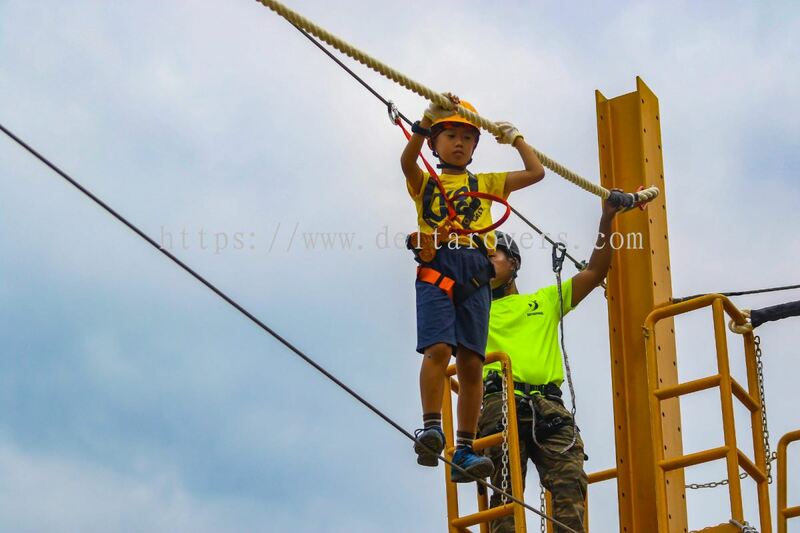 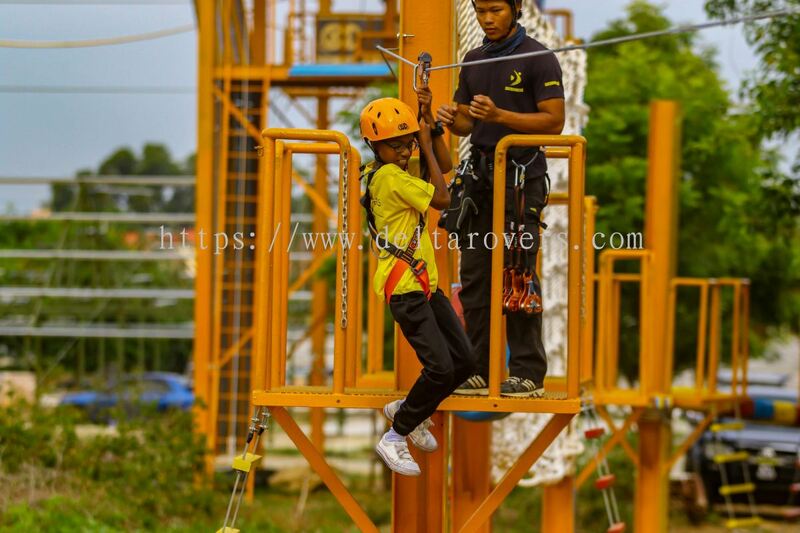 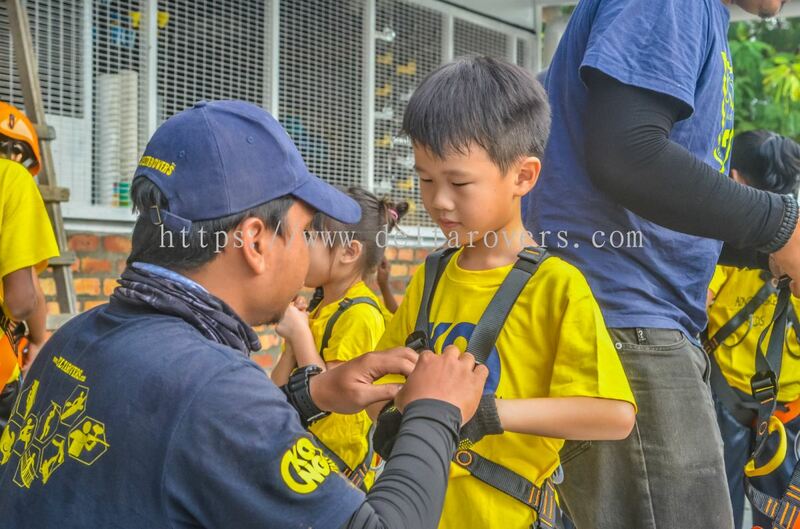 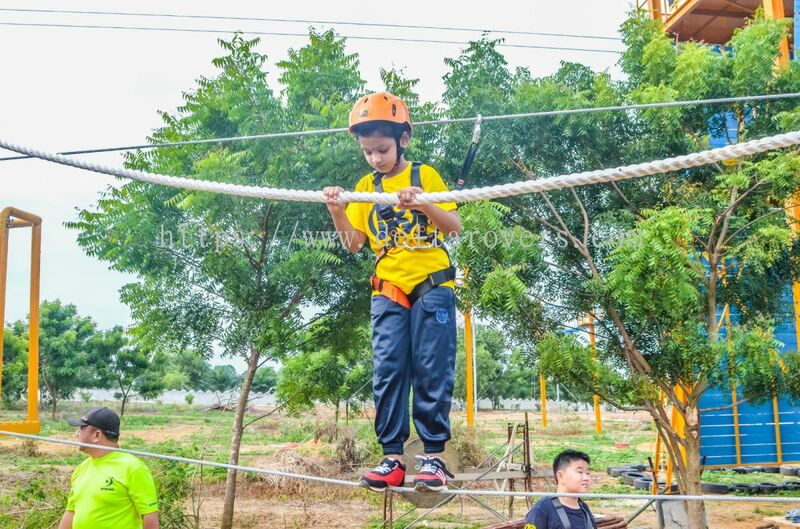 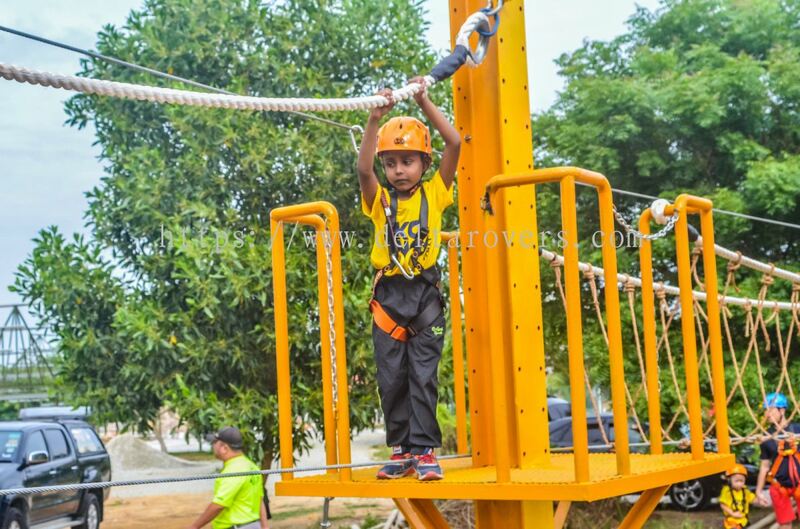 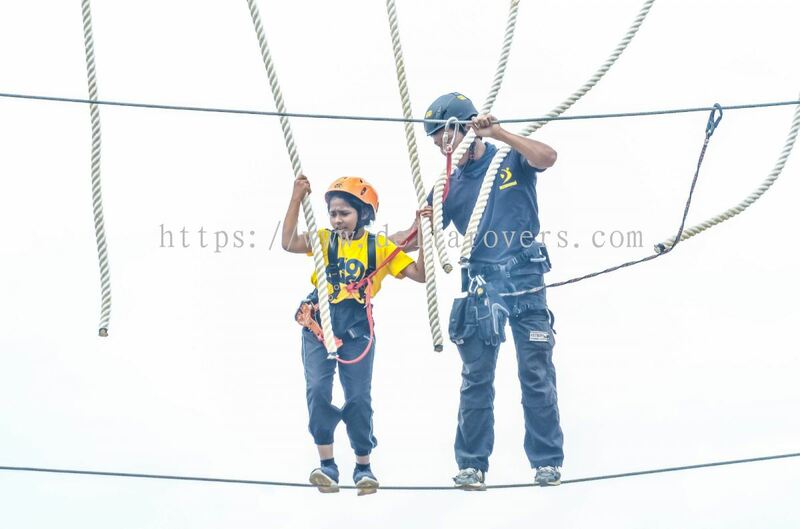 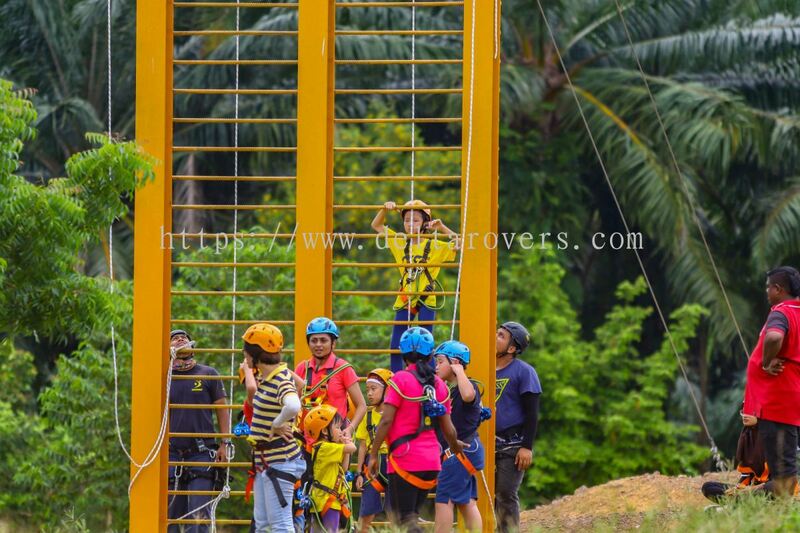 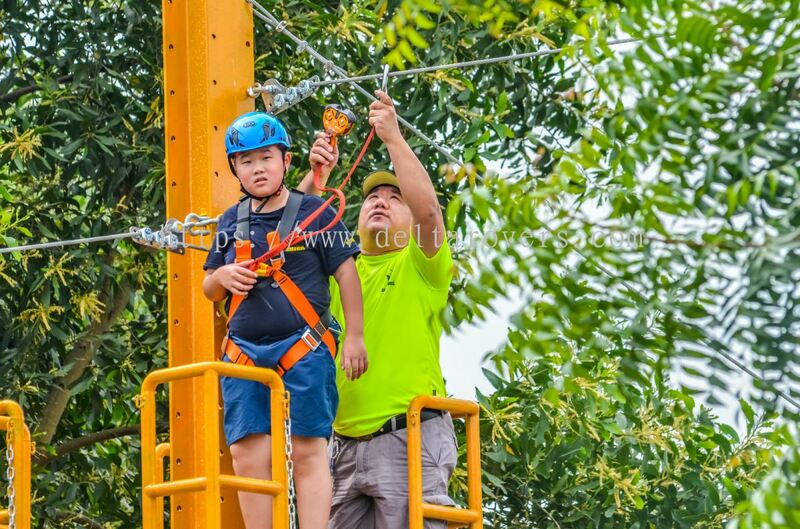 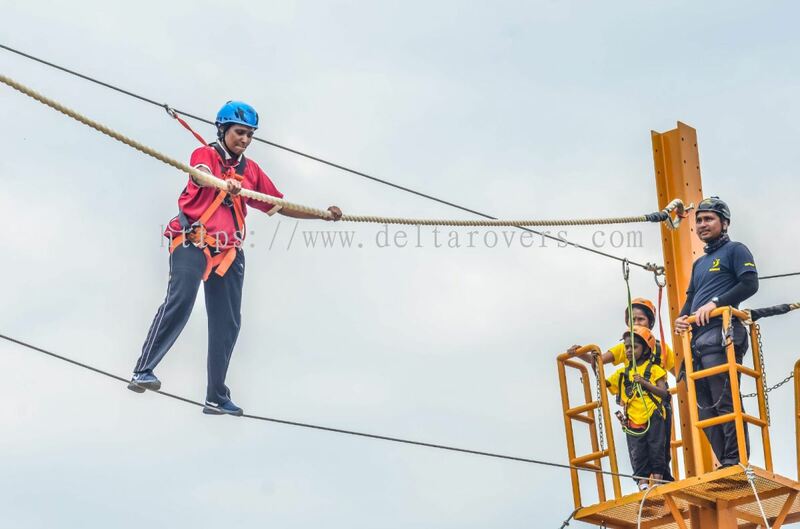 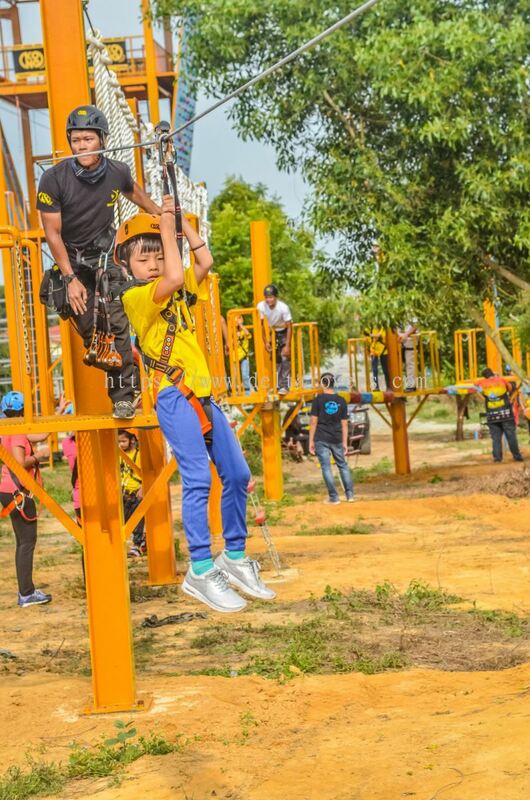 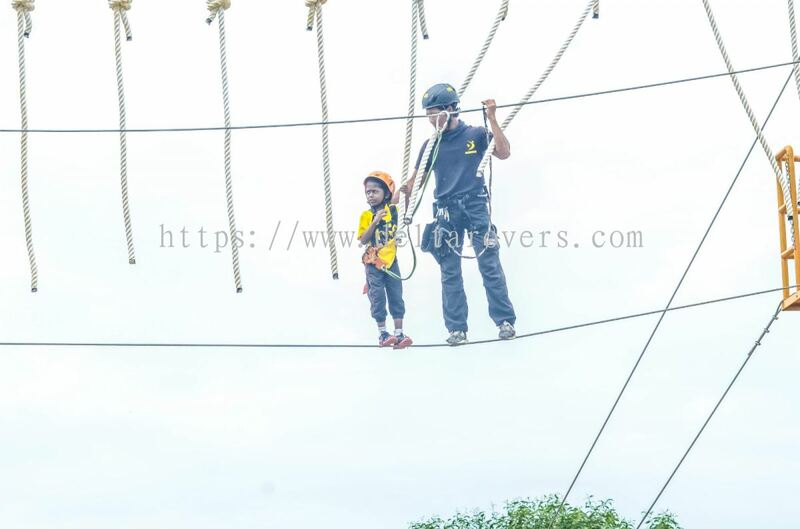 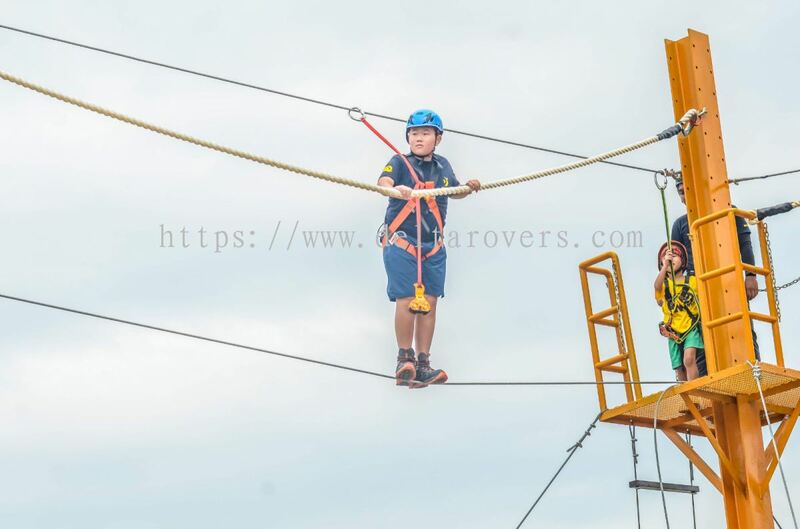 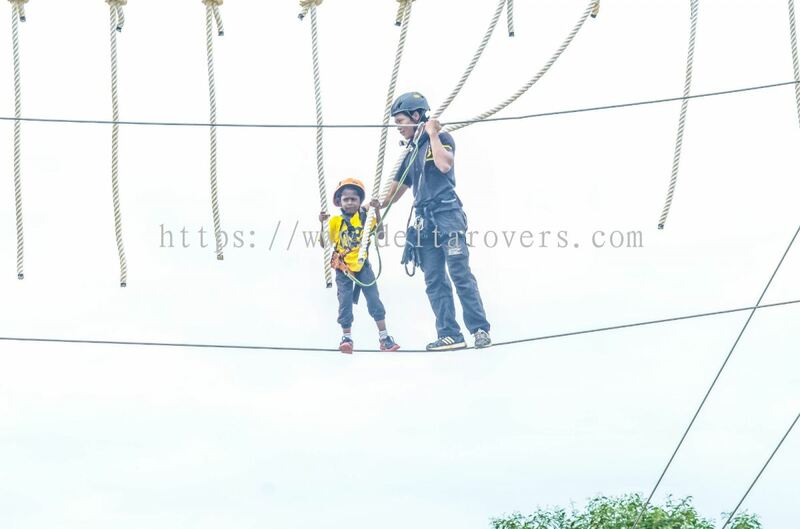 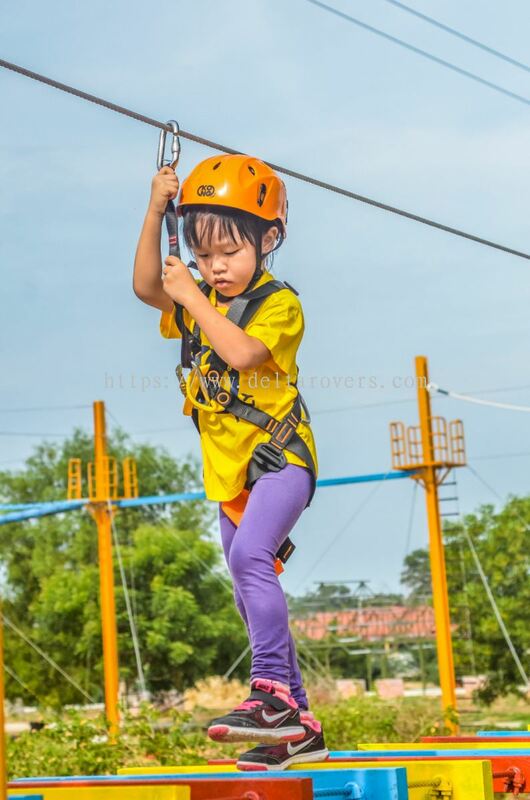 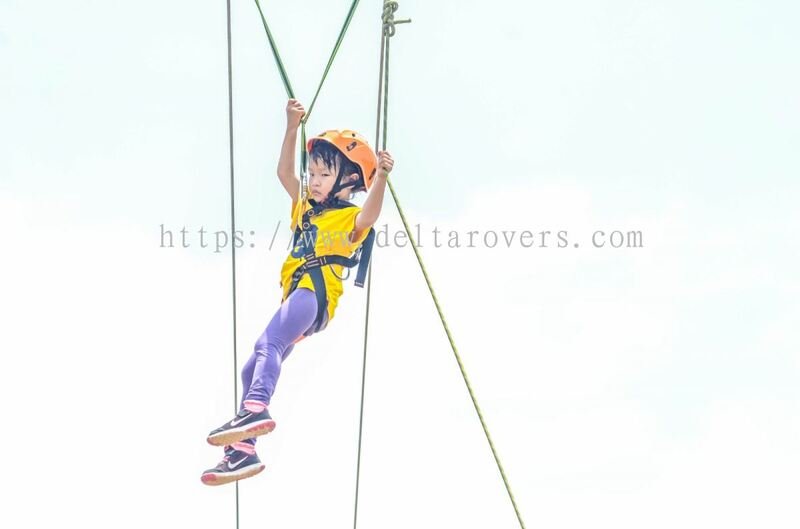 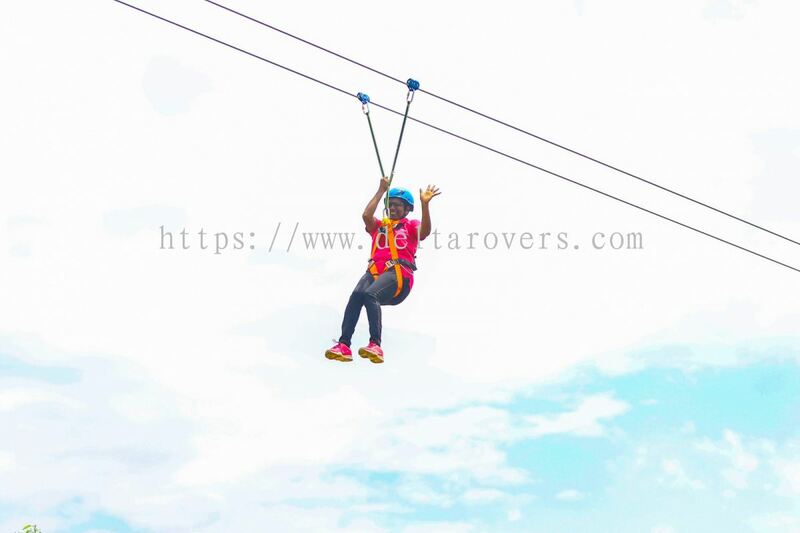 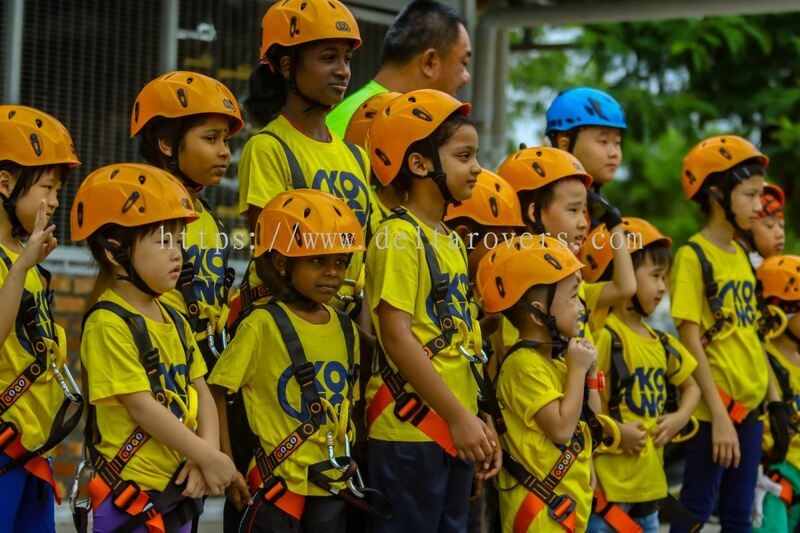 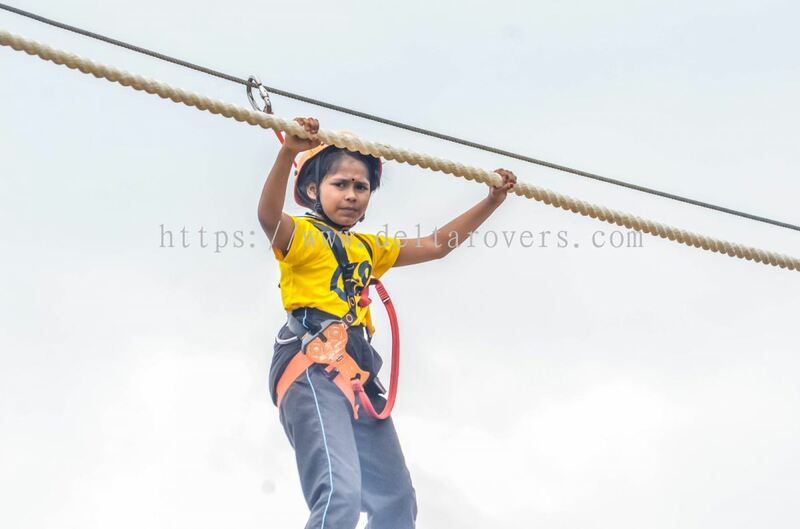 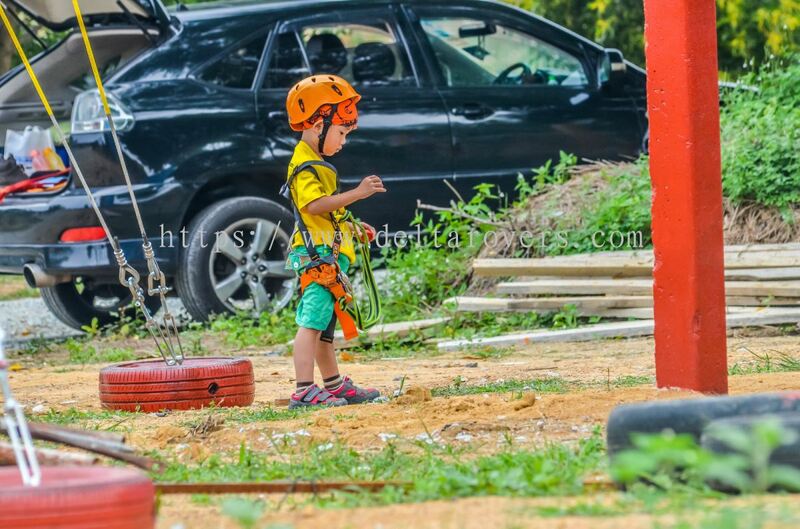 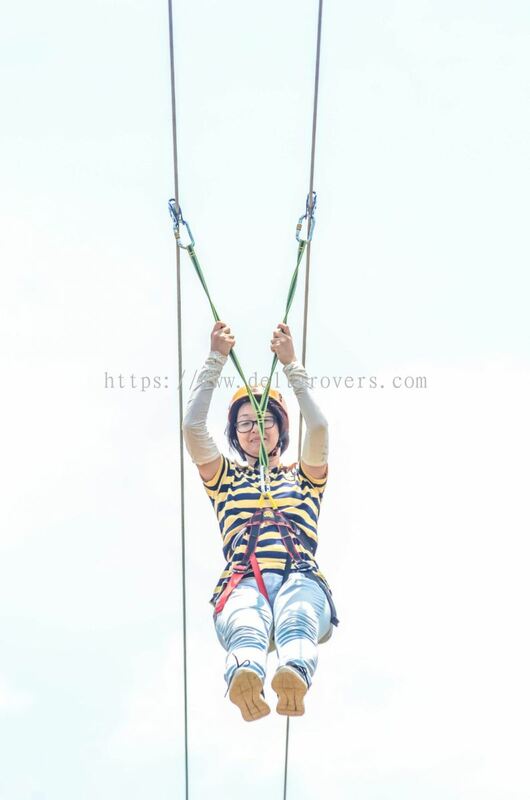 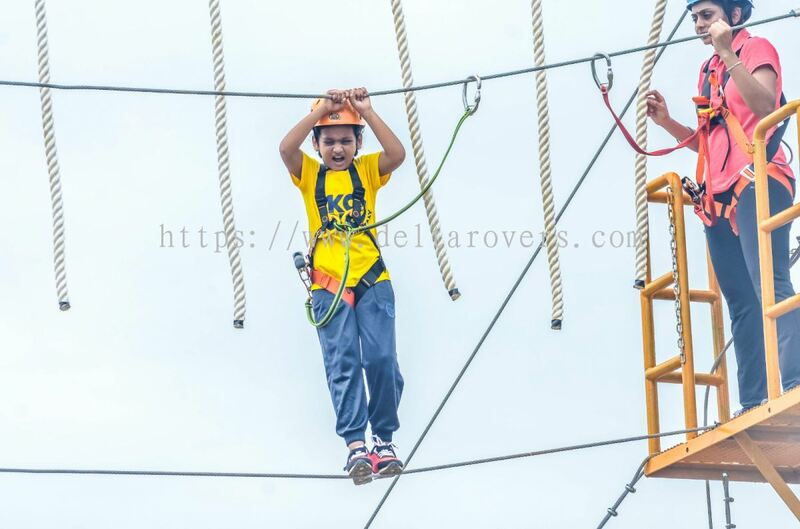 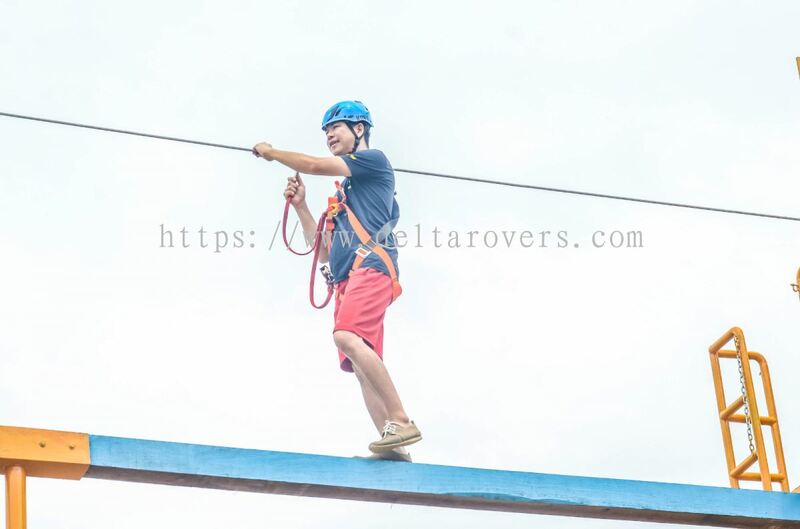 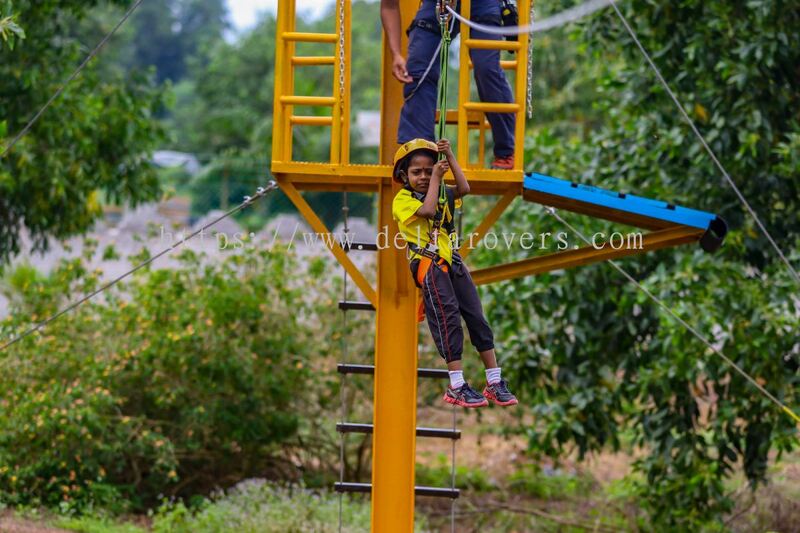 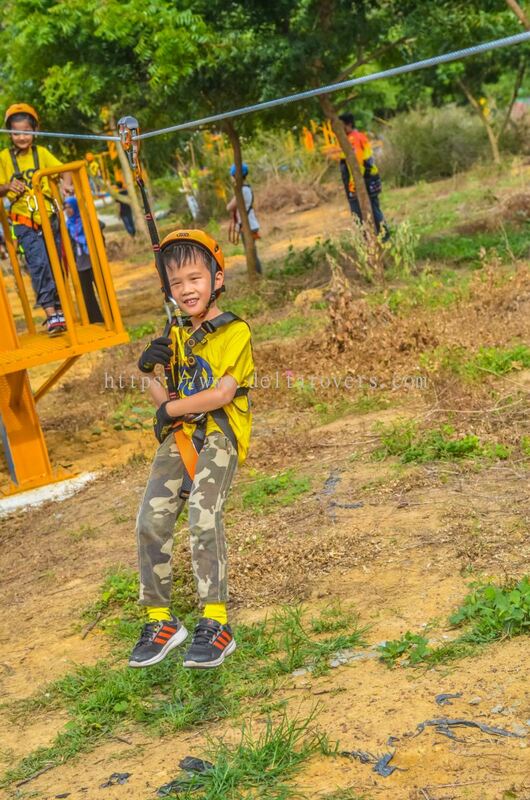 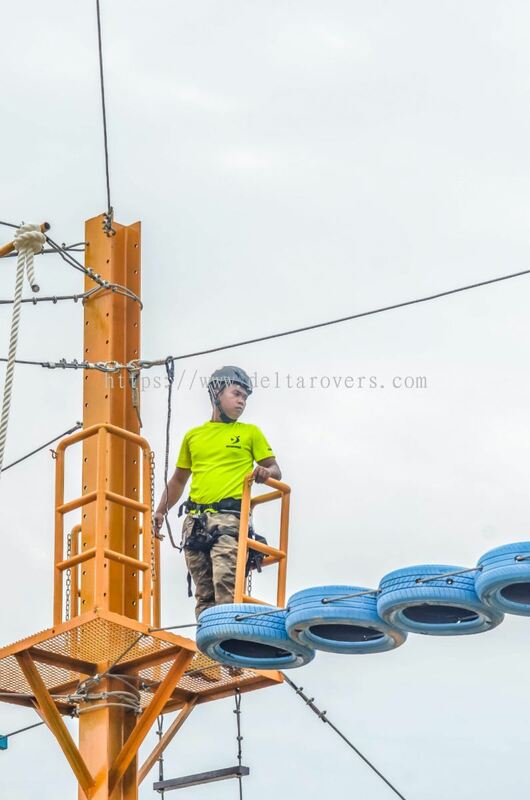 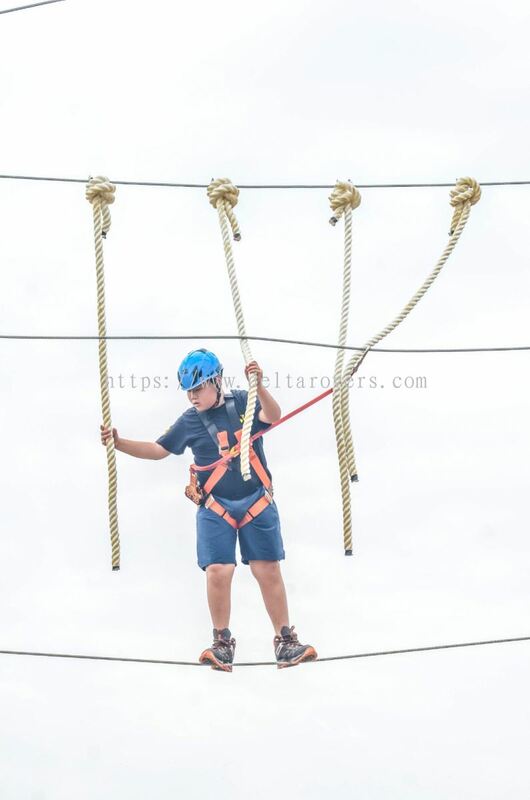 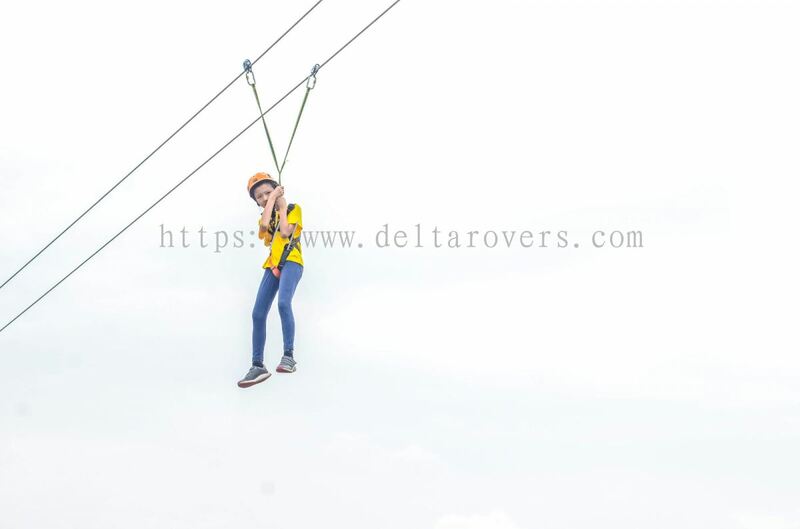 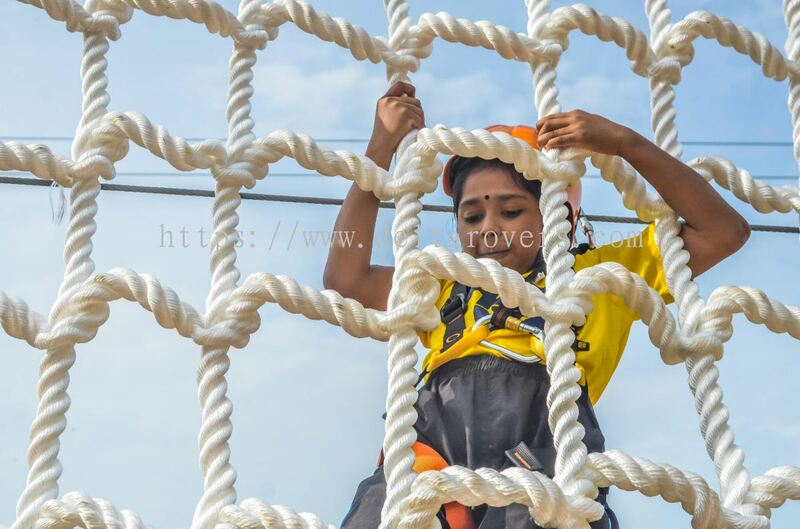 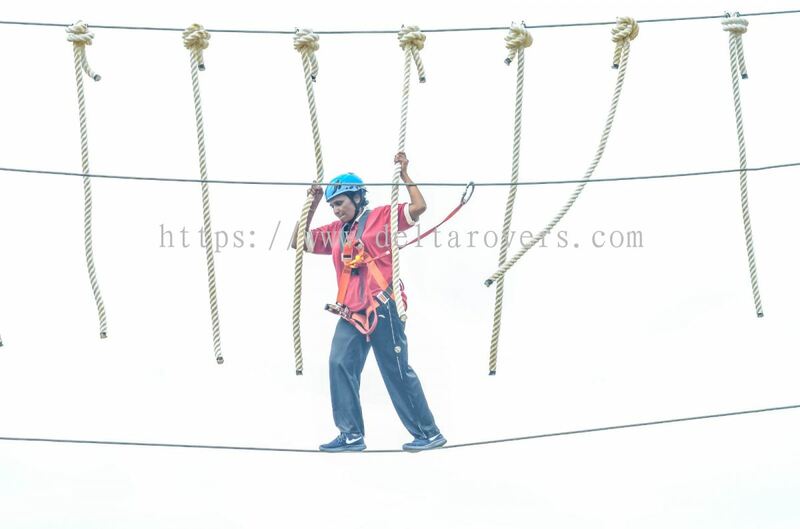 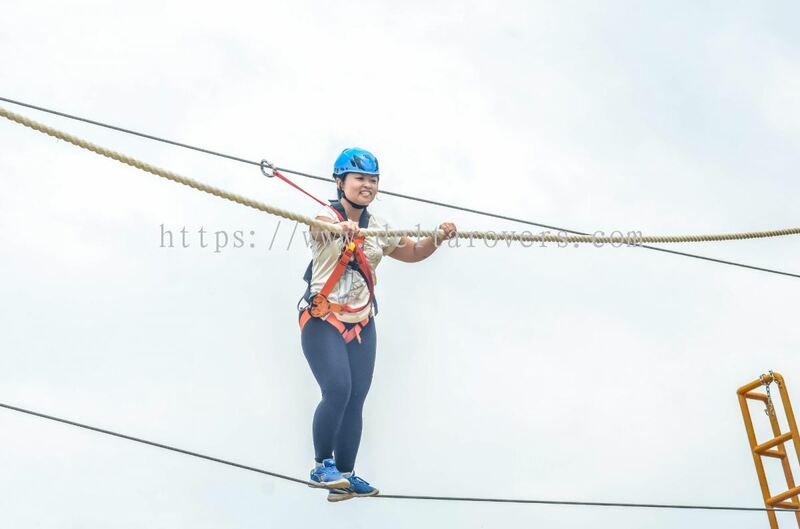 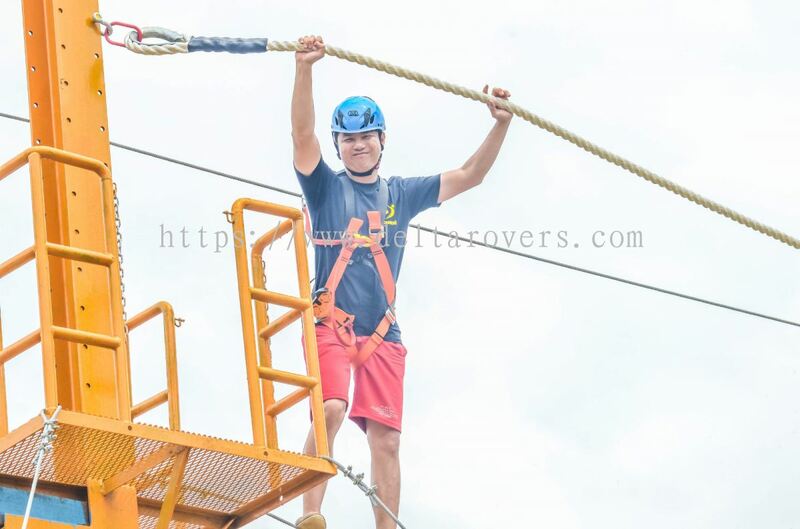 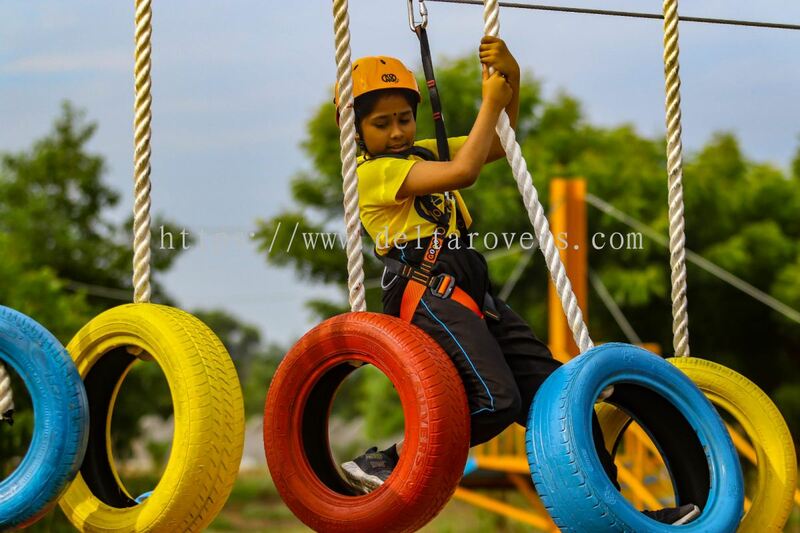 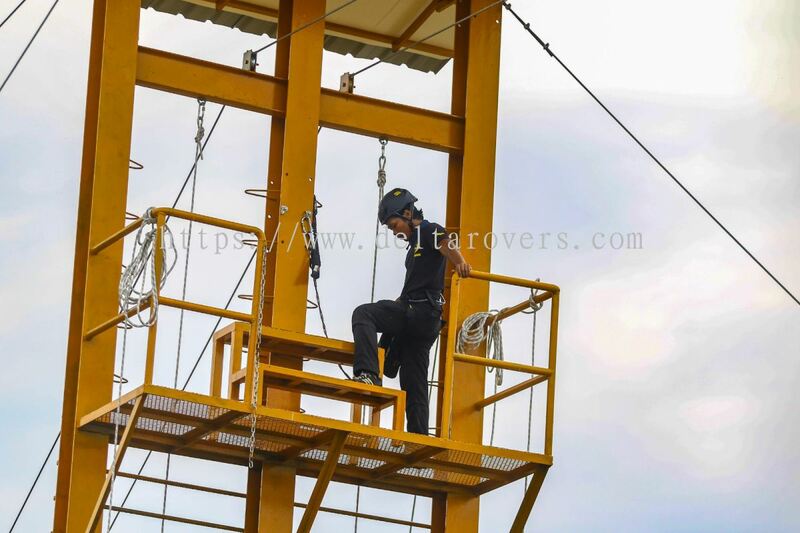 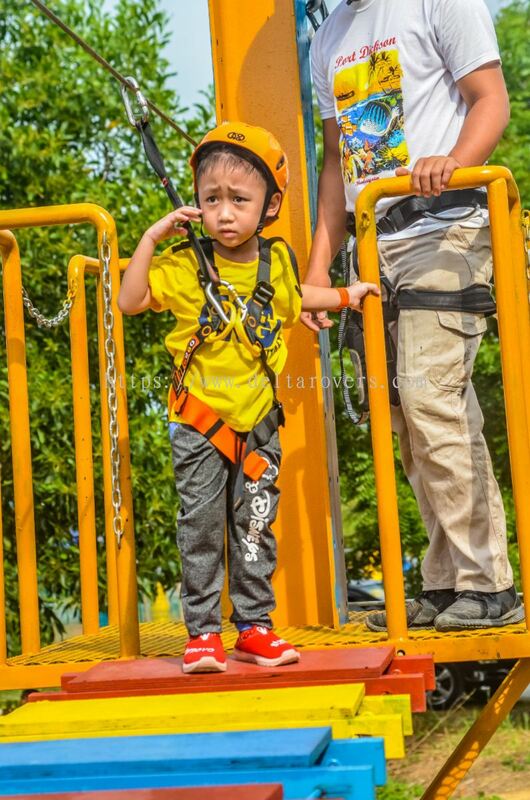 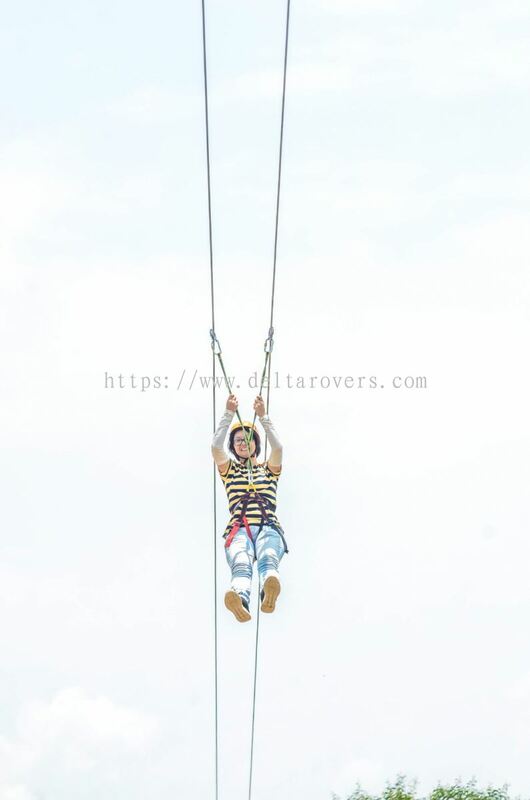 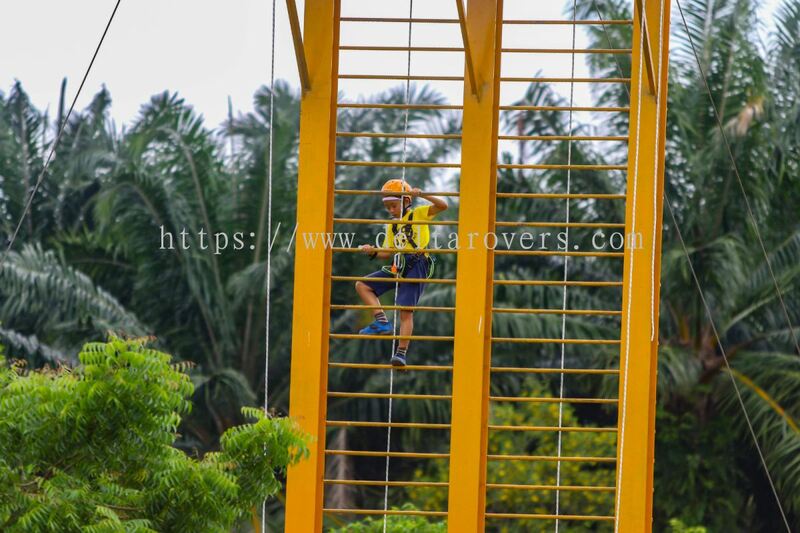 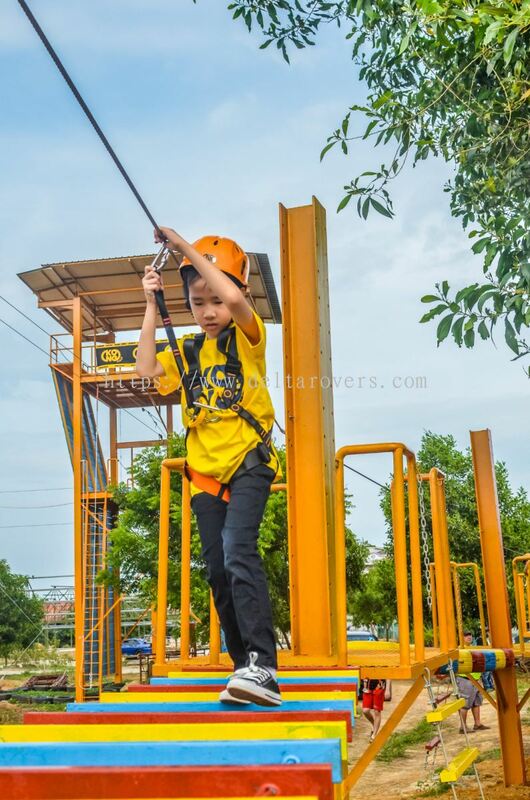 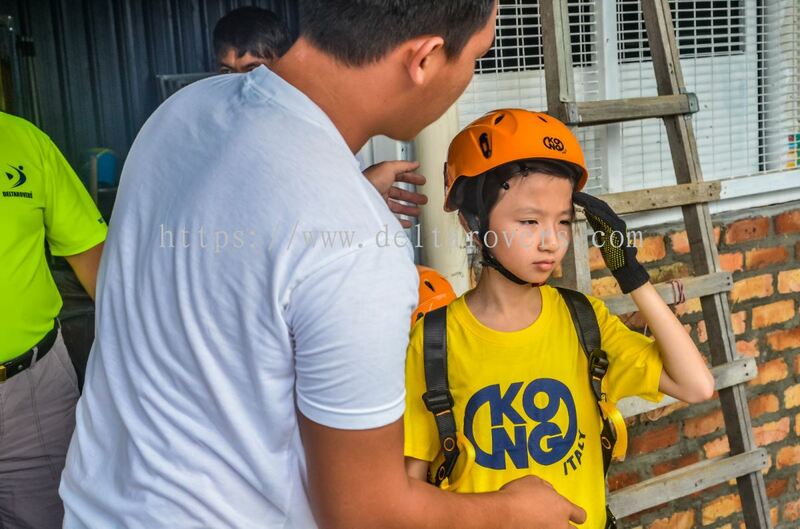 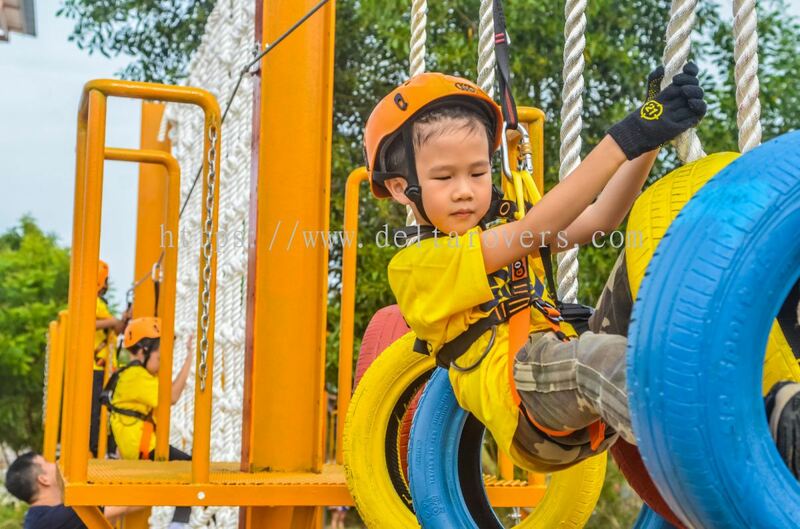 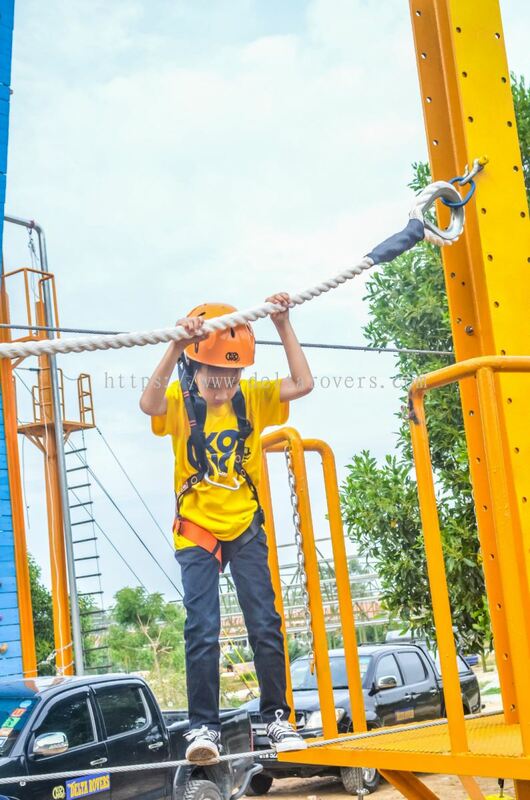 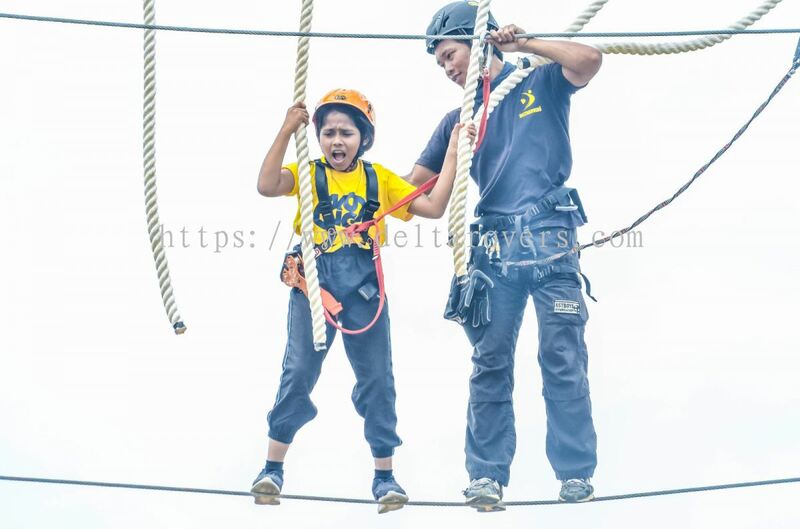 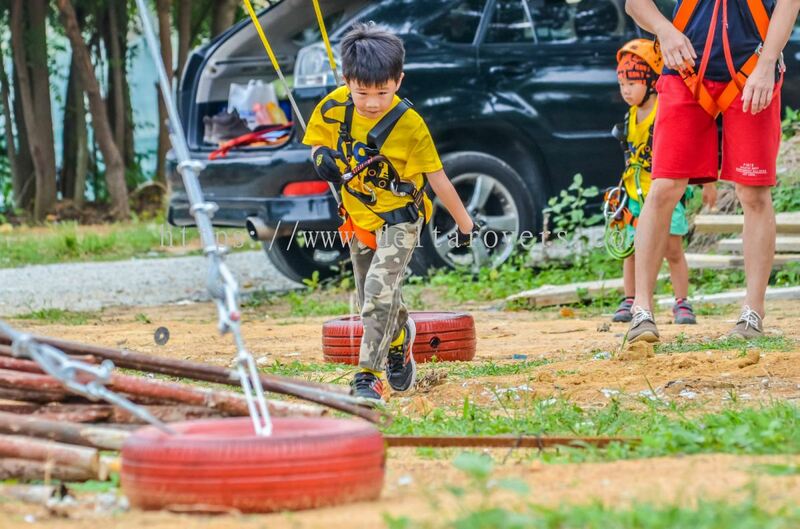 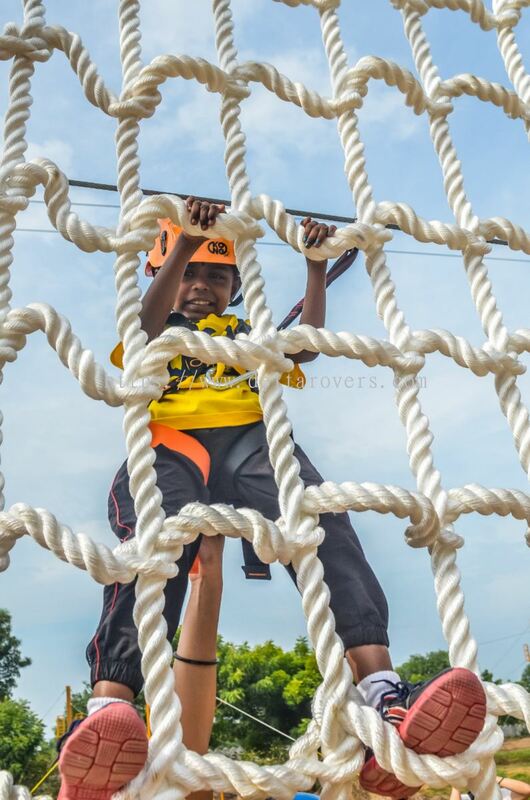 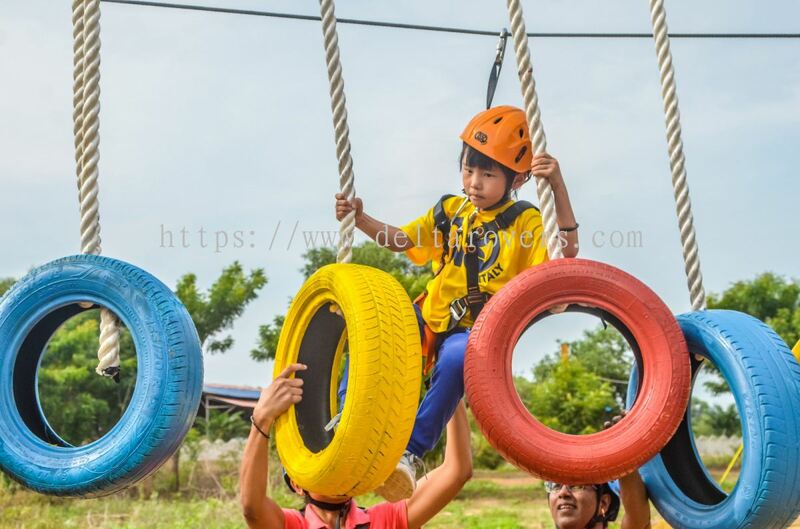 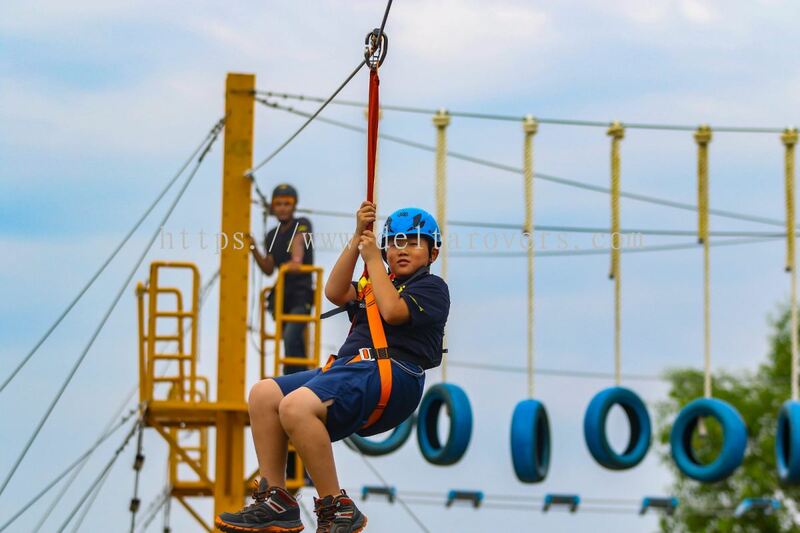 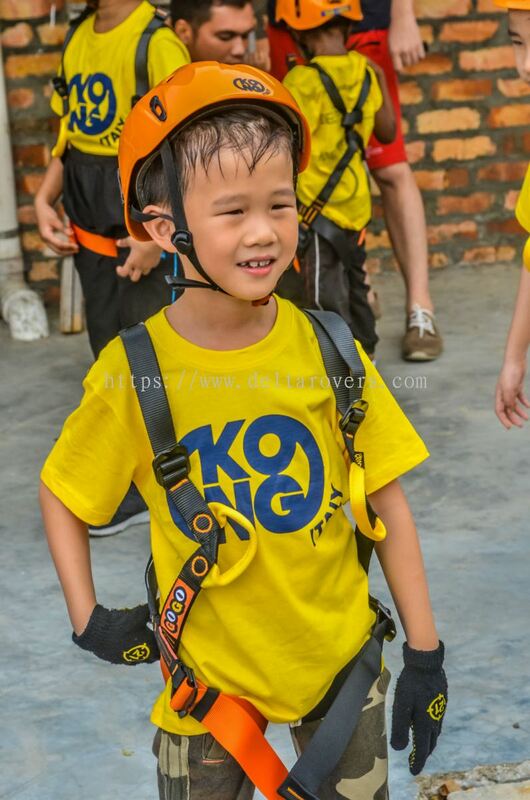 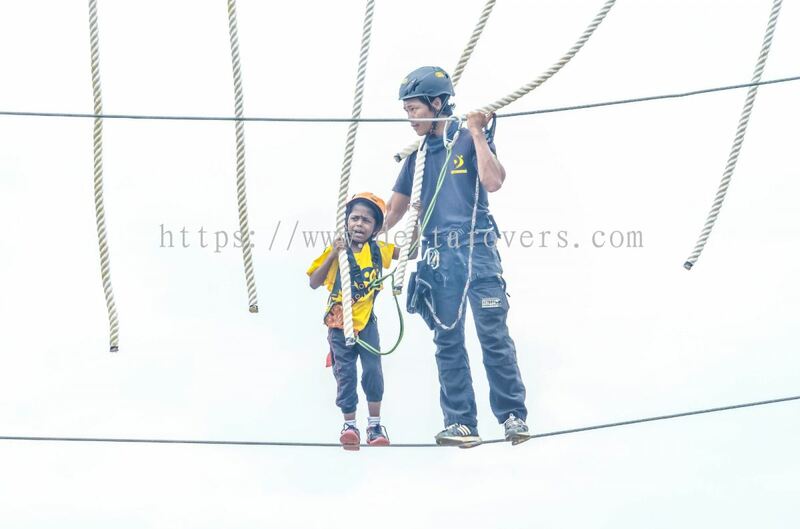 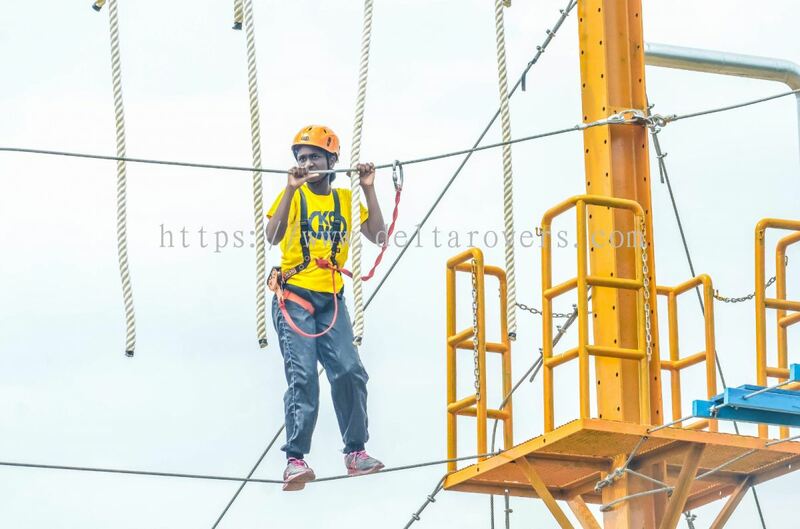 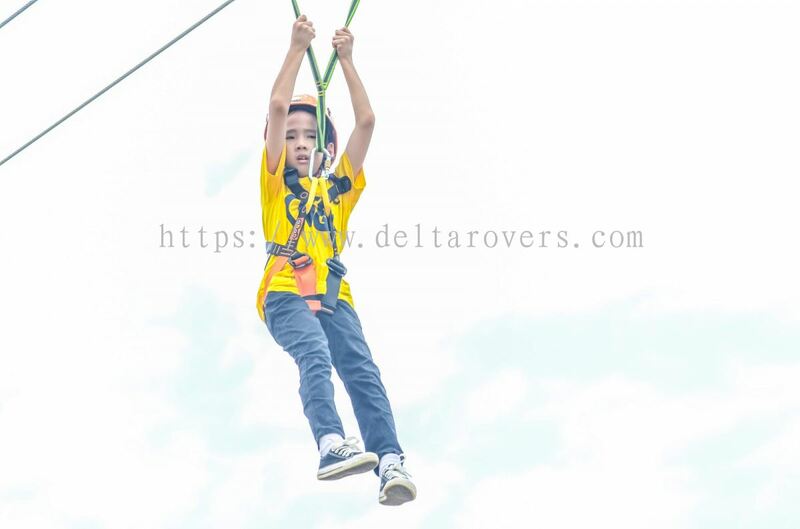 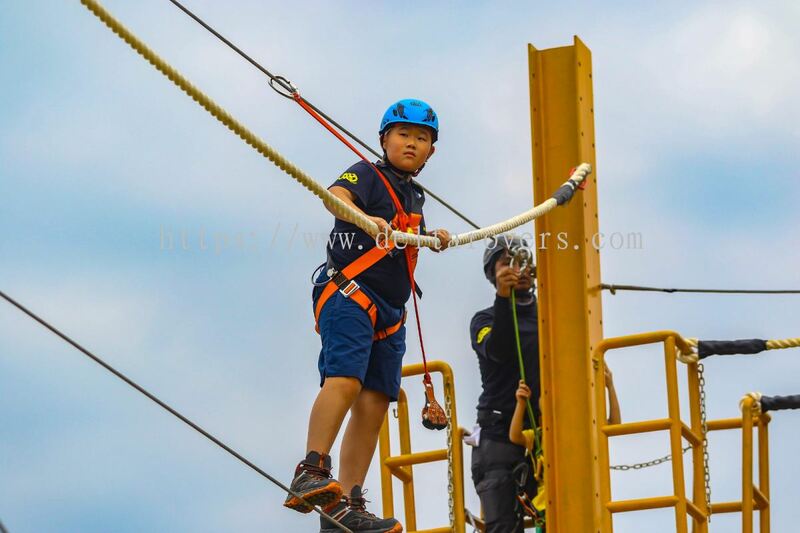 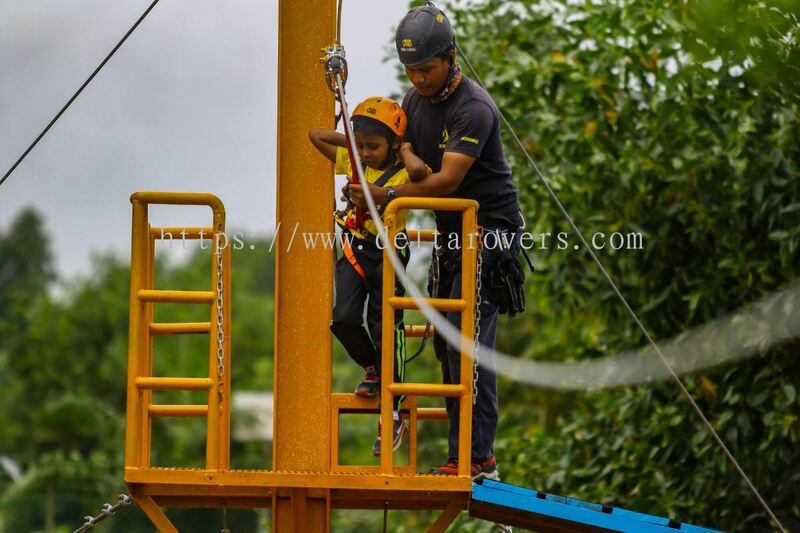 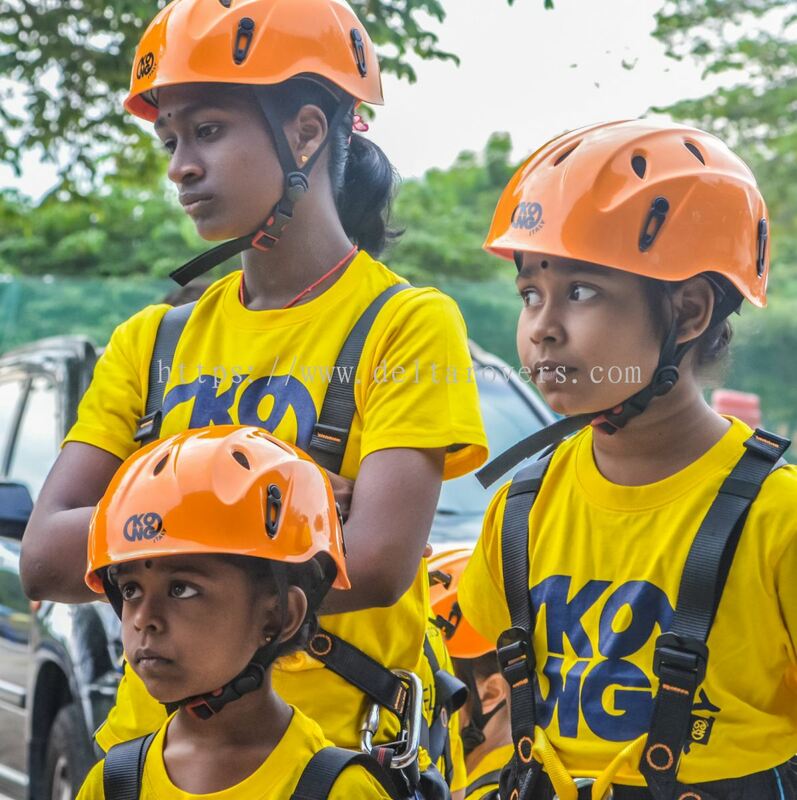 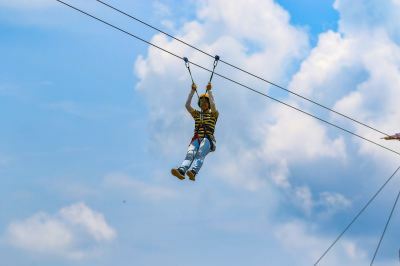 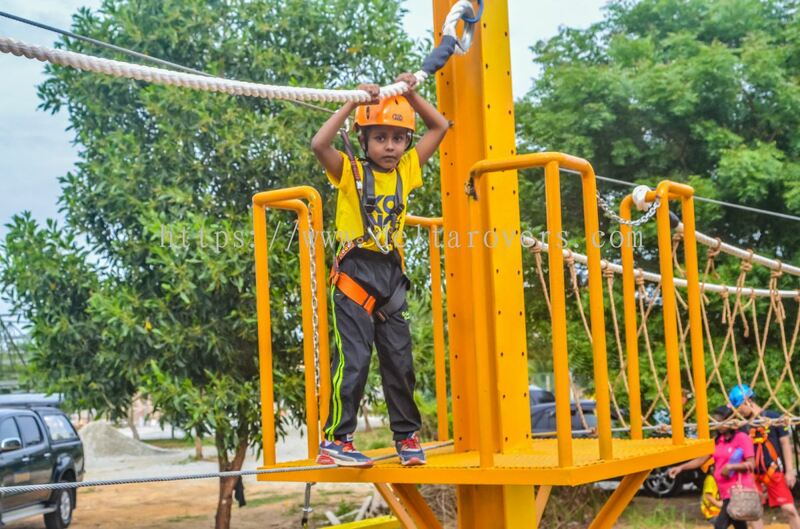 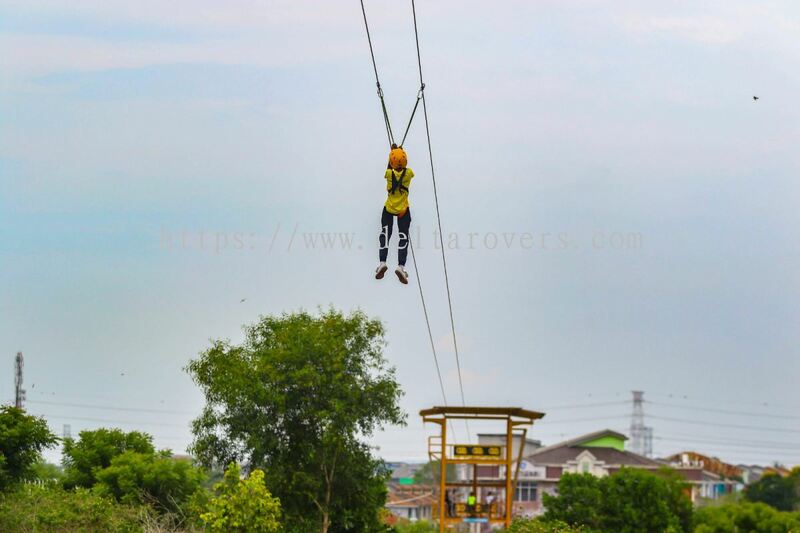 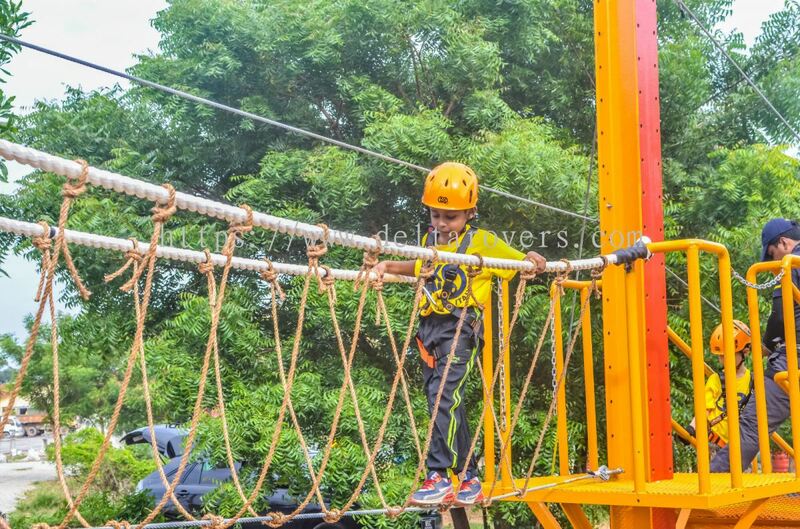 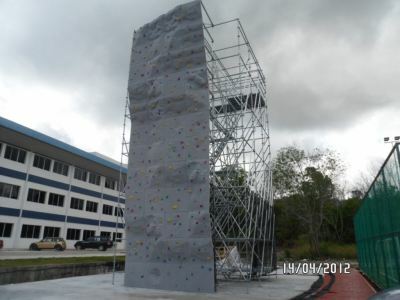 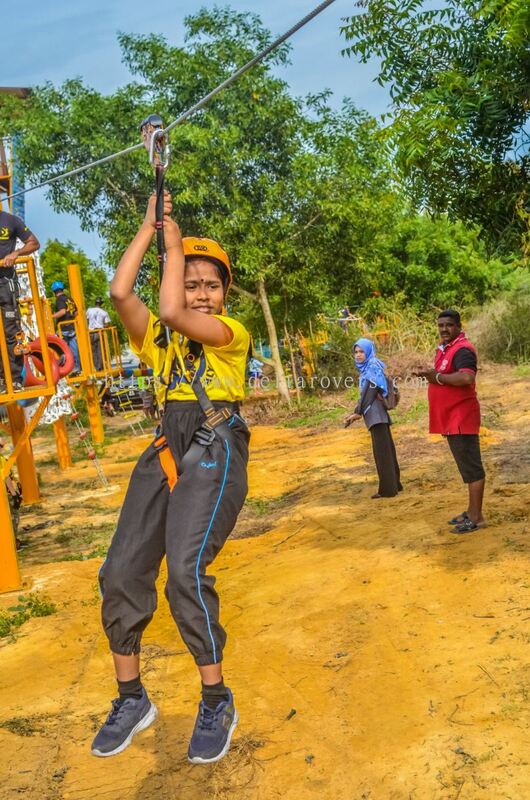 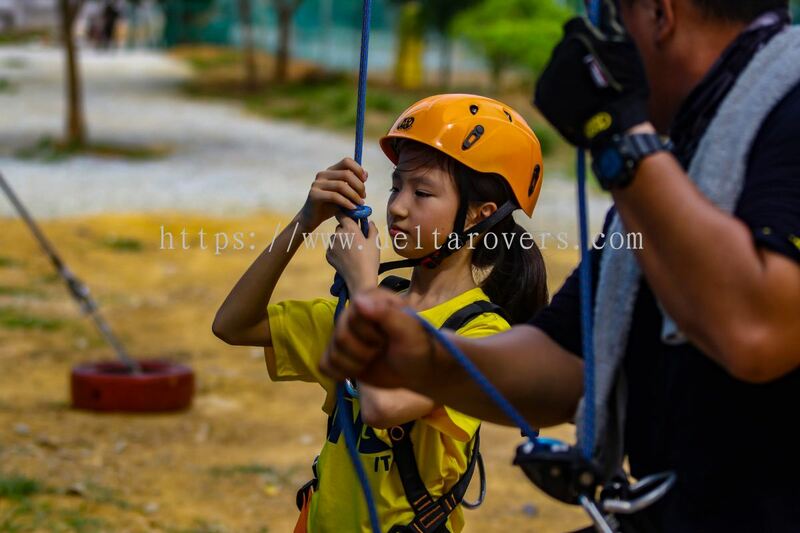 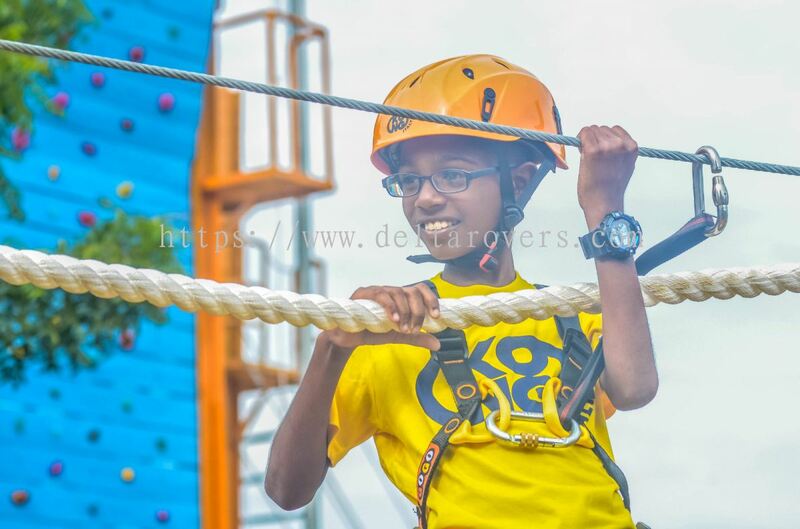 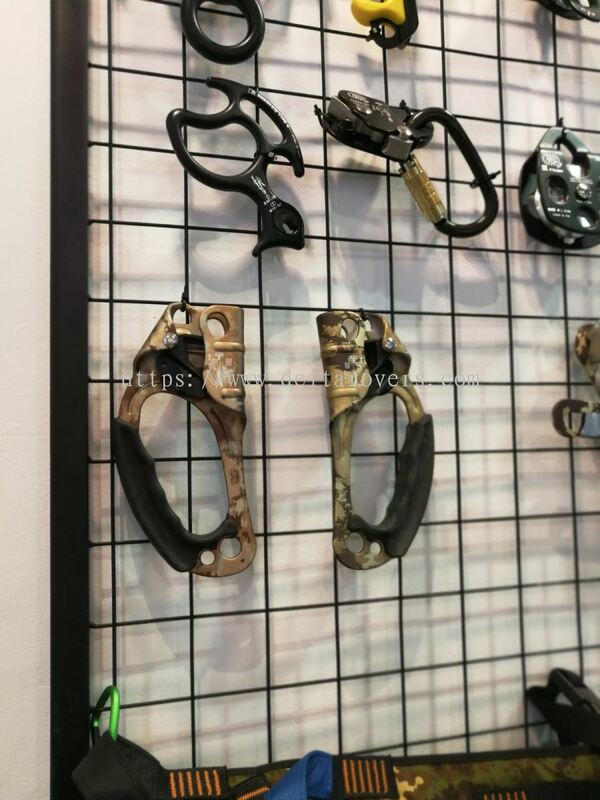 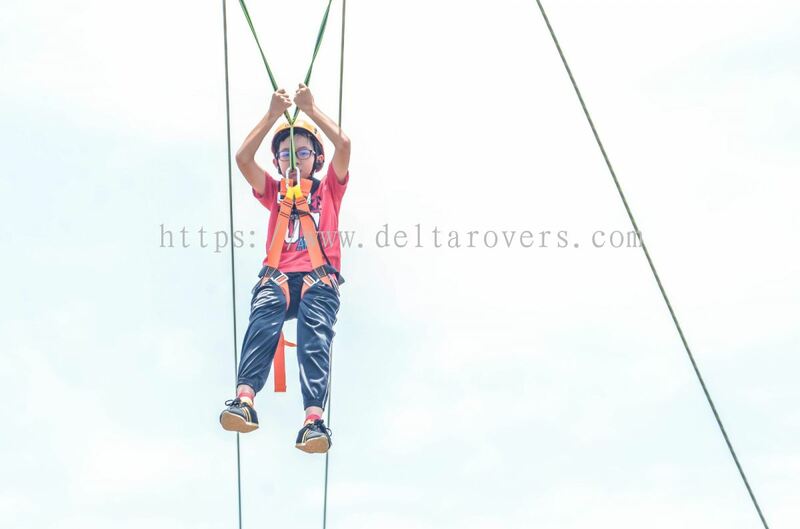 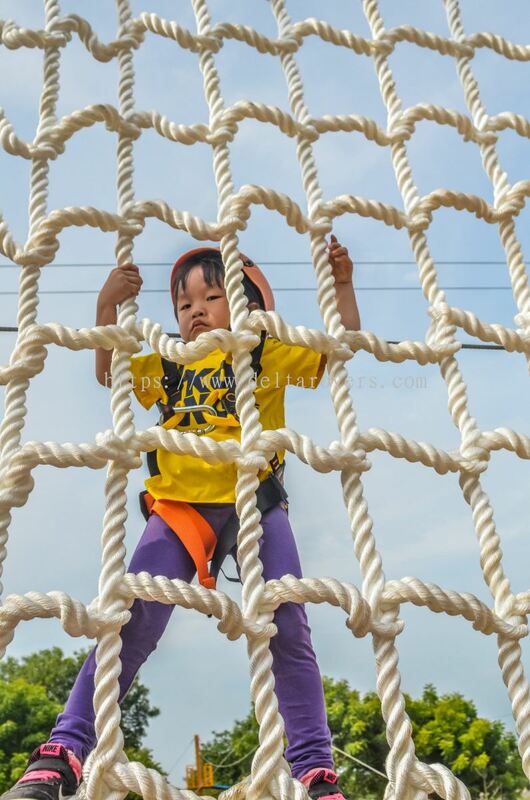 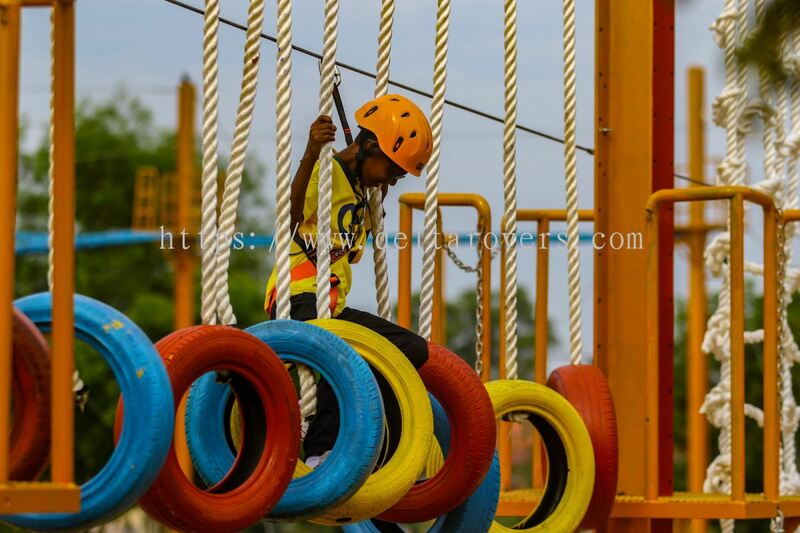 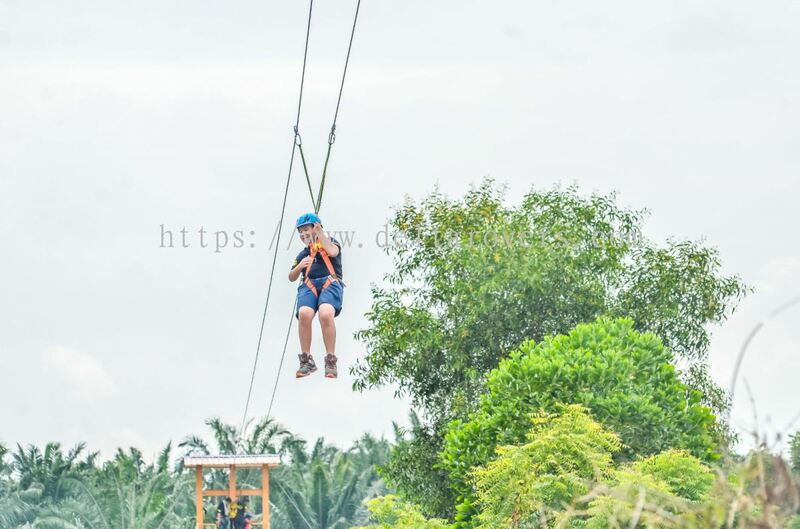 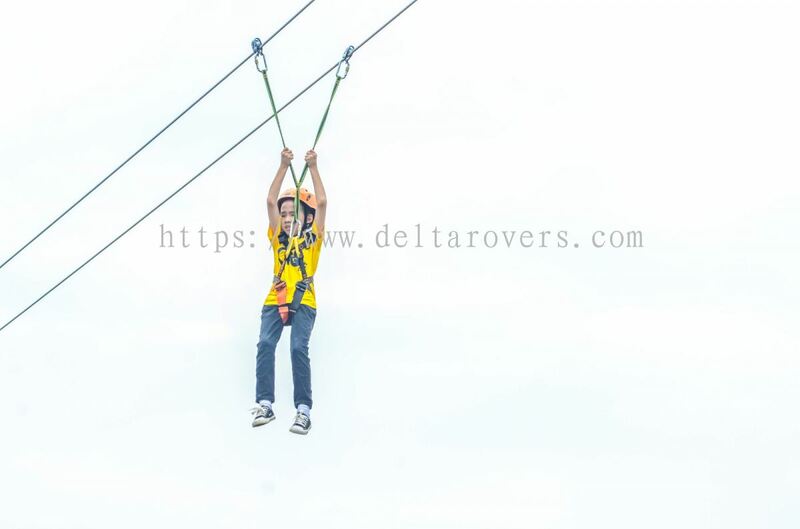 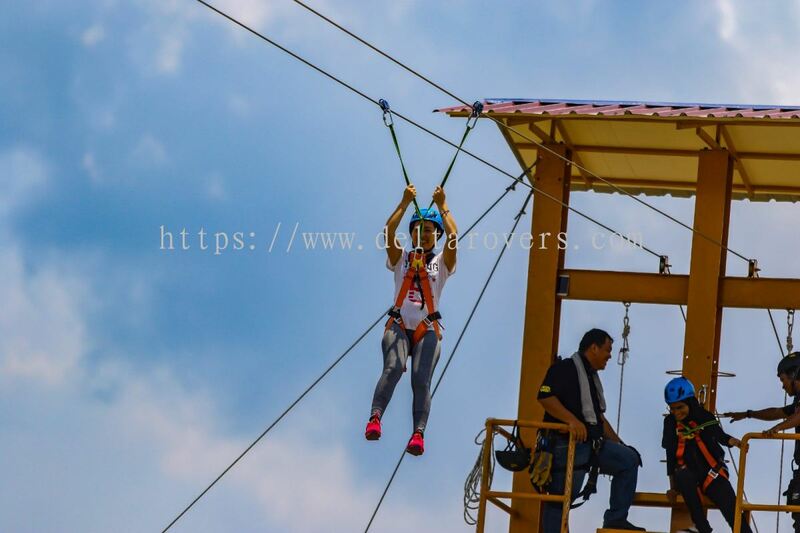 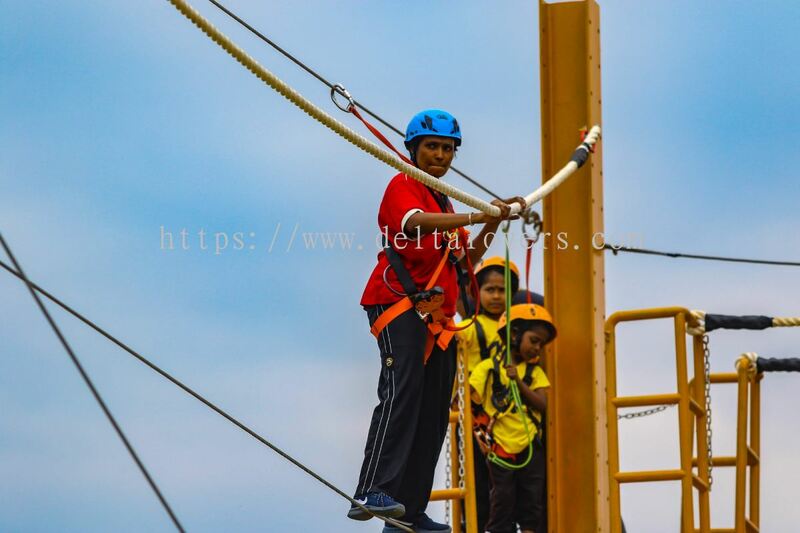 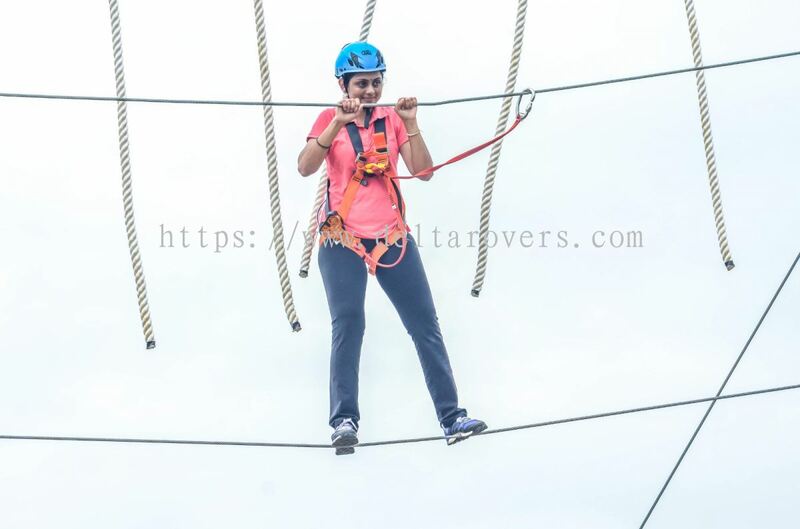 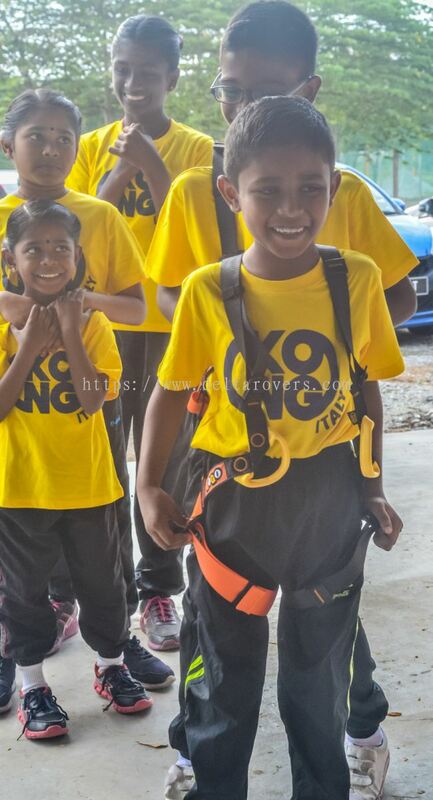 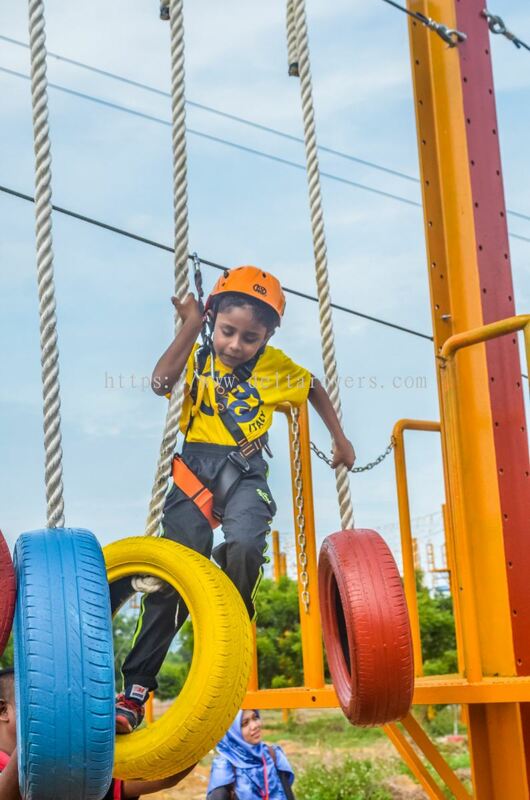 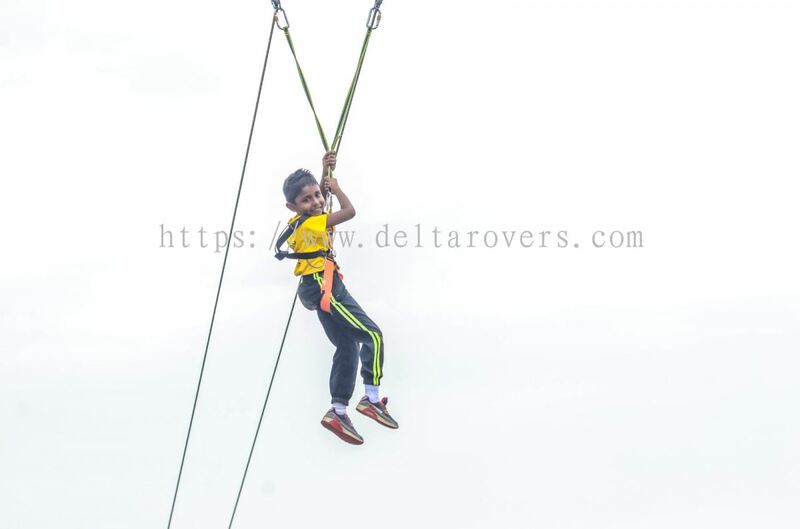 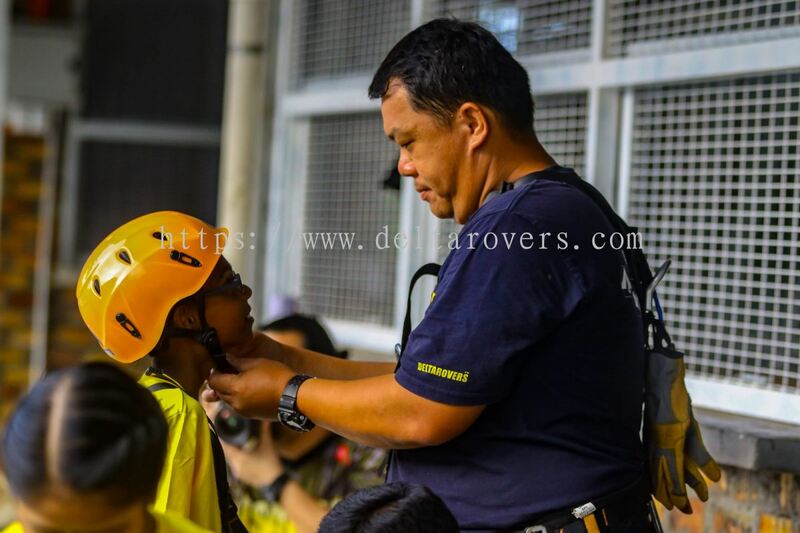 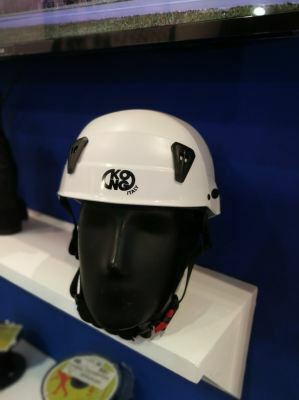 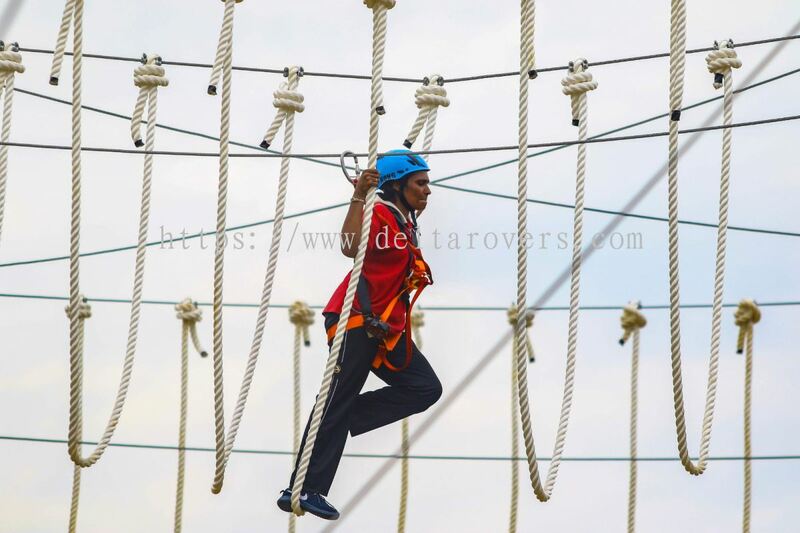 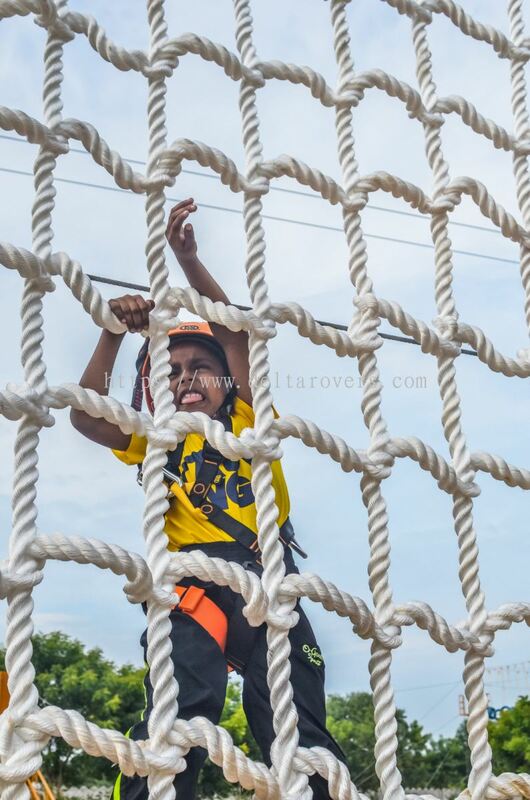 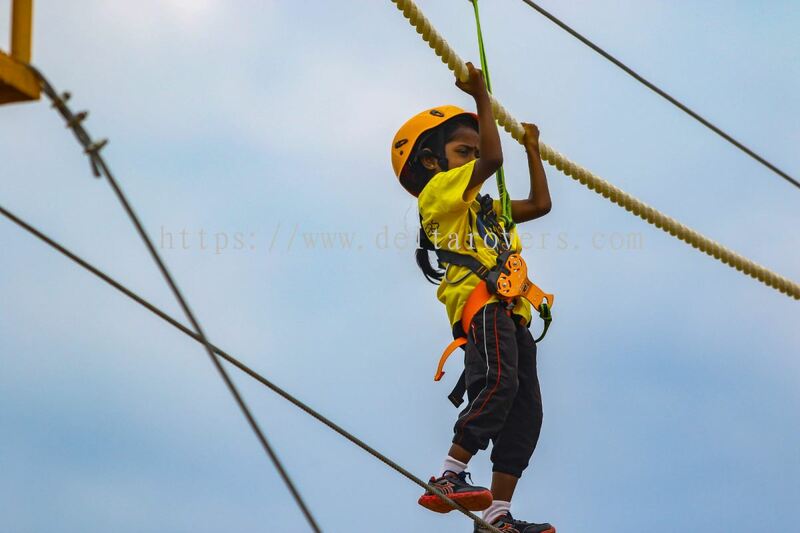 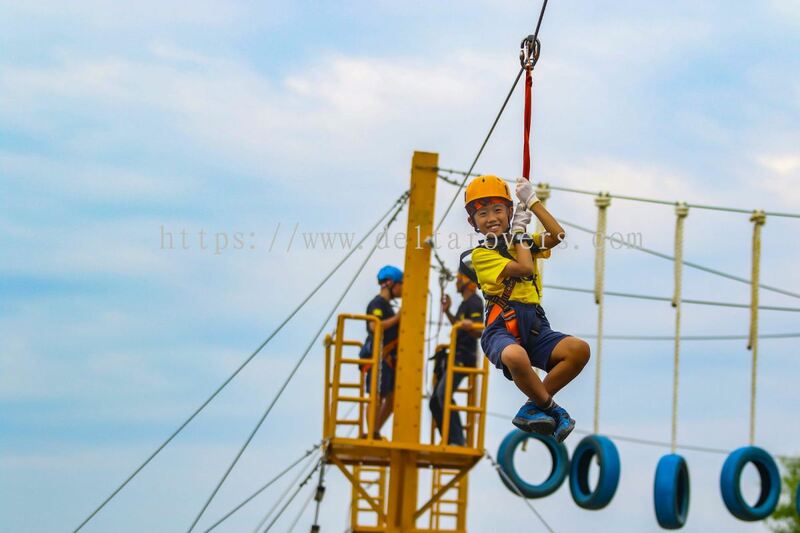 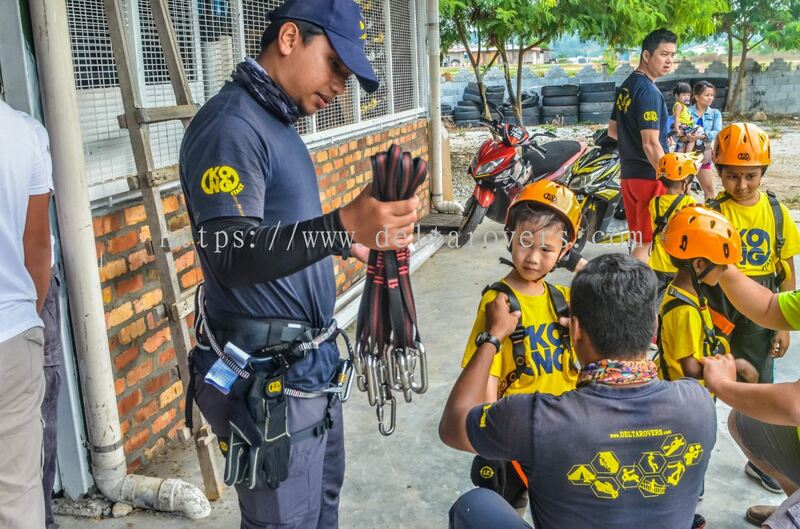 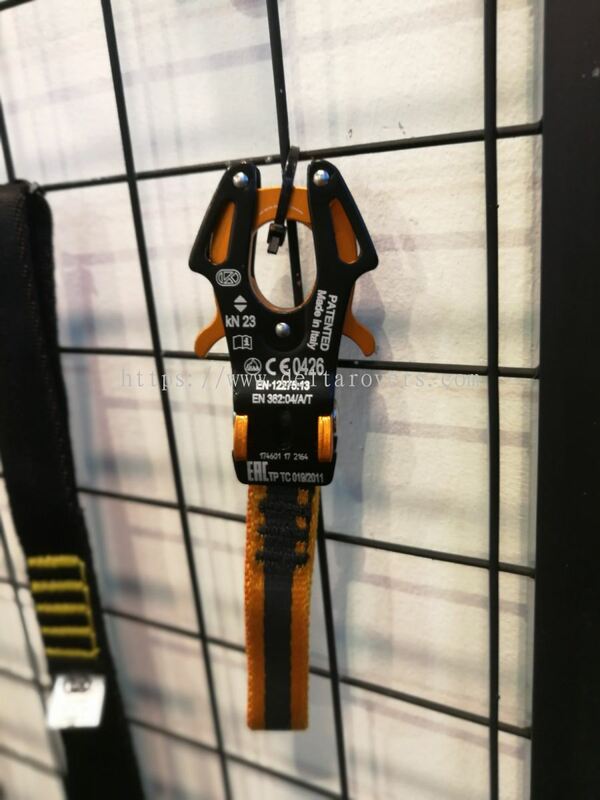 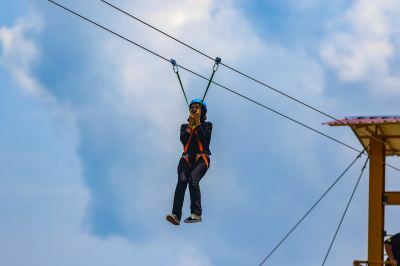 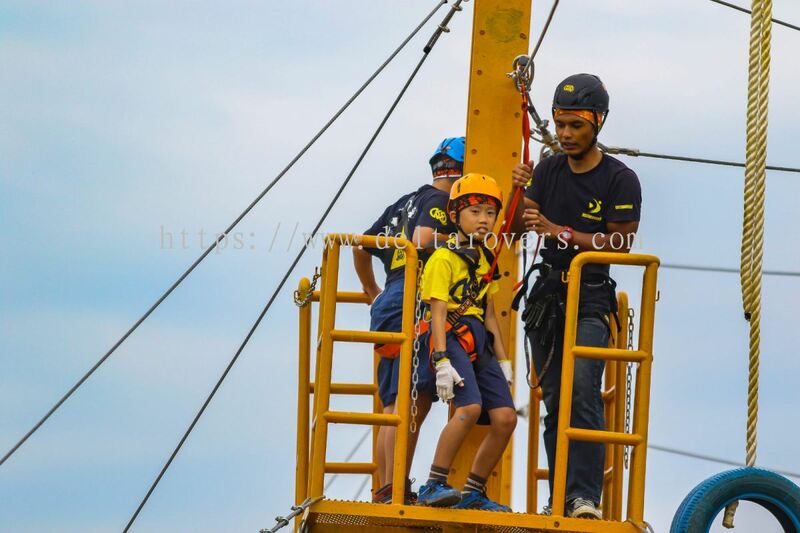 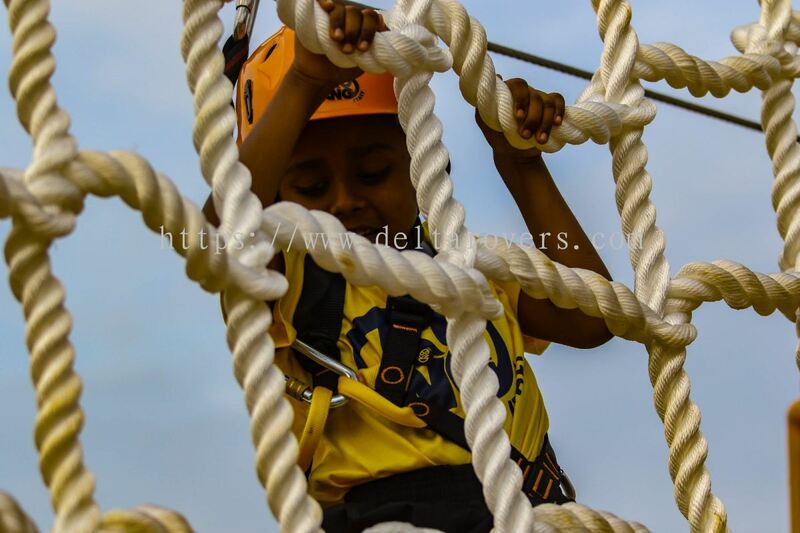 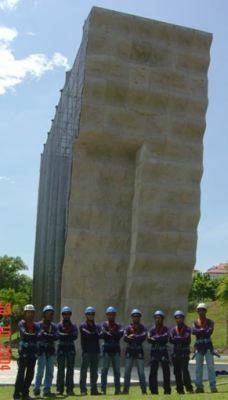 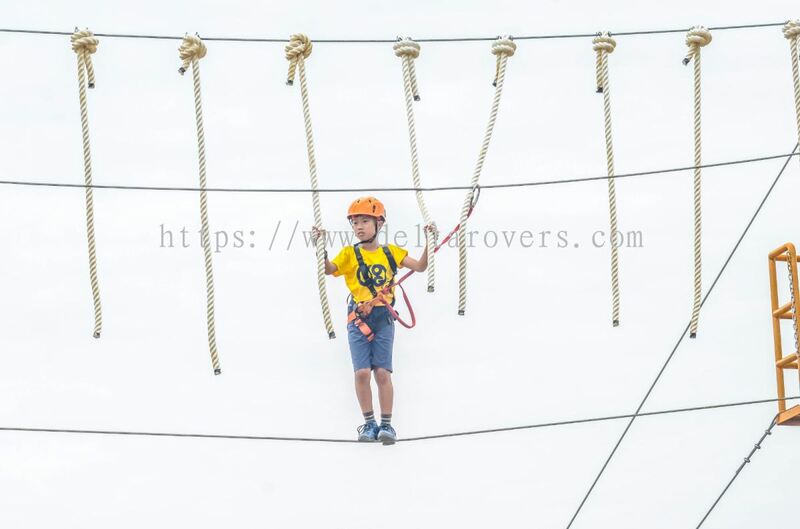 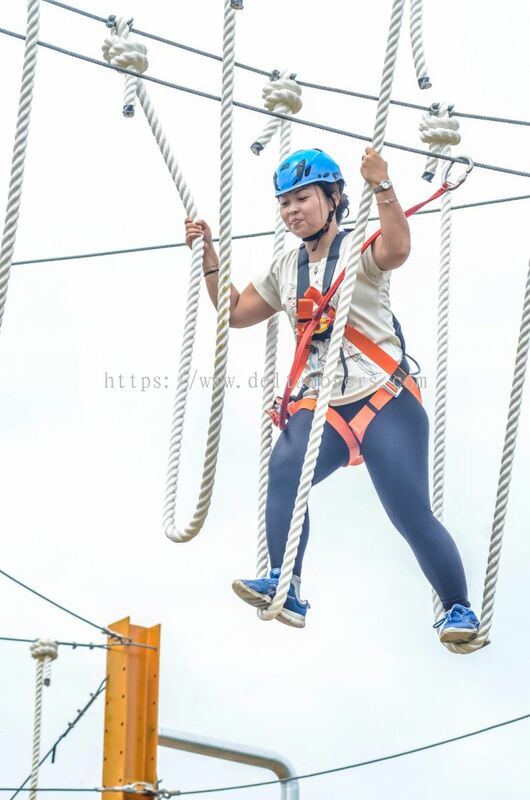 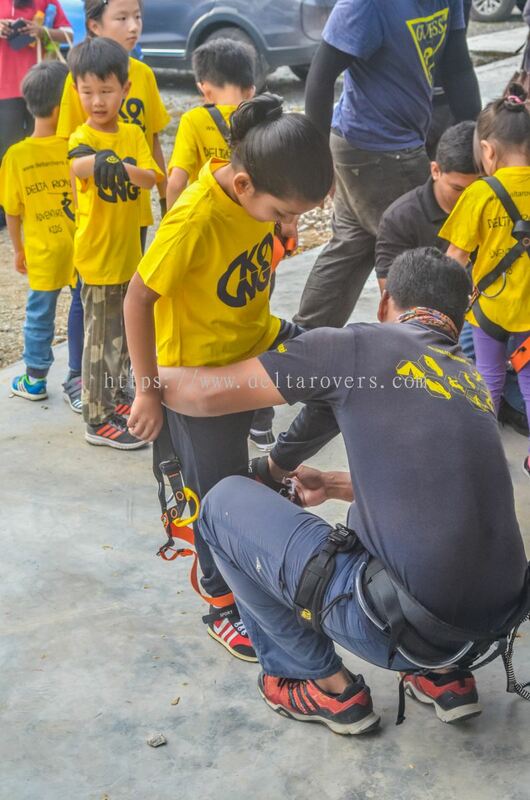 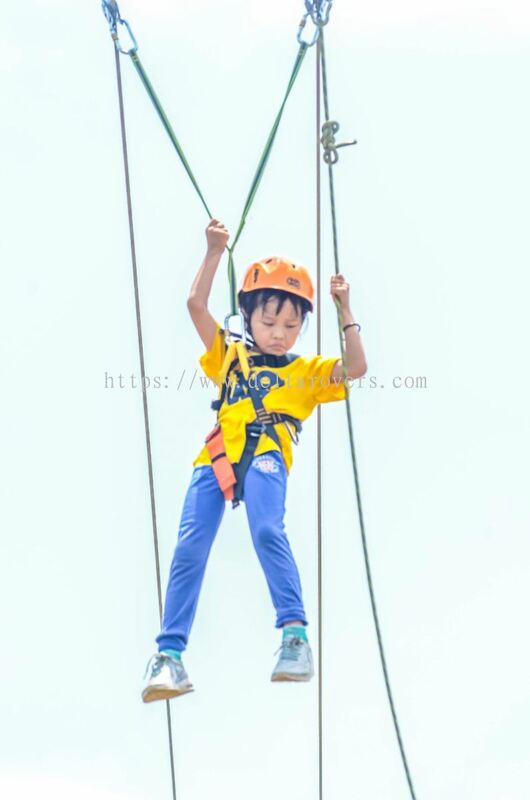 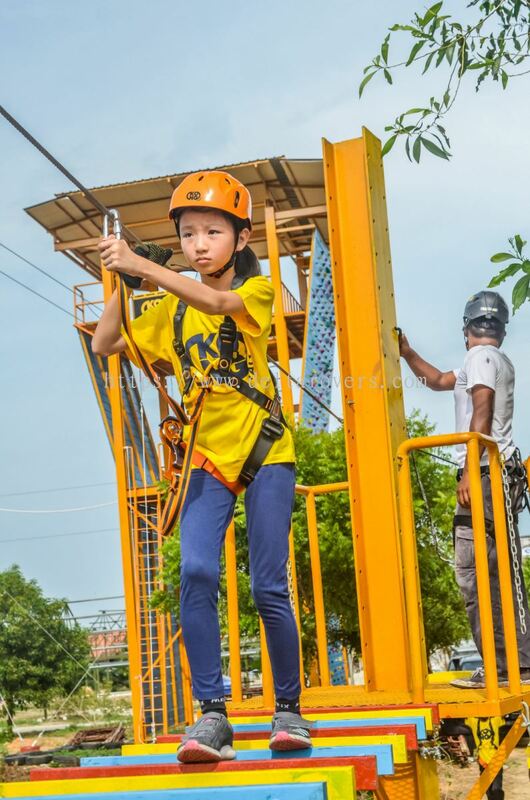 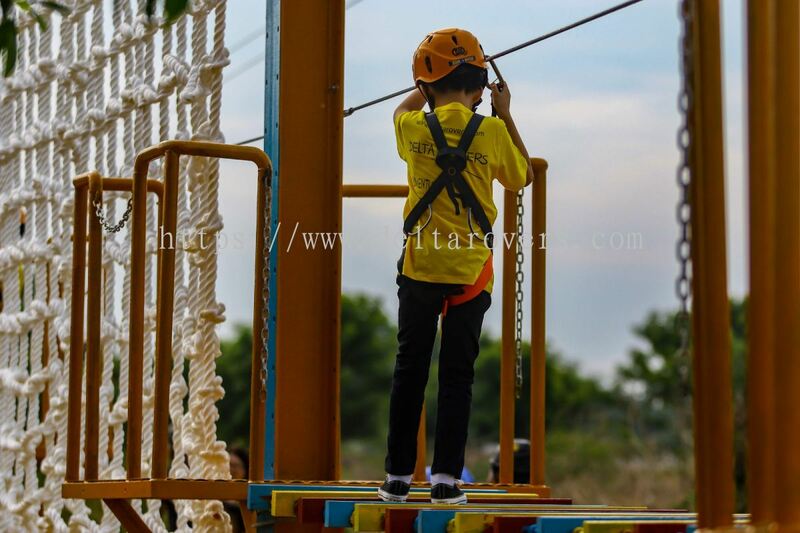 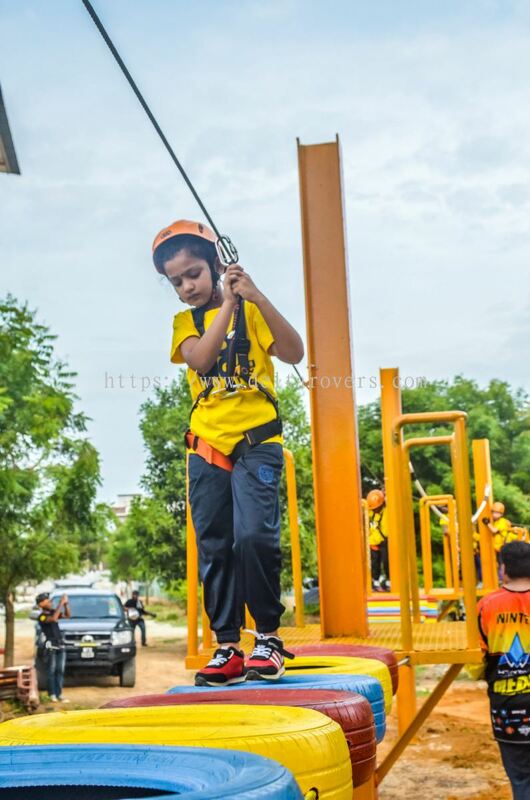 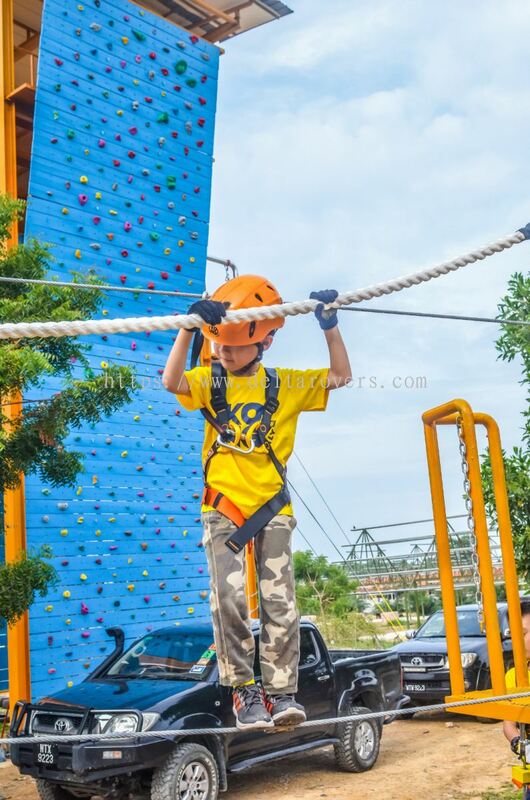 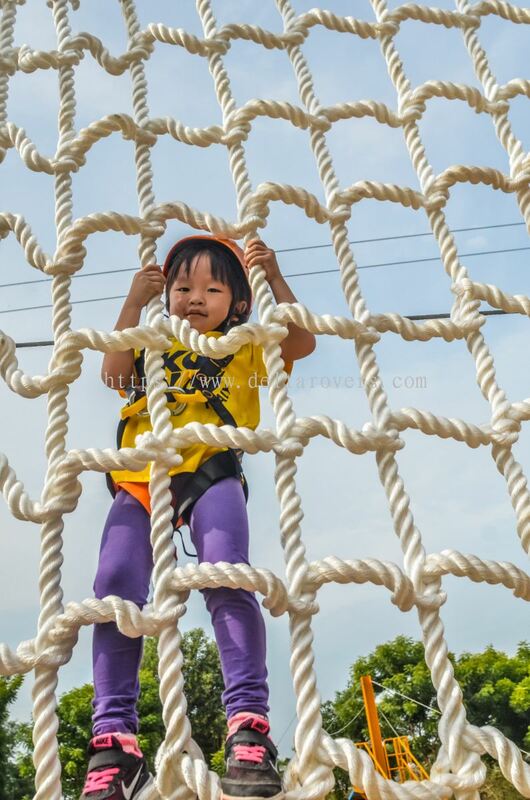 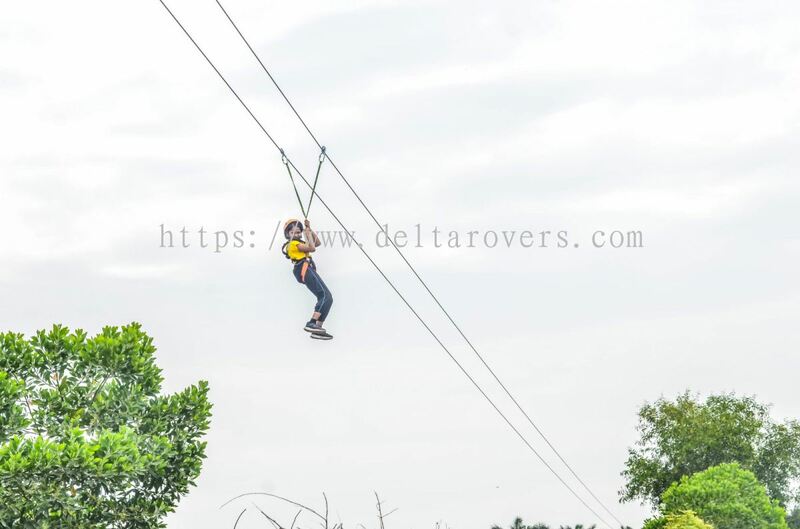 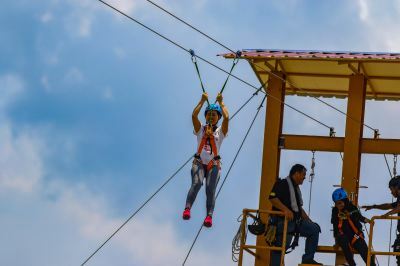 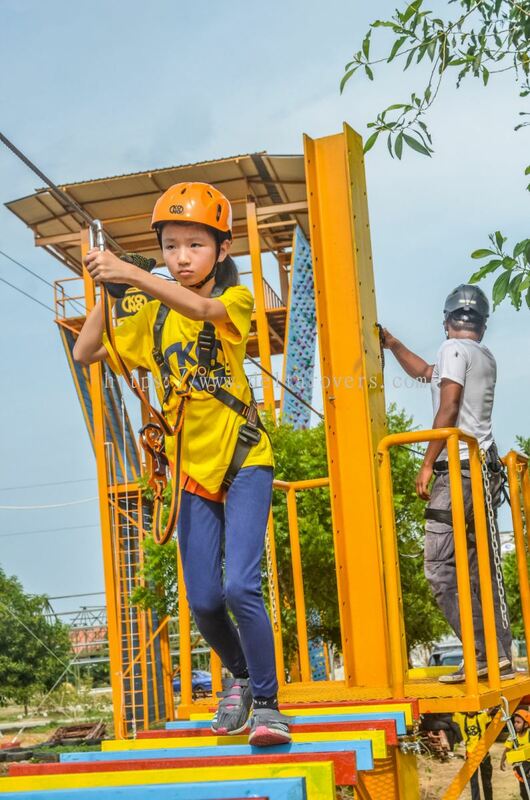 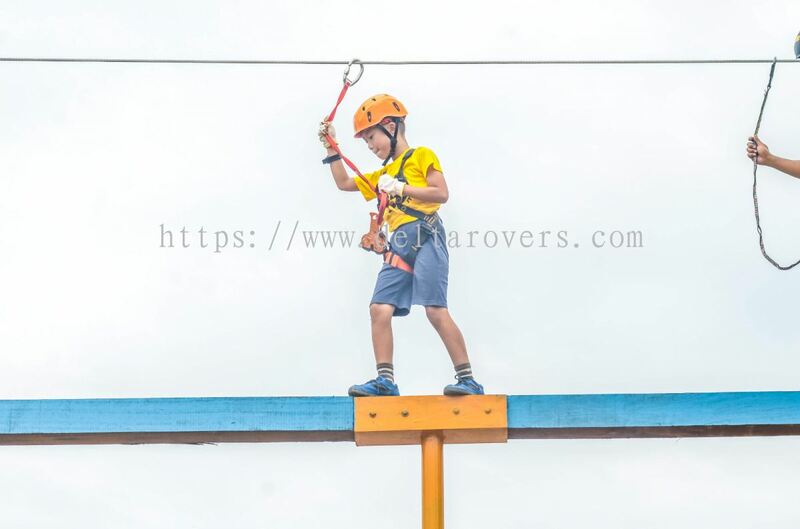 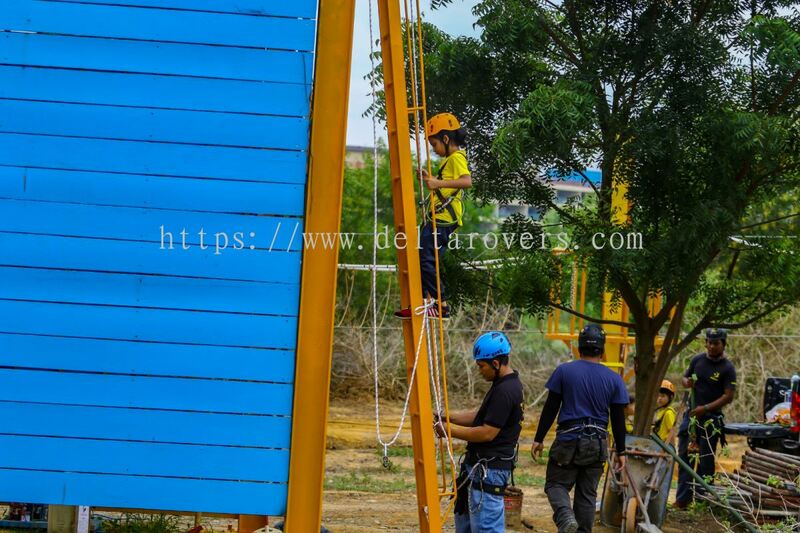 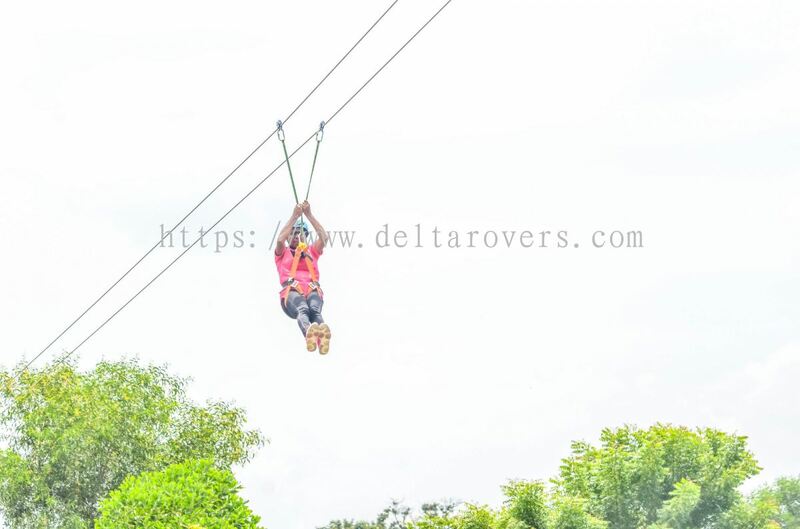 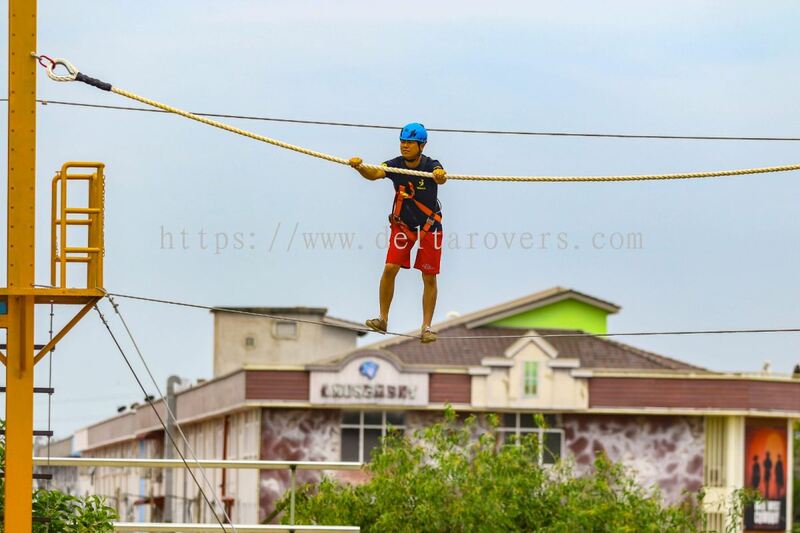 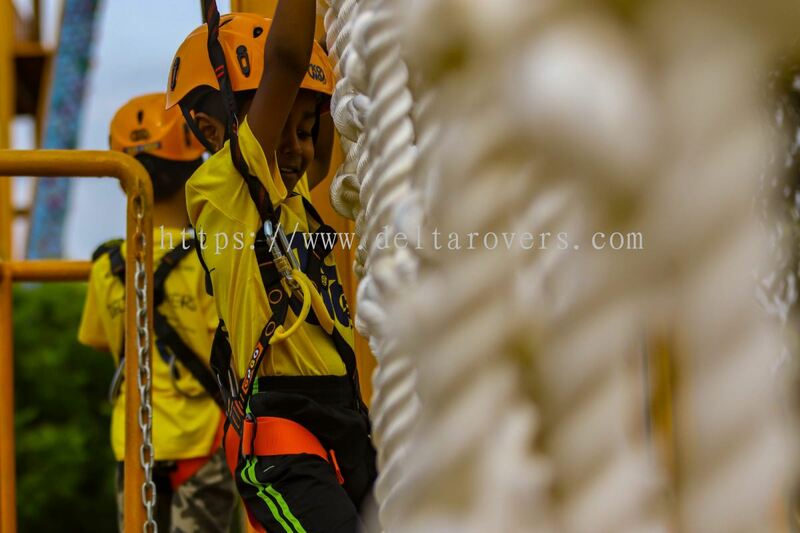 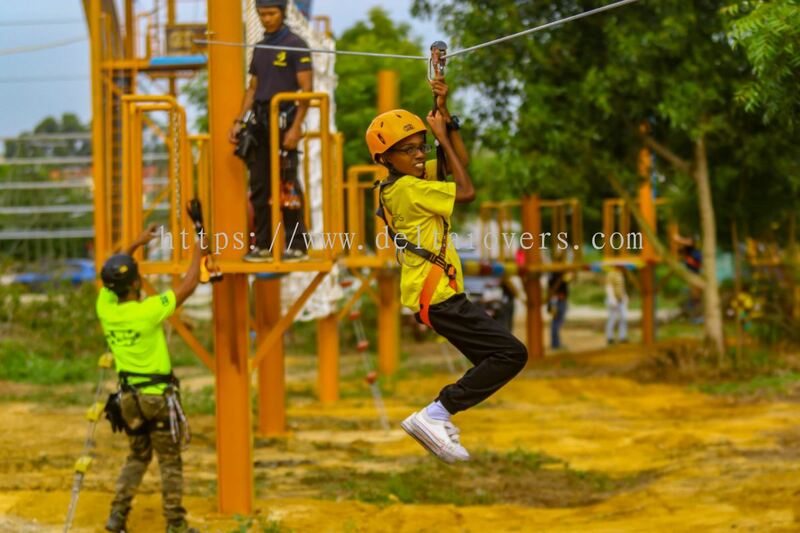 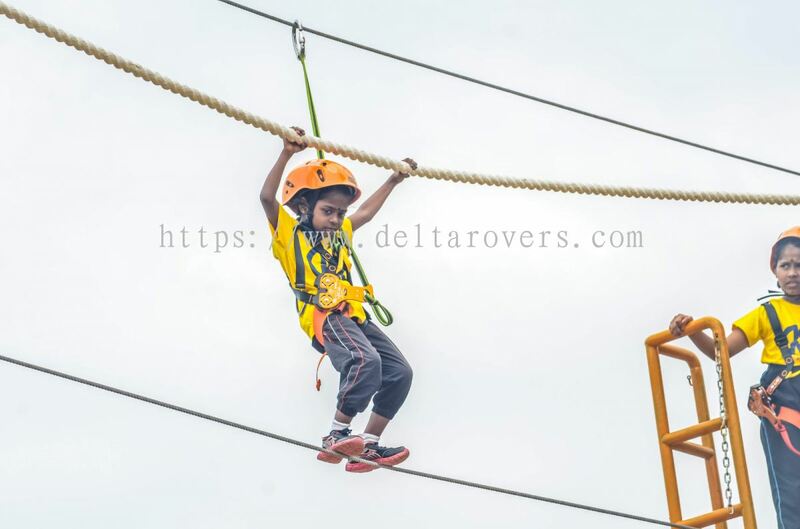 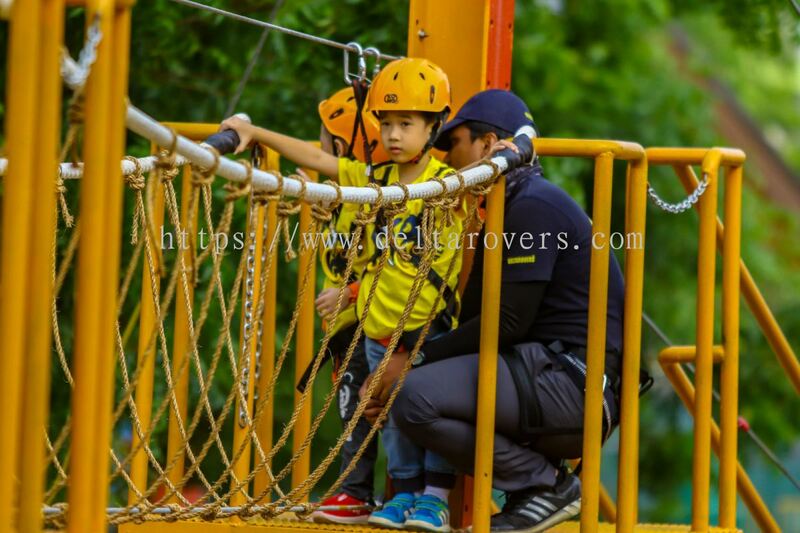 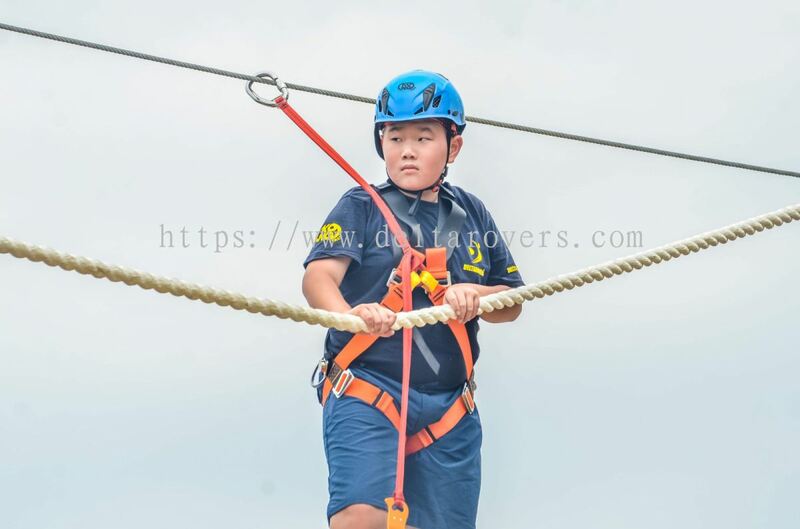 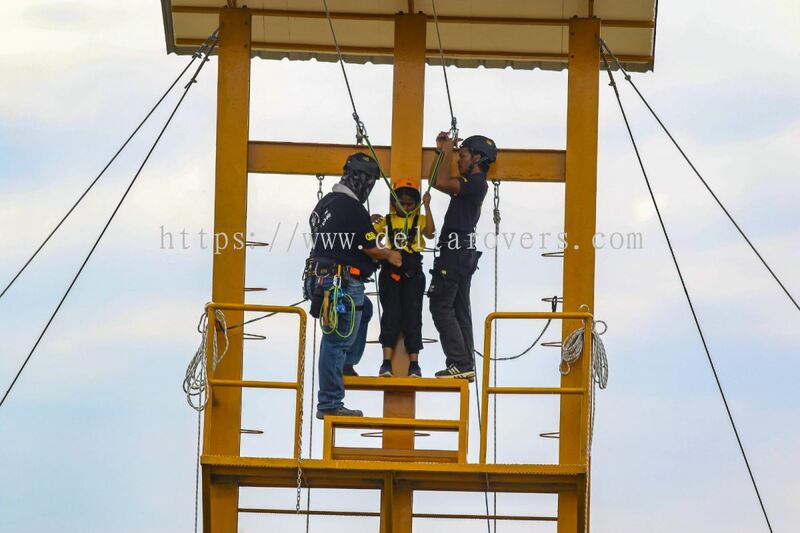 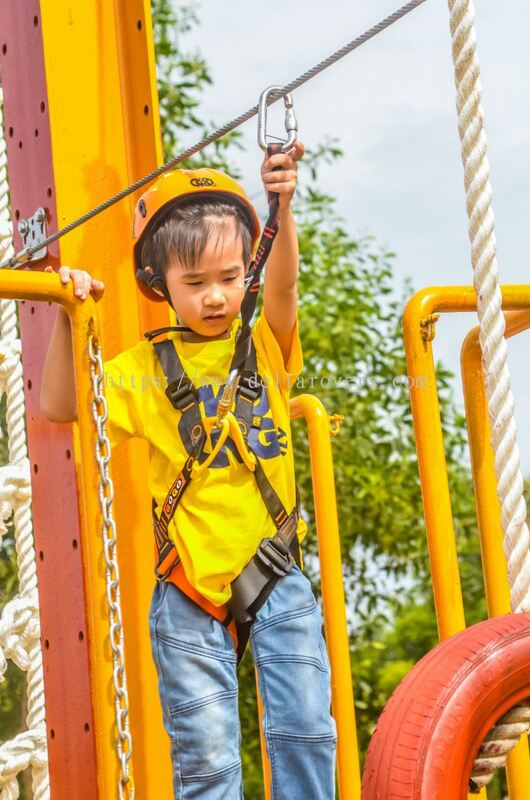 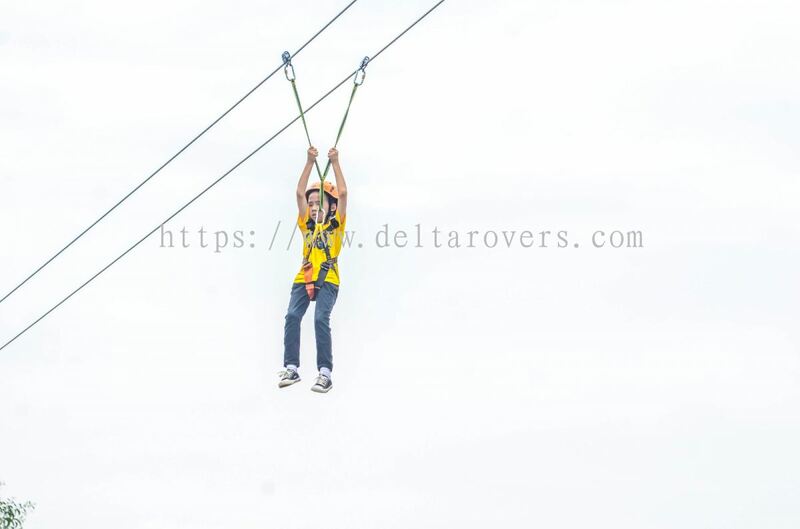 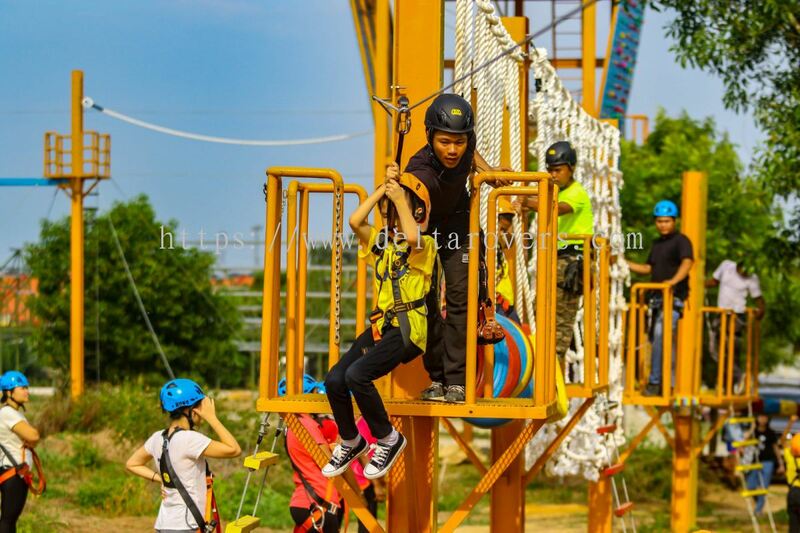 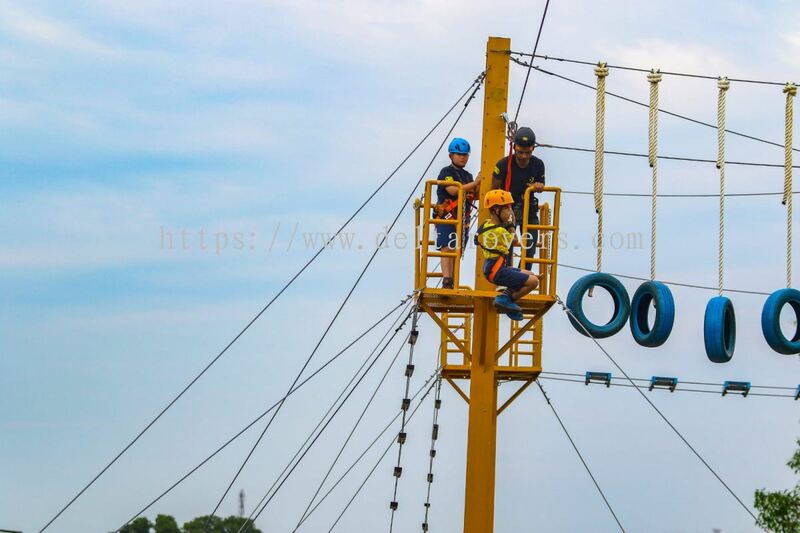 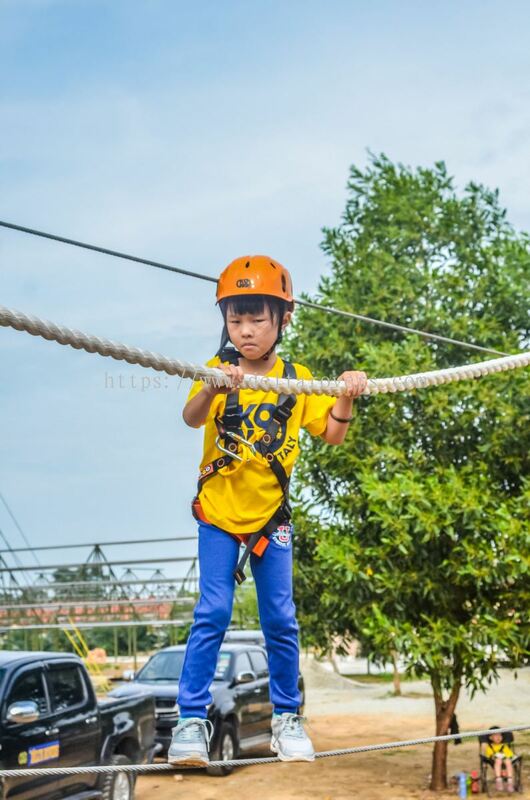 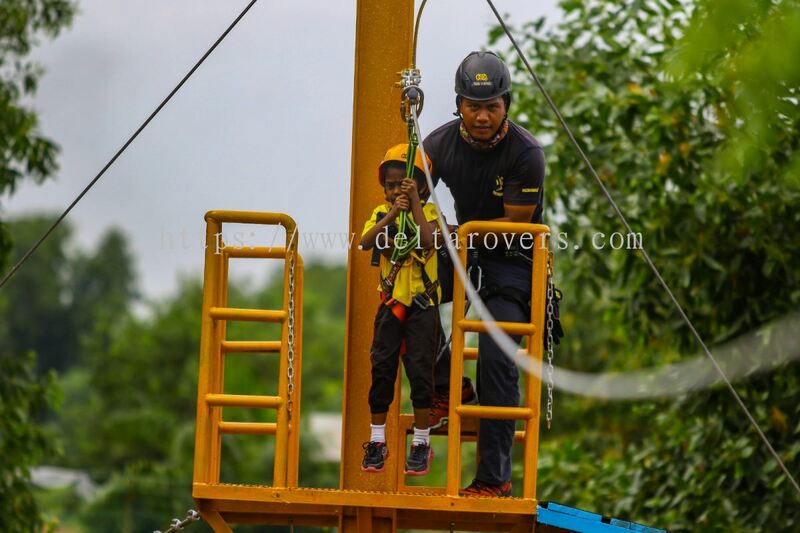 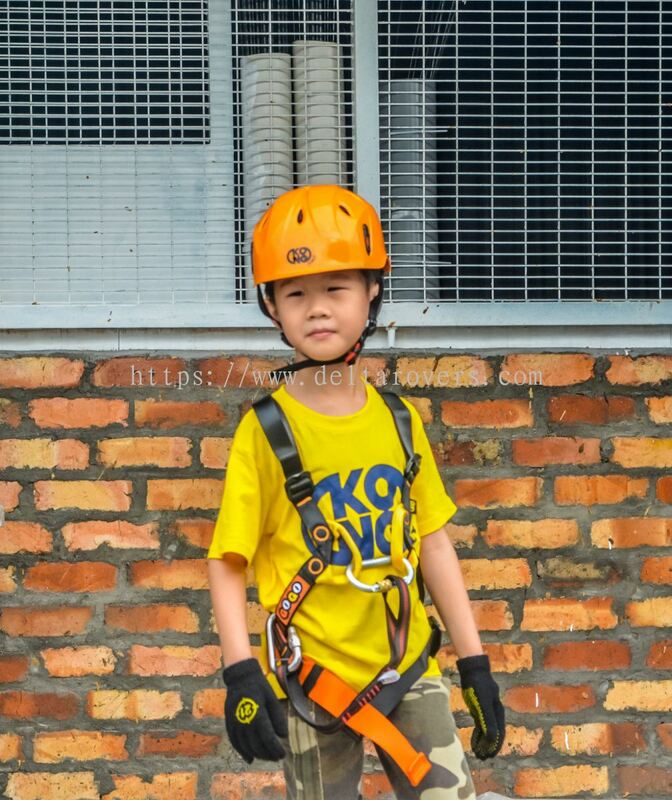 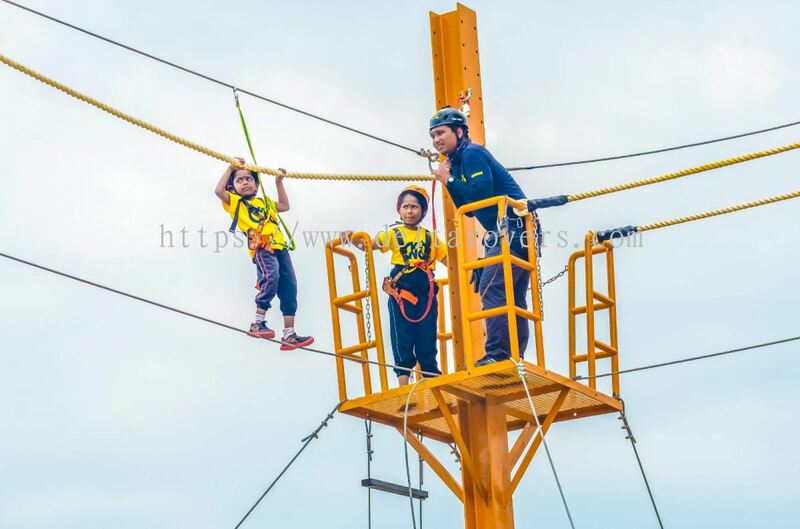 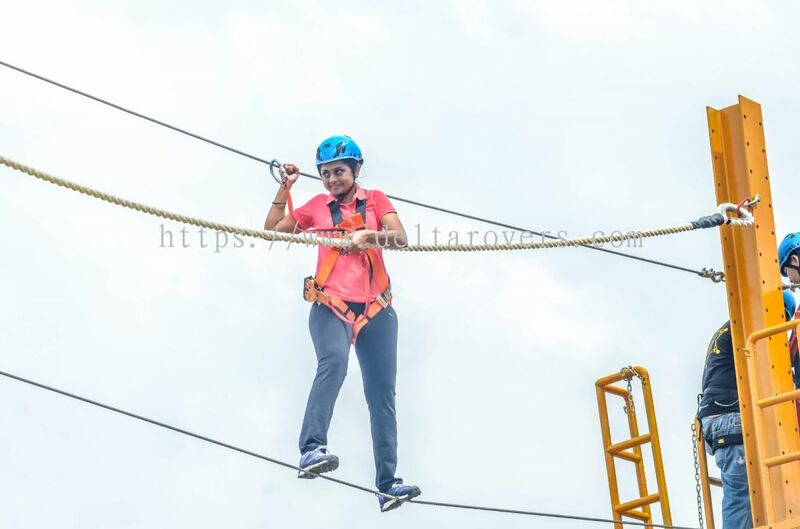 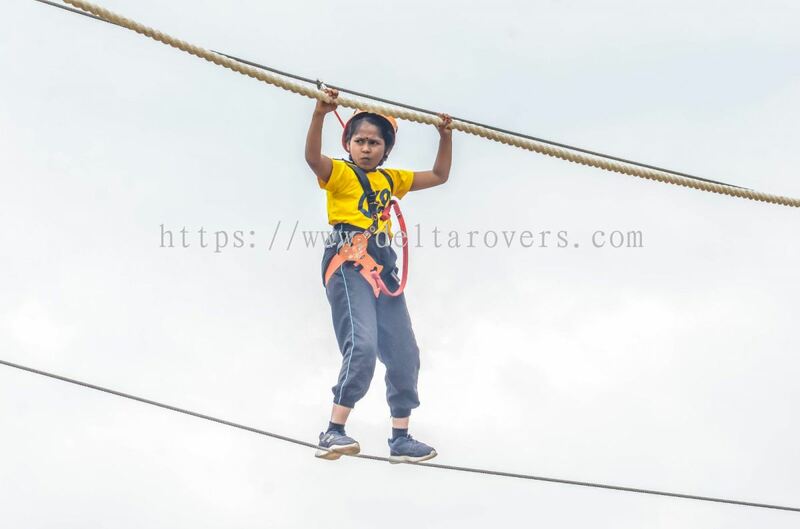 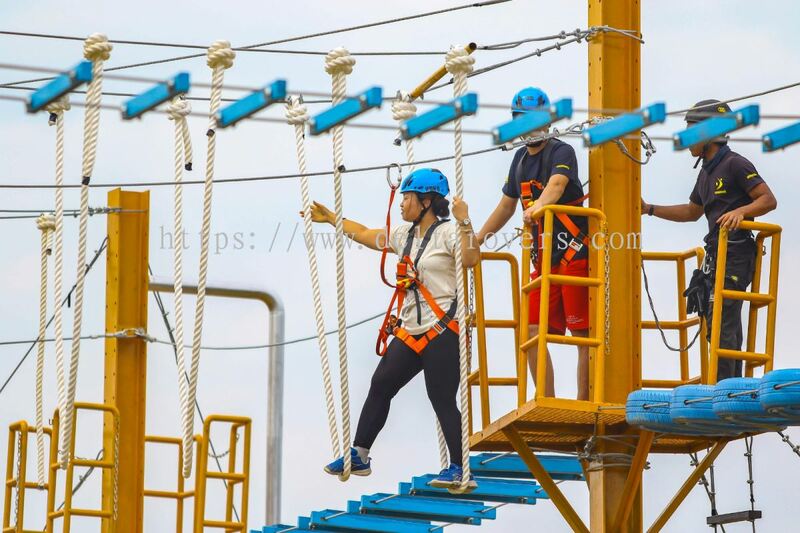 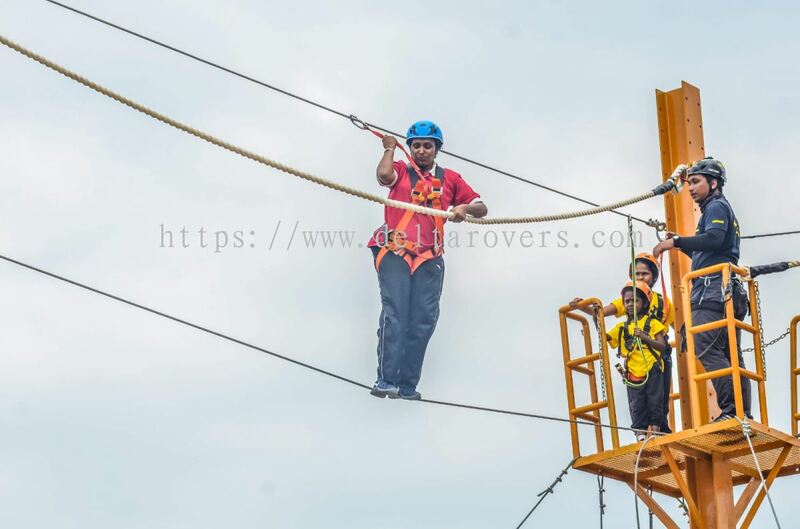 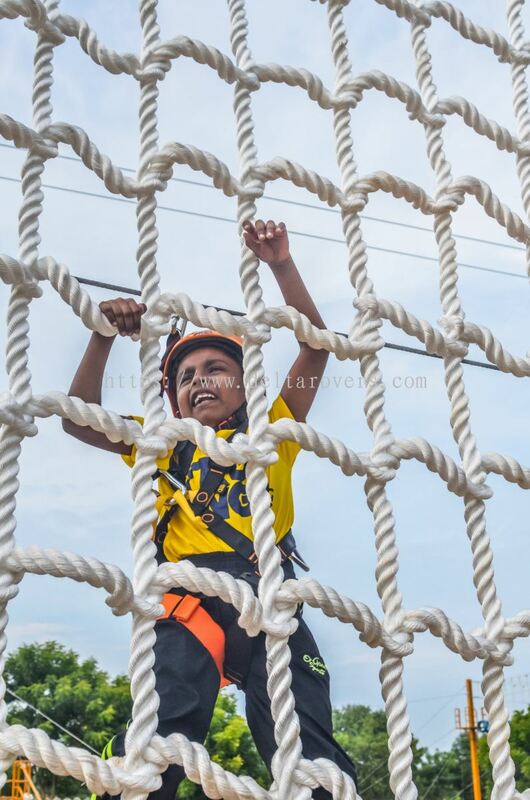 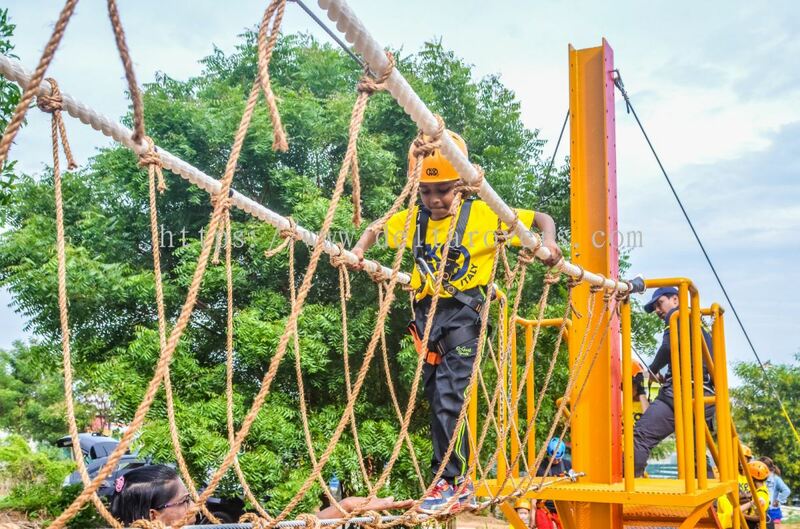 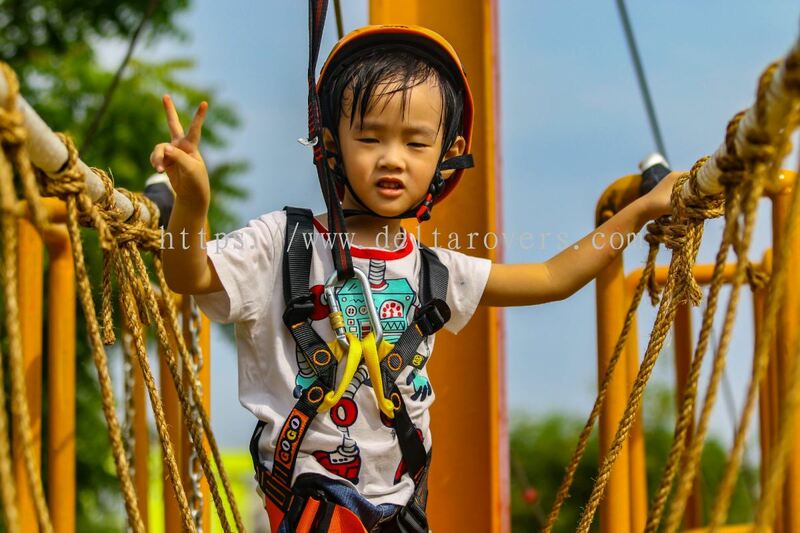 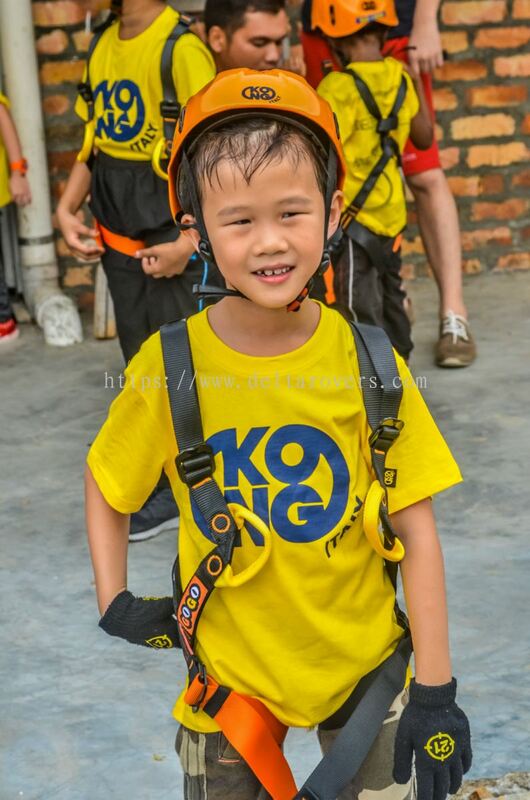 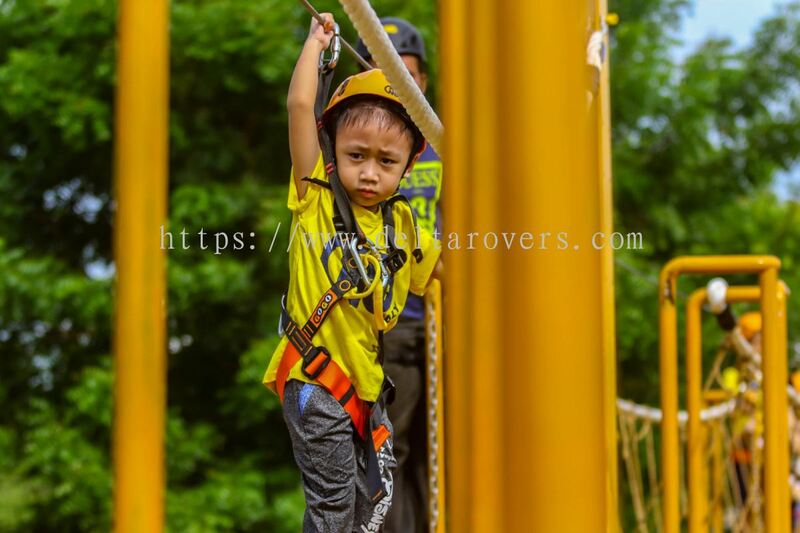 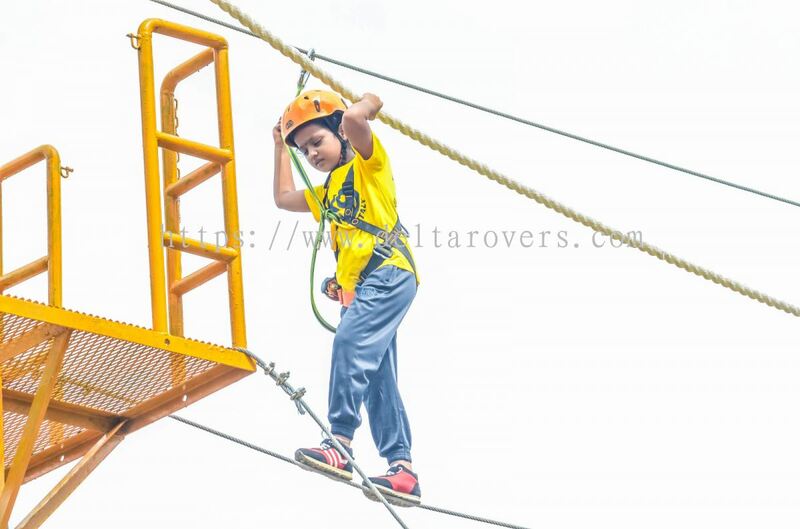 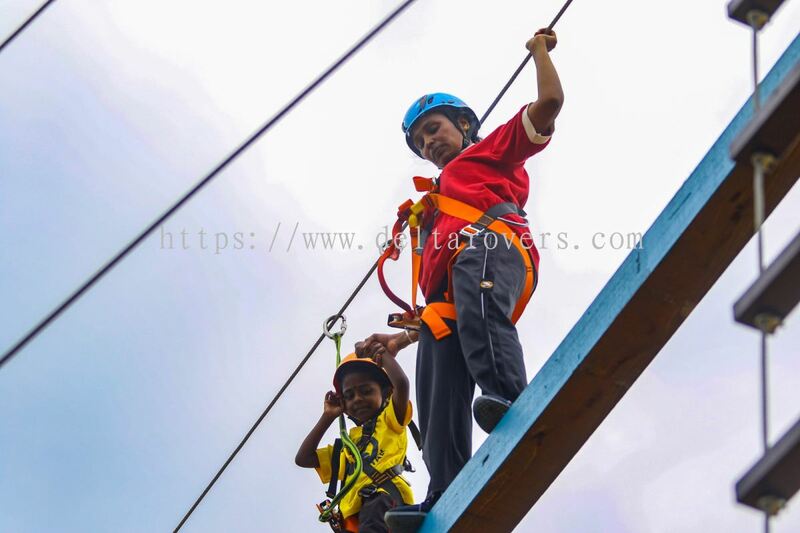 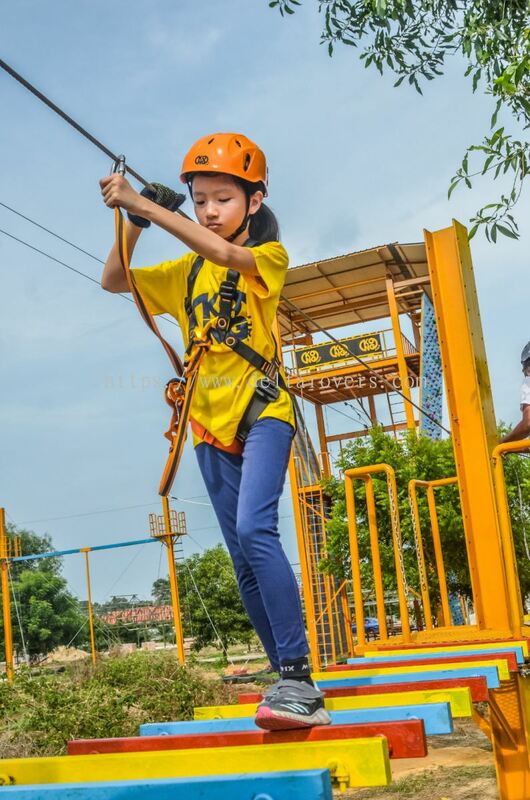 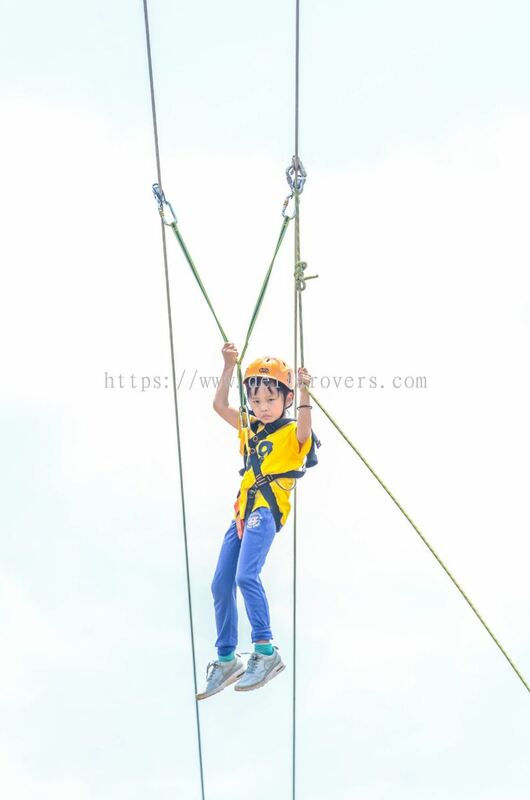 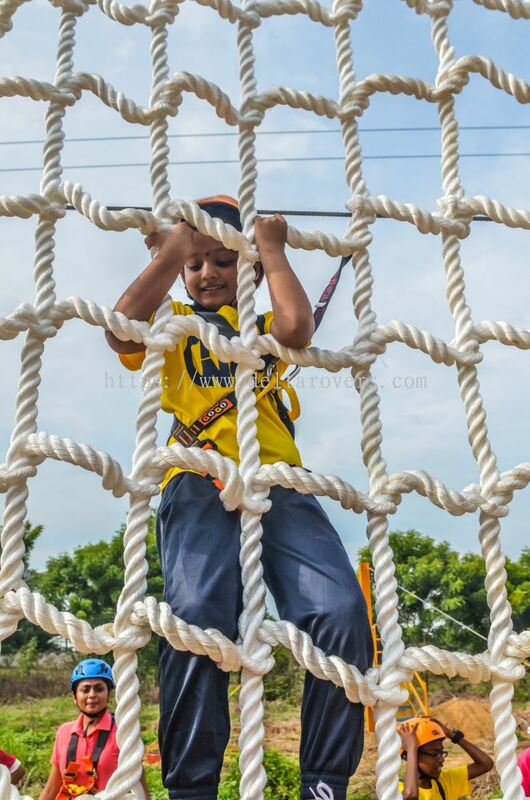 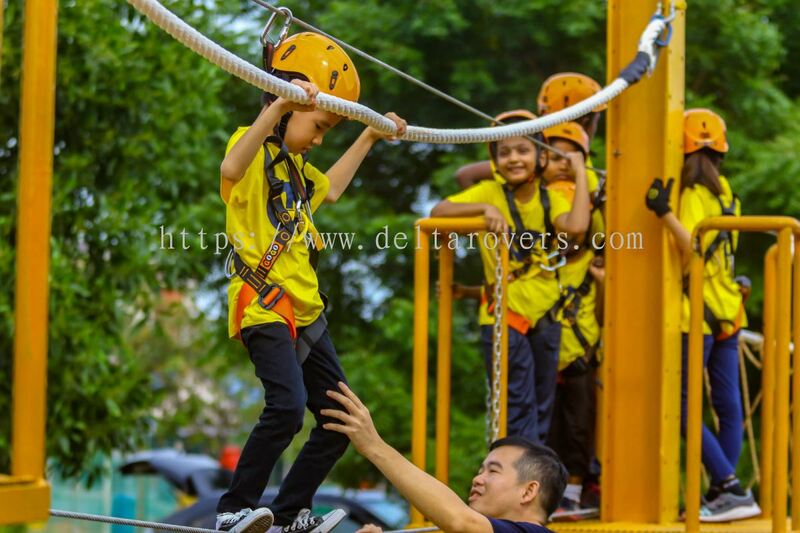 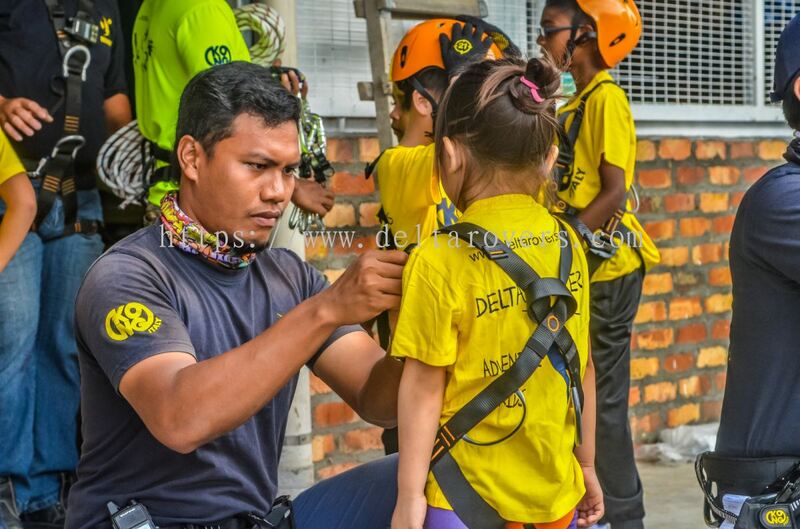 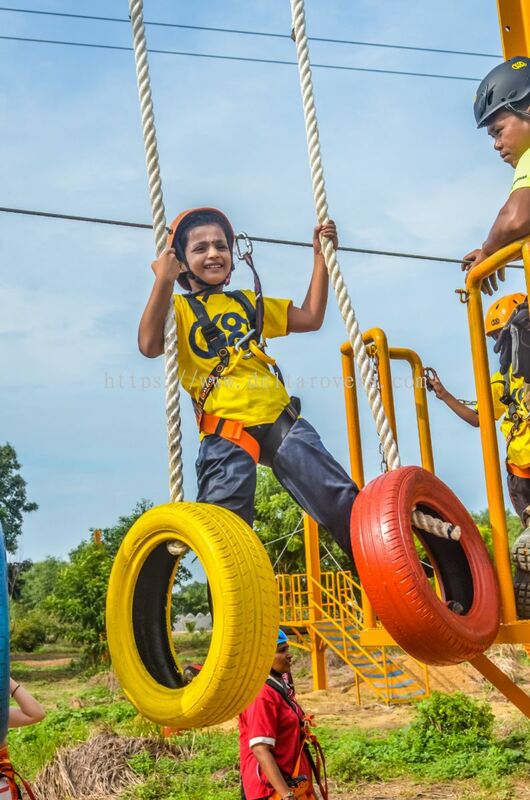 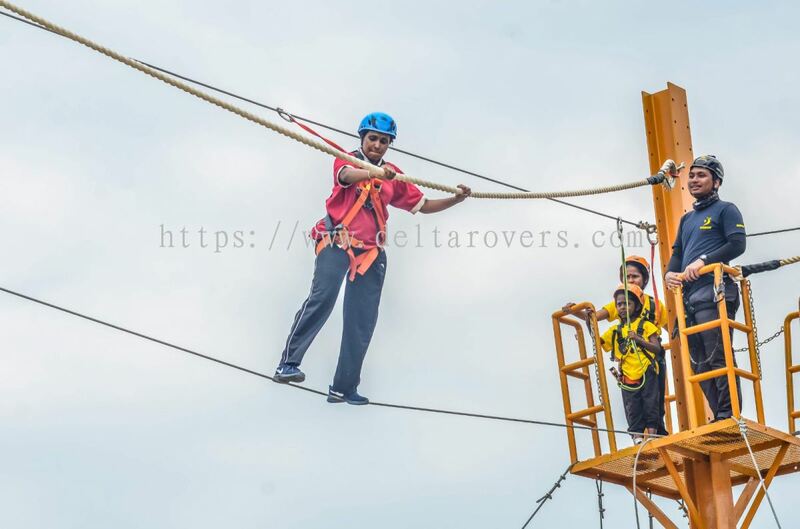 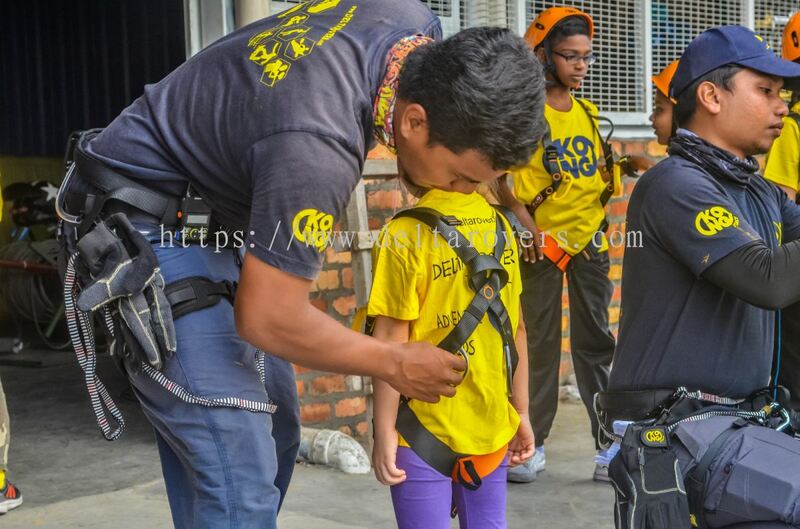 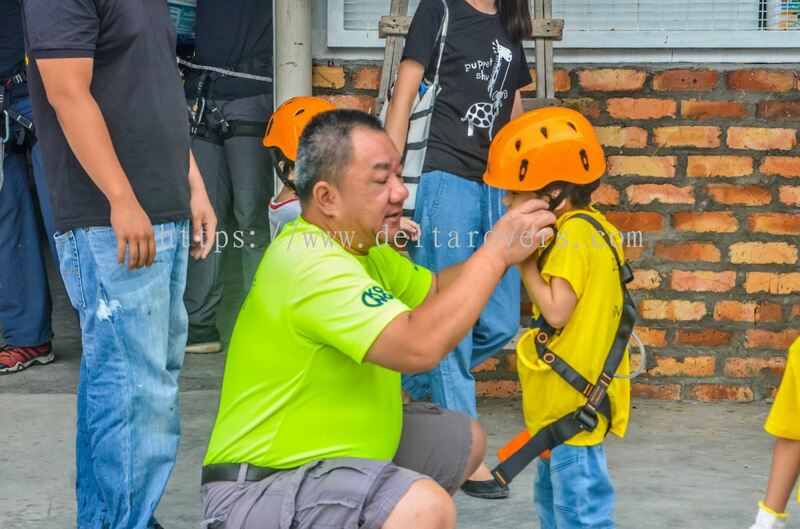 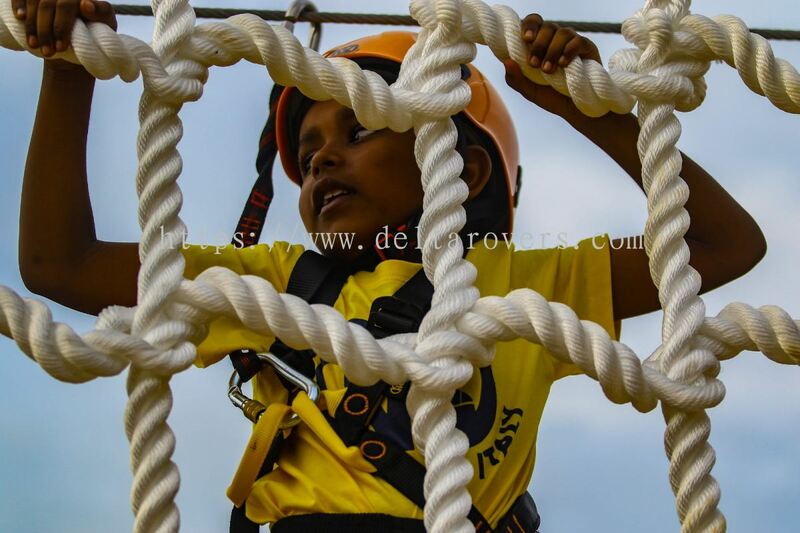 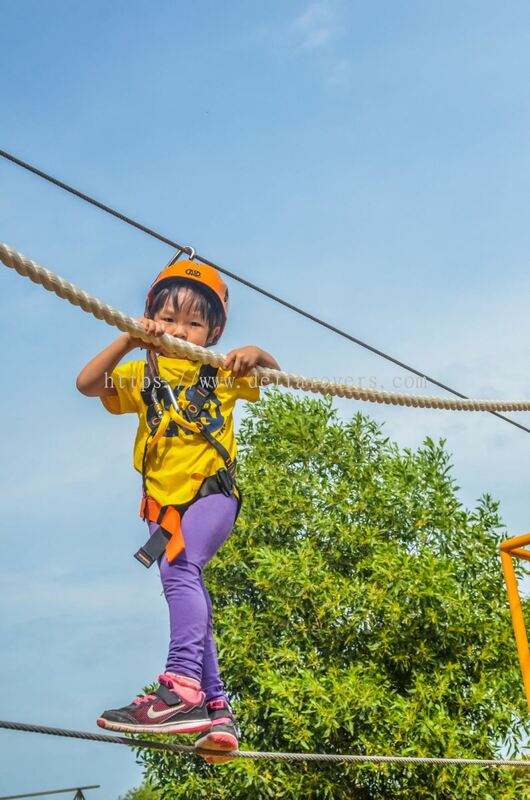 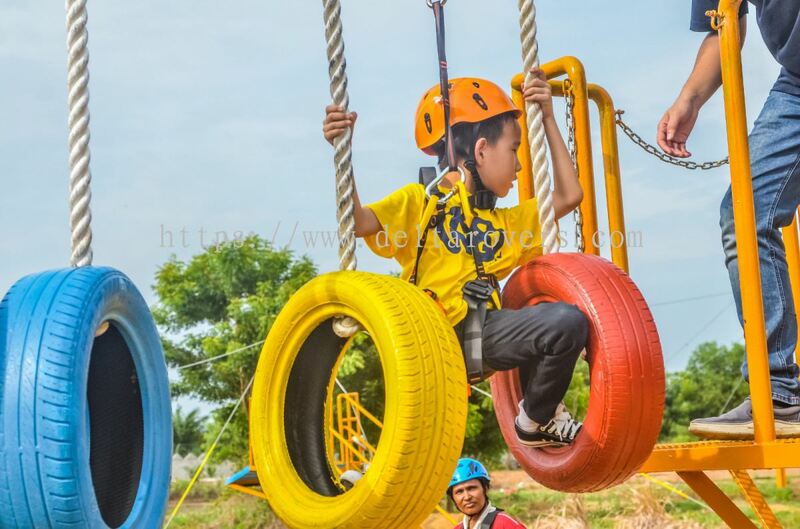 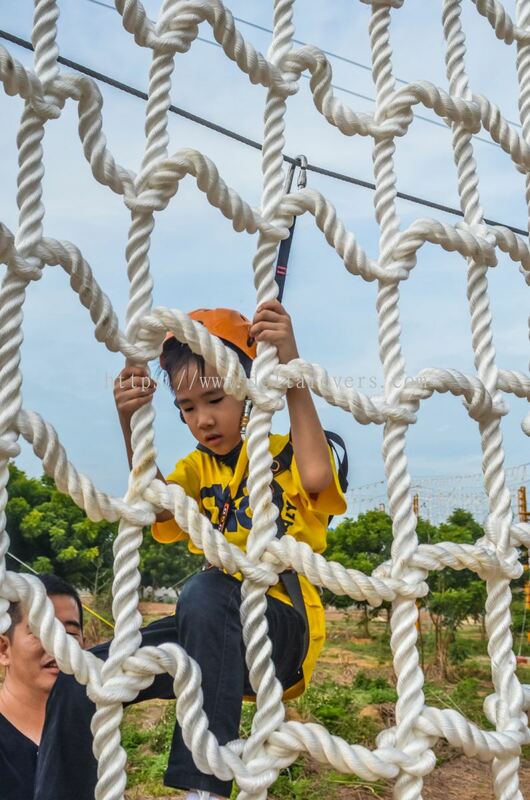 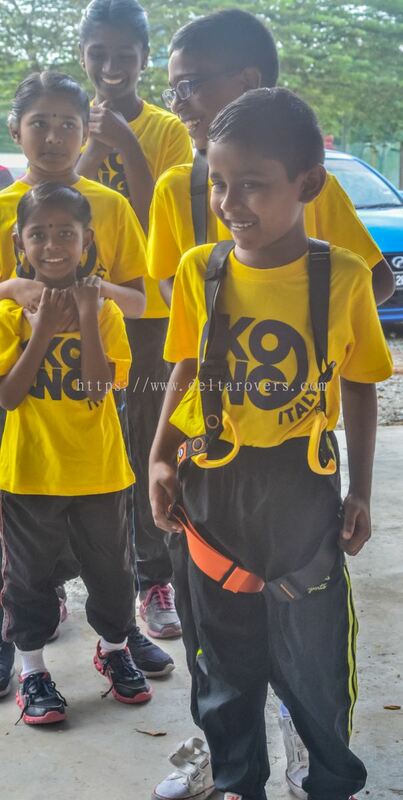 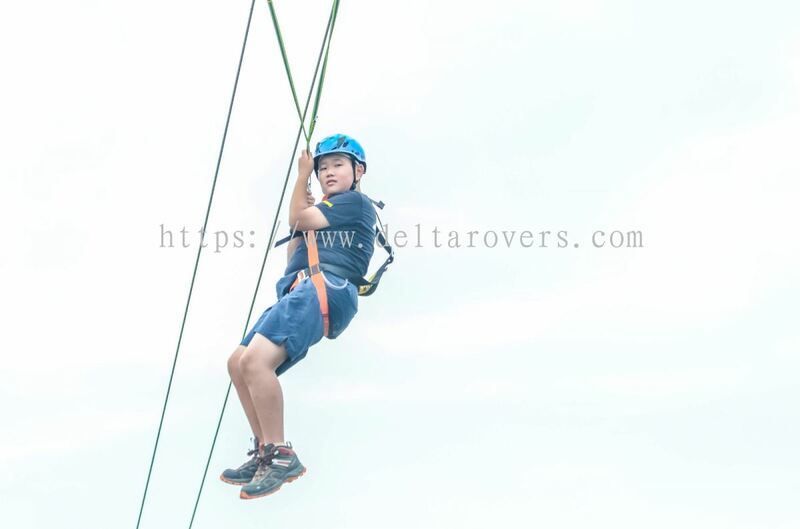 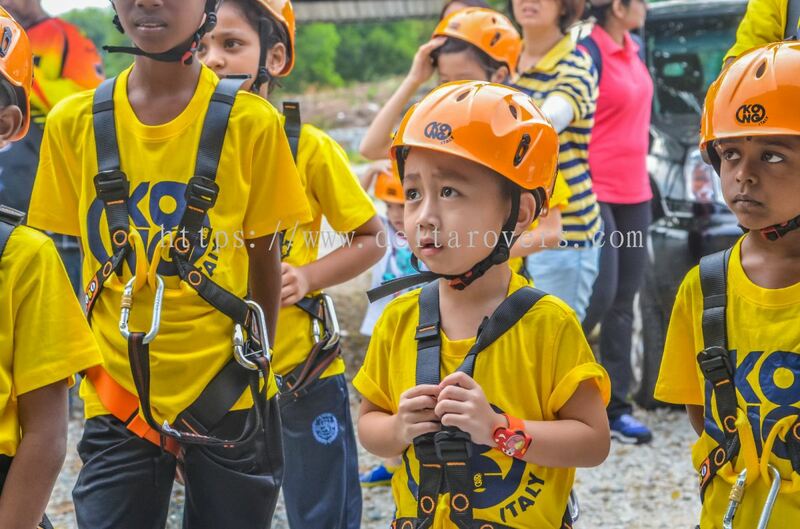 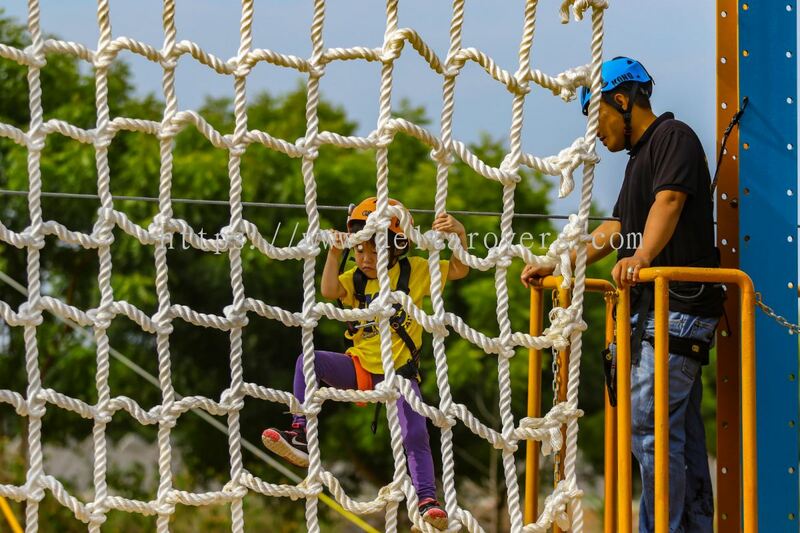 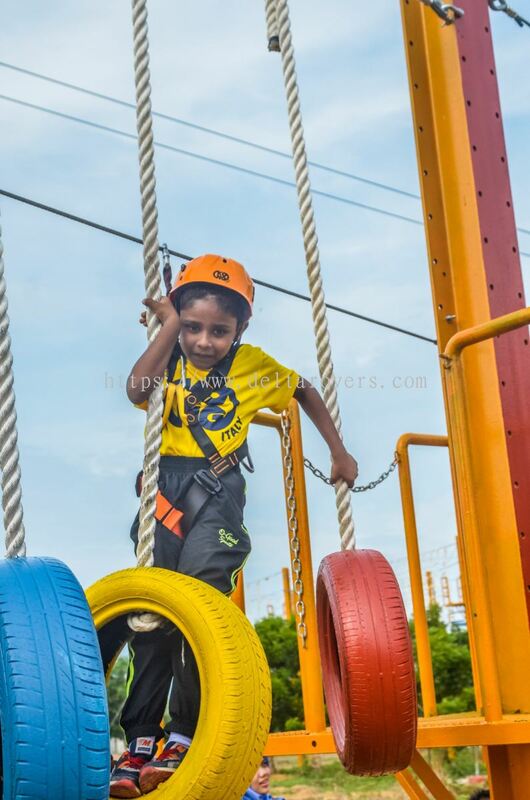 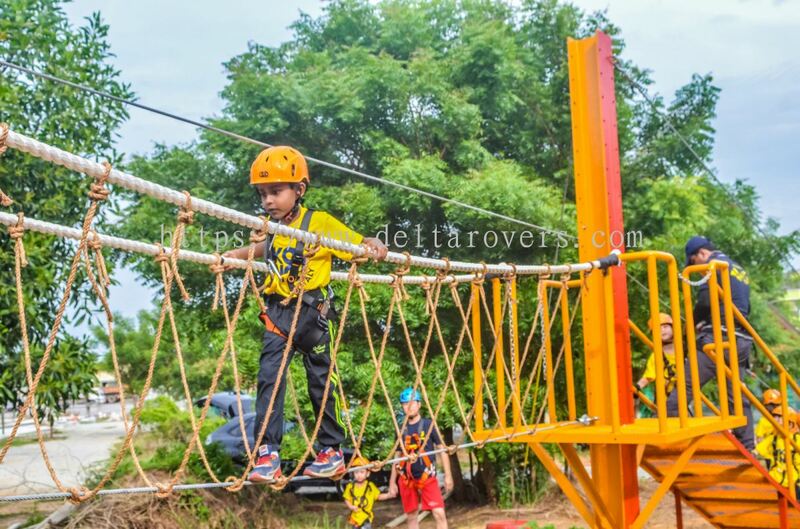 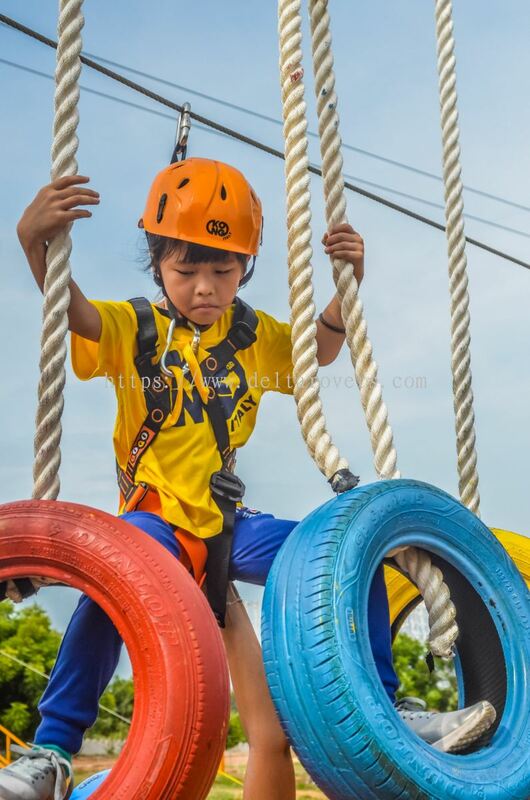 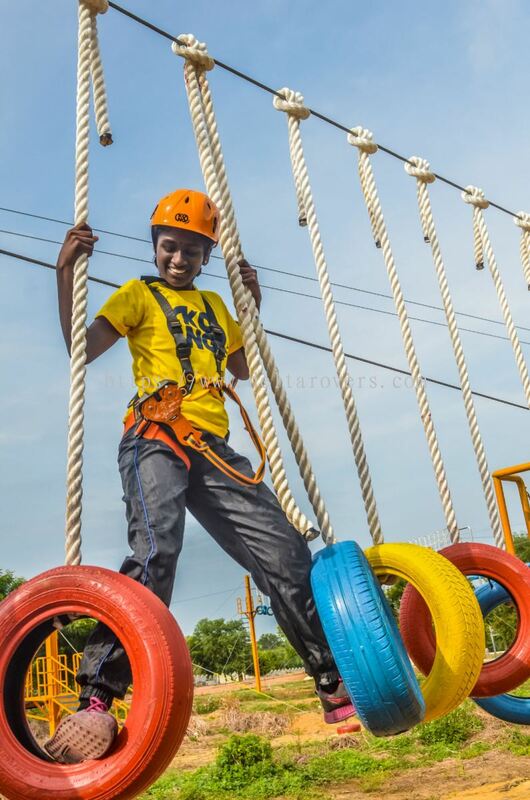 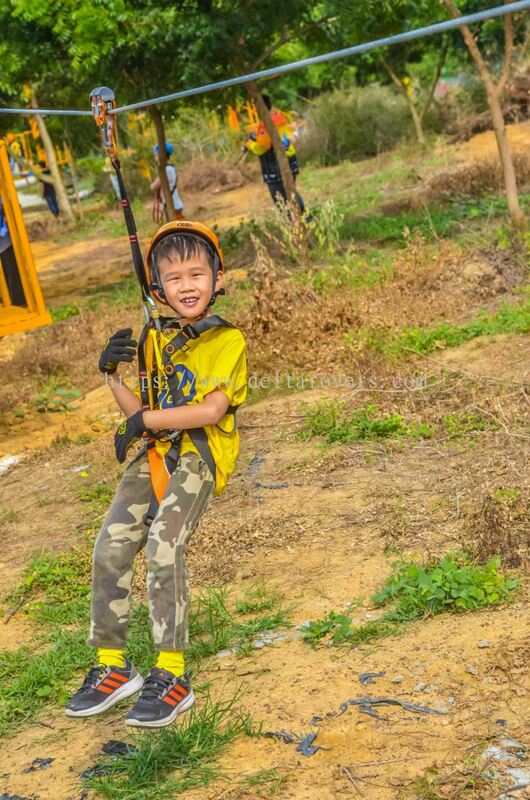 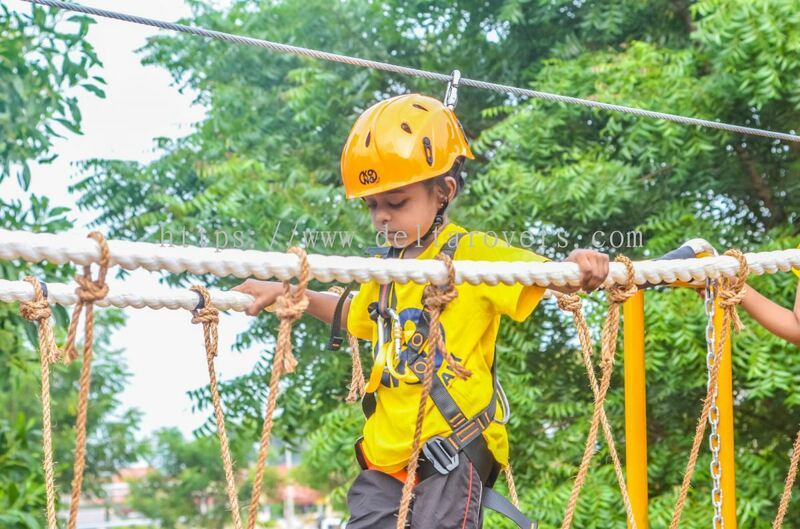 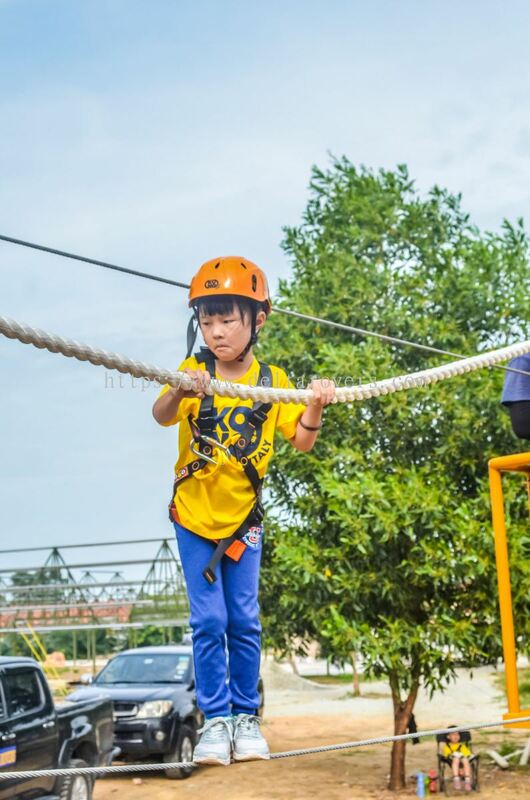 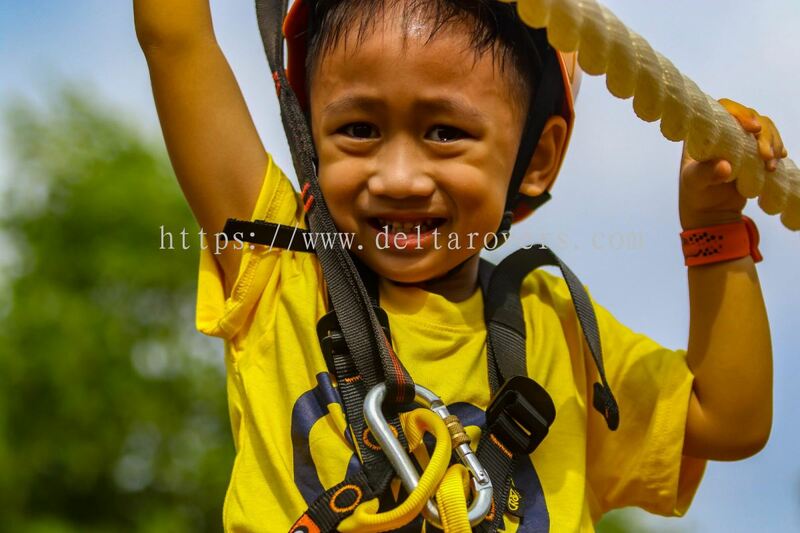 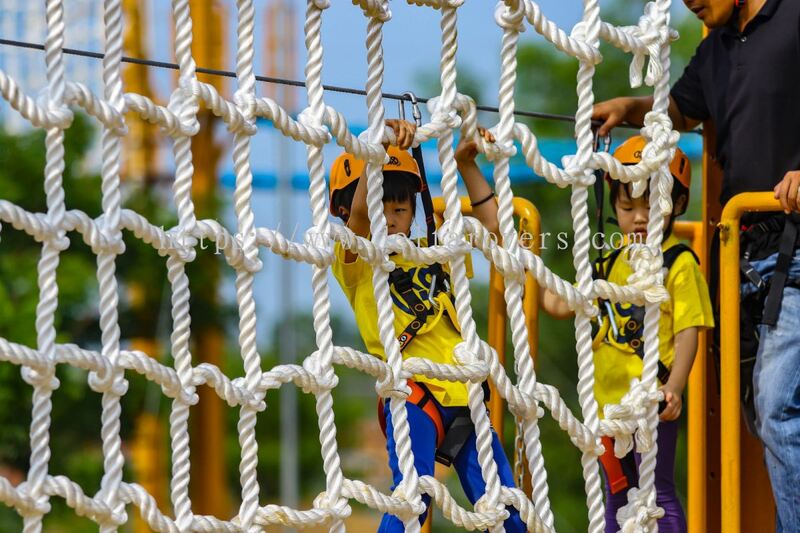 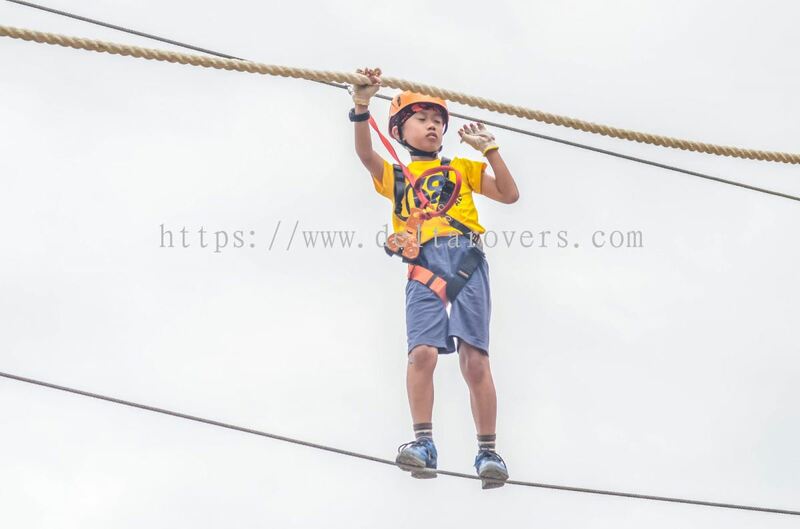 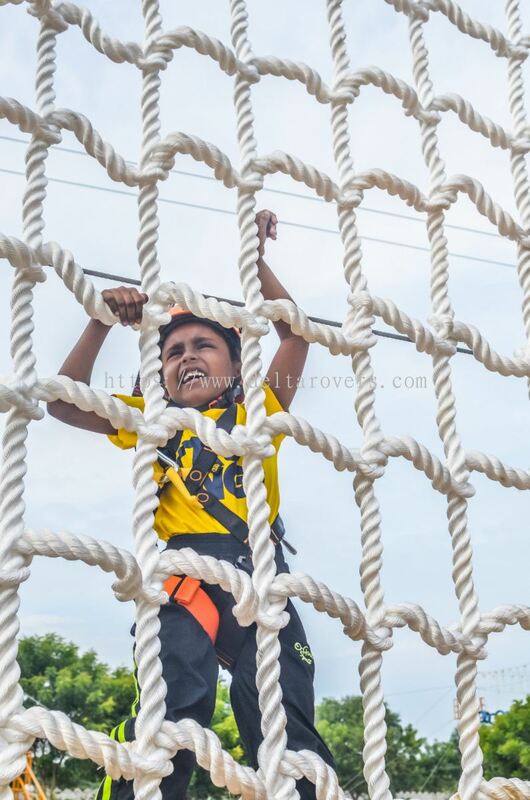 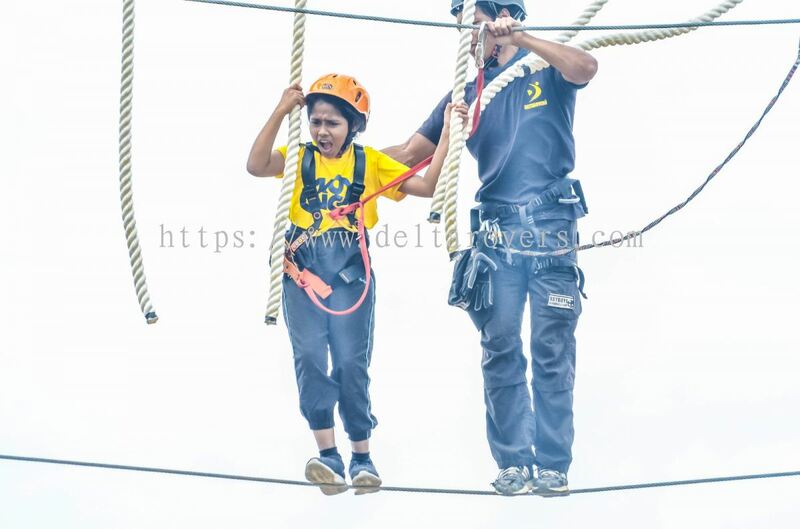 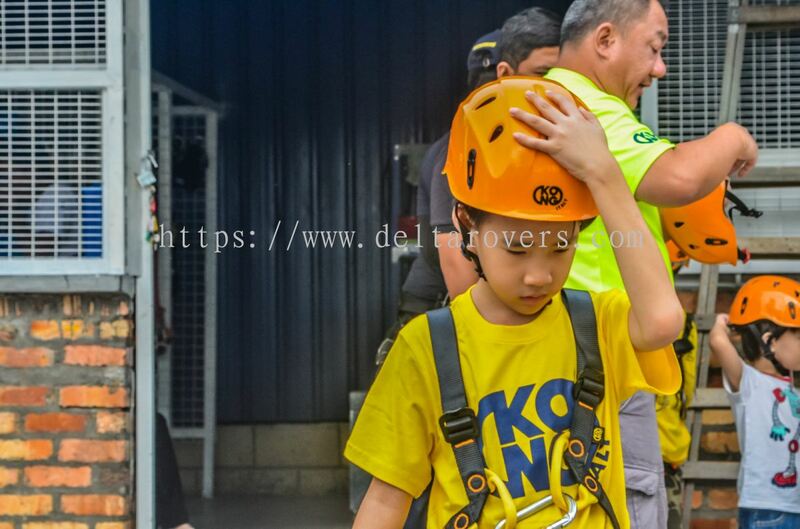 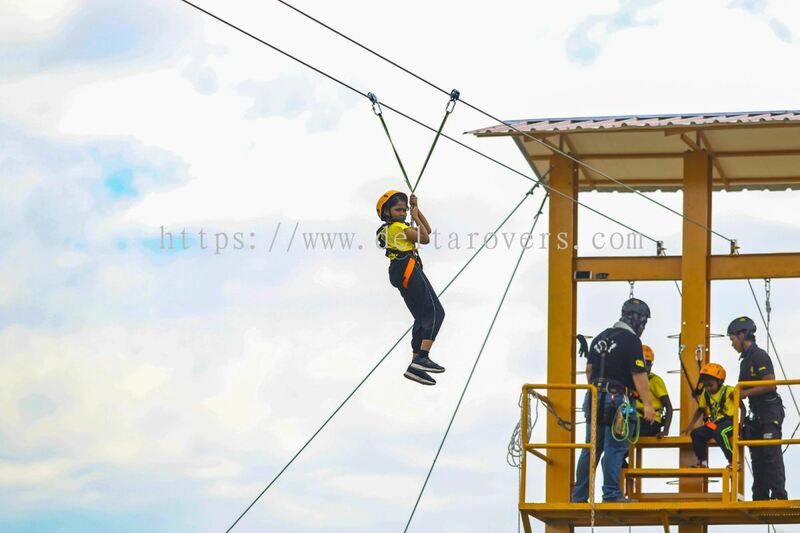 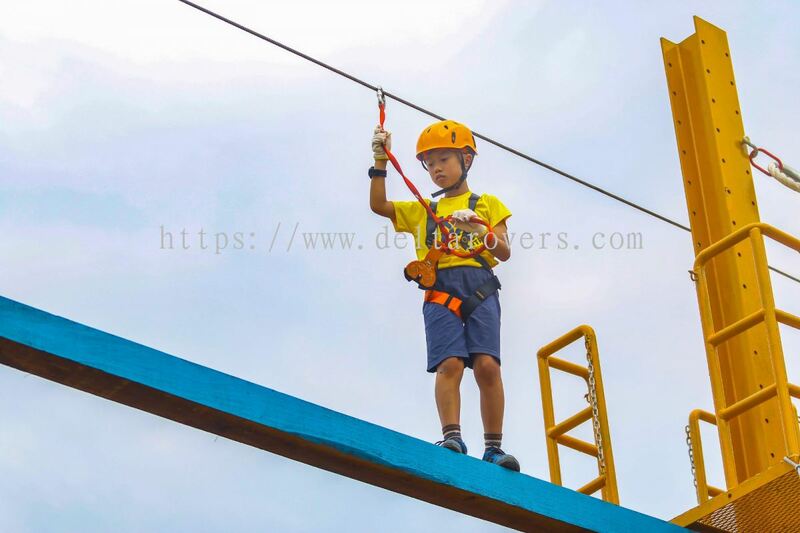 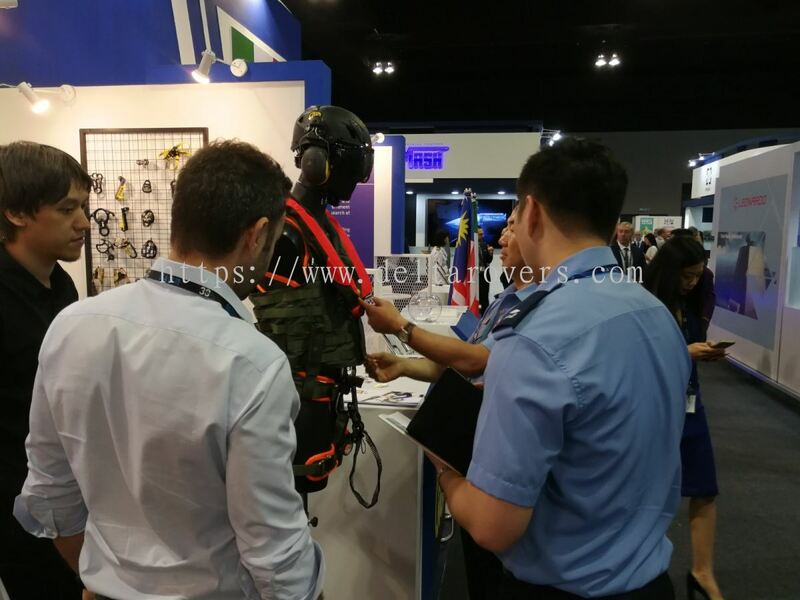 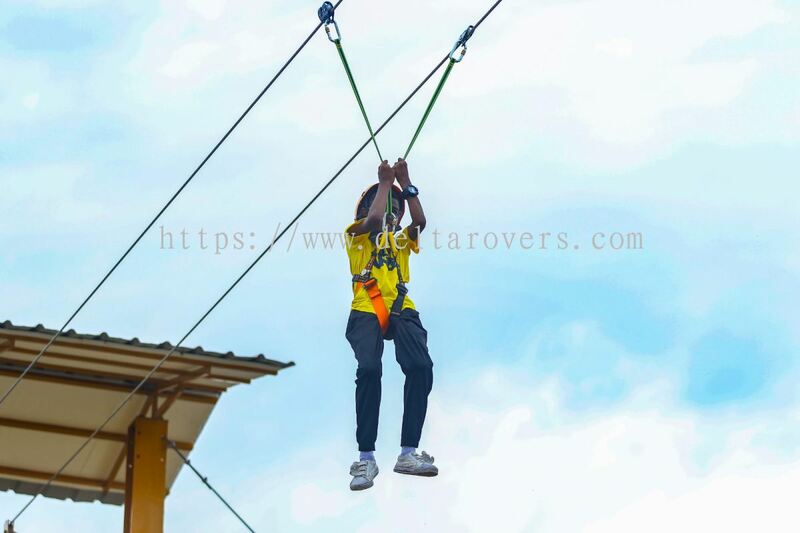 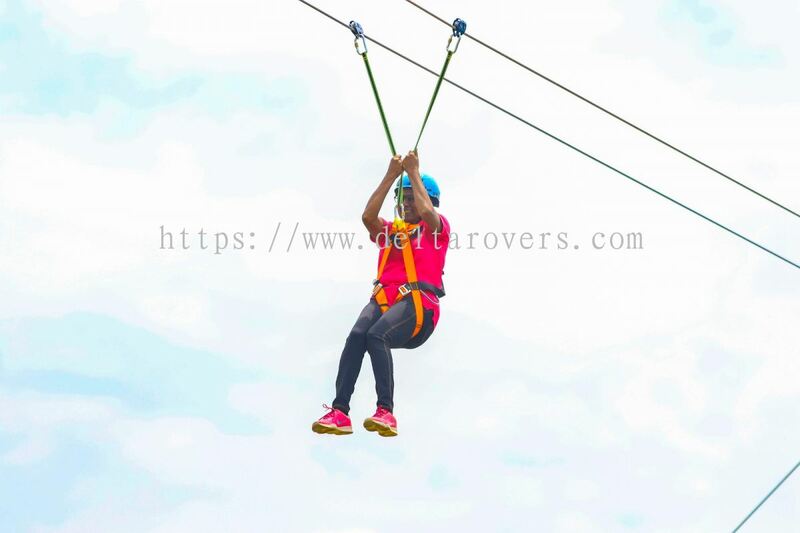 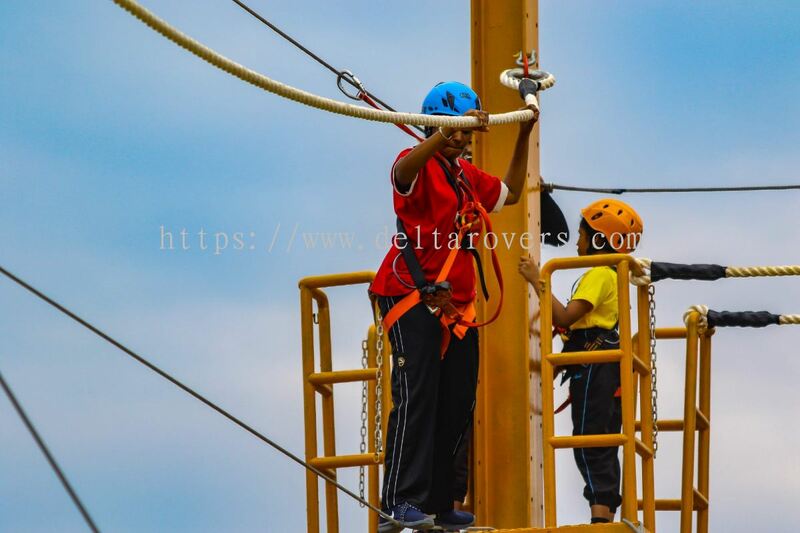 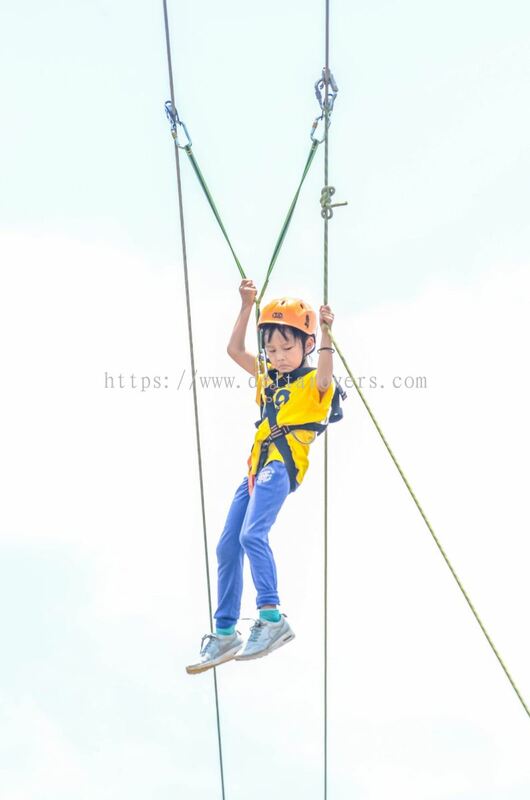 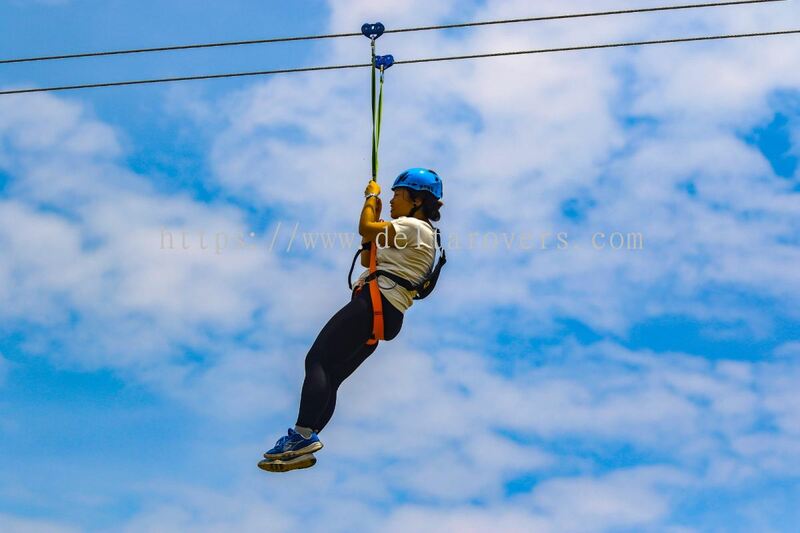 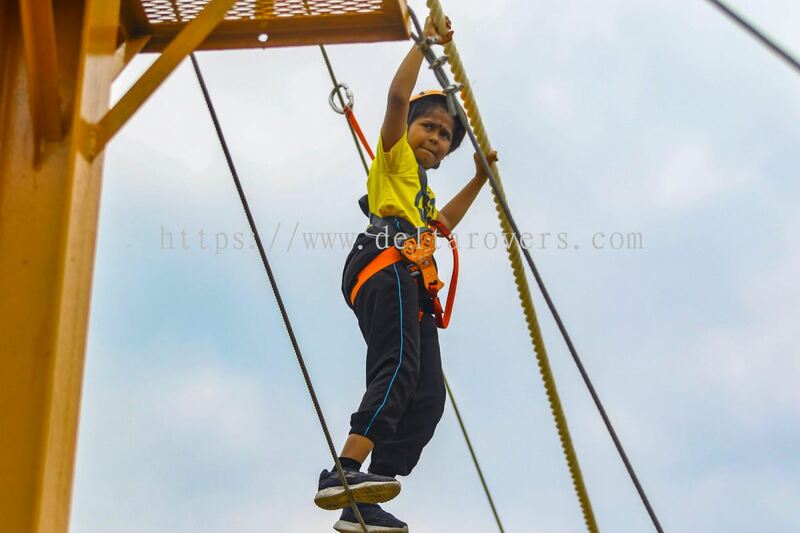 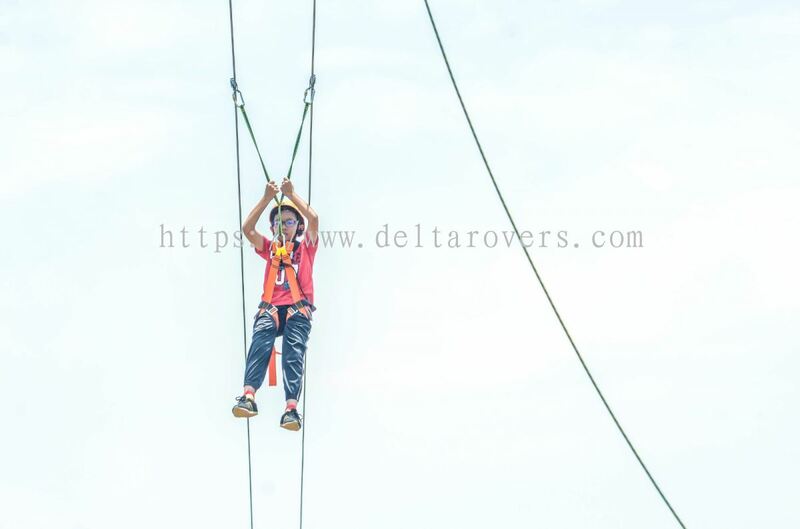 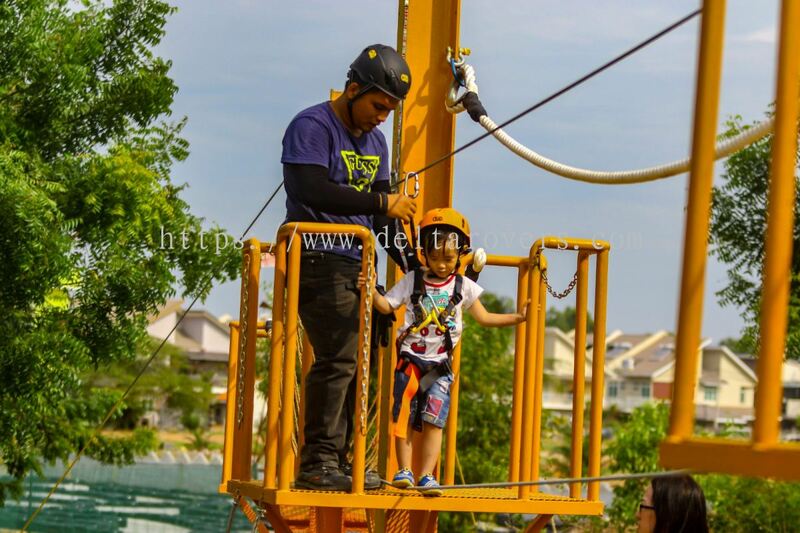 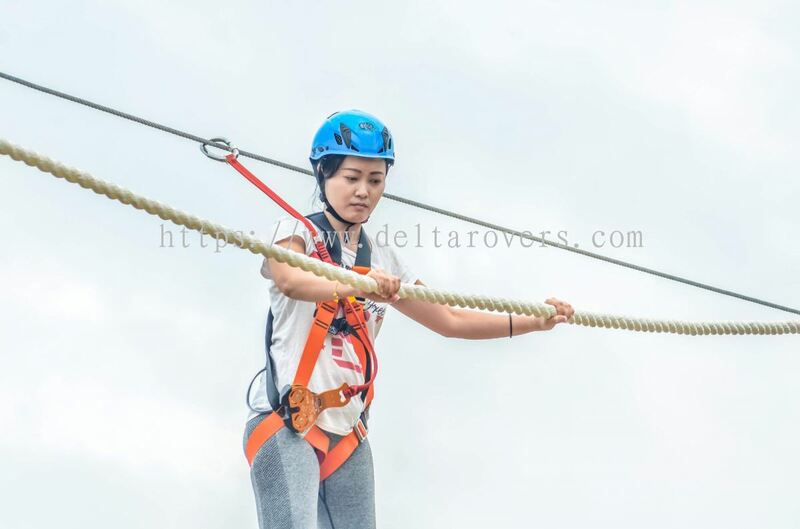 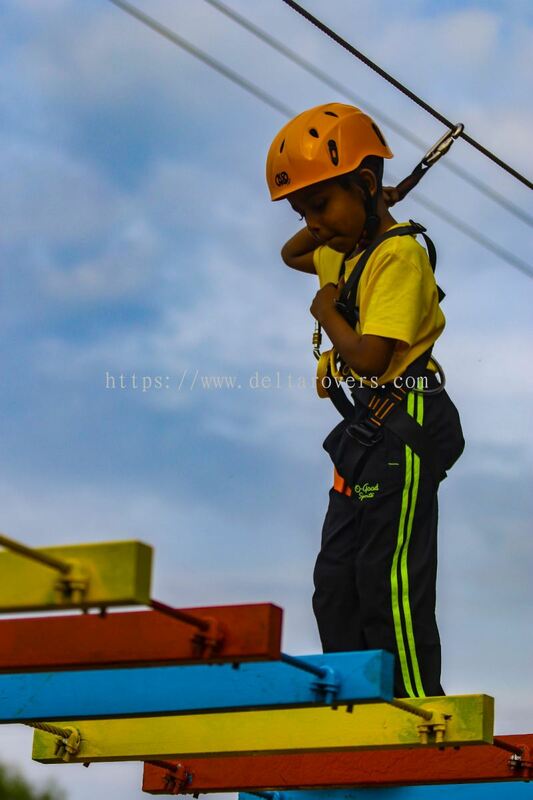 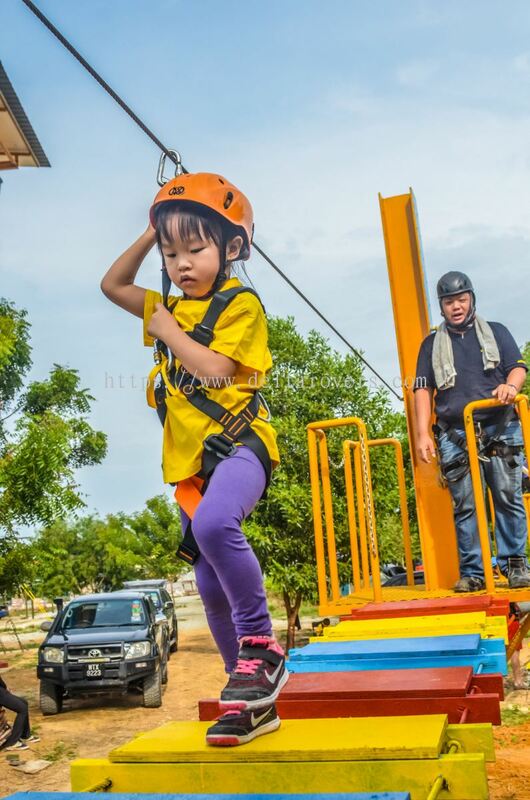 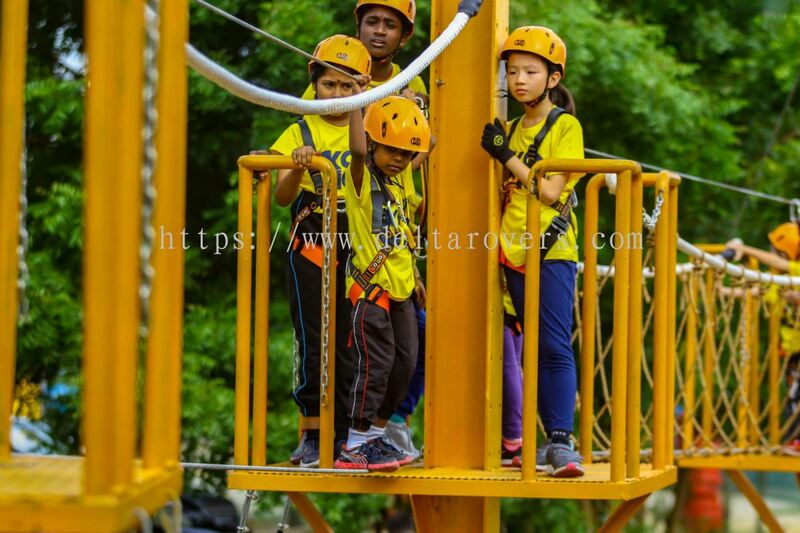 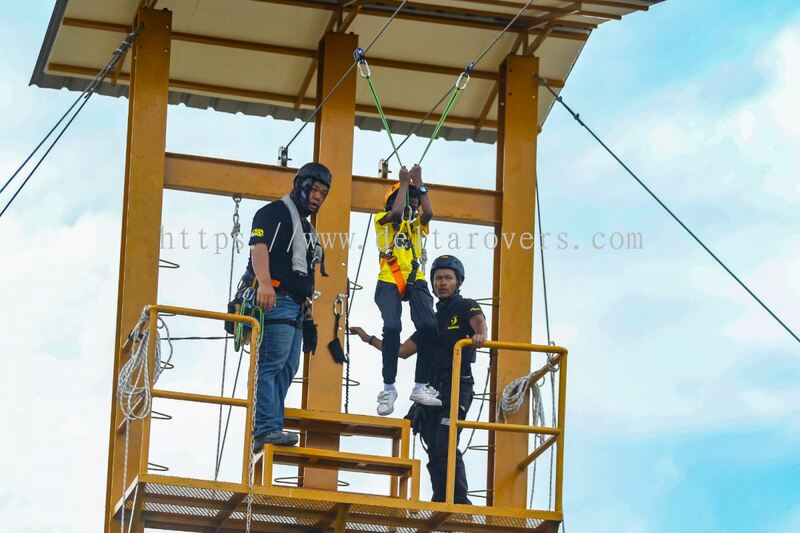 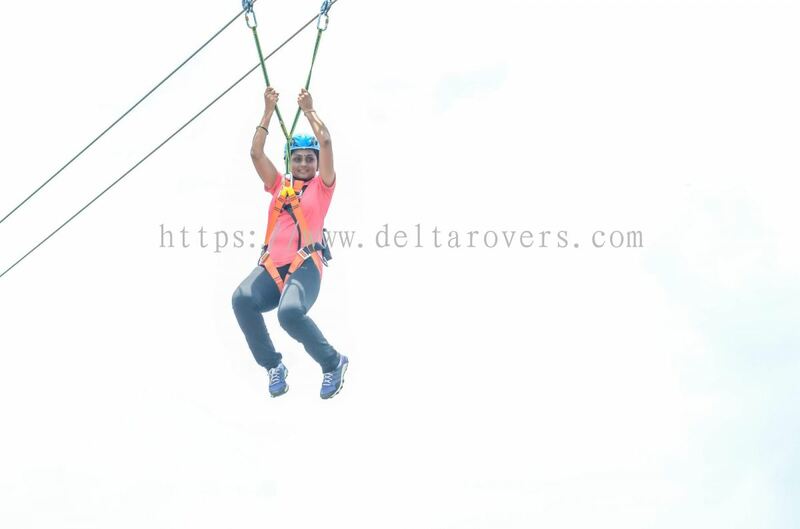 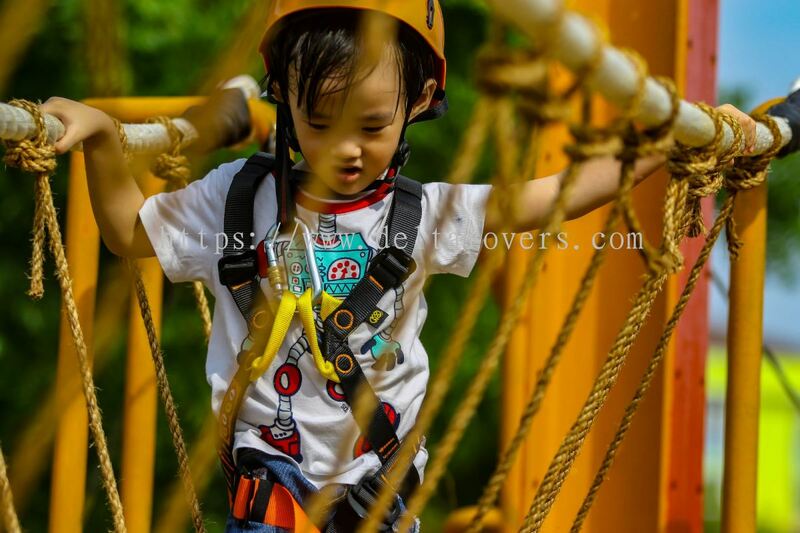 We are also the biggest provider for the High Rope Challenge Course Structure in Malaysia. 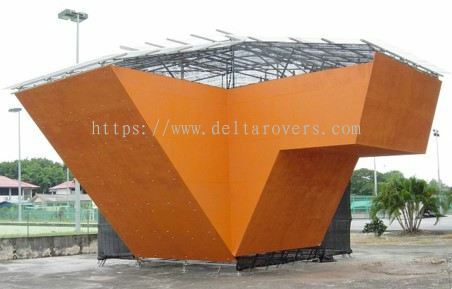 With over 60 sets of the Delta Series being build to date. 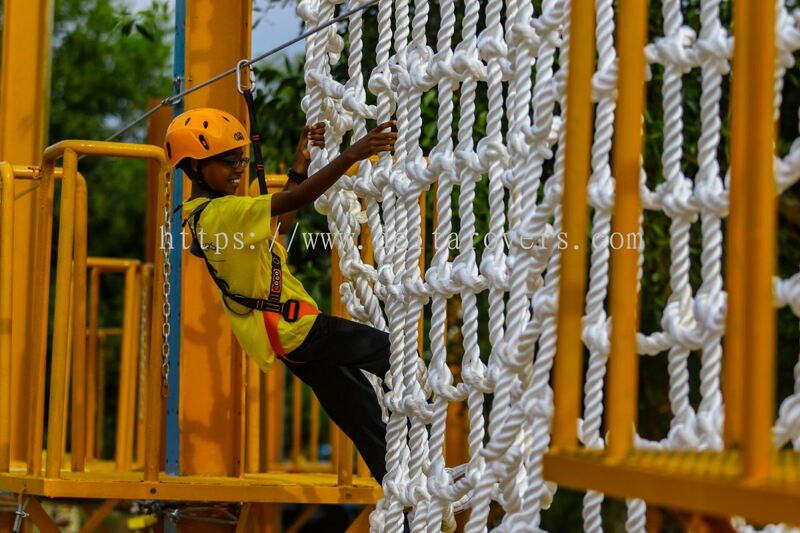 Today, being one of the leading Training ‘n’ Recreation Facilities Provider, we work with the motto “From the Best, To the Best, For the Best”. 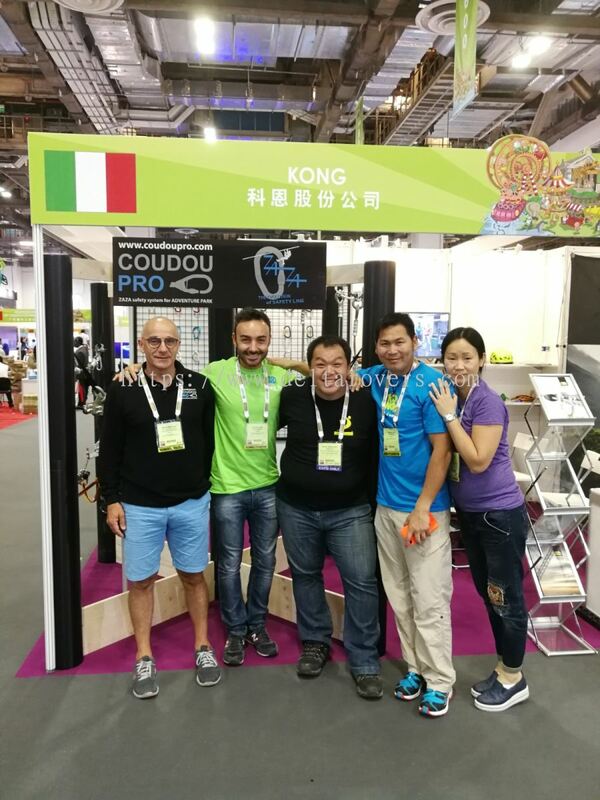 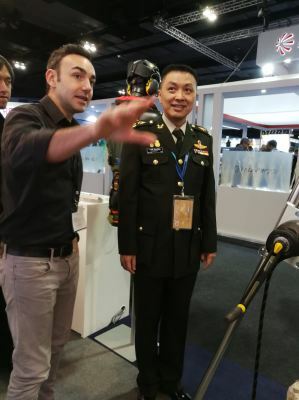 In line with our motto, we work with technologies acquired from all over the world in our continuous effort to improve & upgrade our products and services, bringing the best to you. 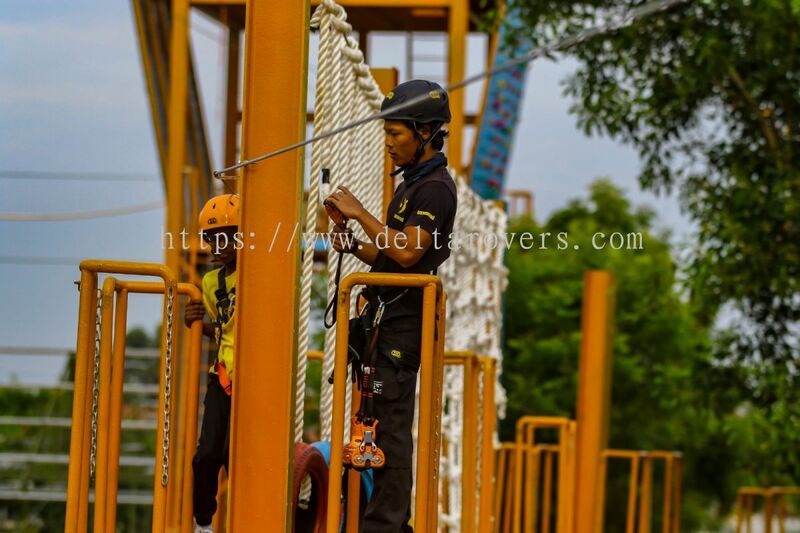 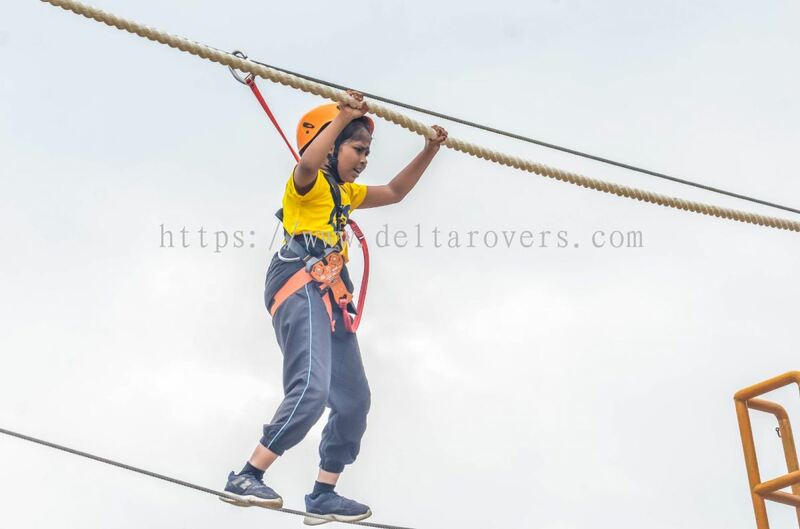 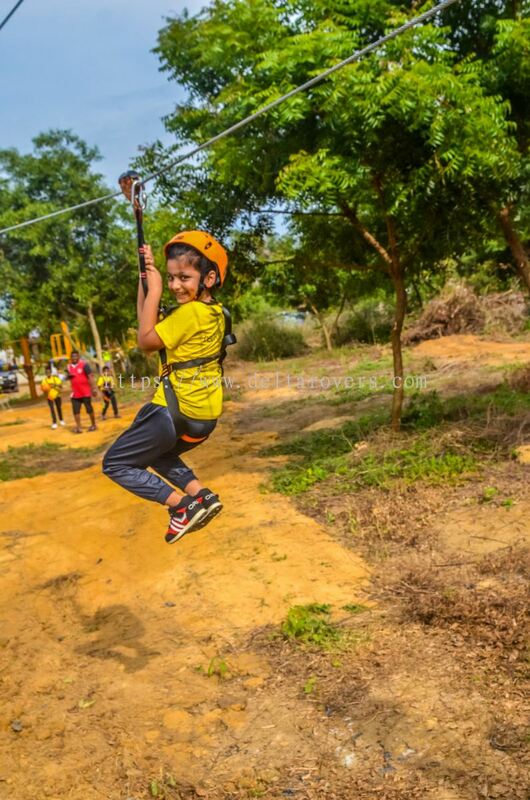 After 22 years being in the Adventure Sports, Training & Recreation business, we at TDRM continuously evolve and improve to always be competitive and up-to date in today’s ever changing market. 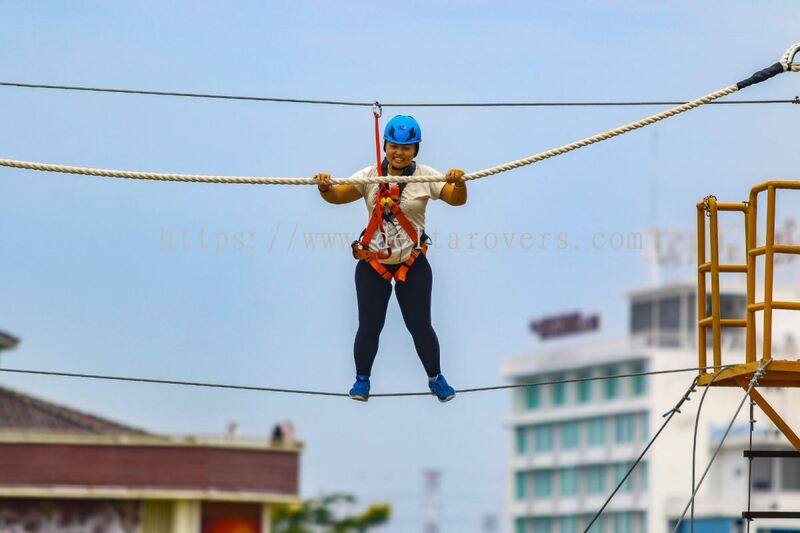 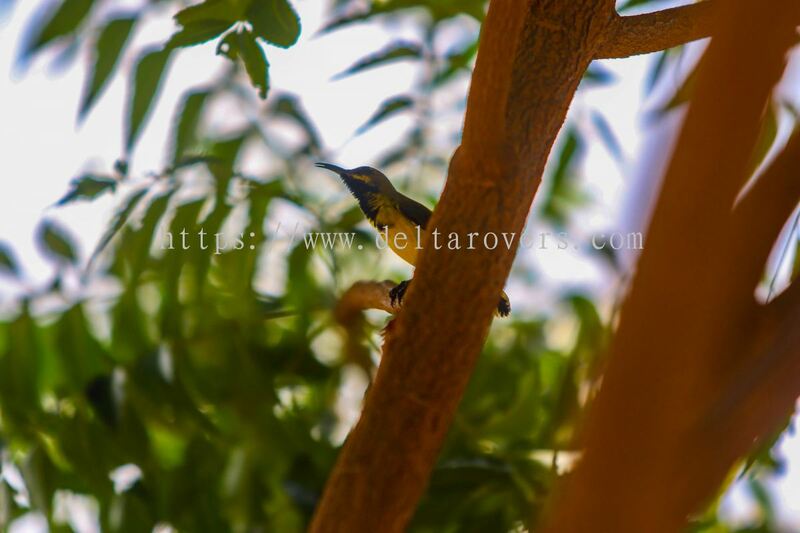 At TDRM we strongly believe, that with the given opportunity & your support as our clients and business partners, we will move further together with your organization bringing a new level of in Adventure Sports. 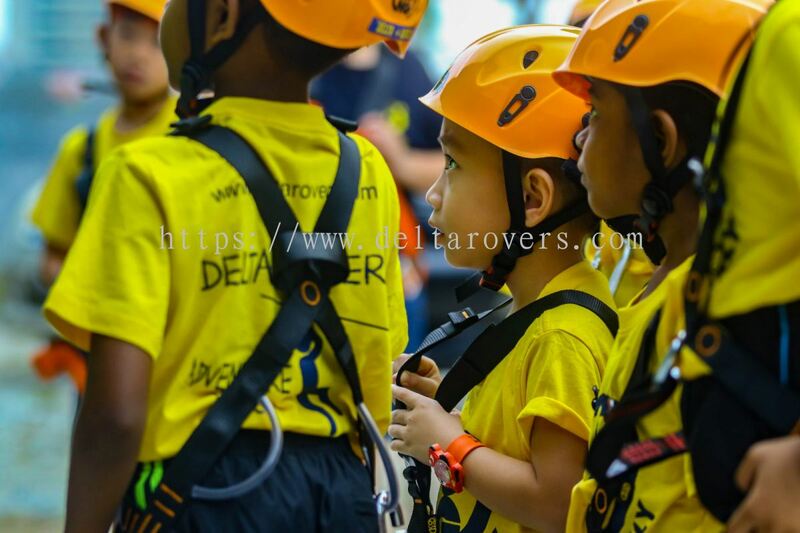 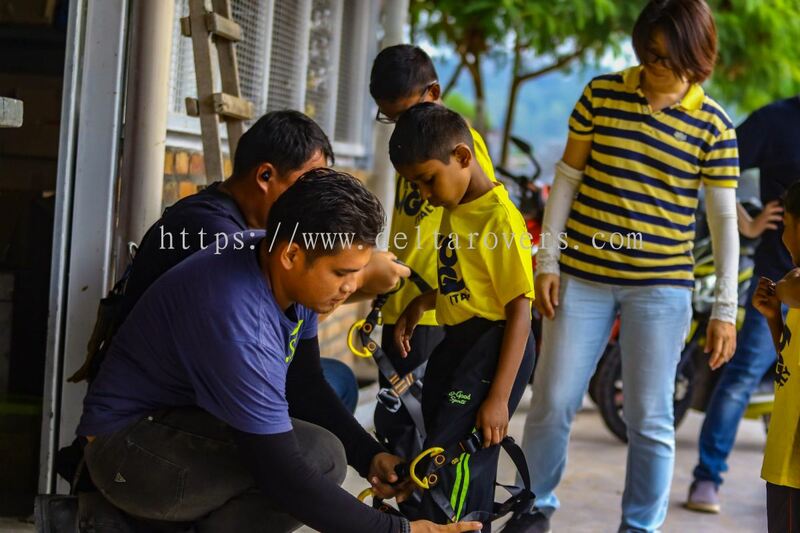 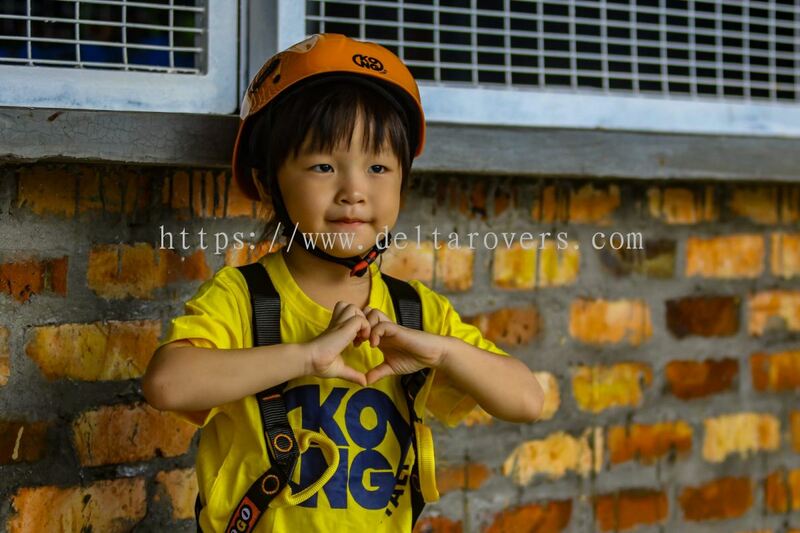 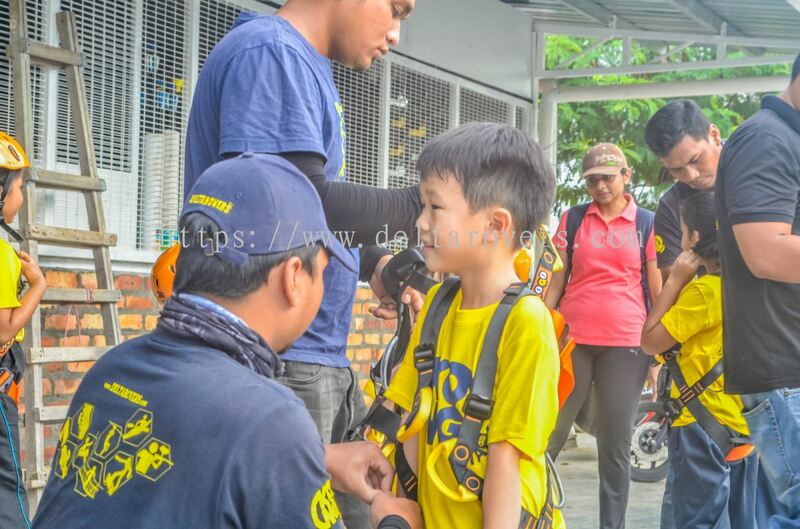 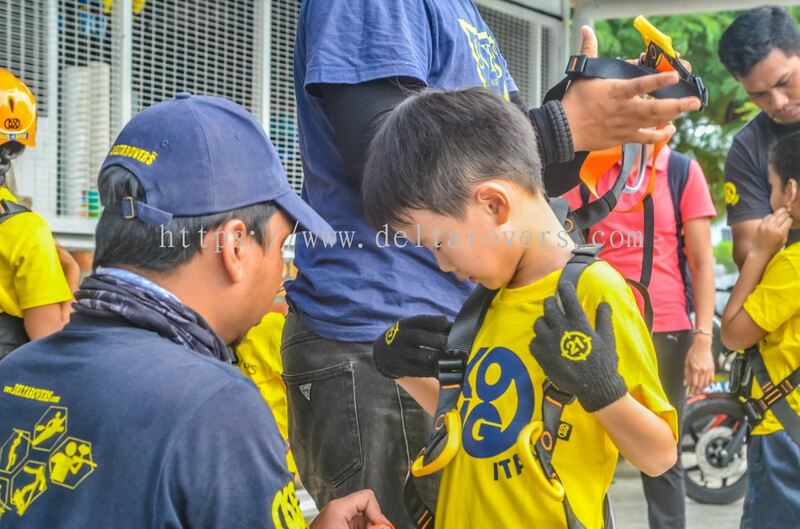 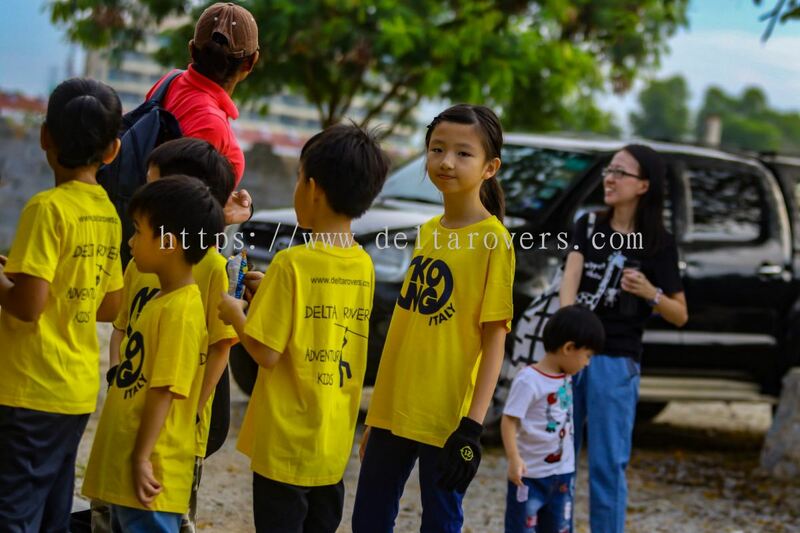 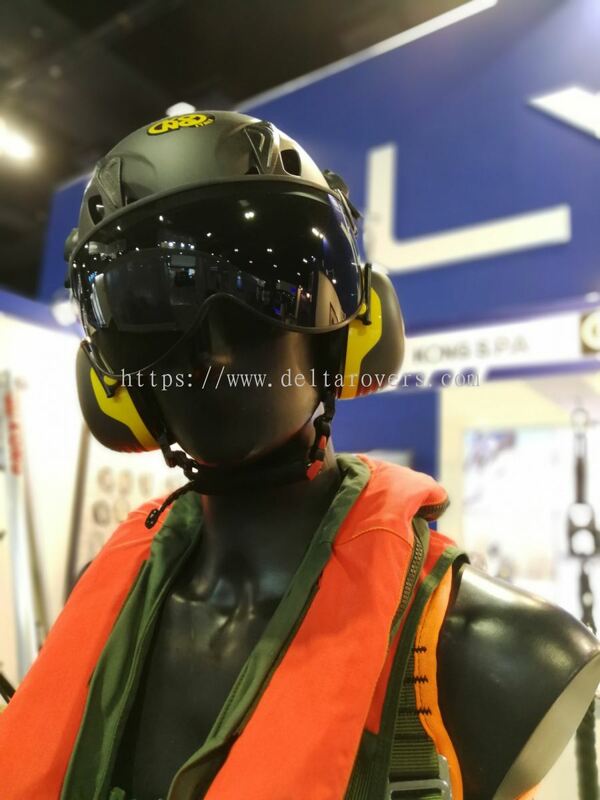 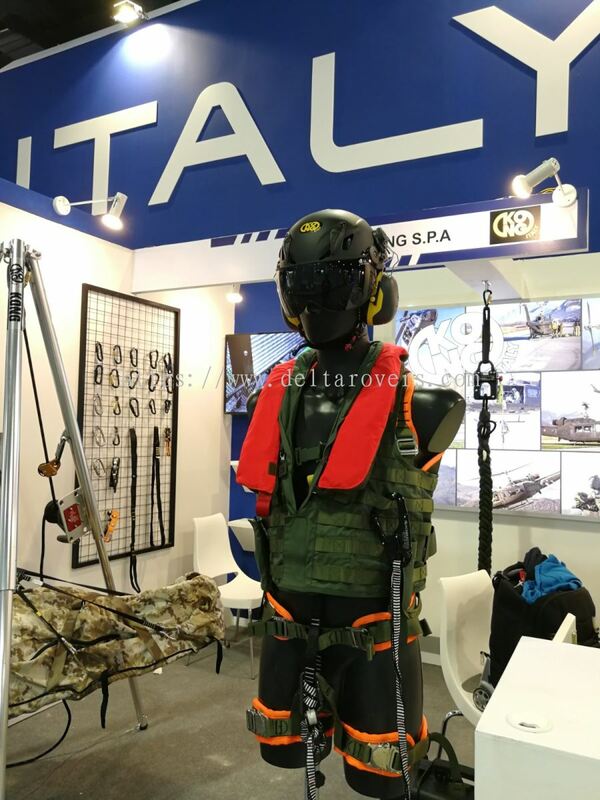 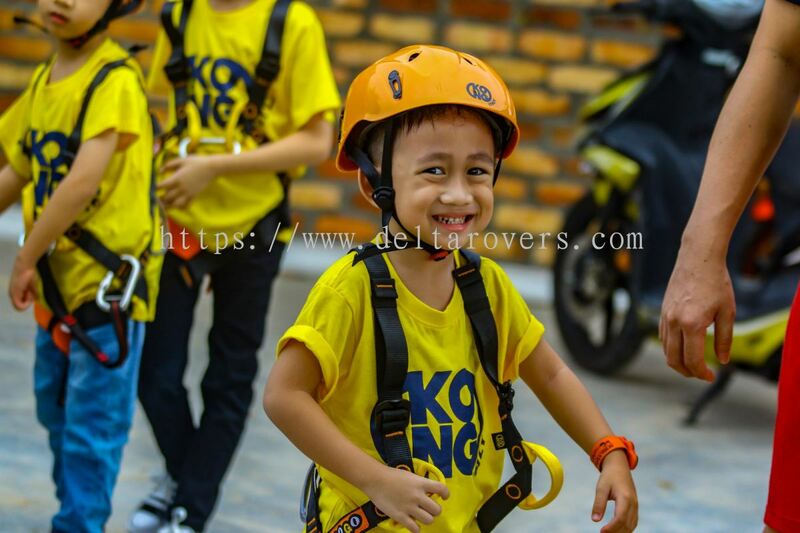 Team Delta Rovers Malaysia Sdn Bhd added a new video. 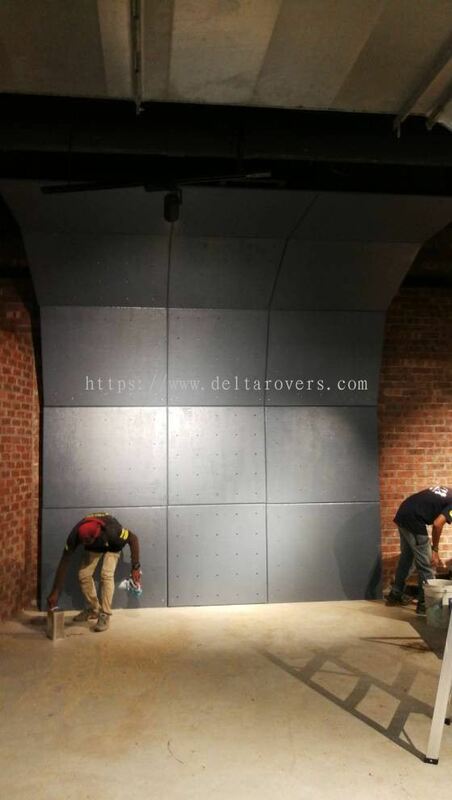 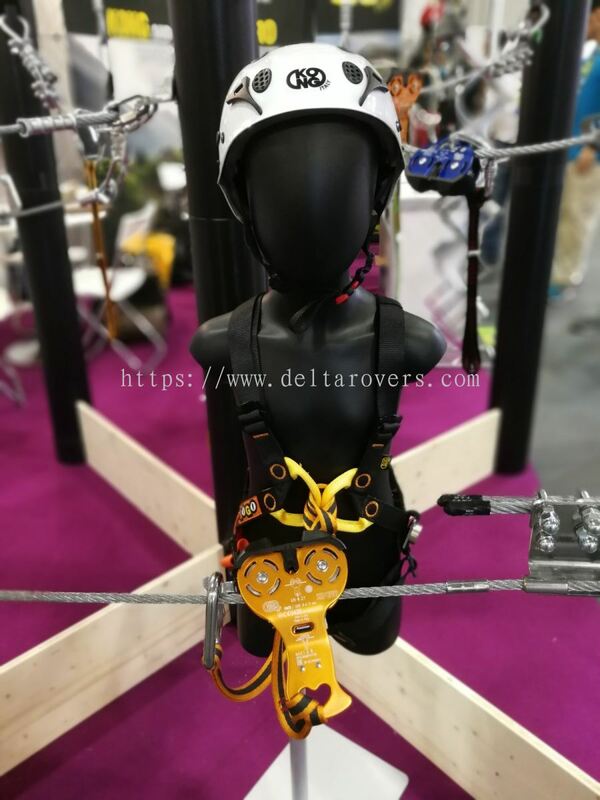 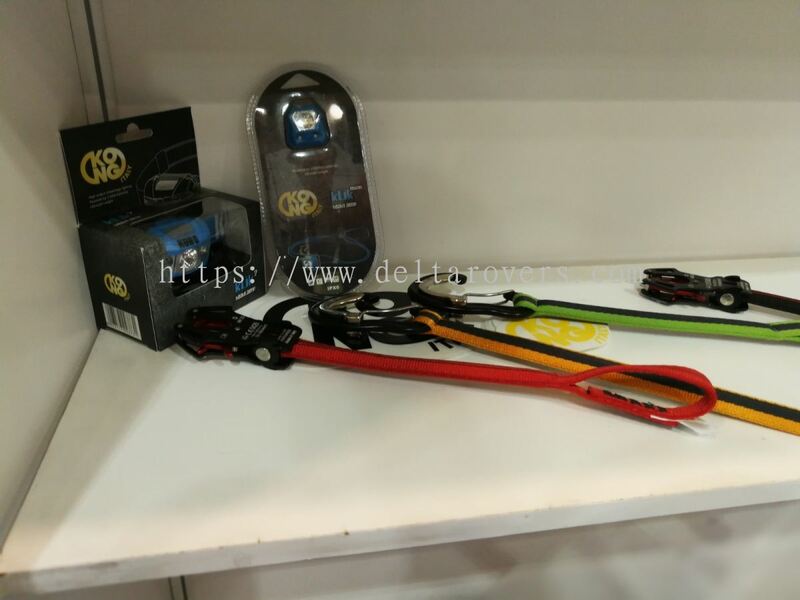 Team Delta Rovers Malaysia Sdn Bhd Updated Company Profile — Topbar Banner. 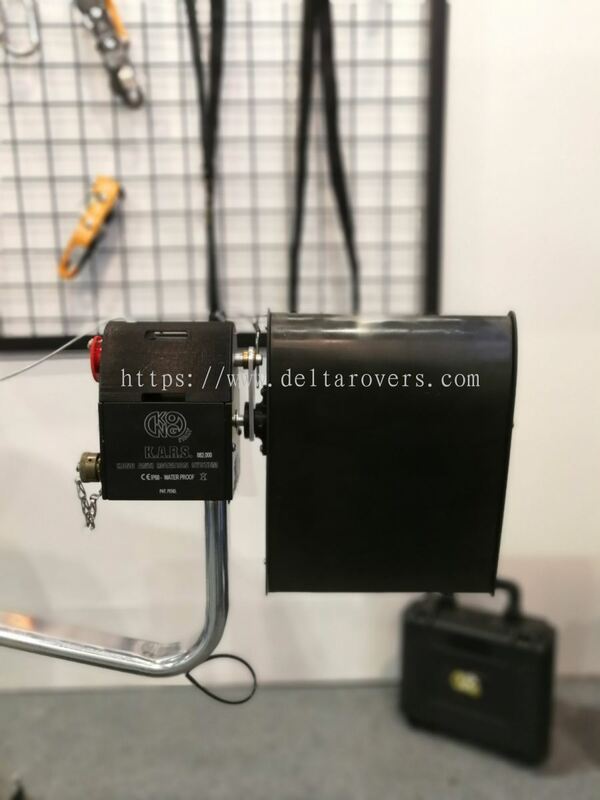 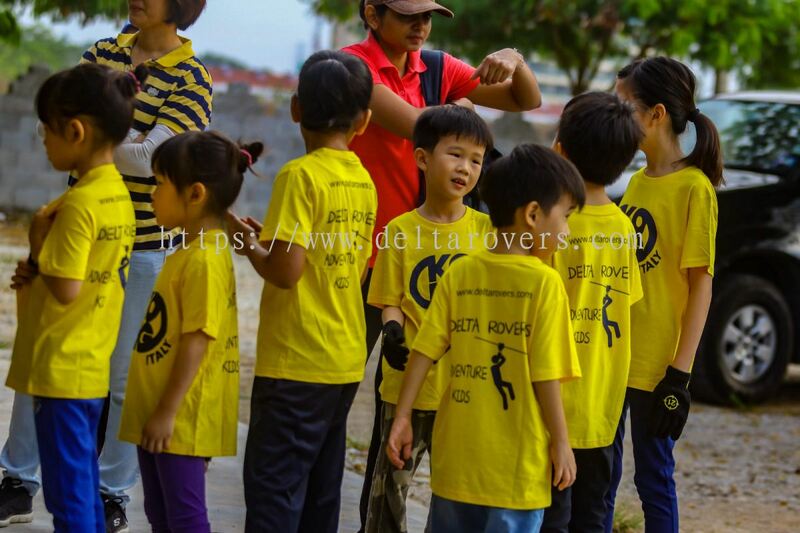 Team Delta Rovers Malaysia Sdn Bhd Updated Company Profile — Home Banner.